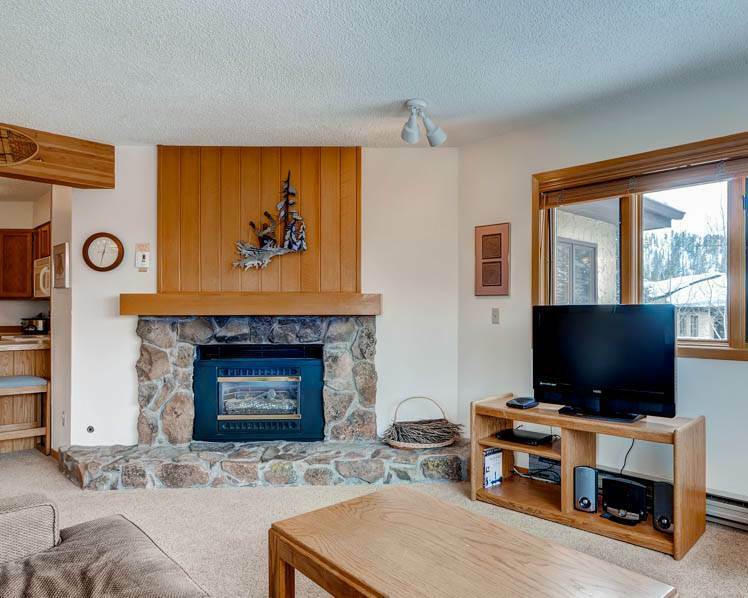 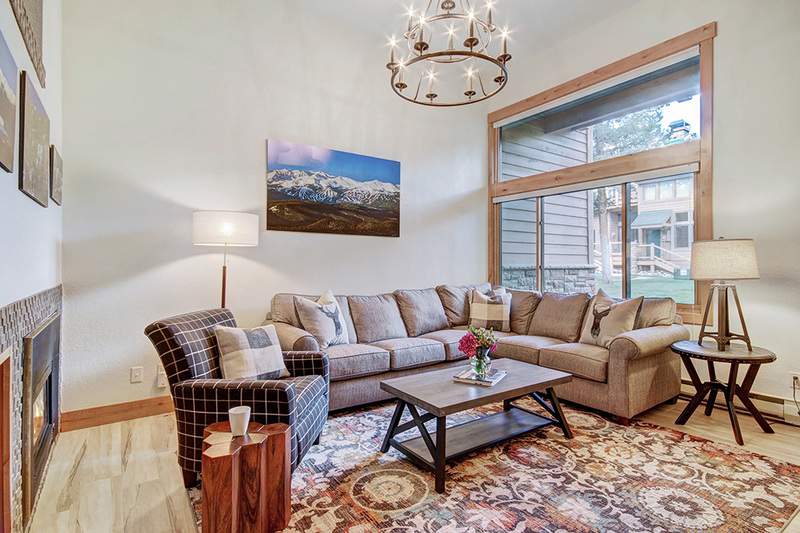 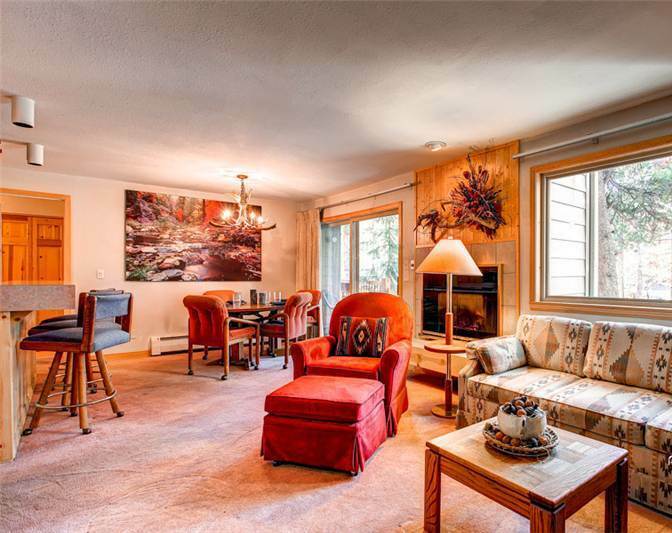 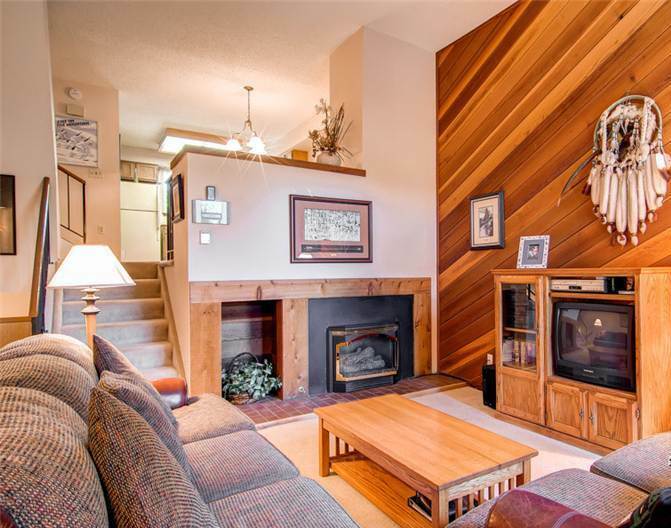 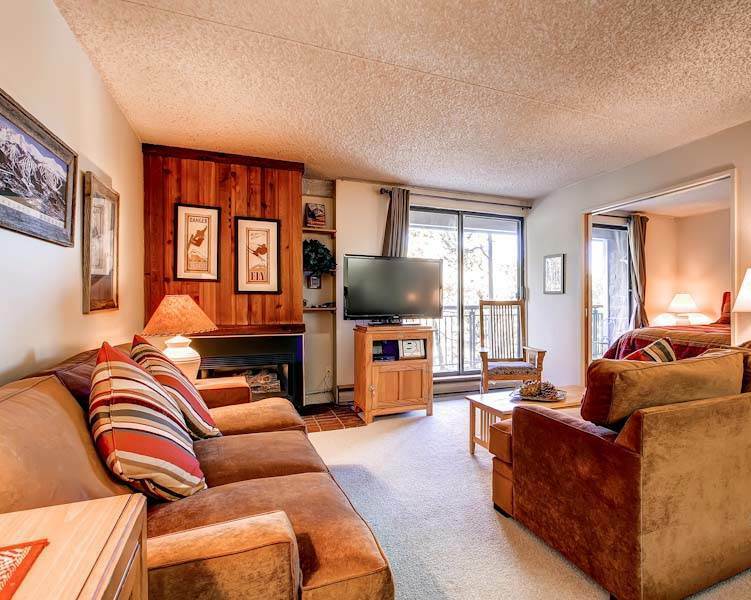 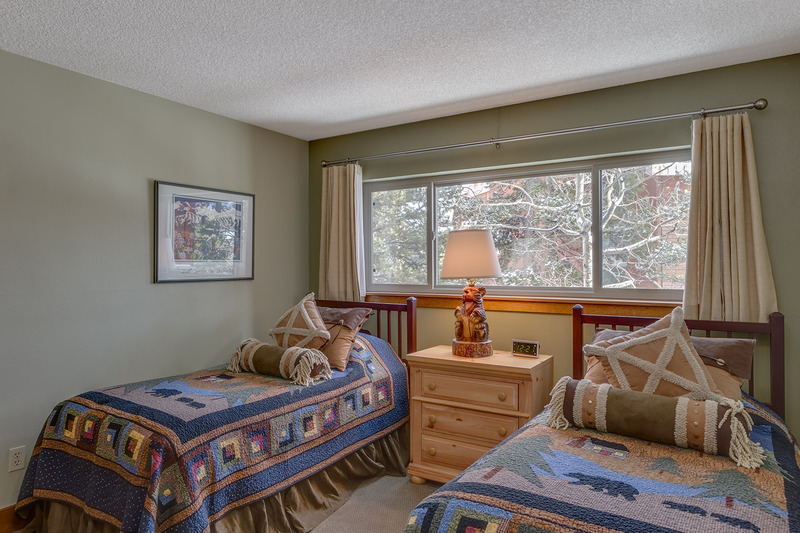 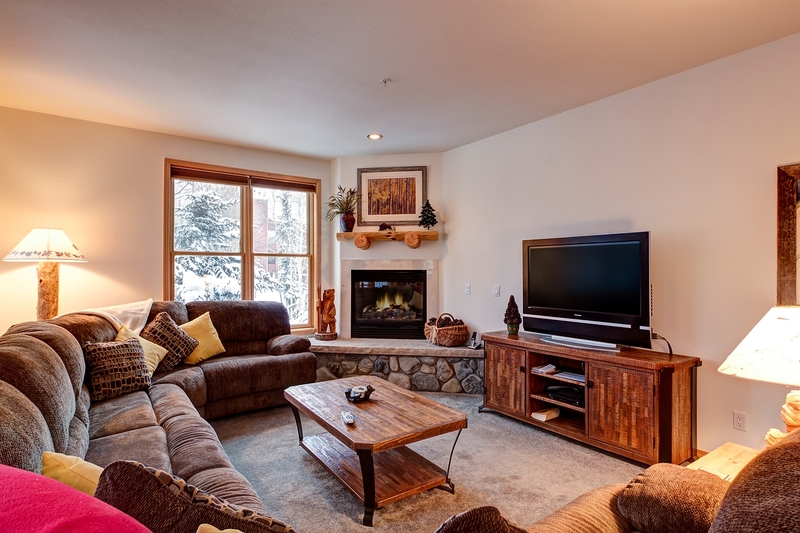 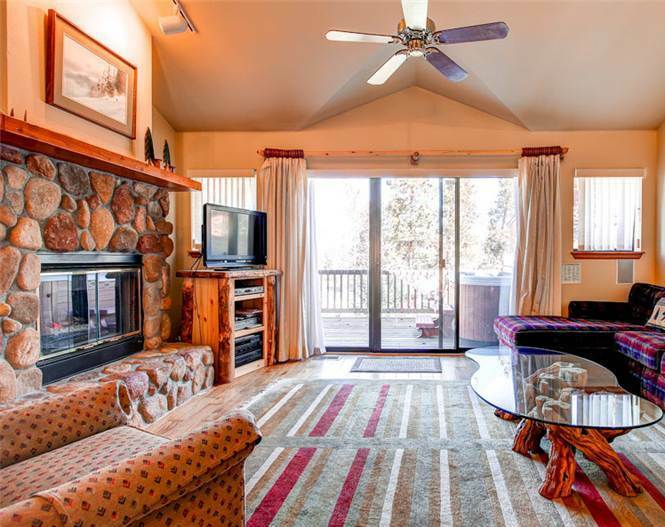 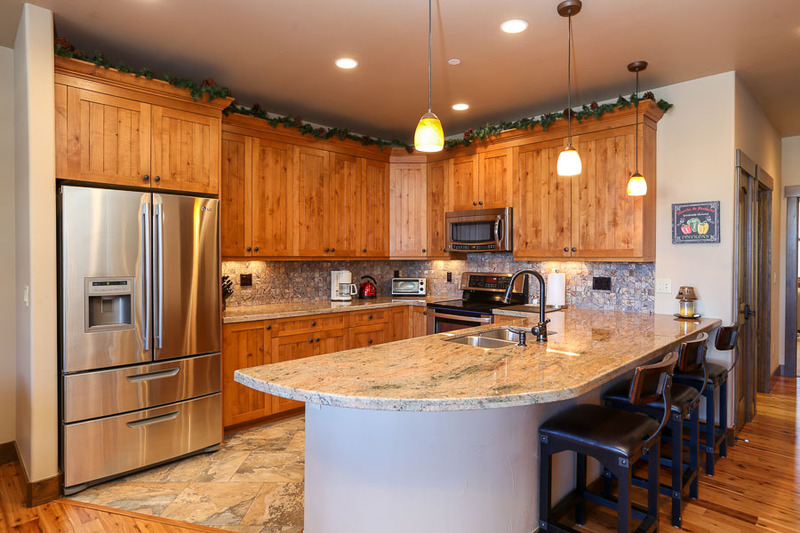 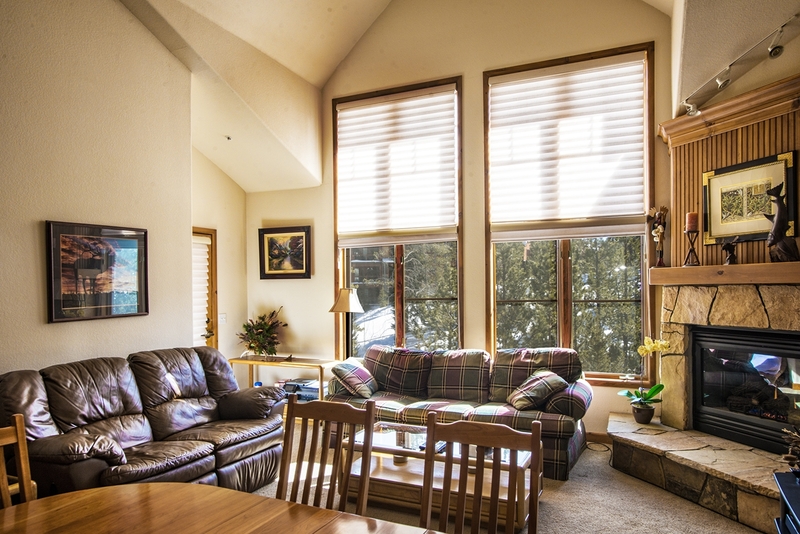 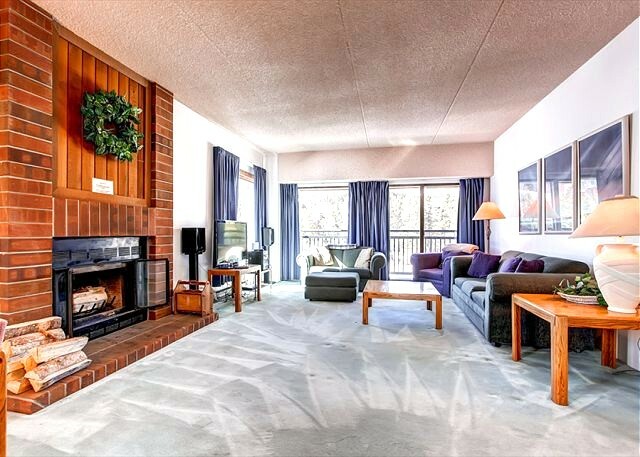 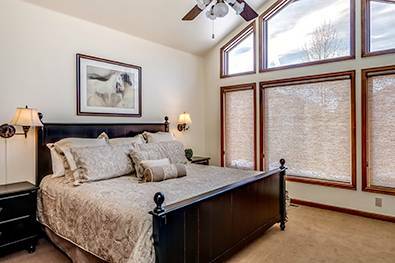 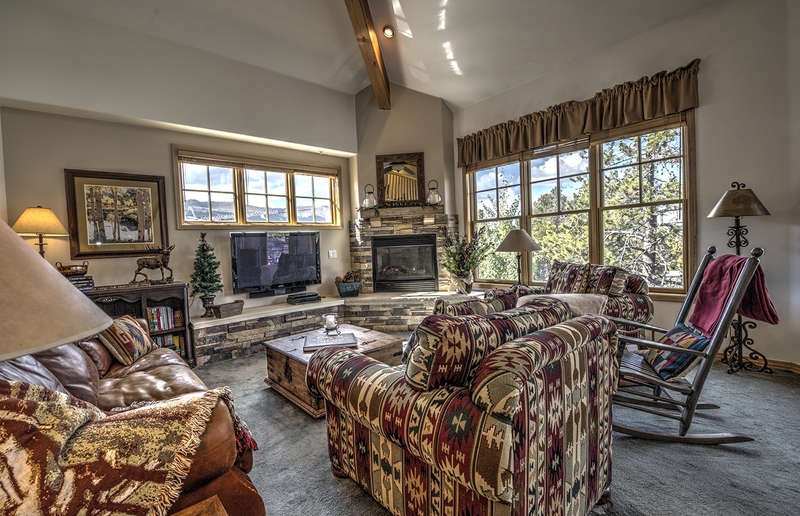 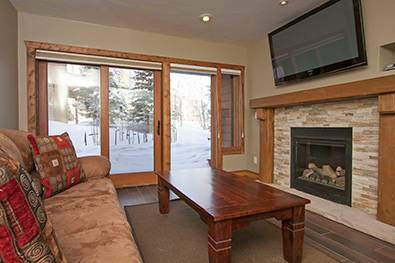 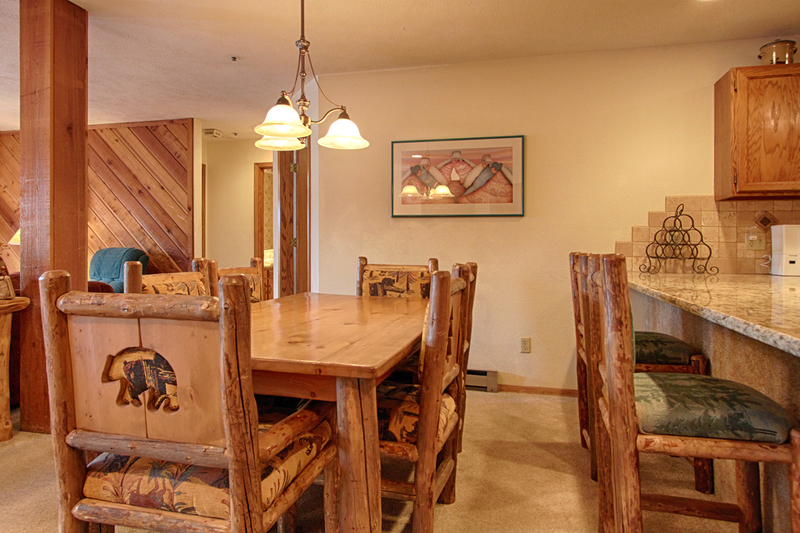 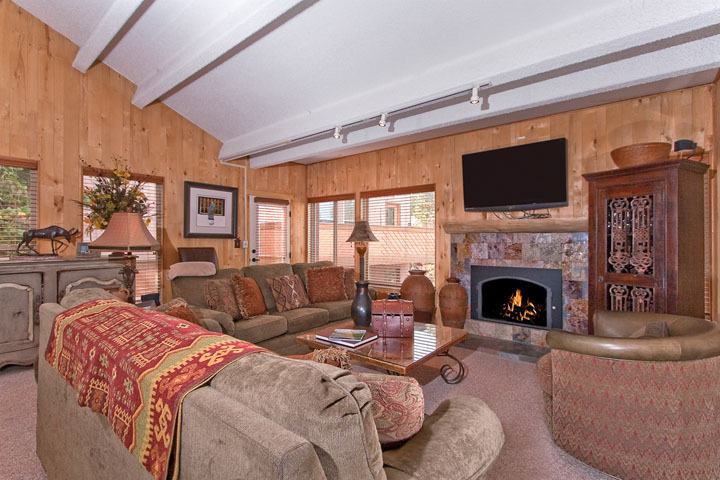 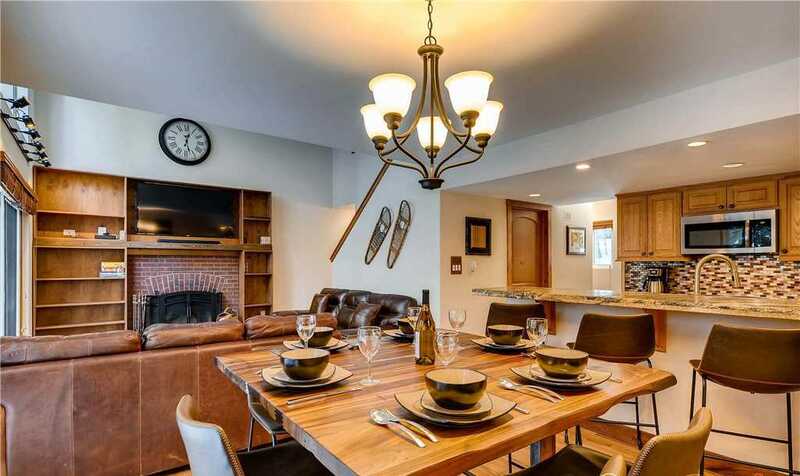 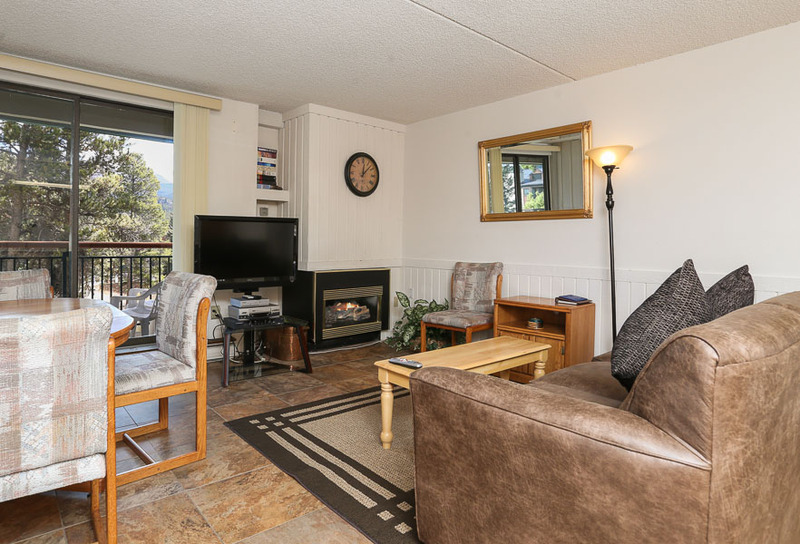 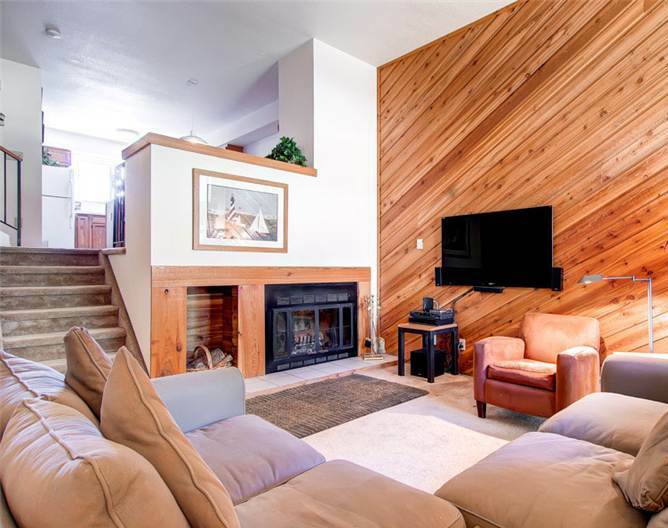 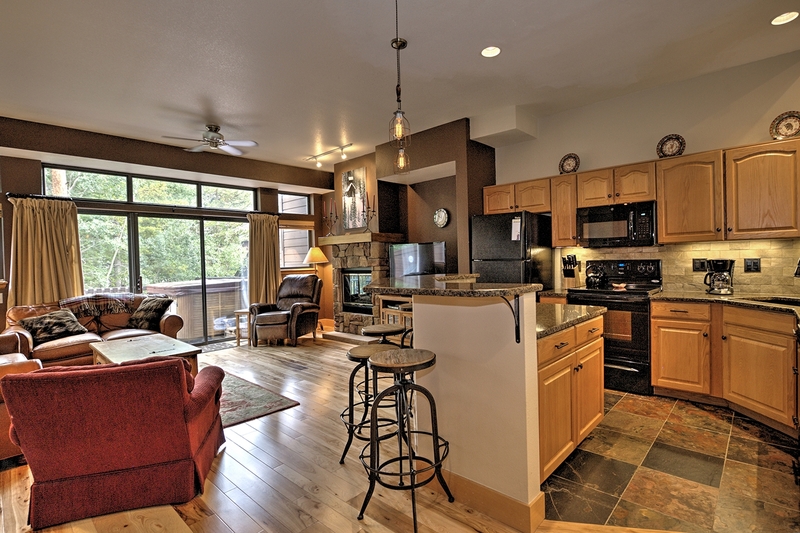 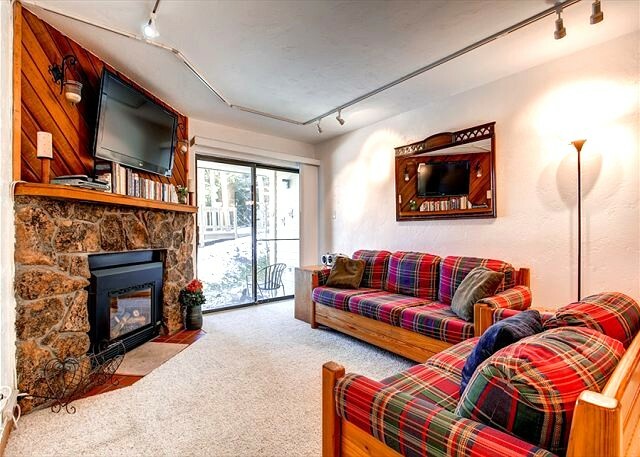 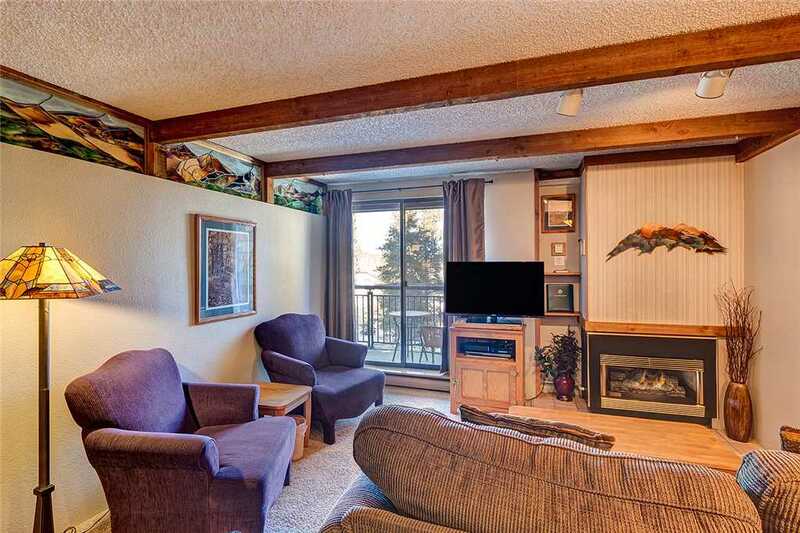 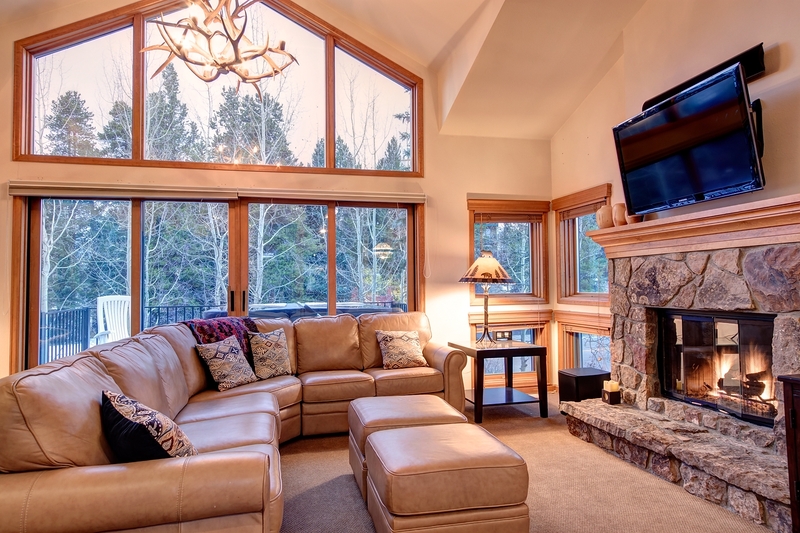 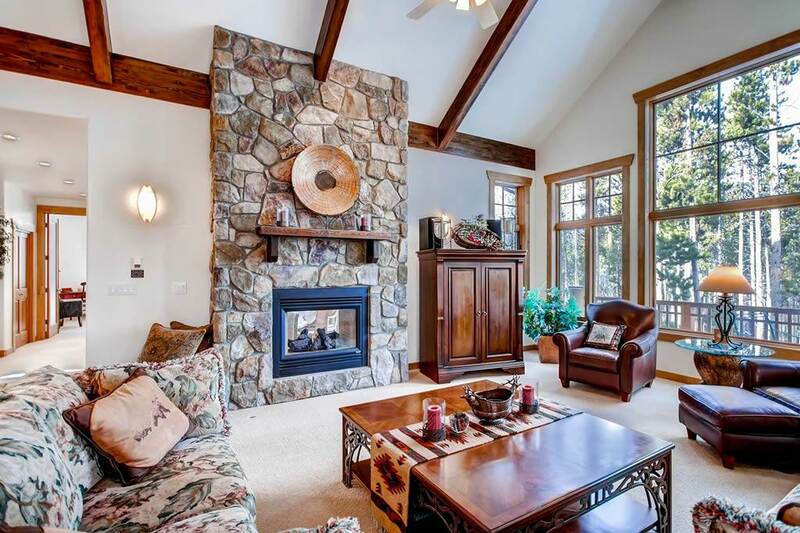 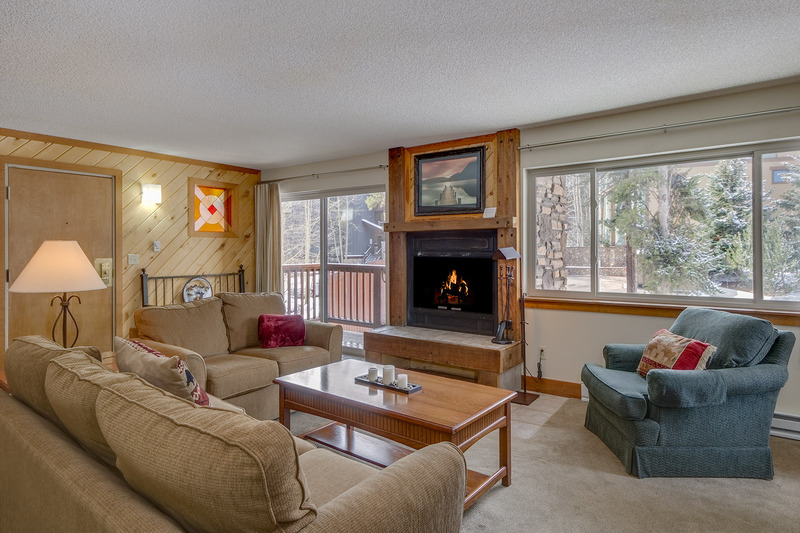 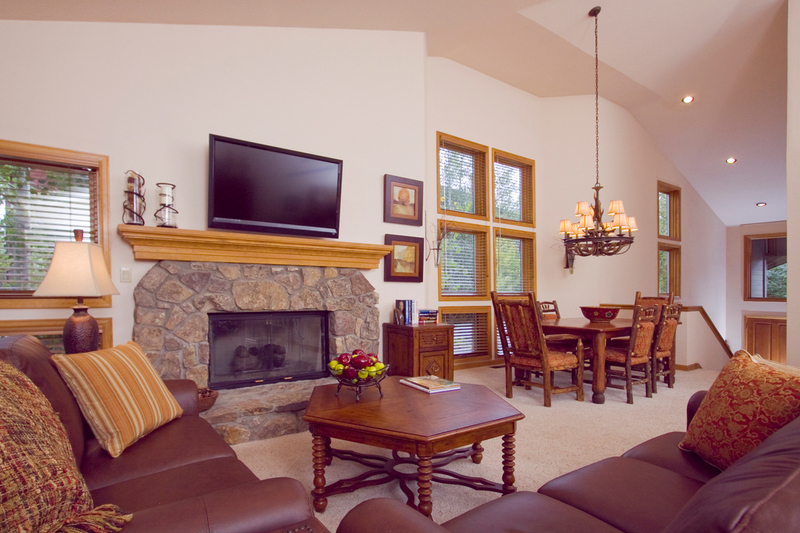 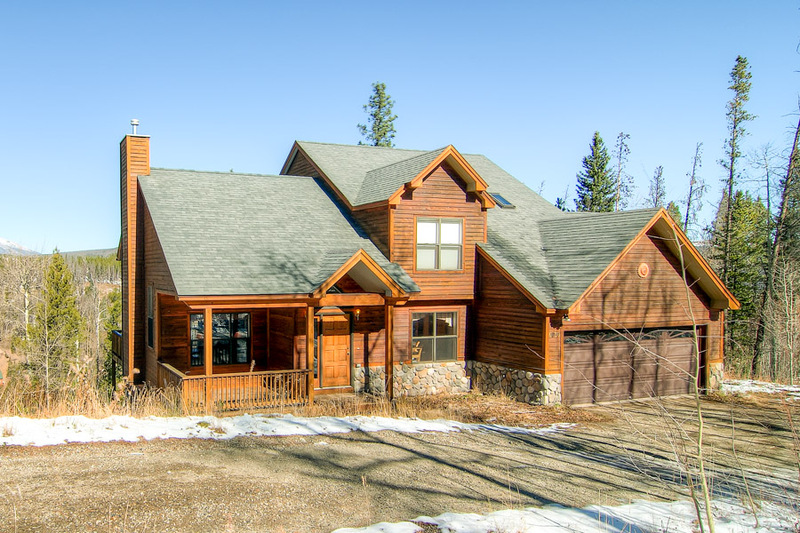 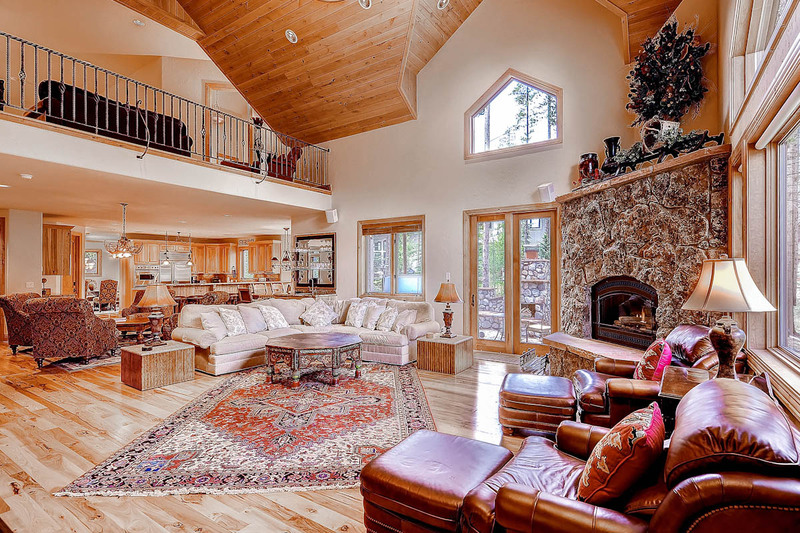 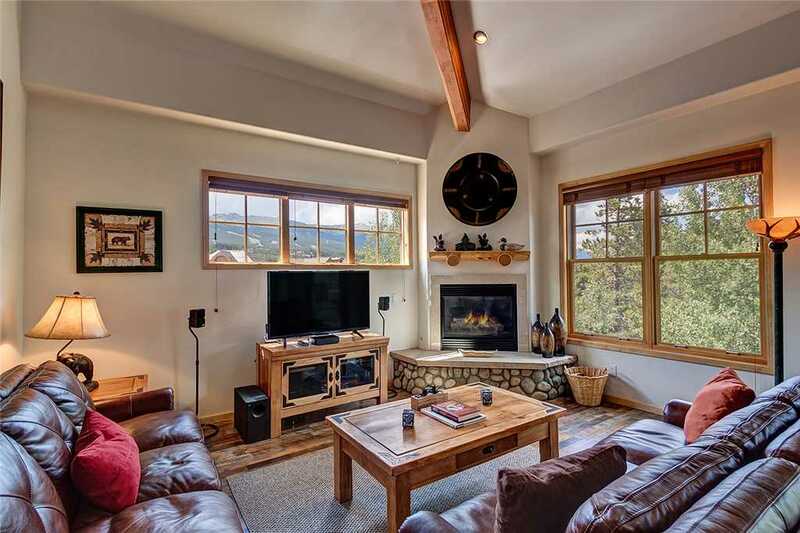 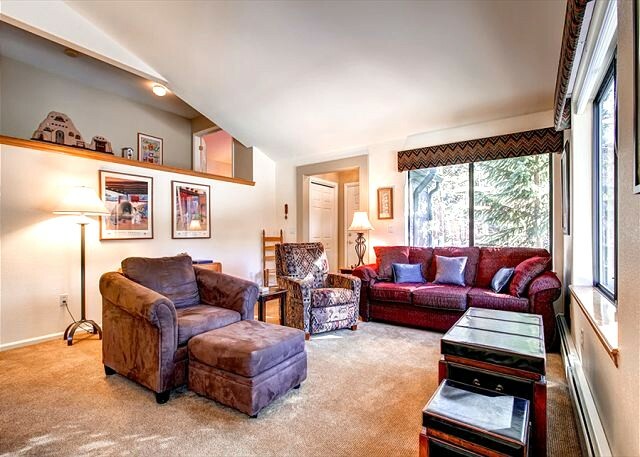 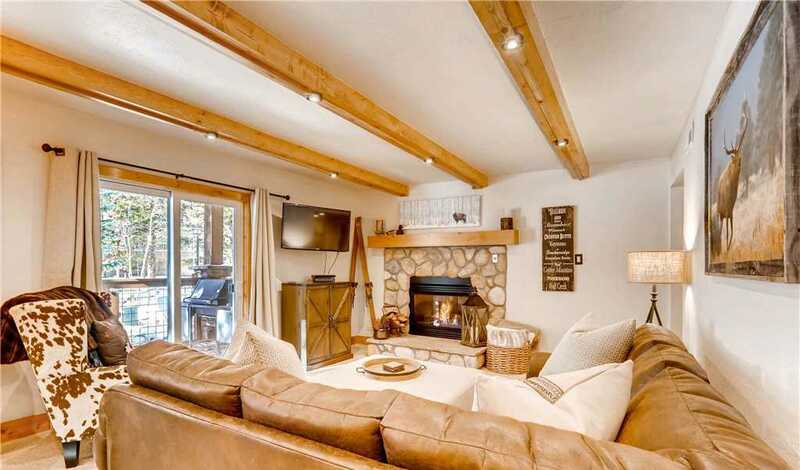 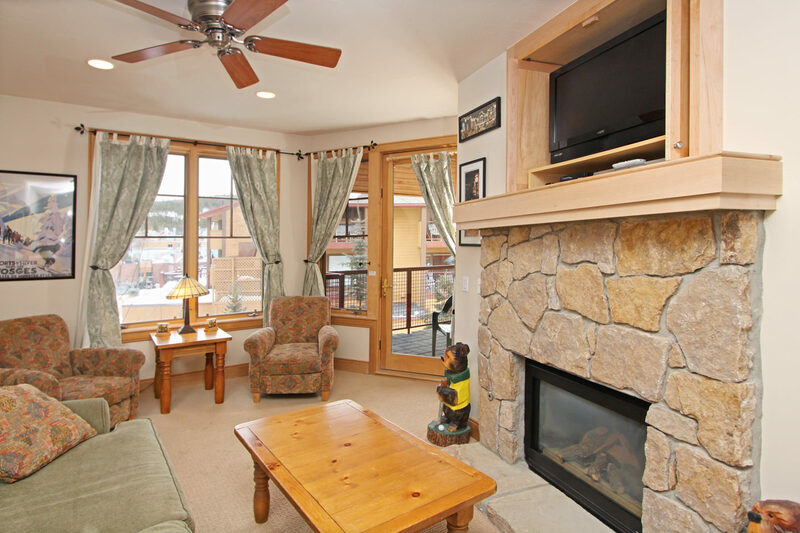 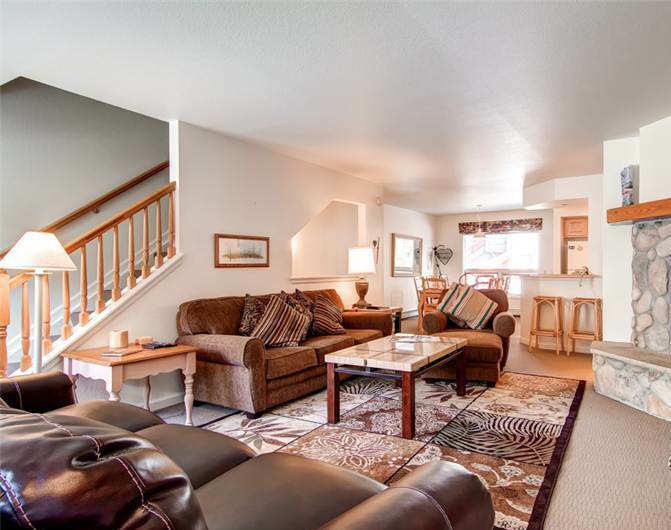 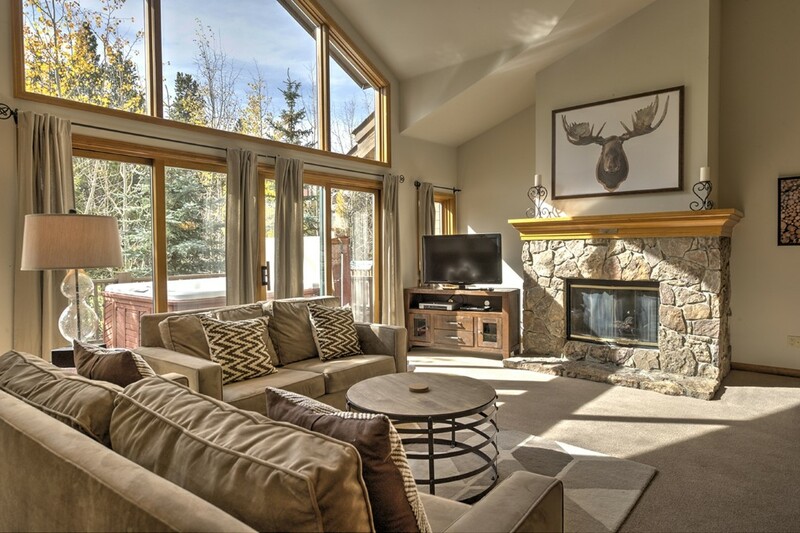 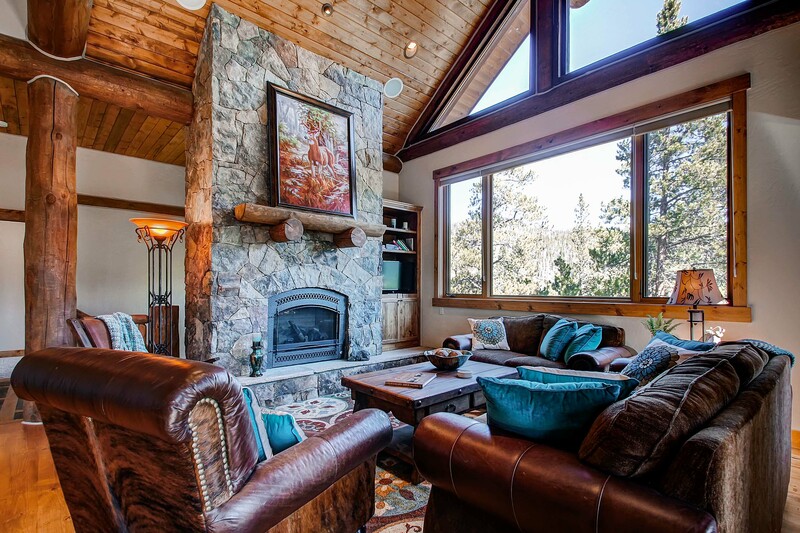 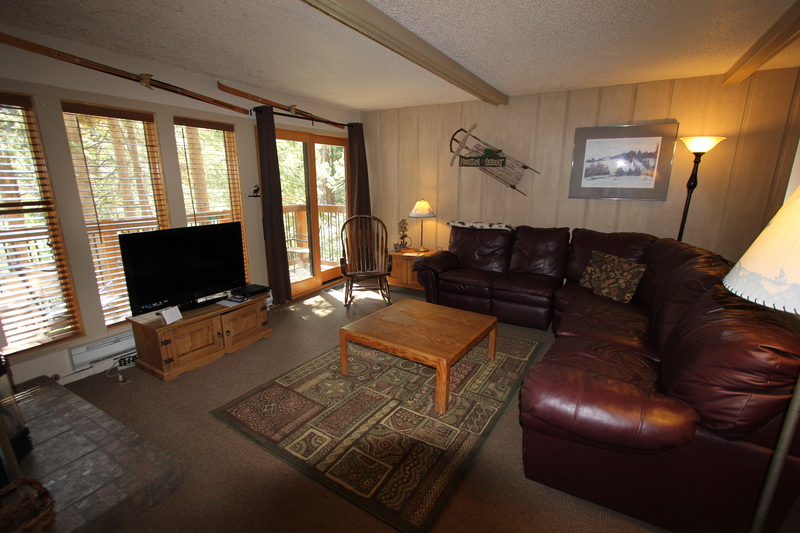 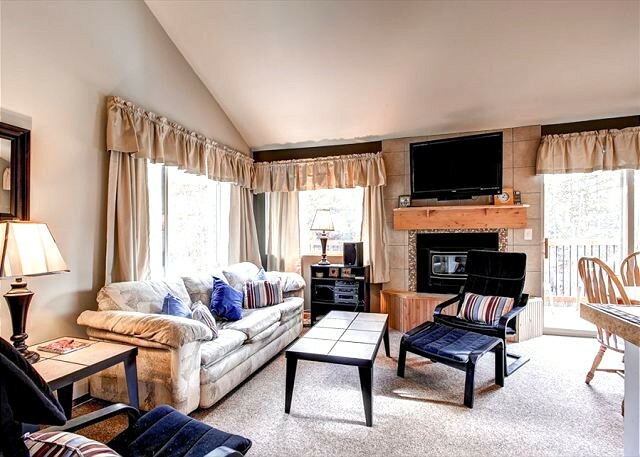 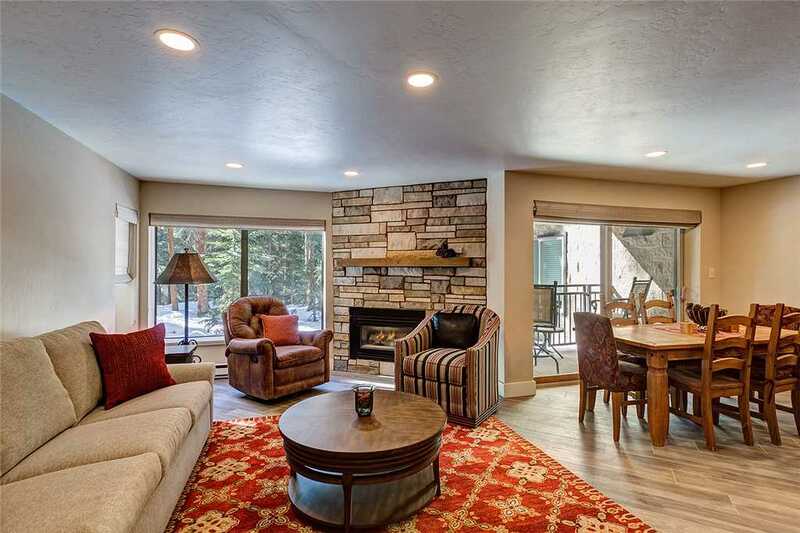 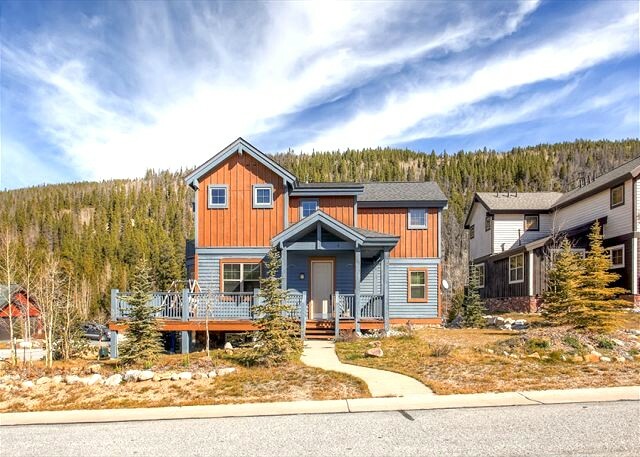 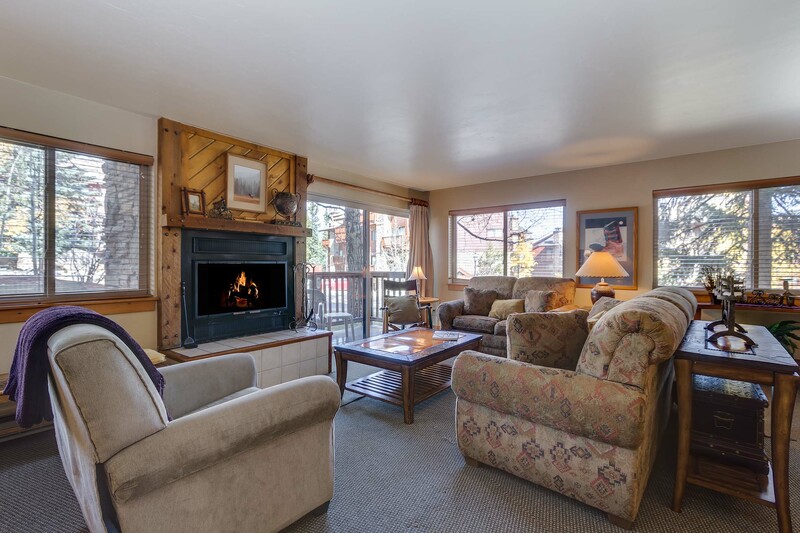 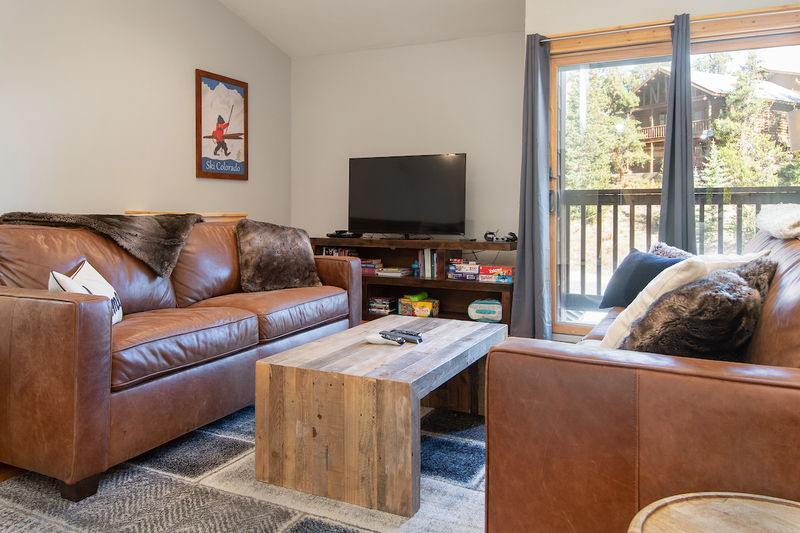 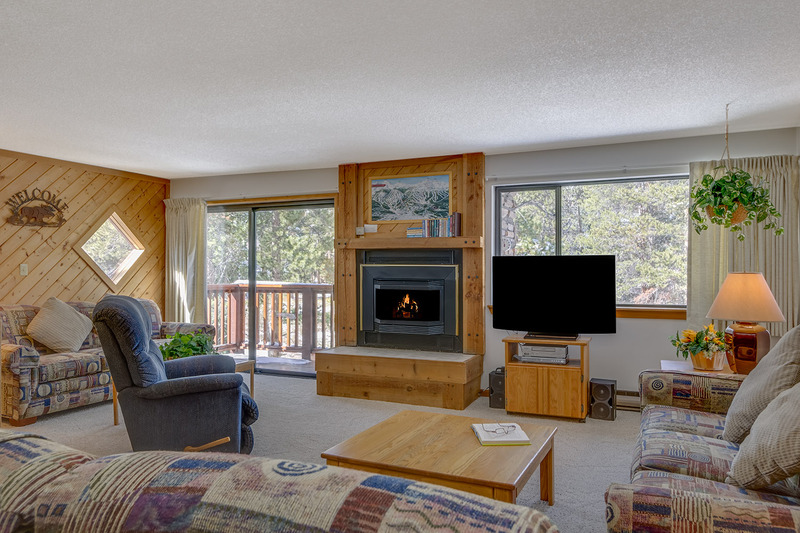 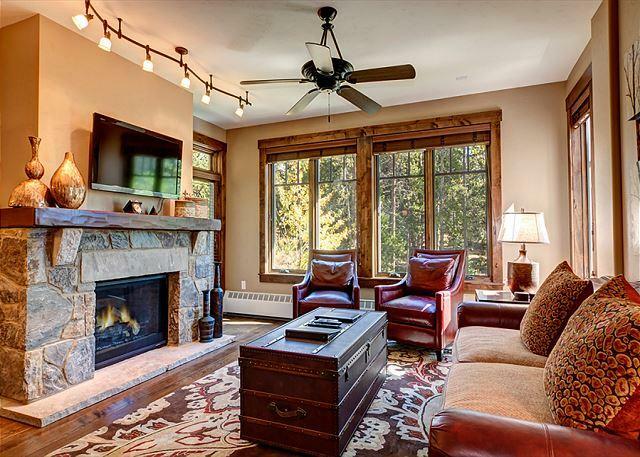 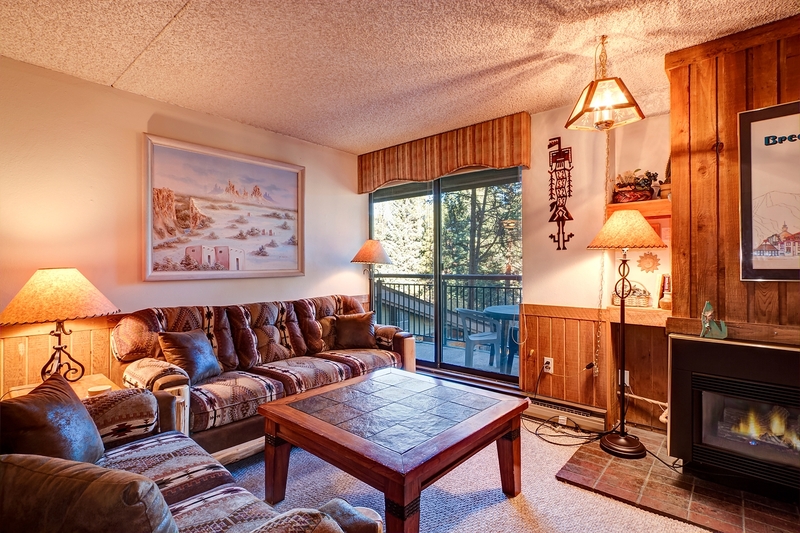 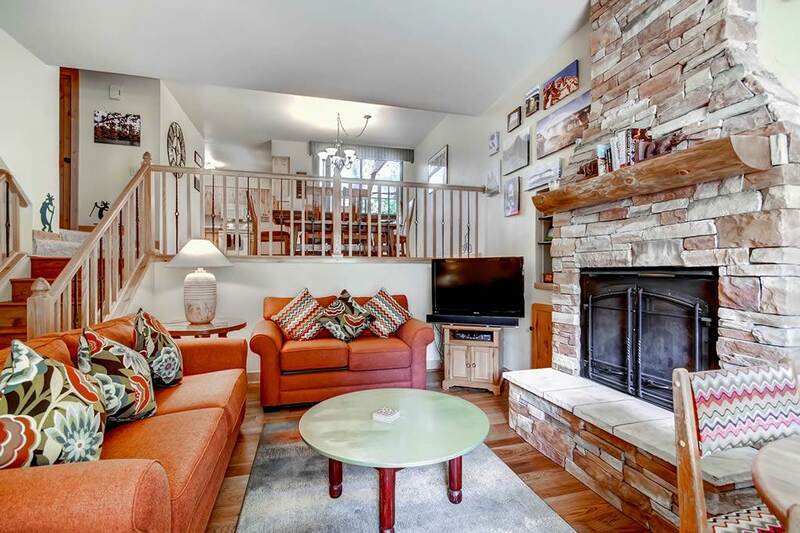 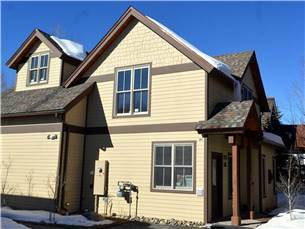 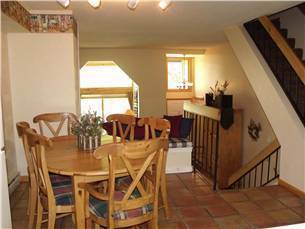 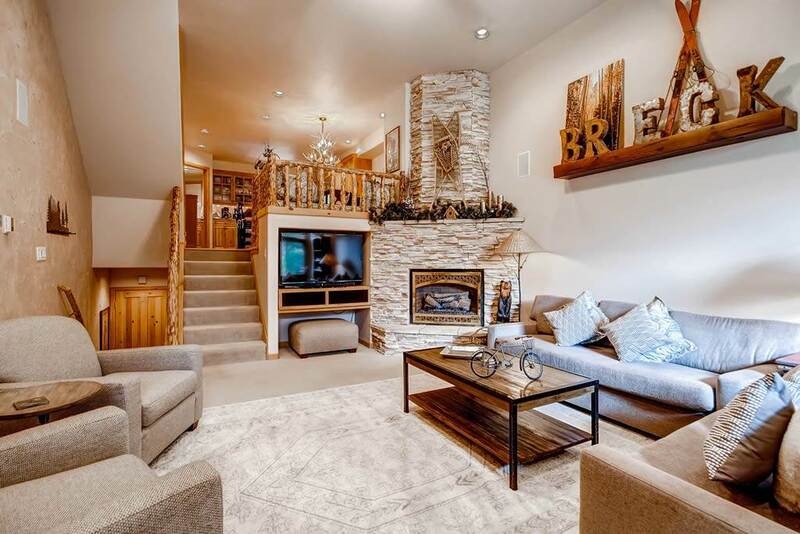 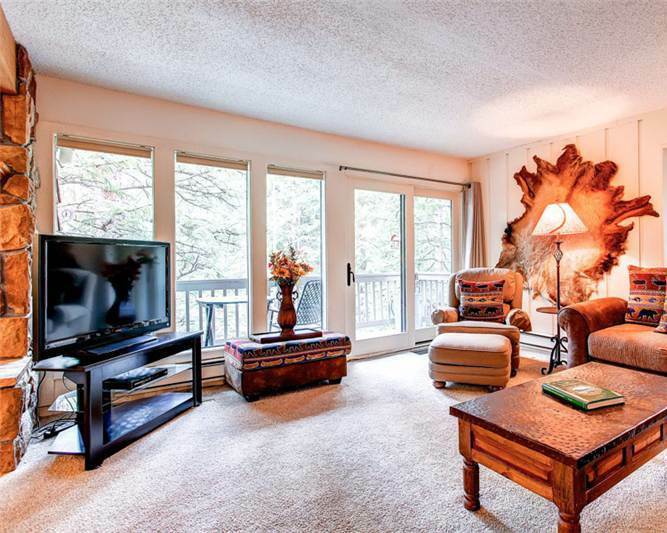 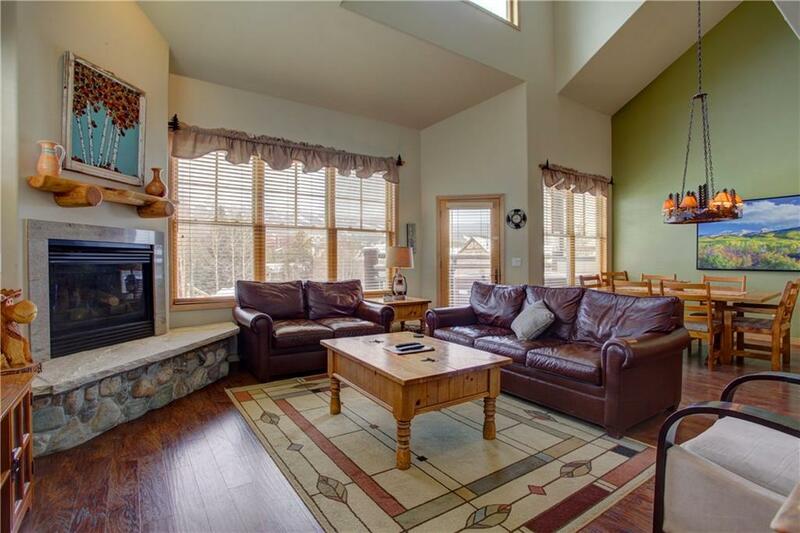 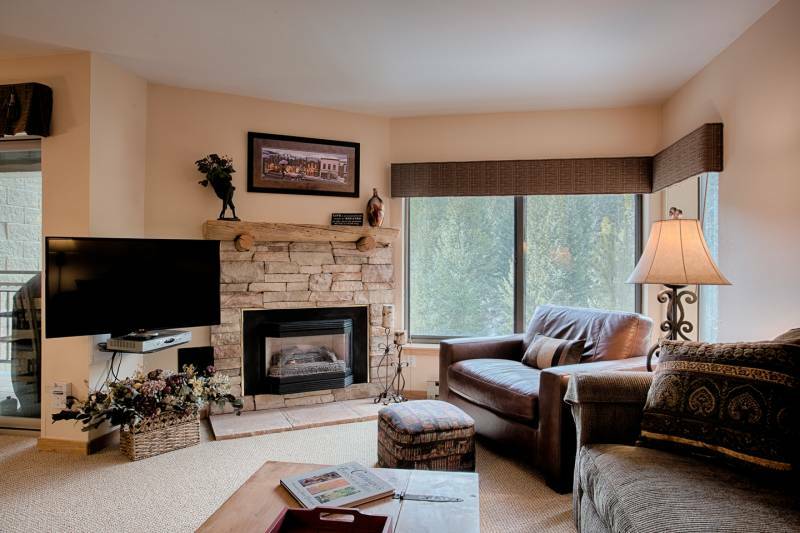 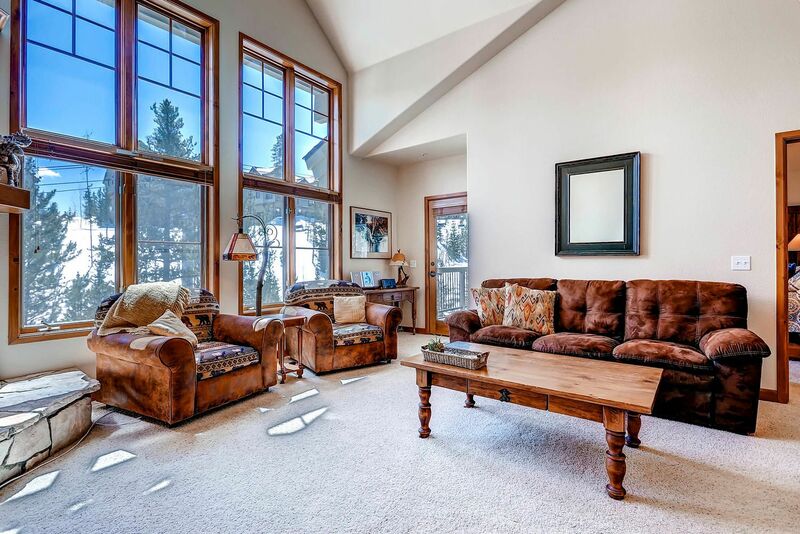 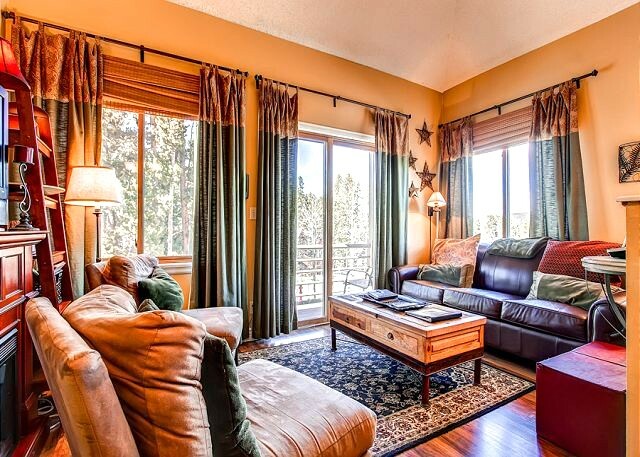 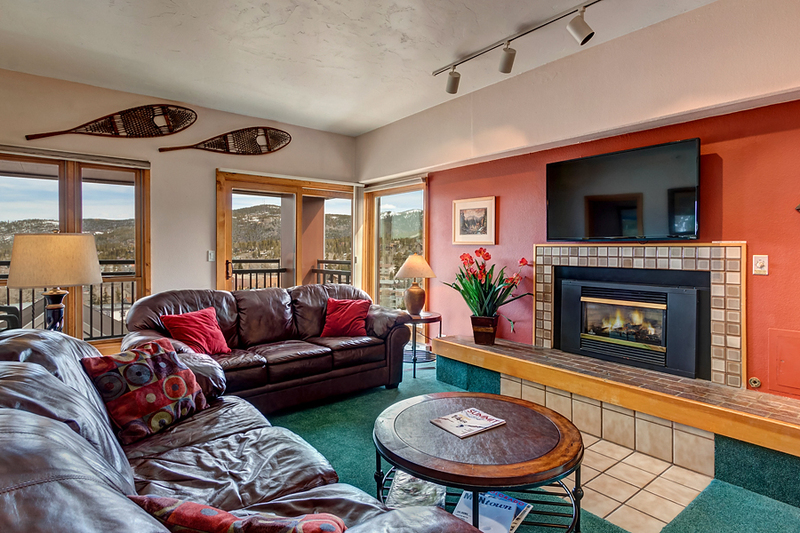 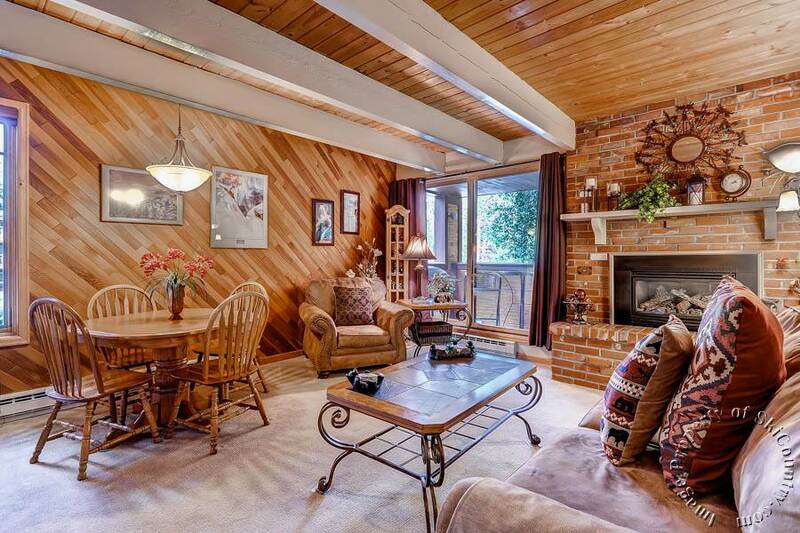 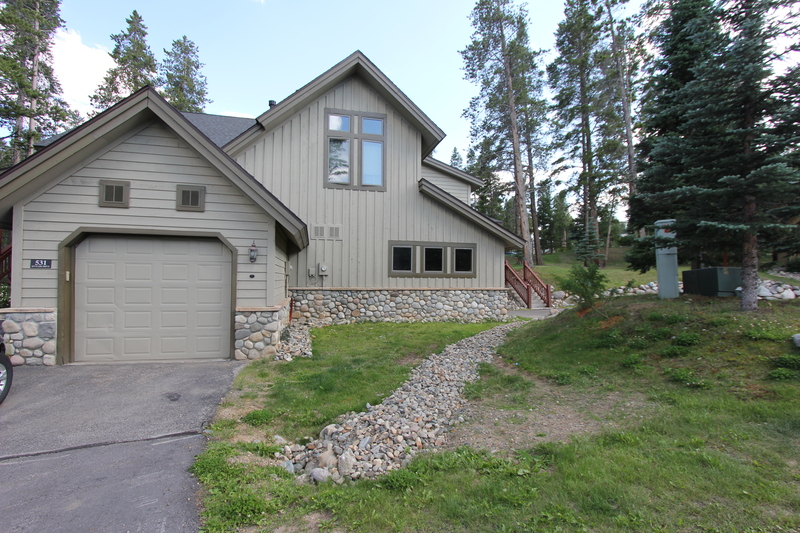 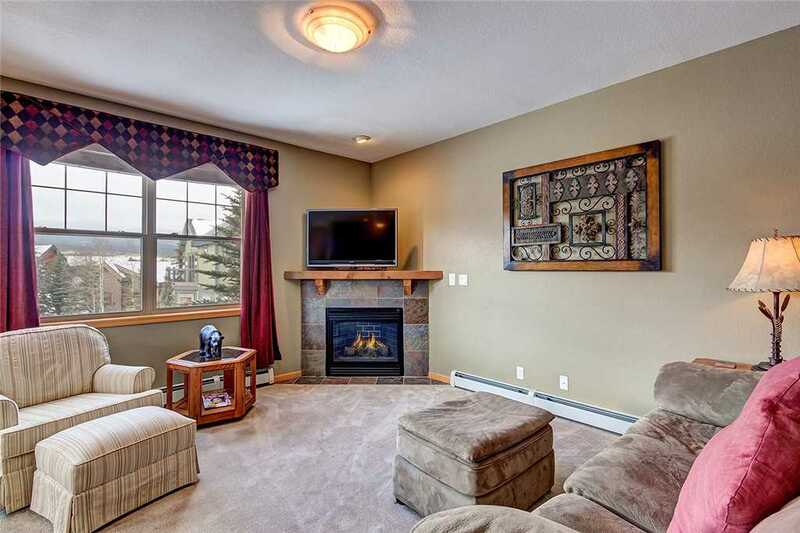 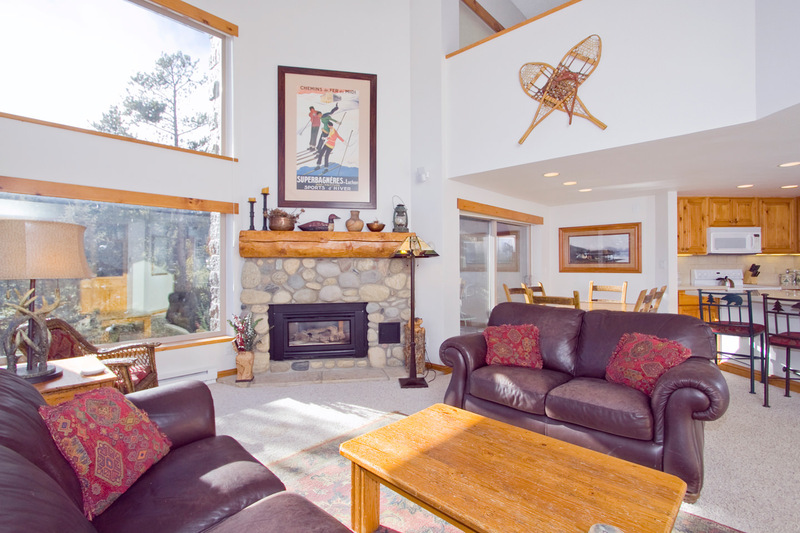 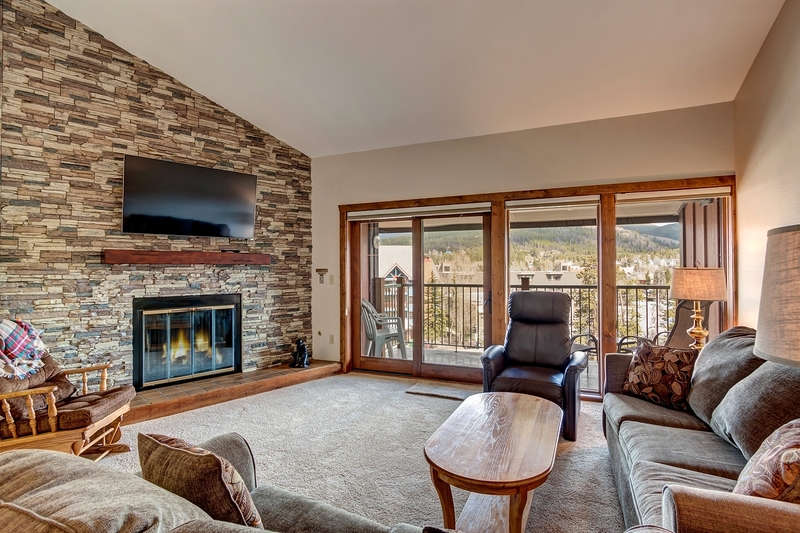 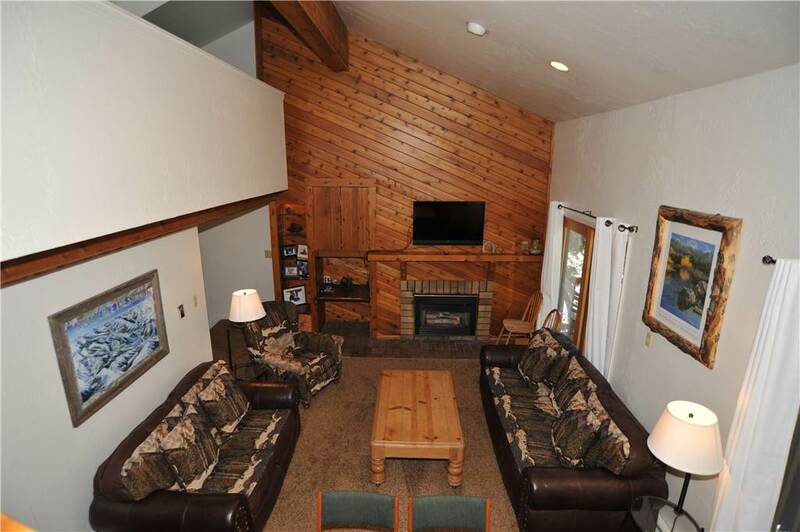 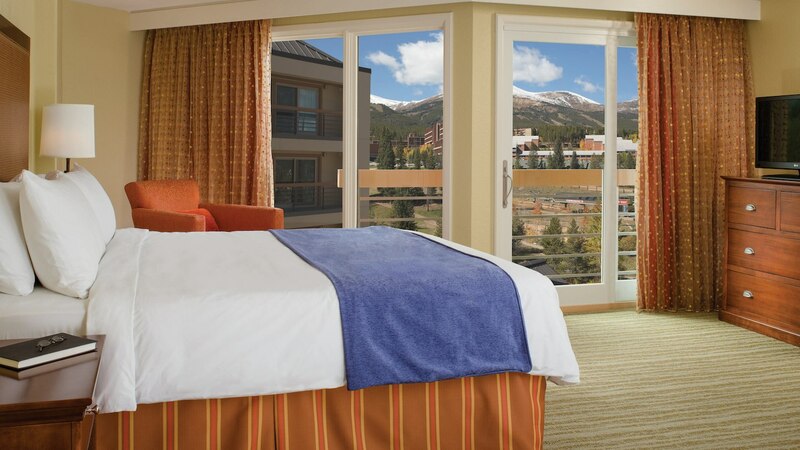 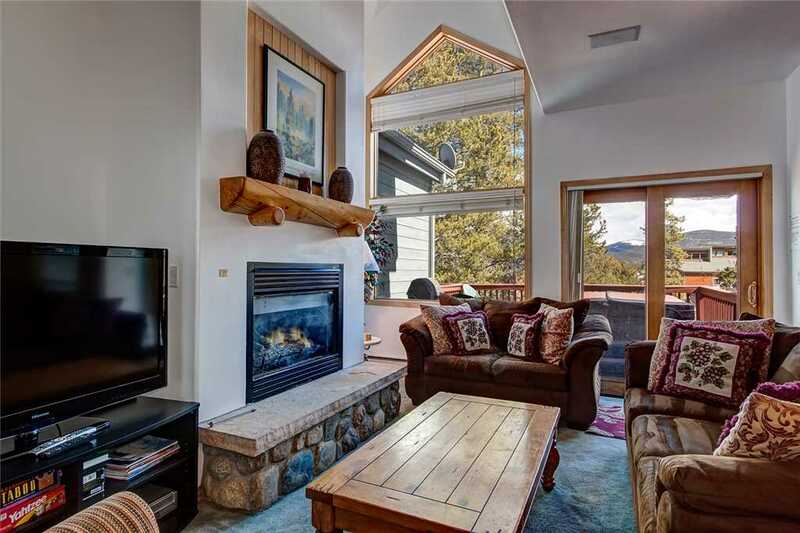 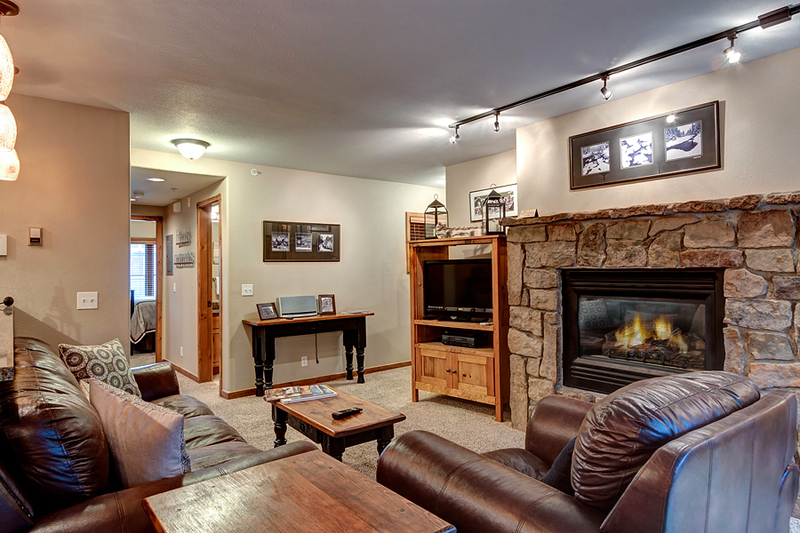 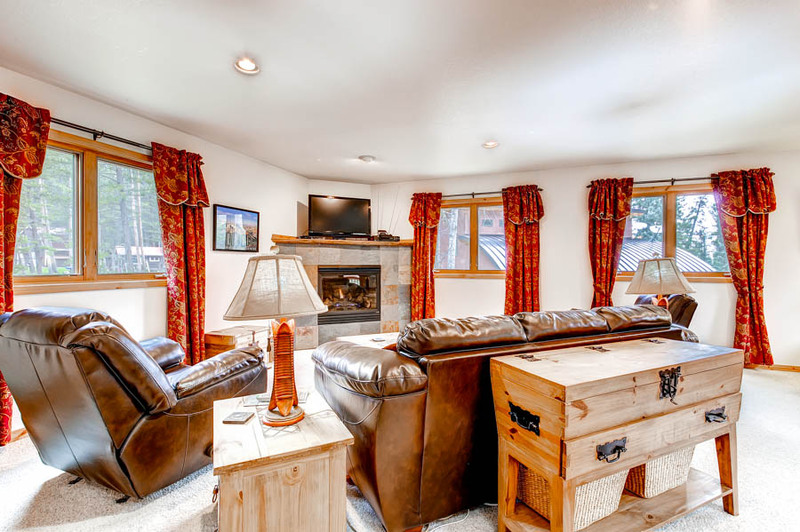 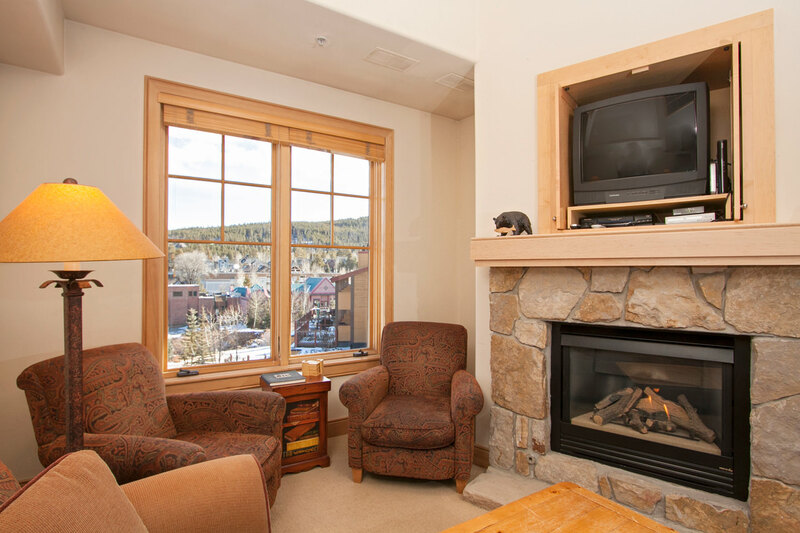 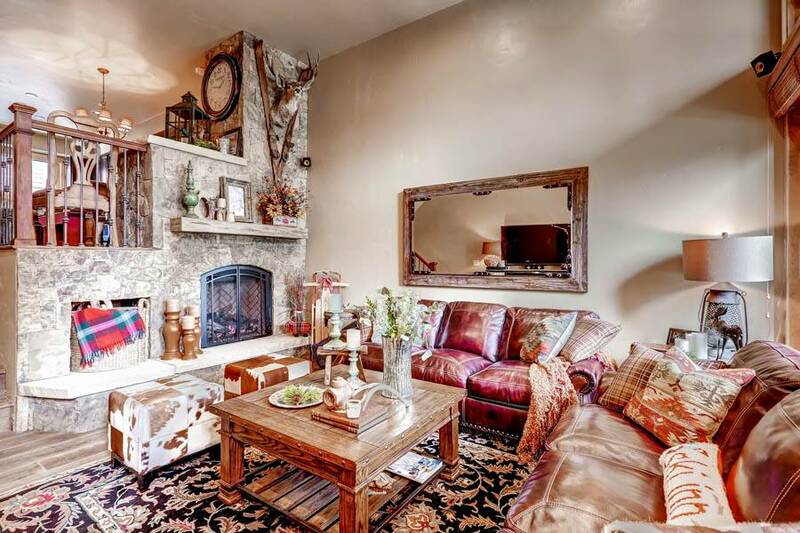 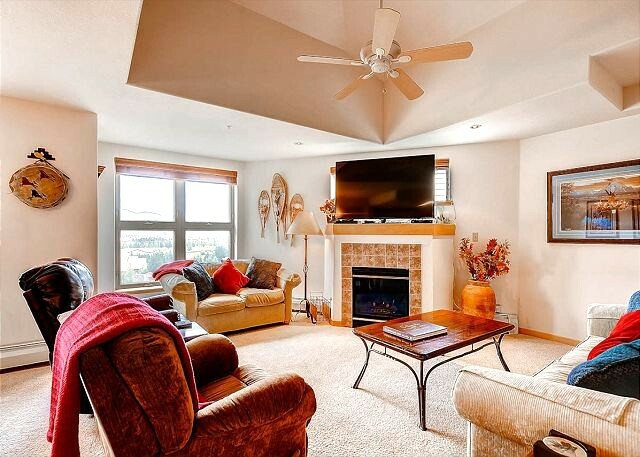 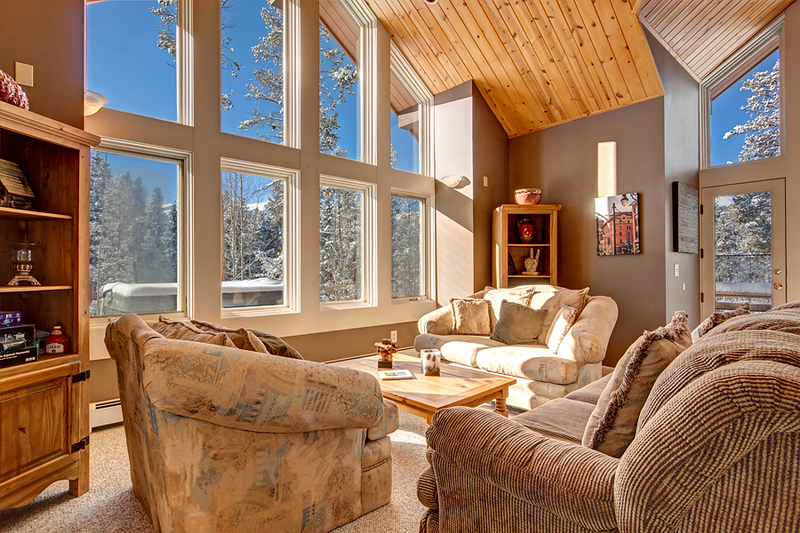 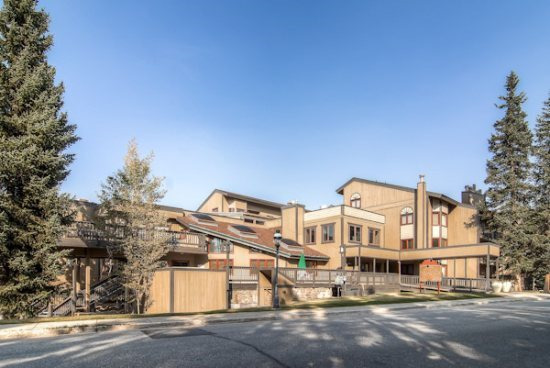 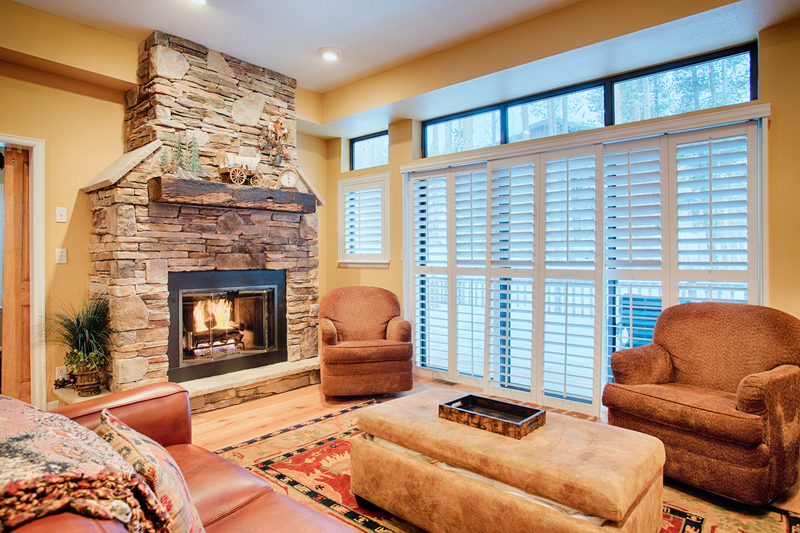 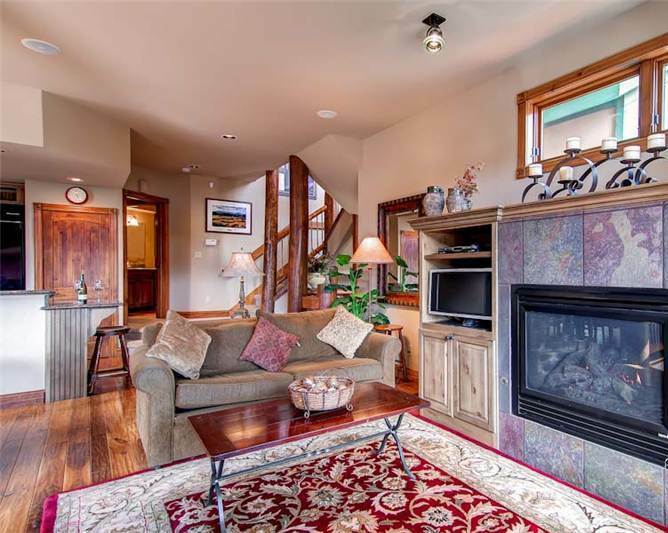 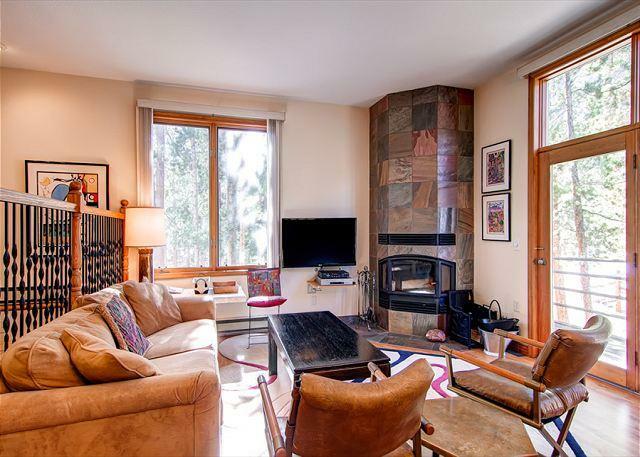 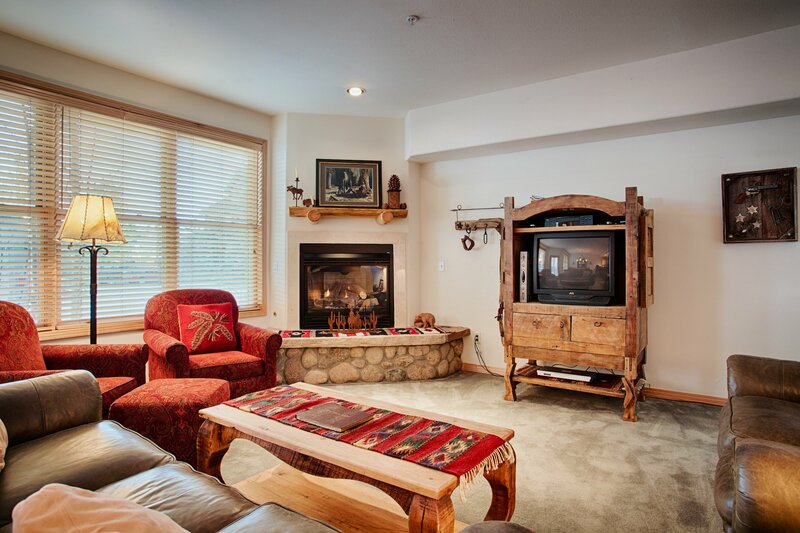 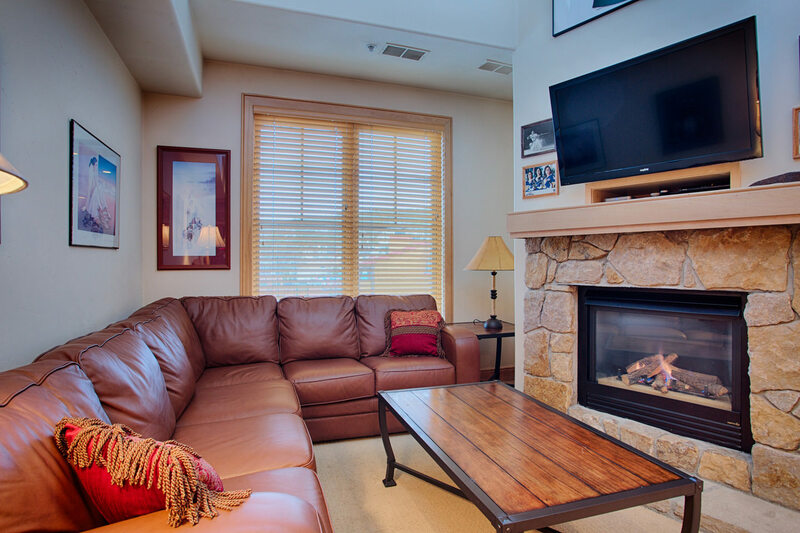 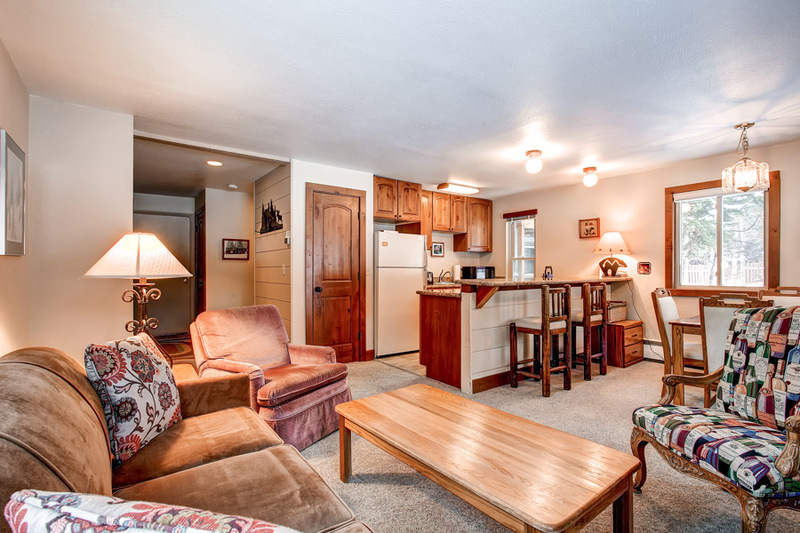 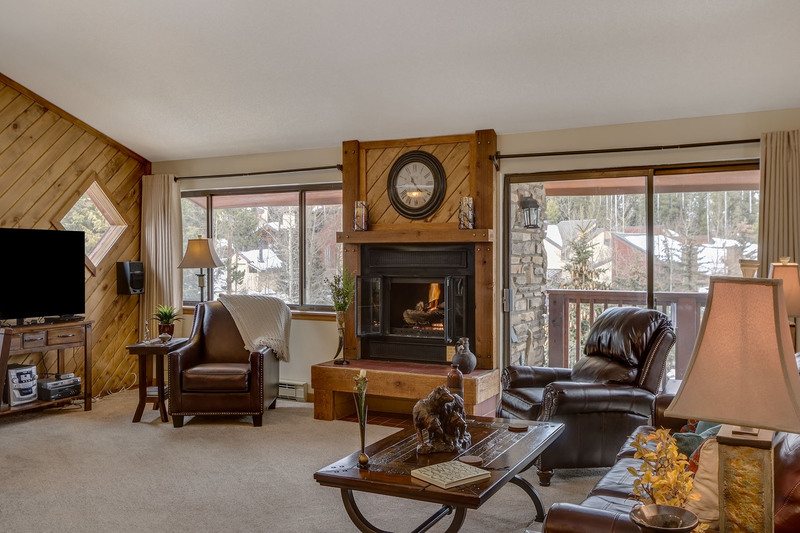 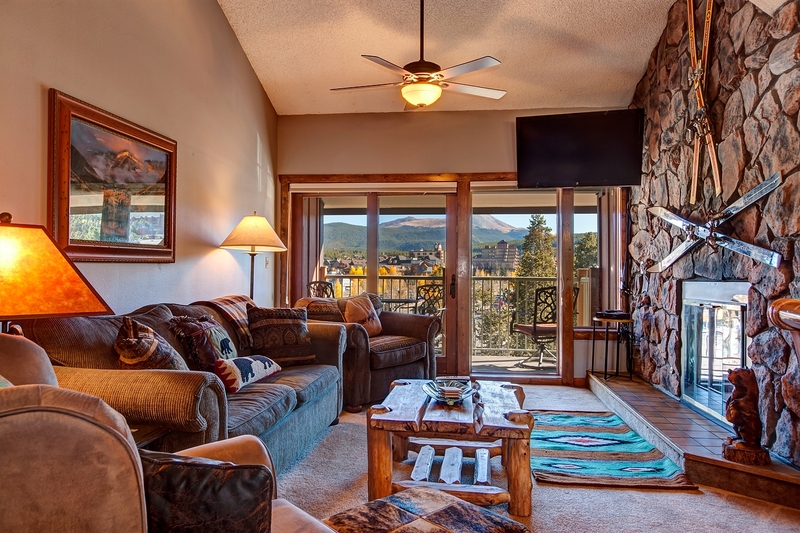 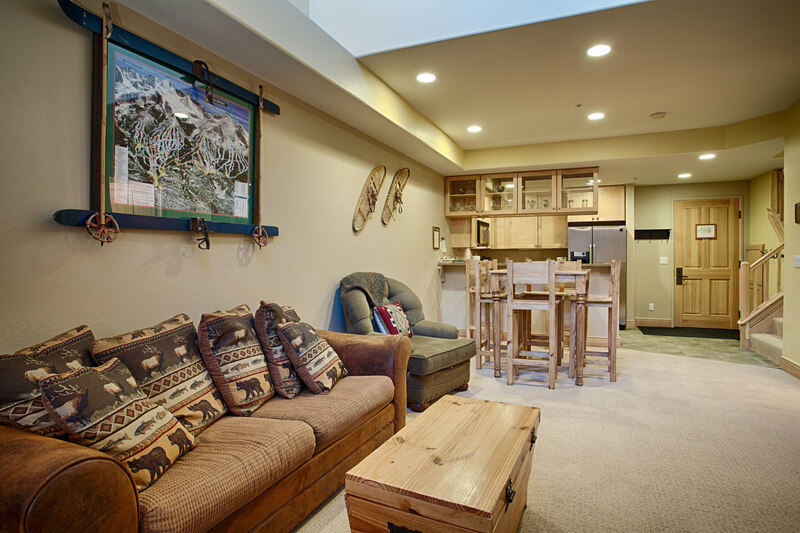 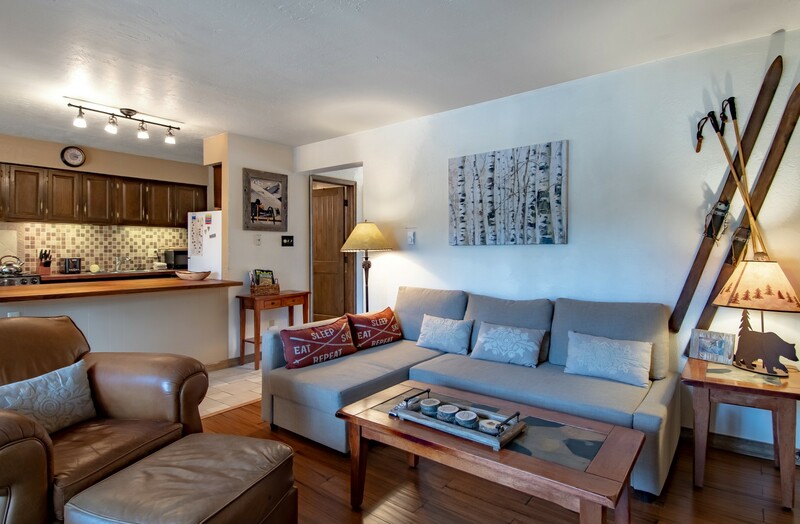 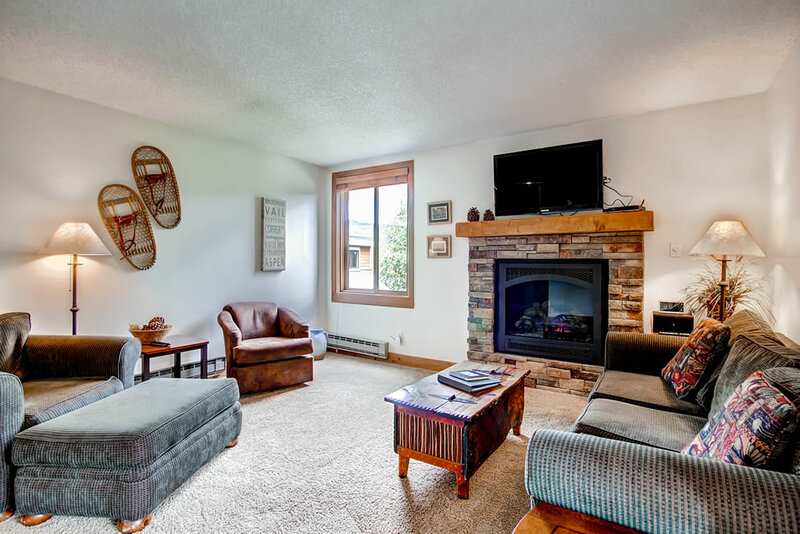 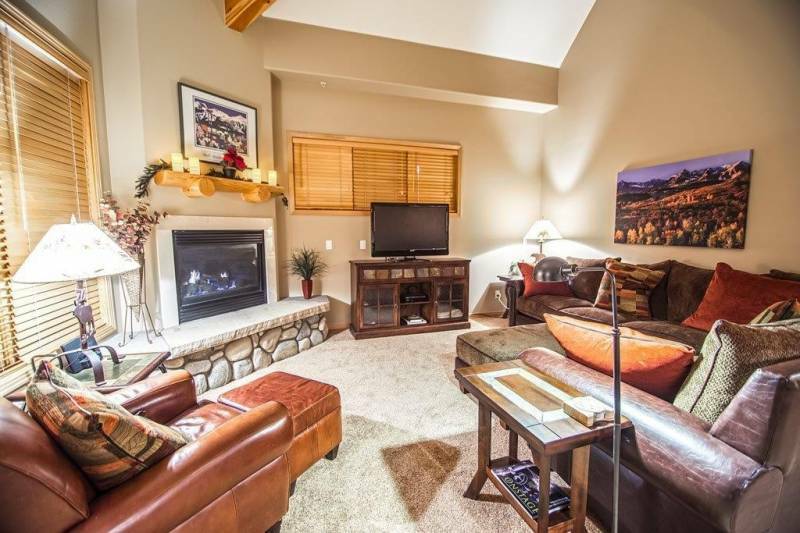 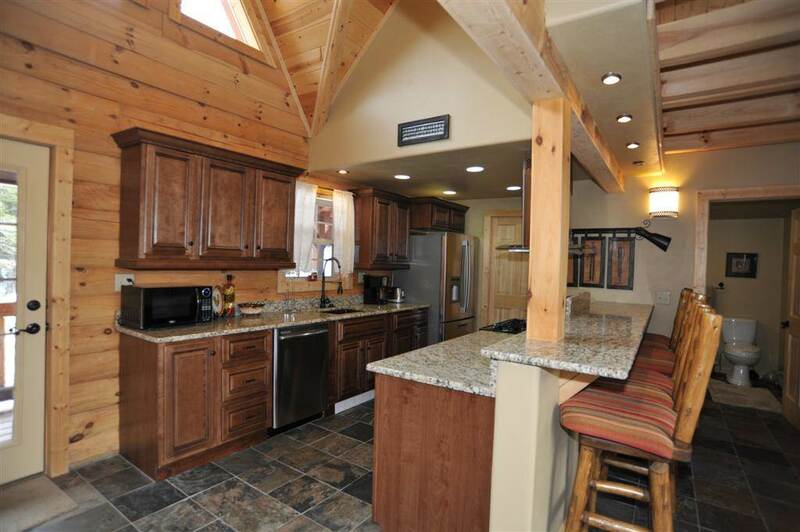 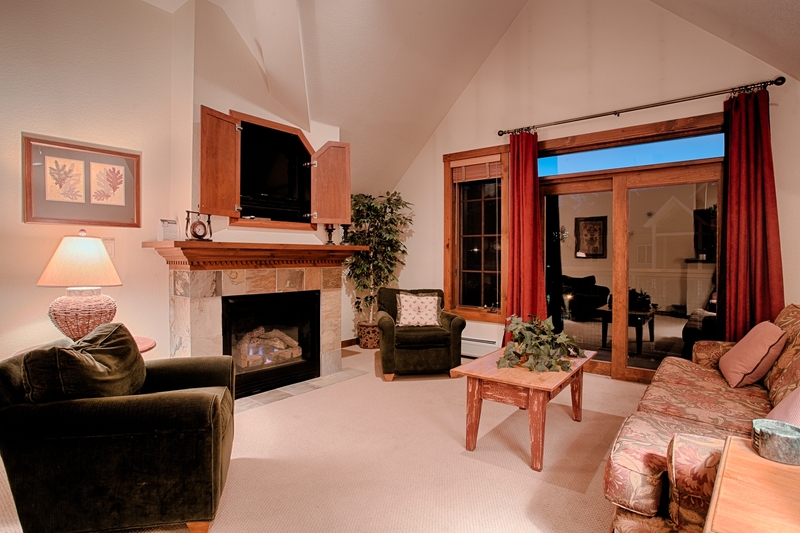 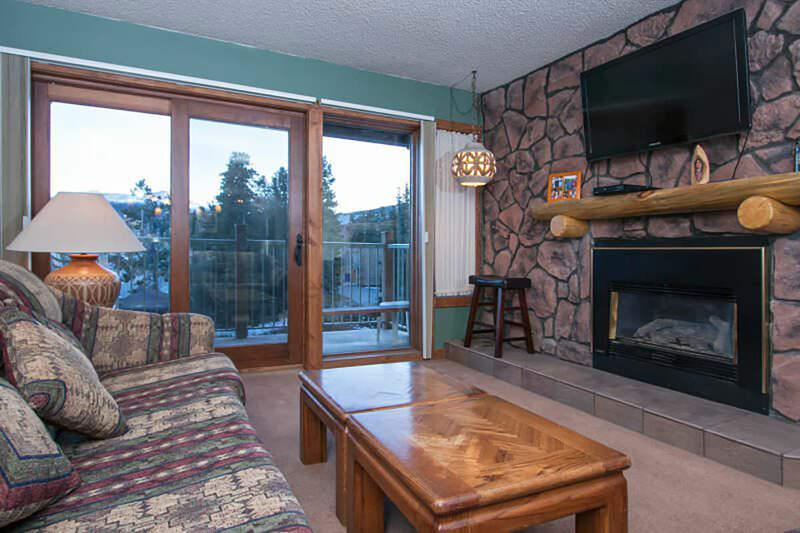 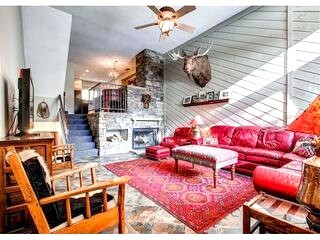 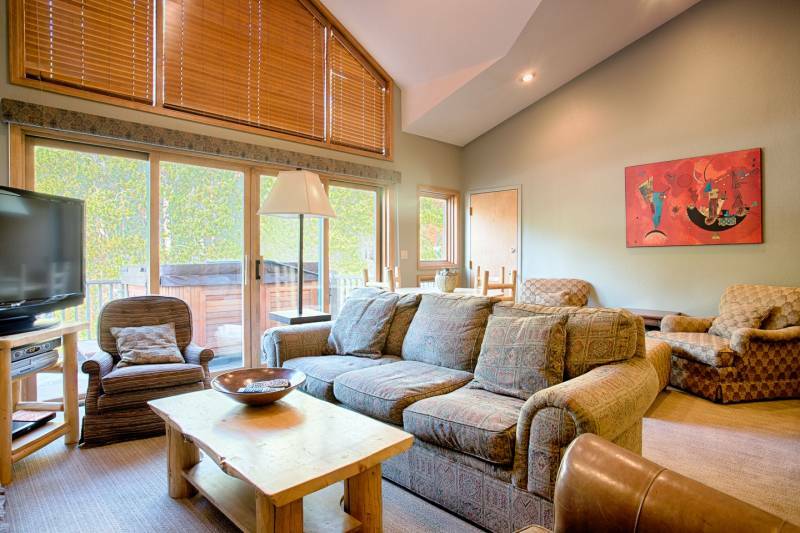 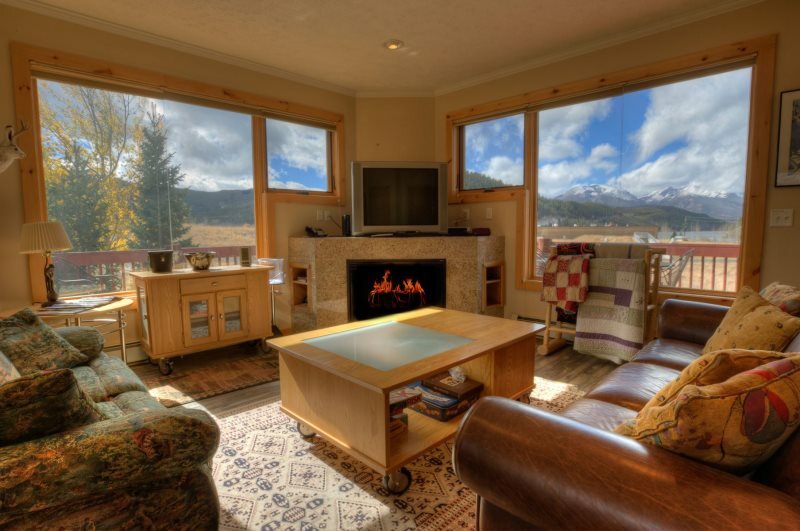 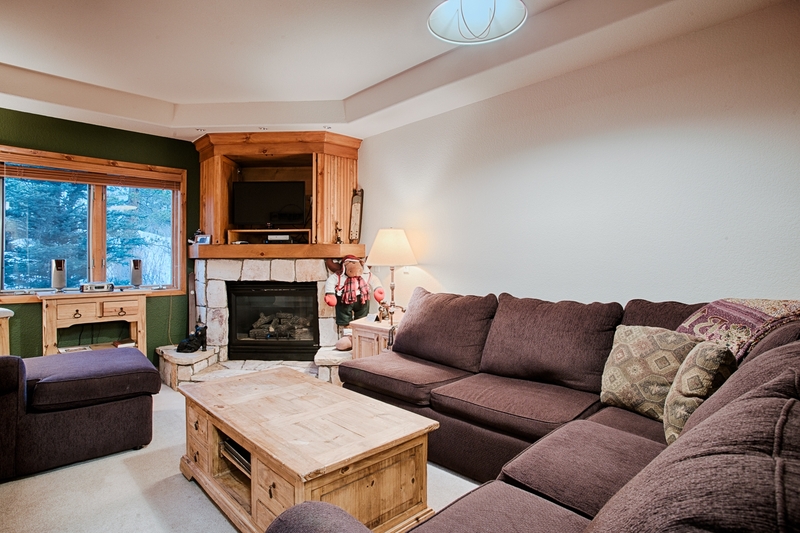 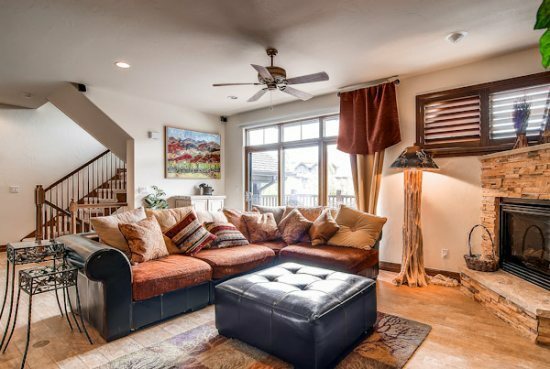 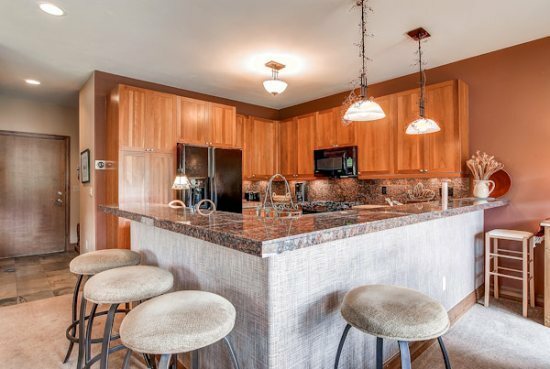 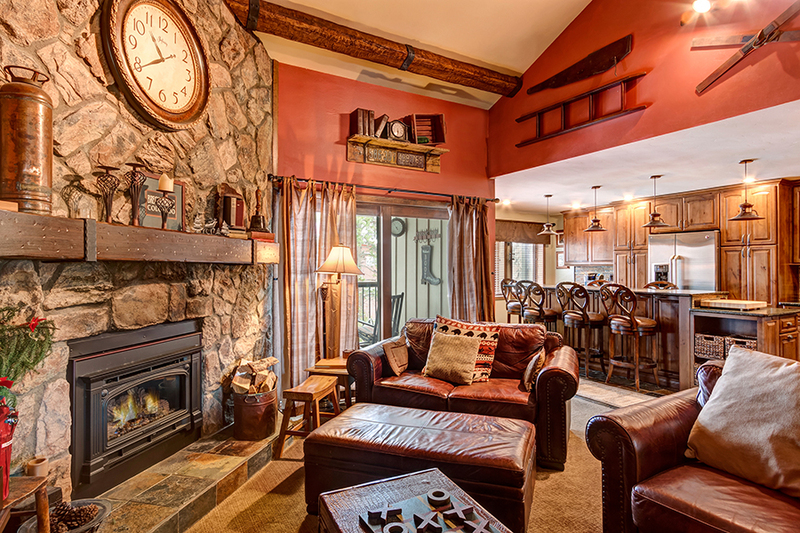 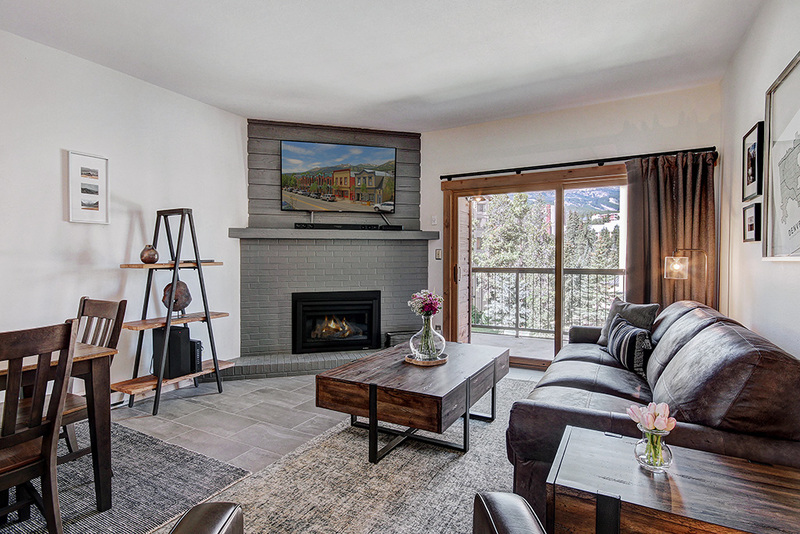 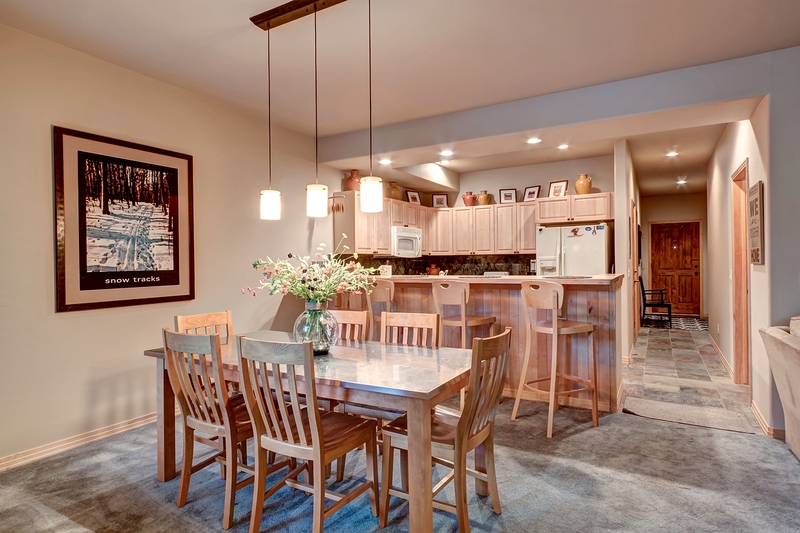 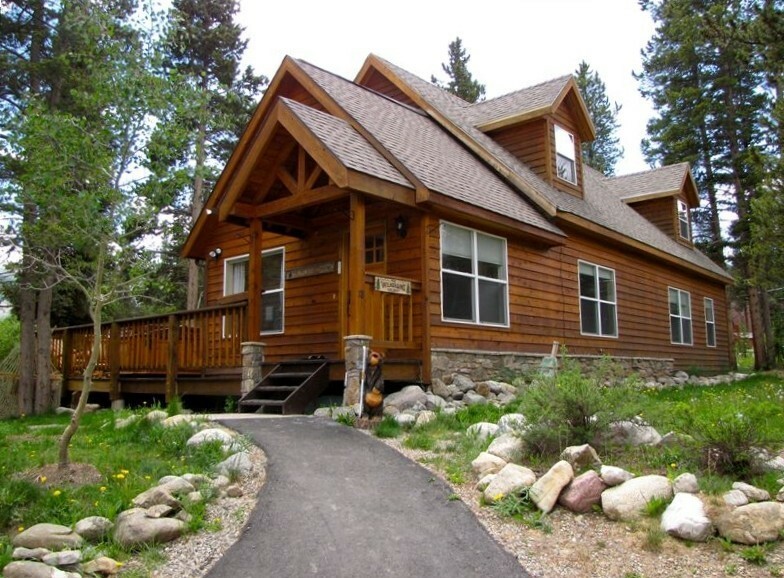 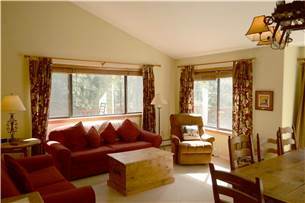 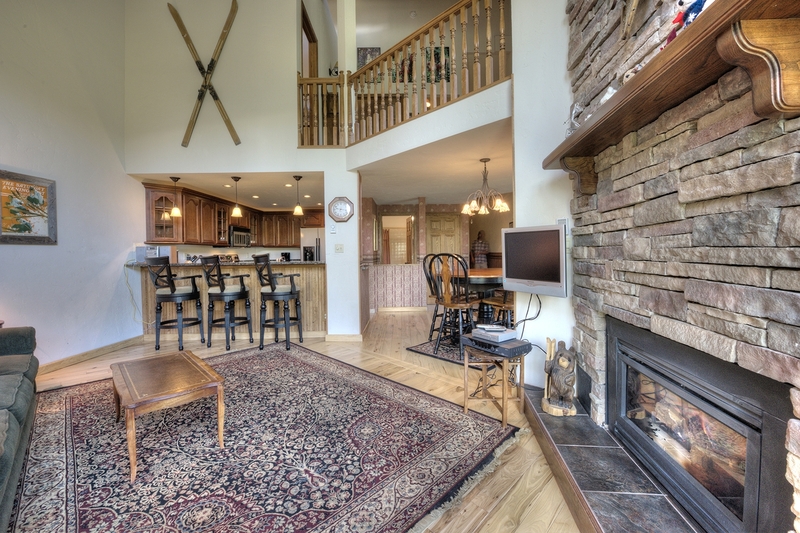 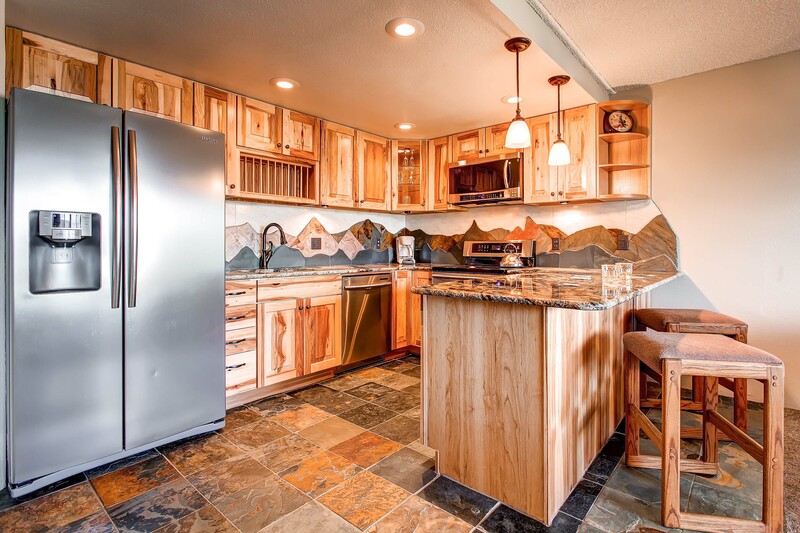 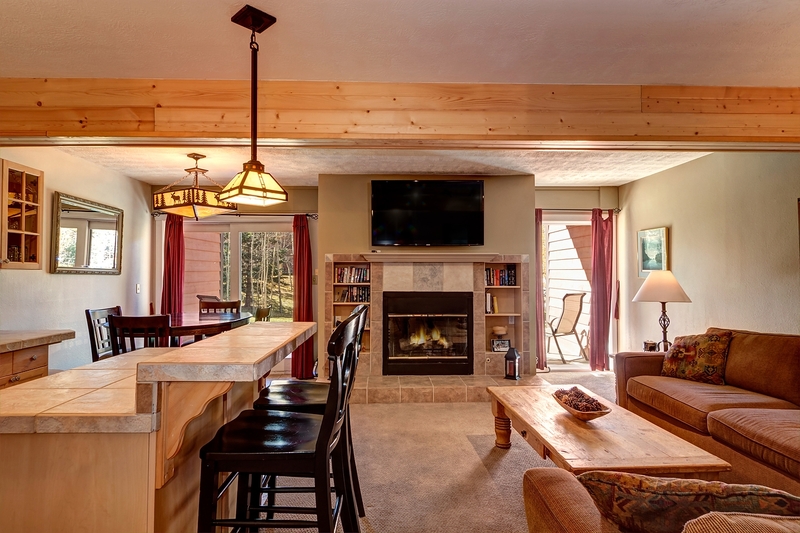 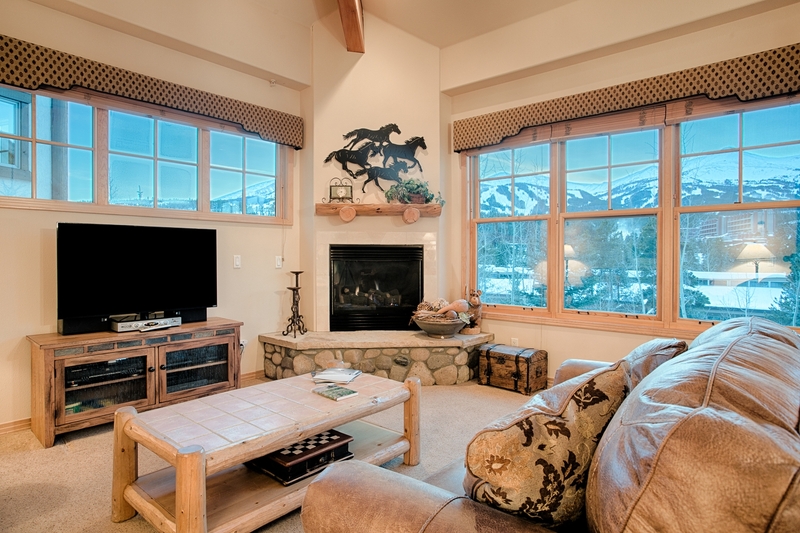 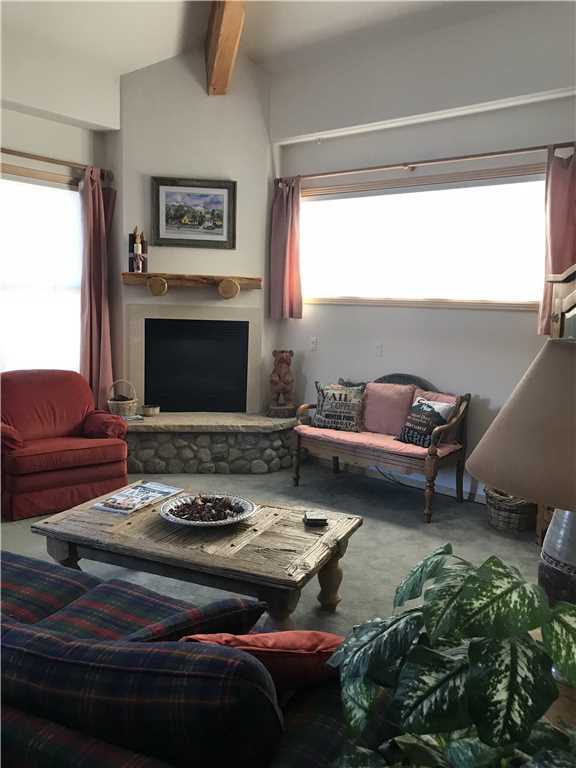 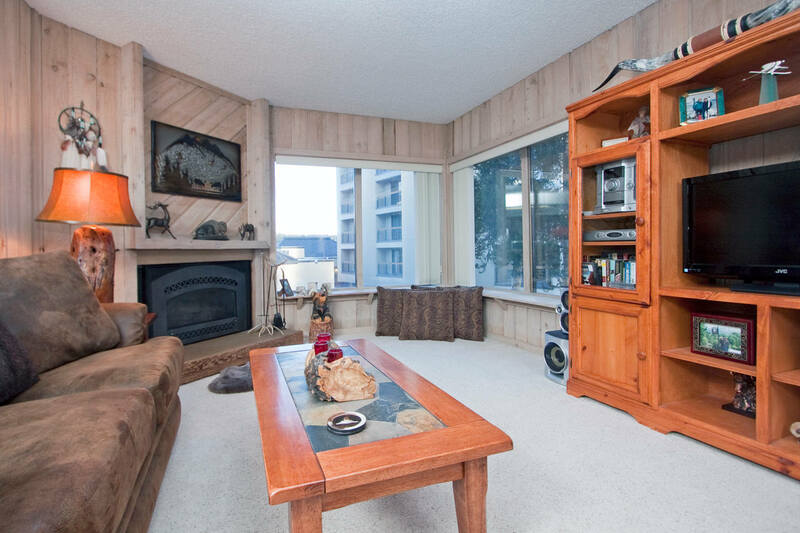 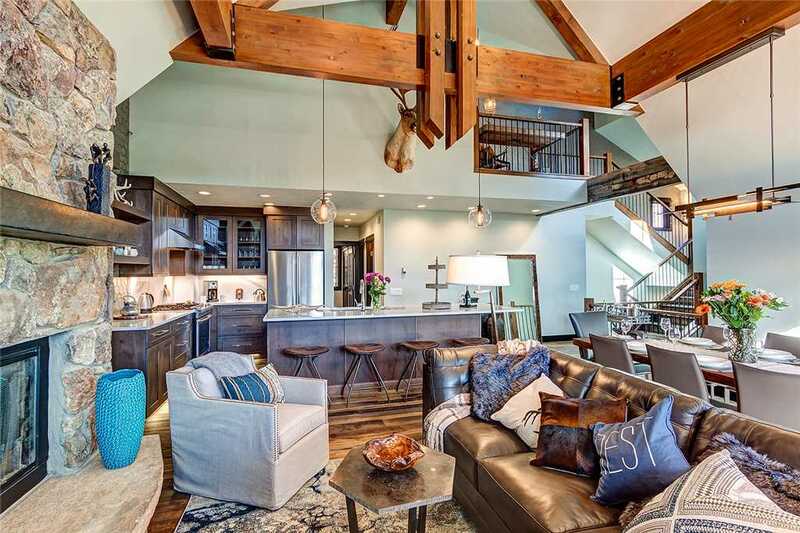 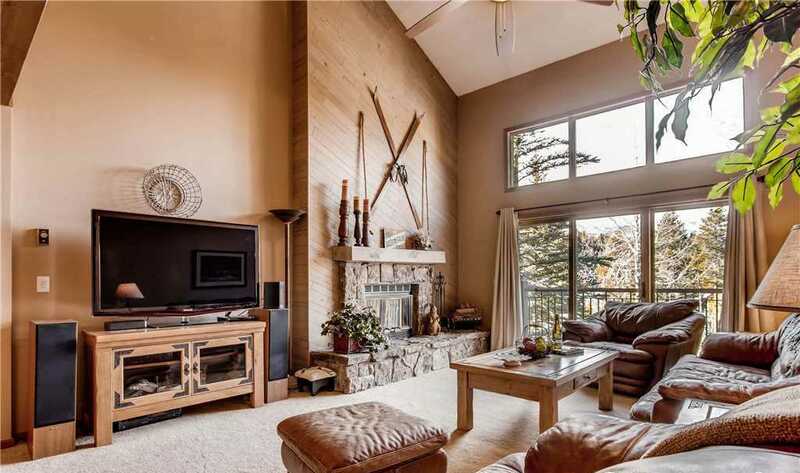 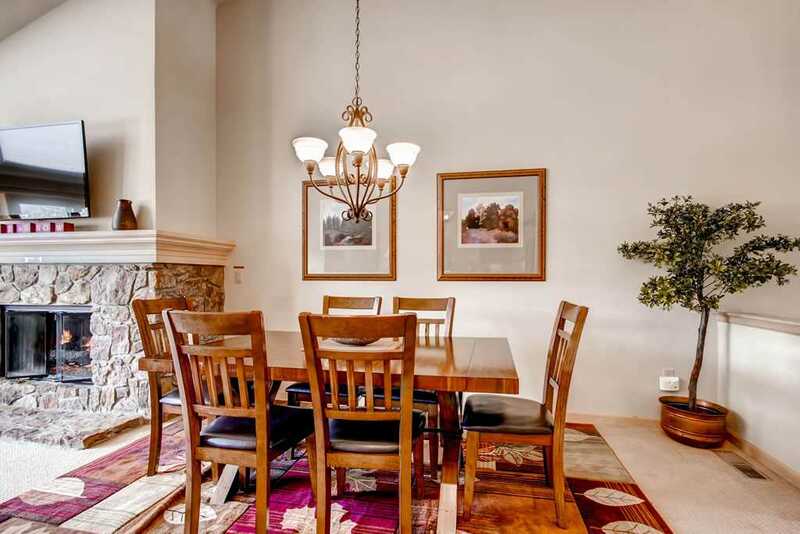 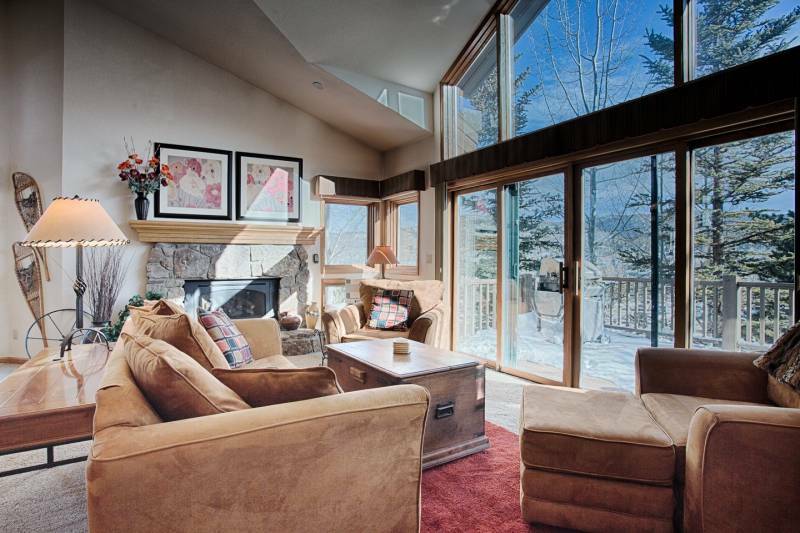 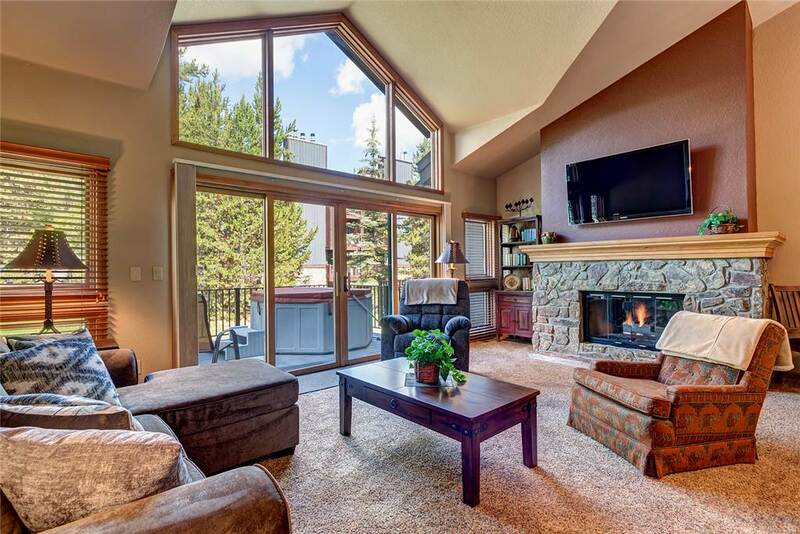 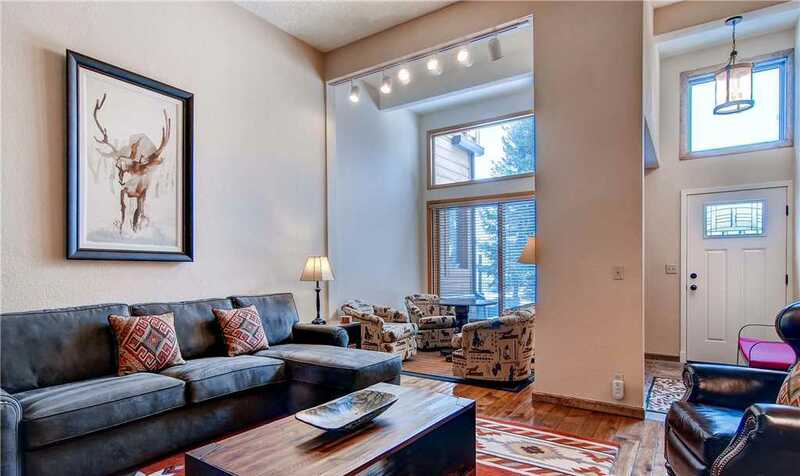 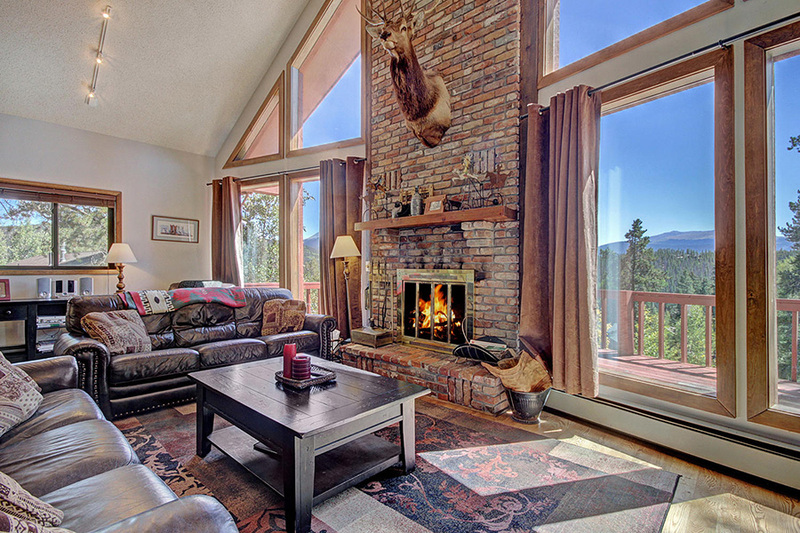 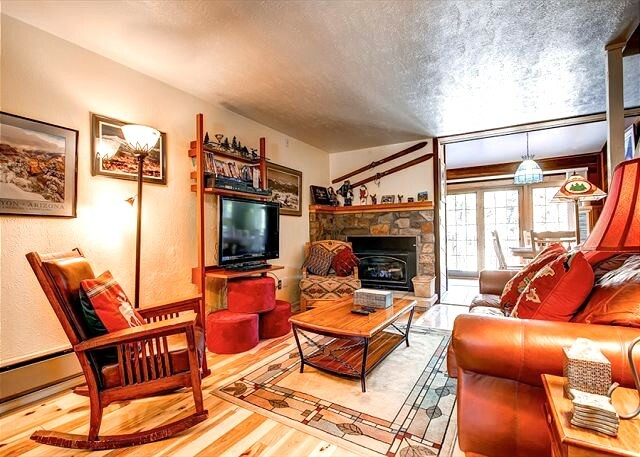 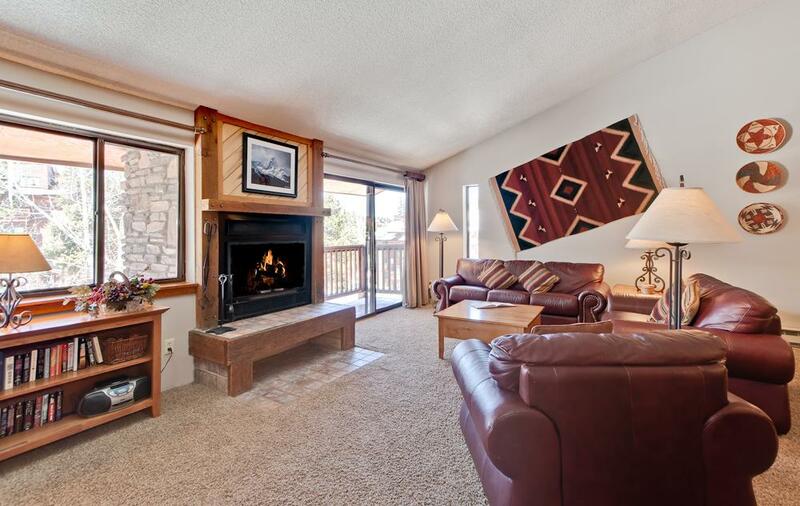 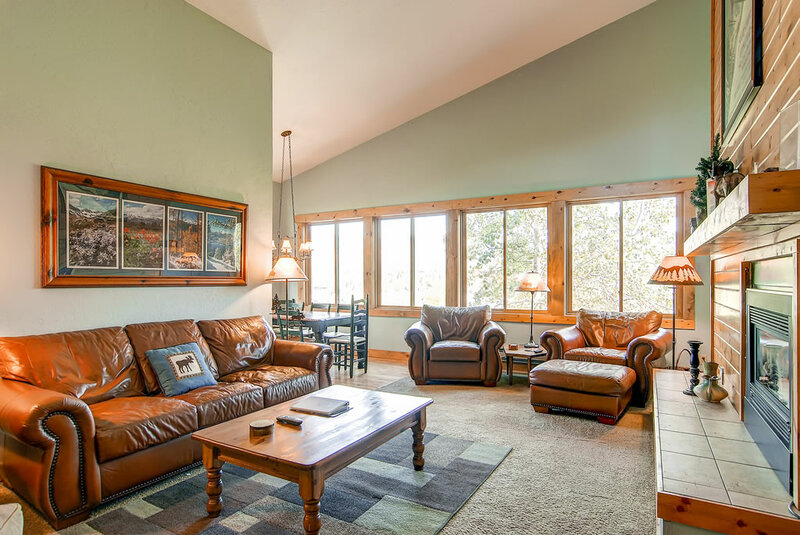 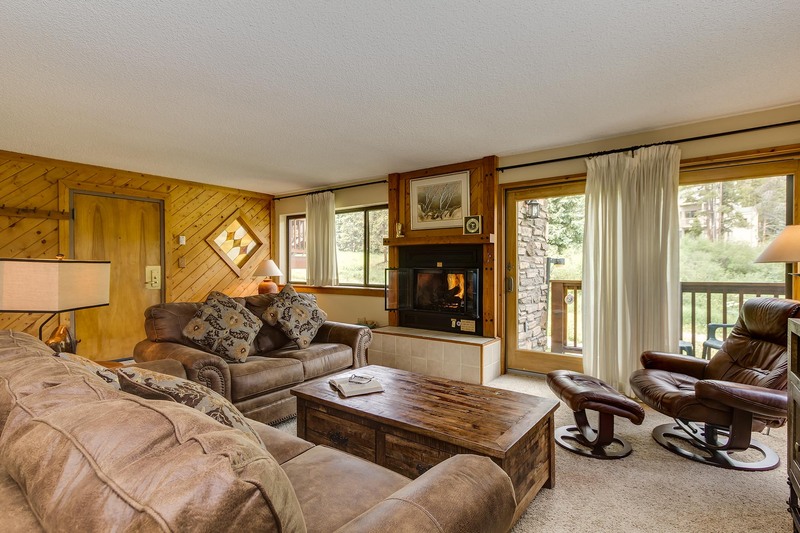 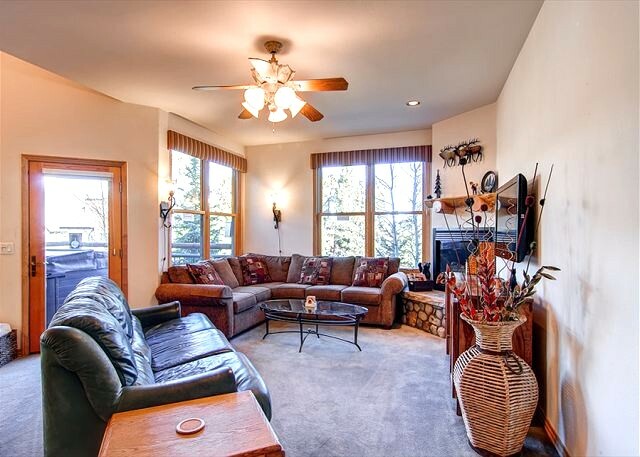 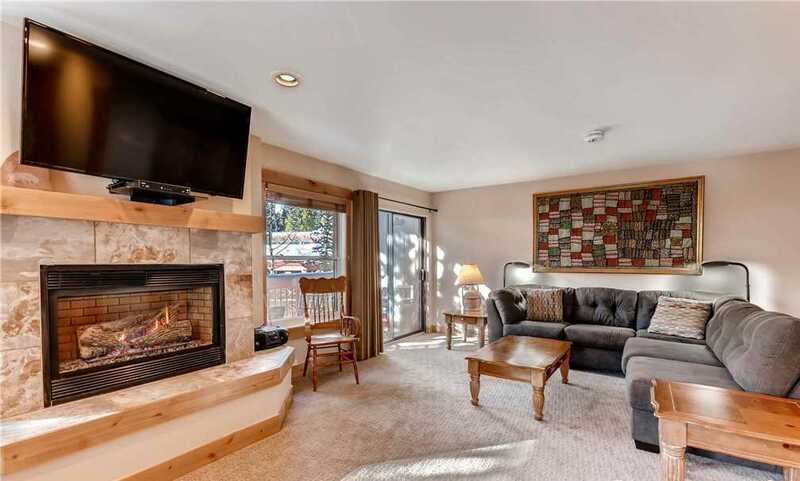 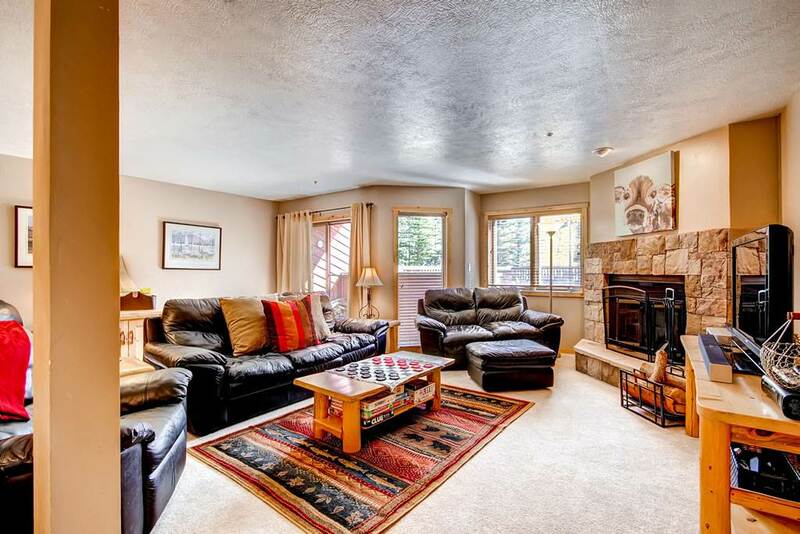 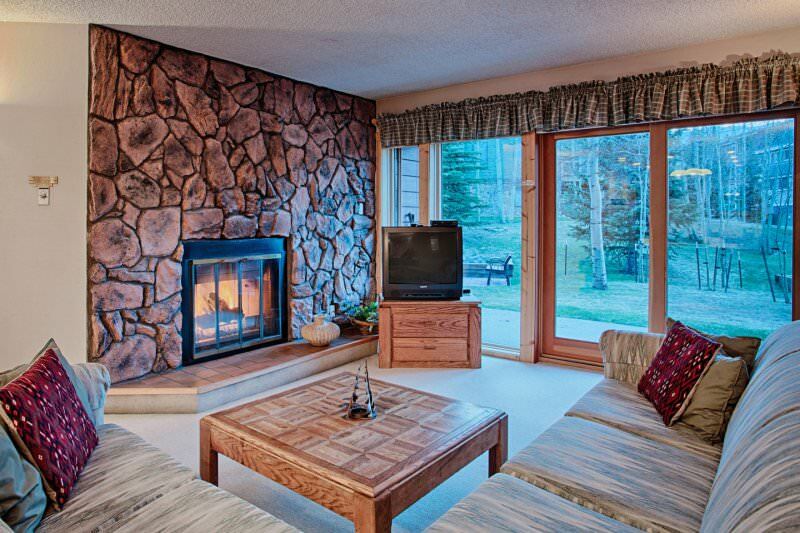 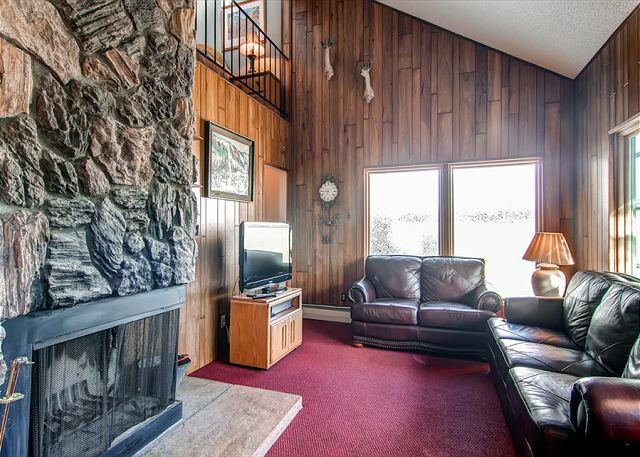 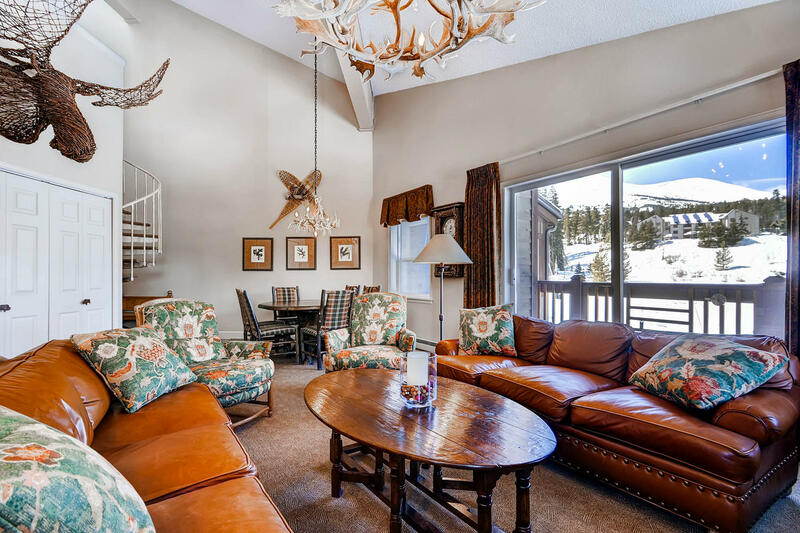 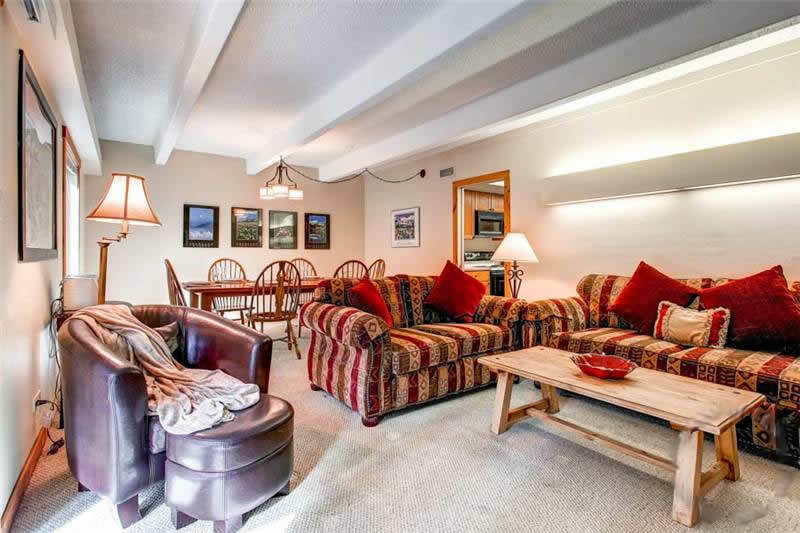 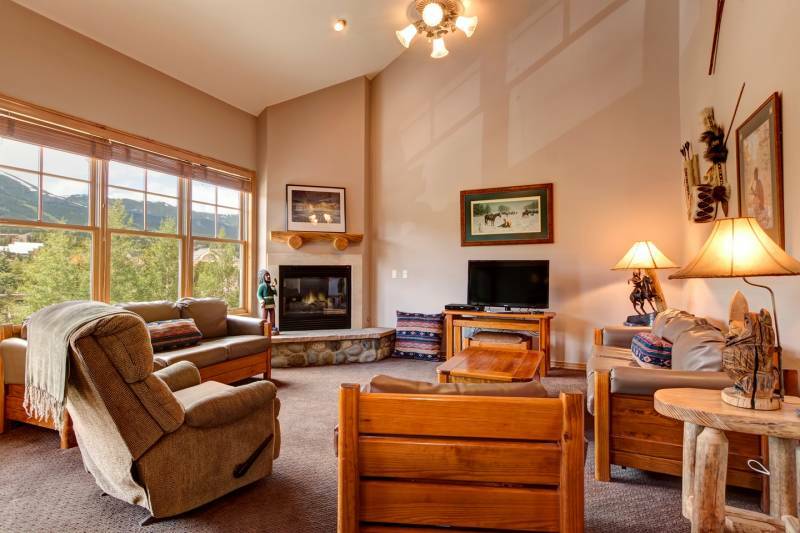 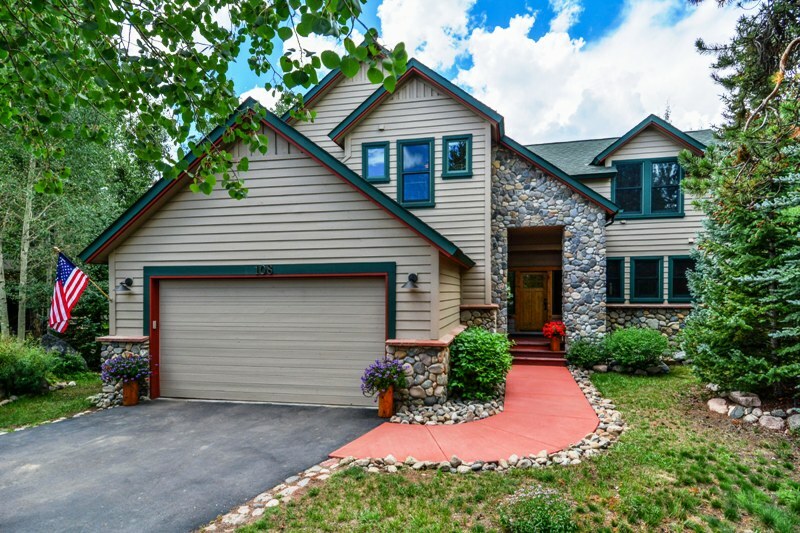 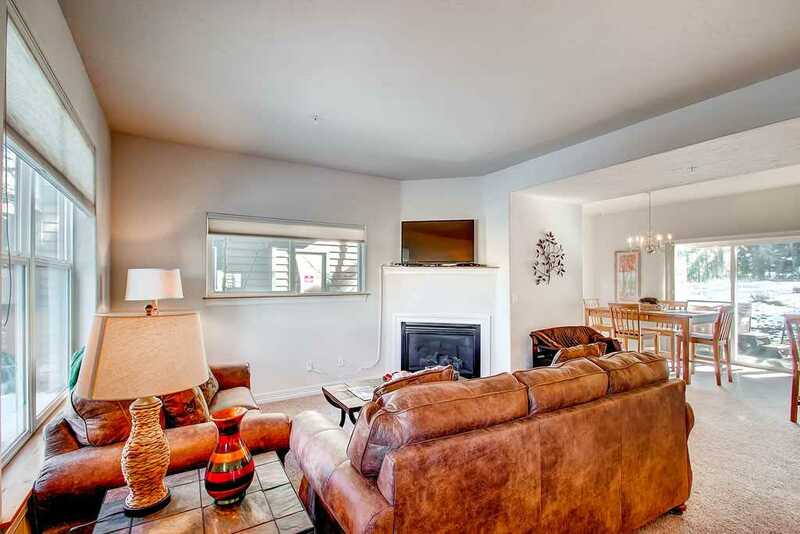 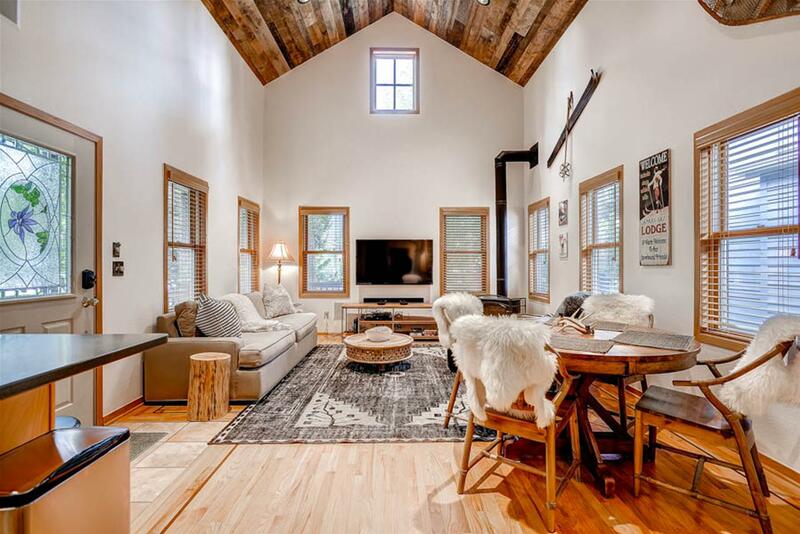 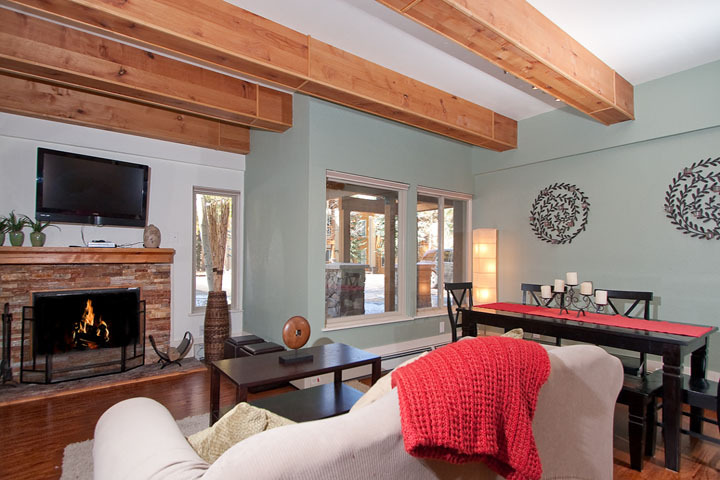 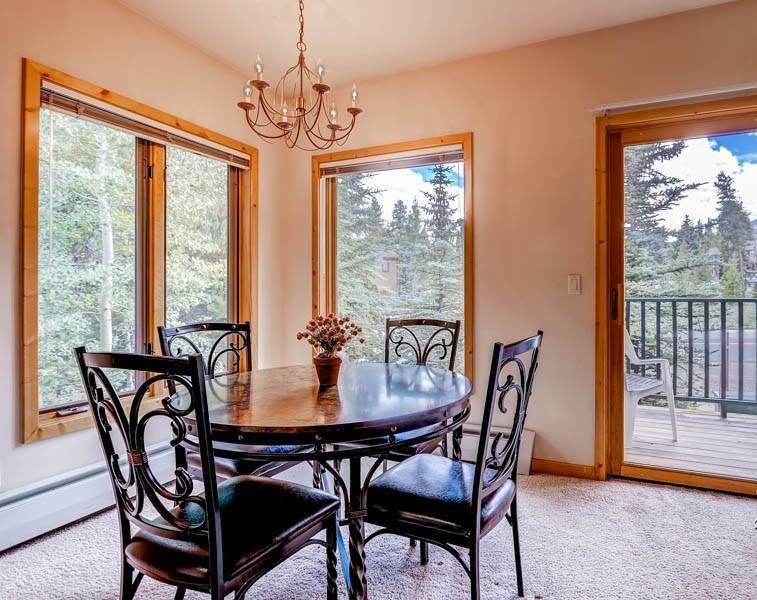 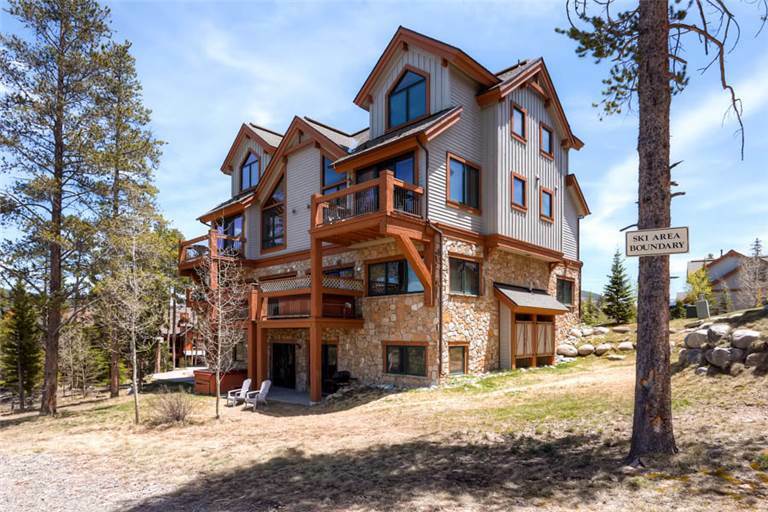 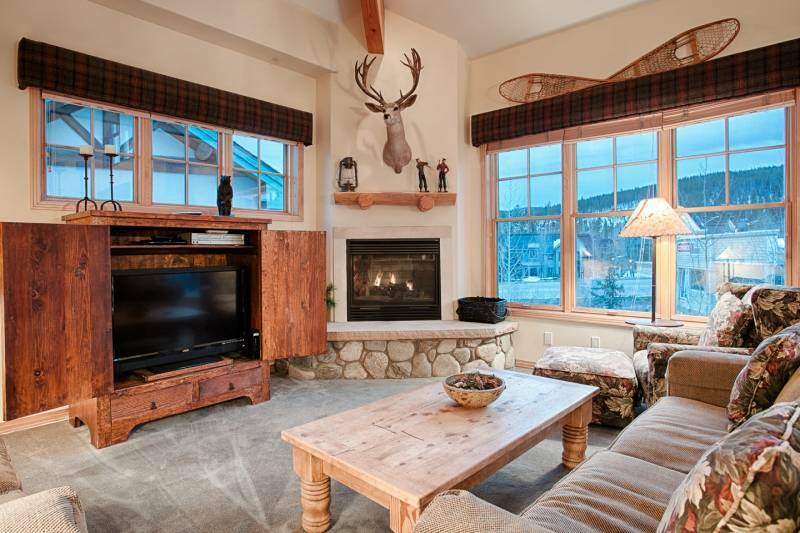 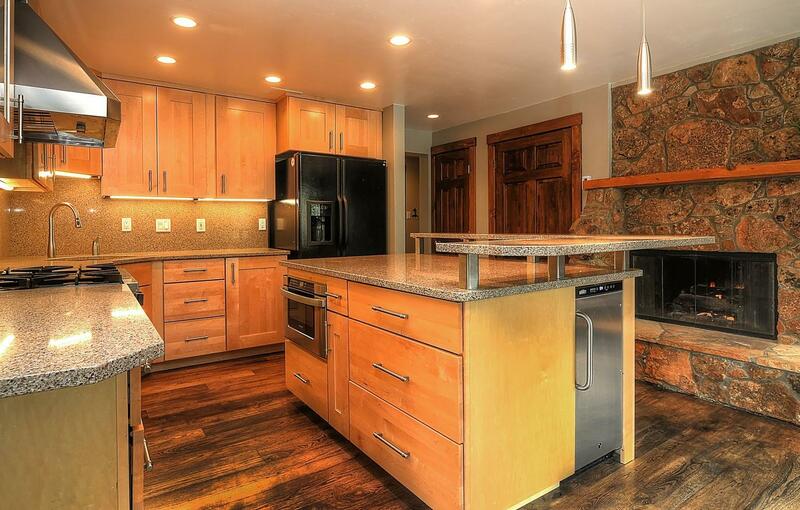 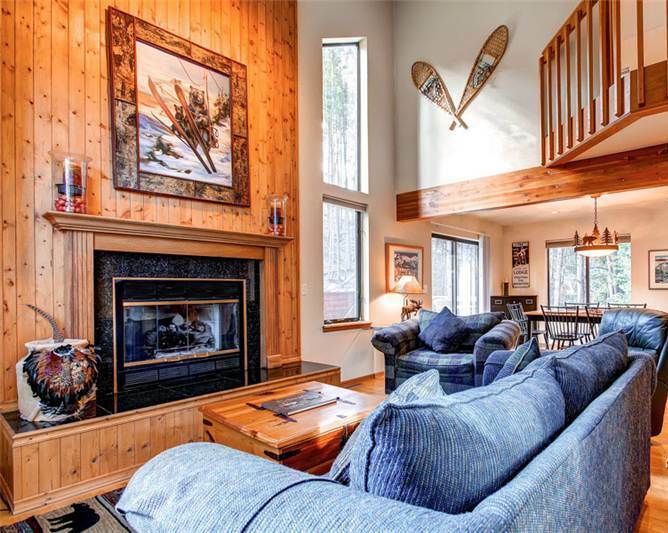 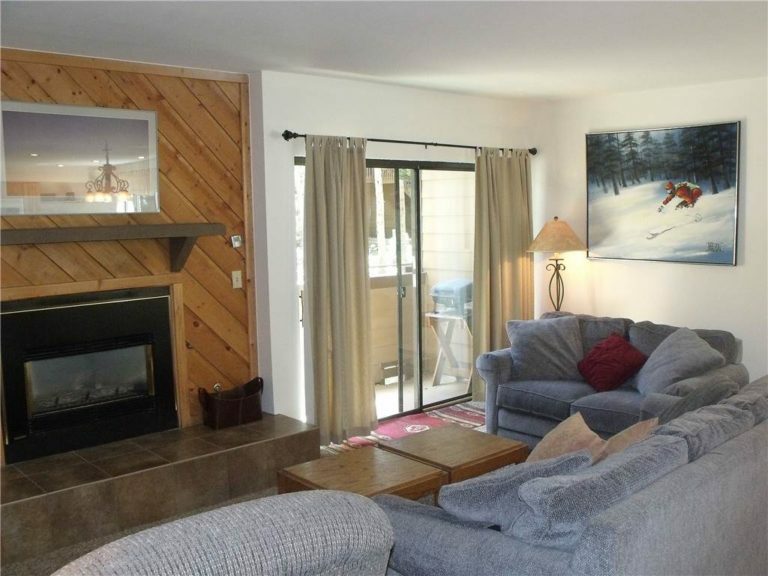 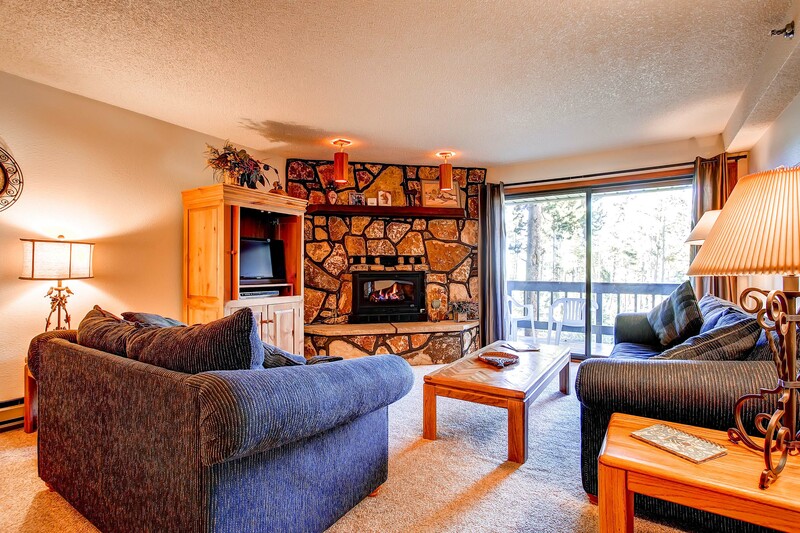 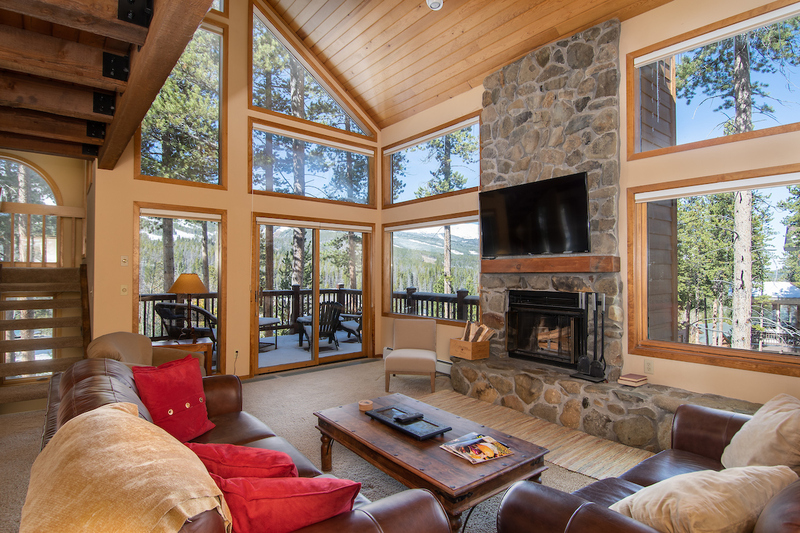 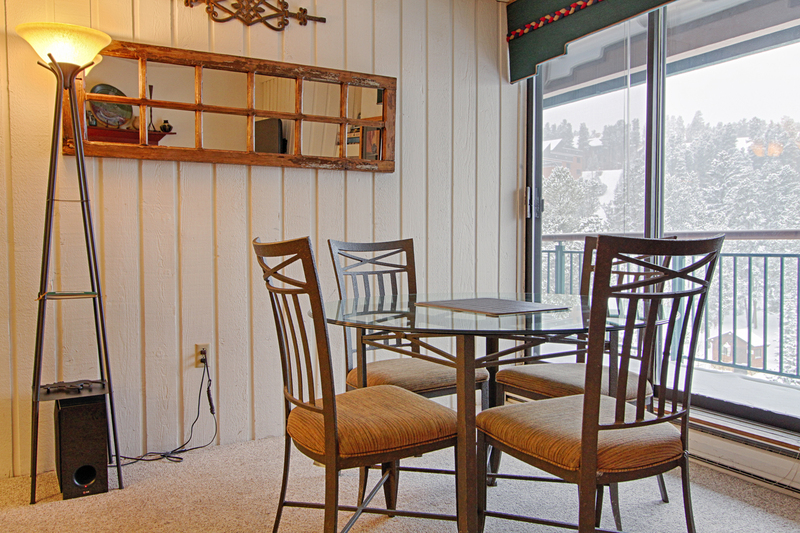 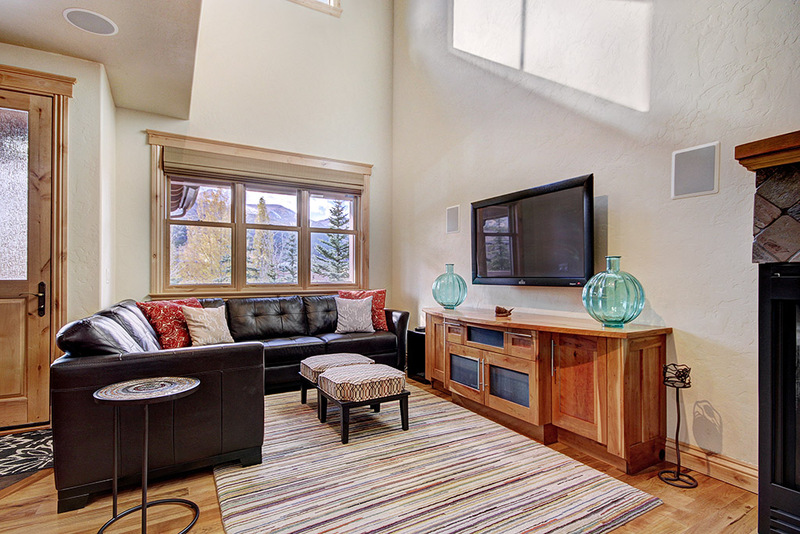 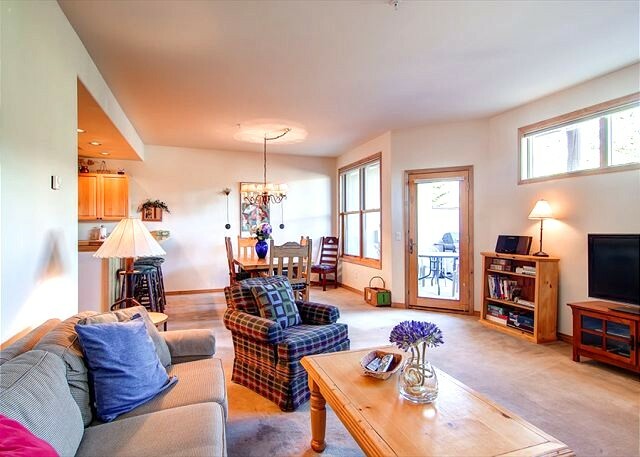 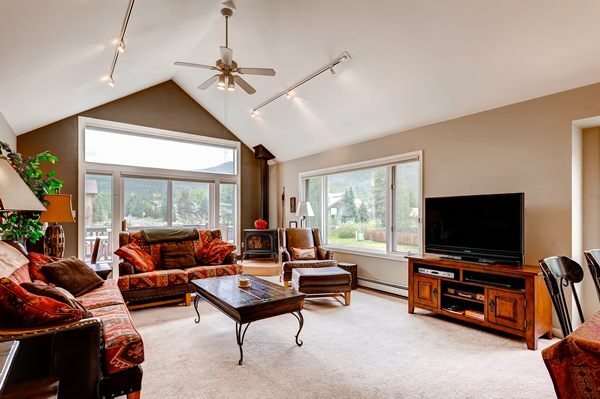 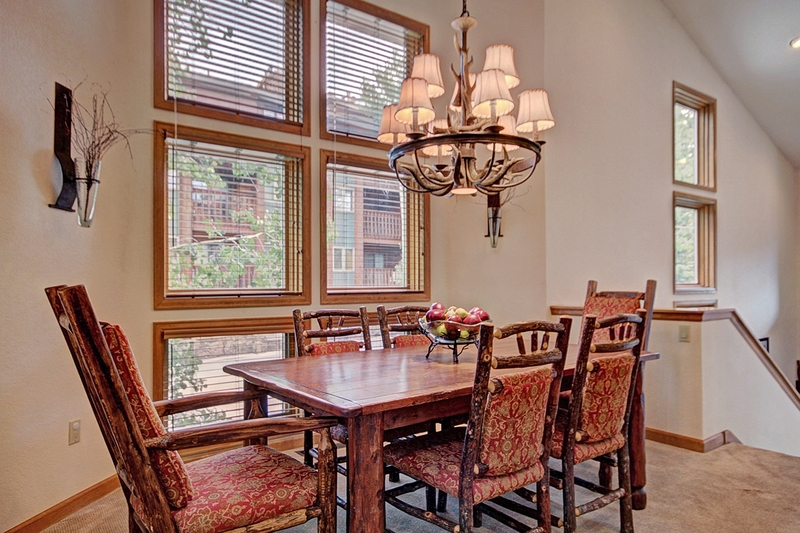 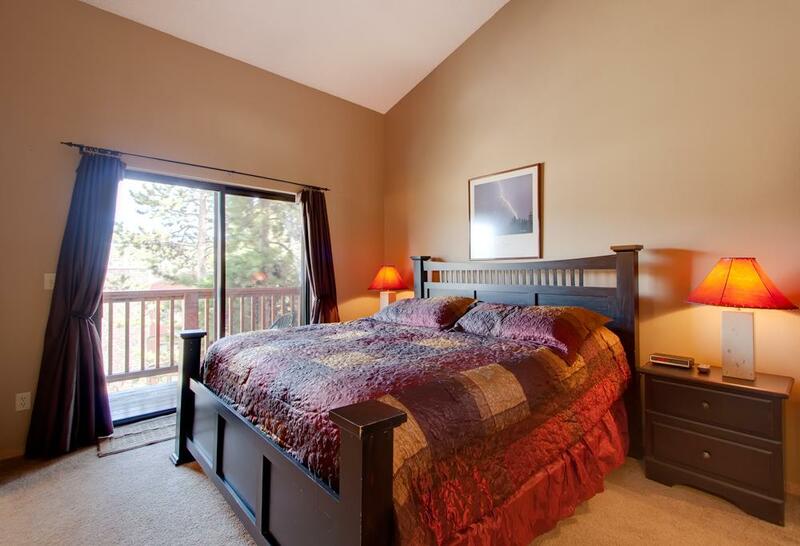 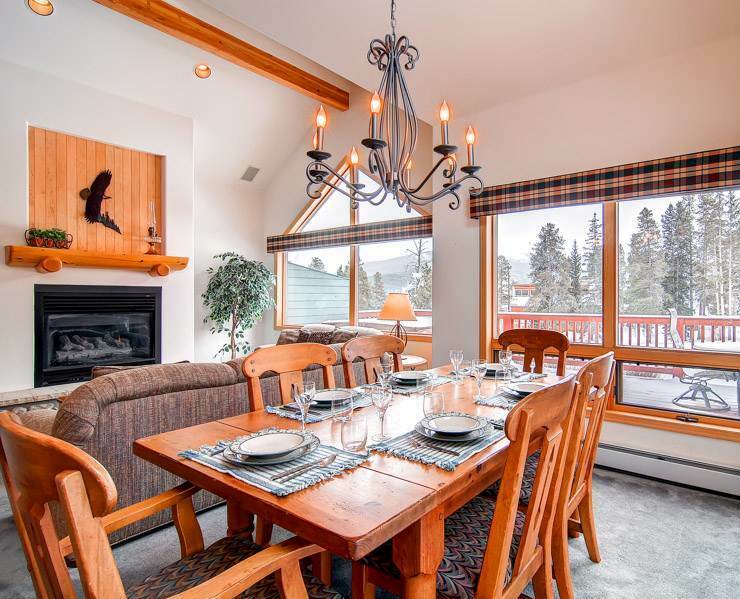 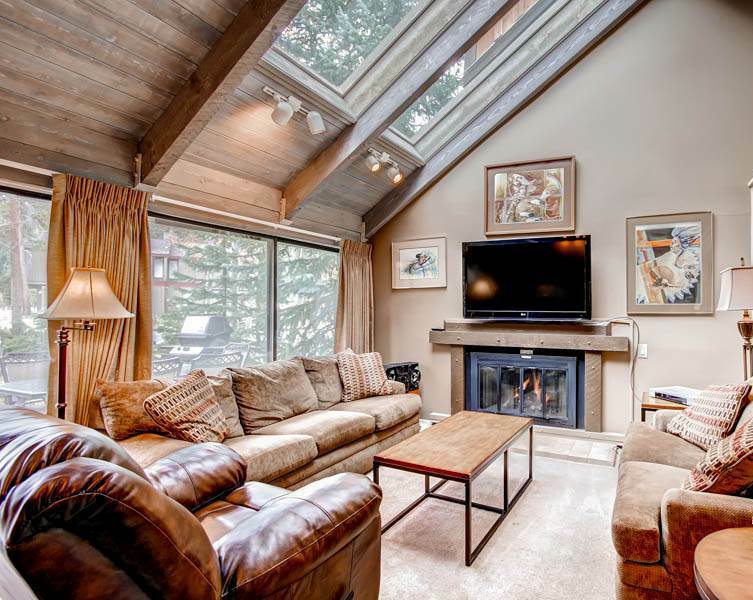 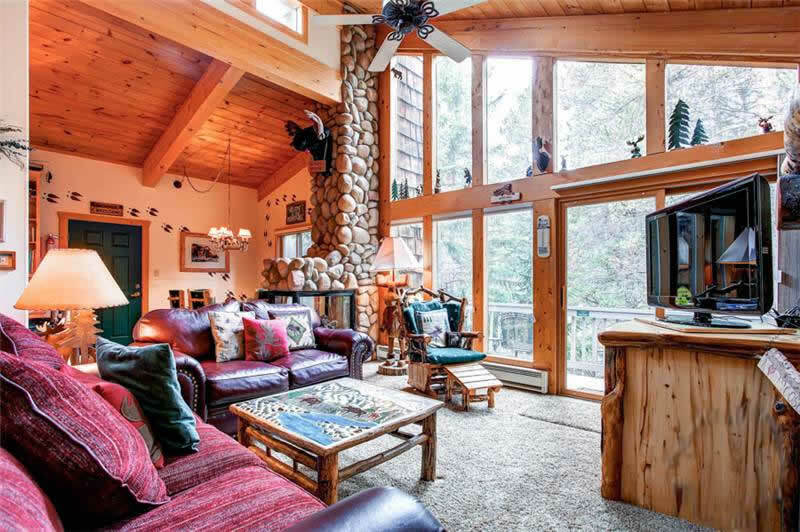 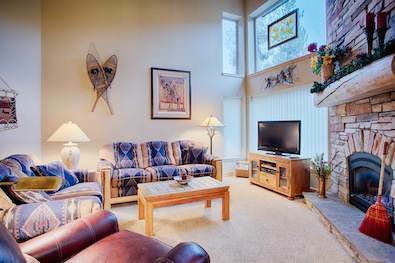 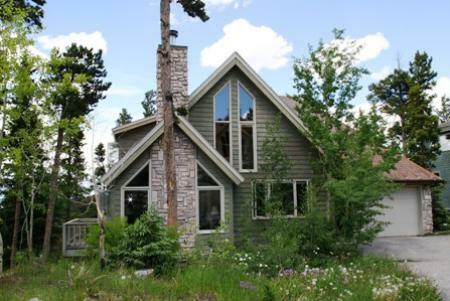 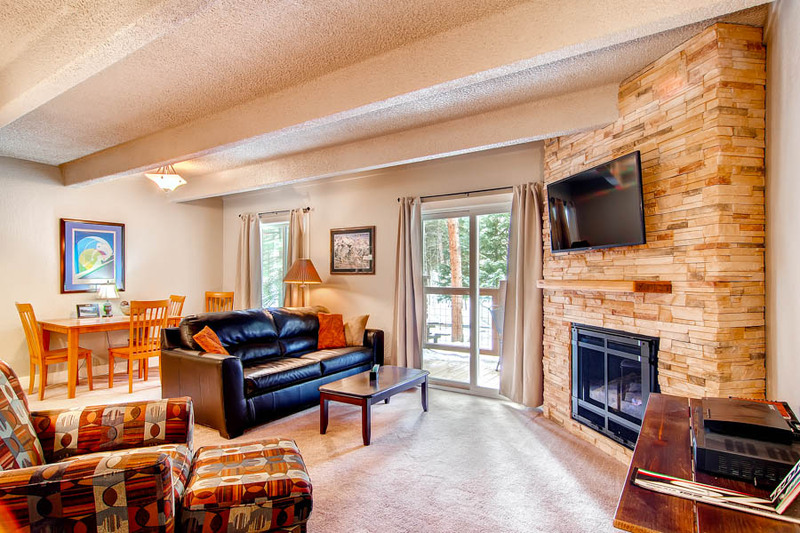 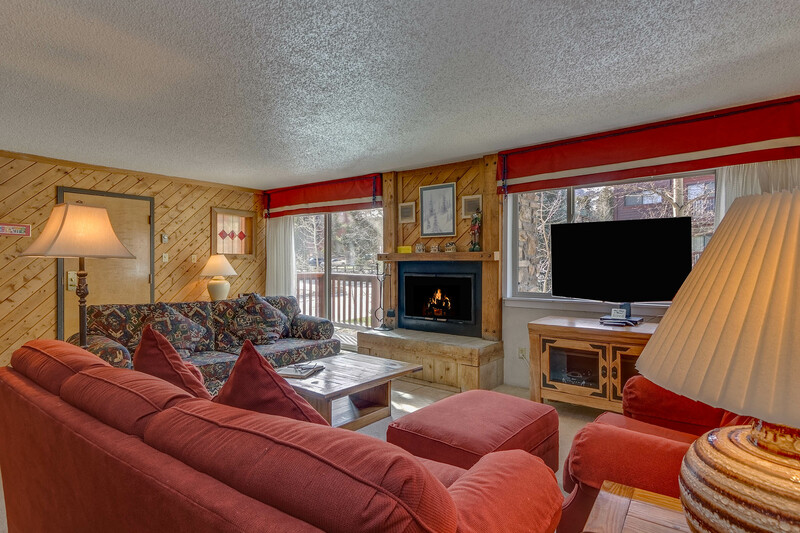 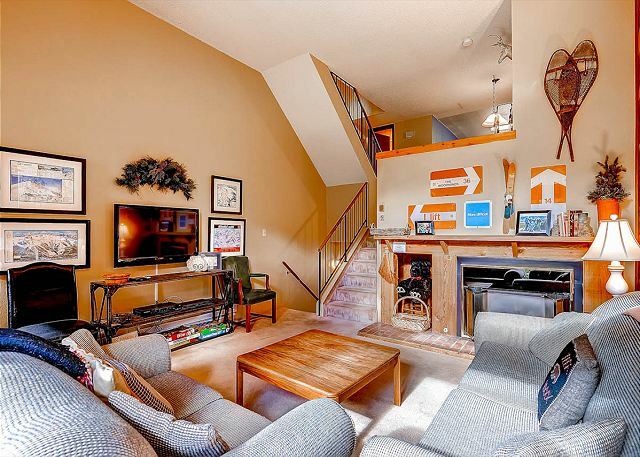 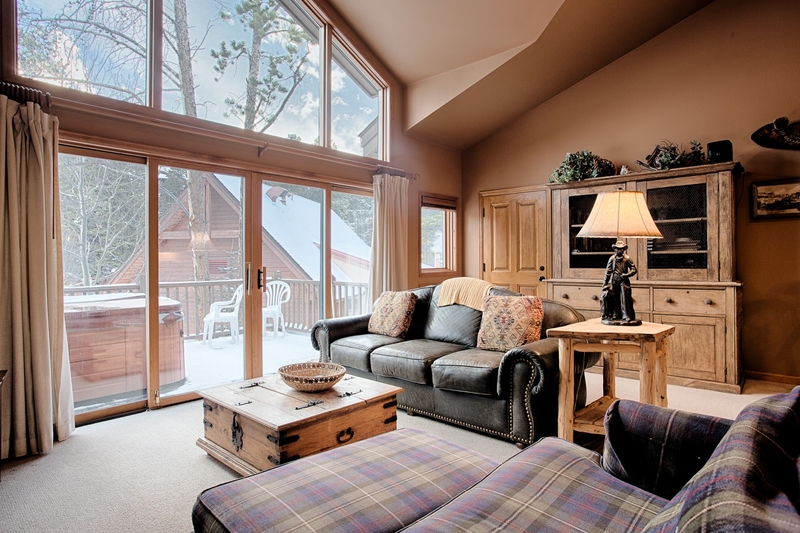 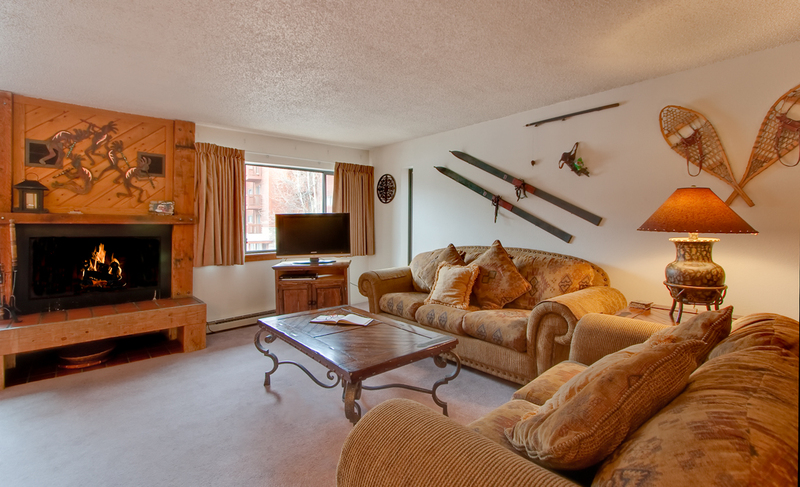 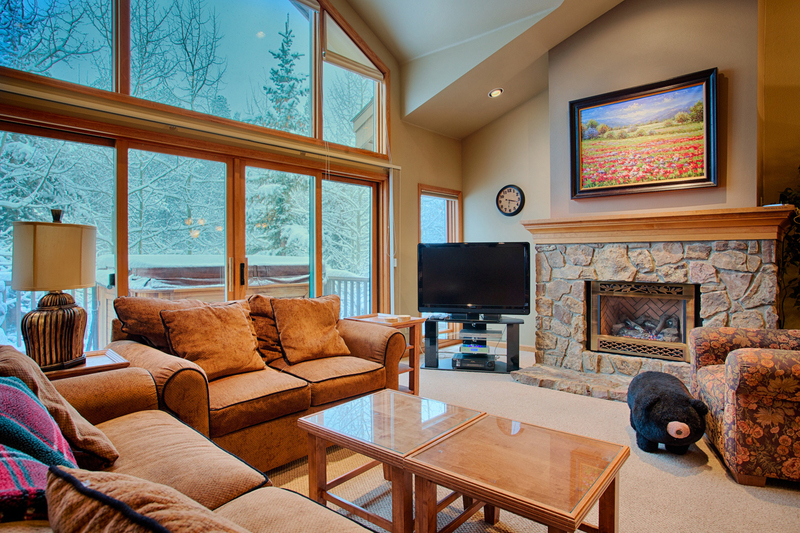 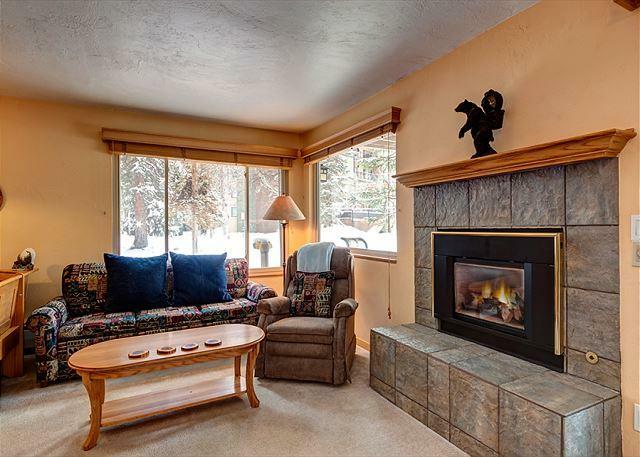 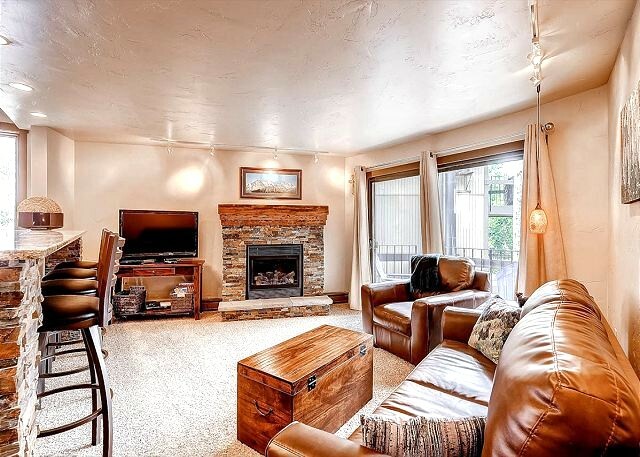 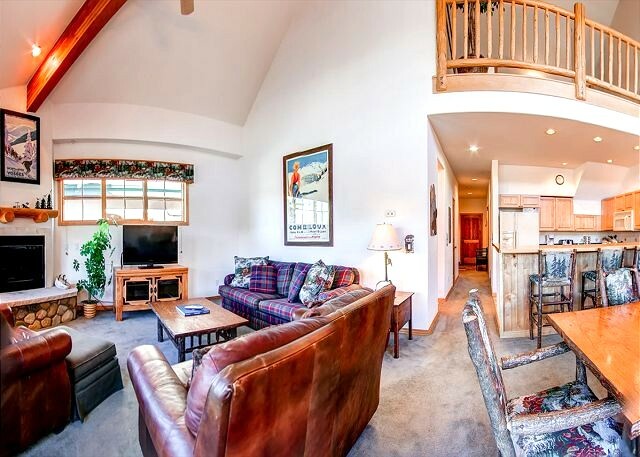 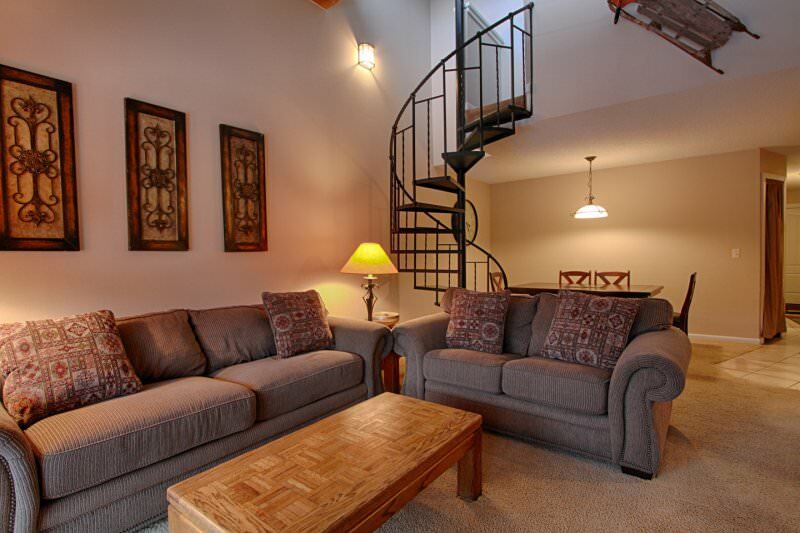 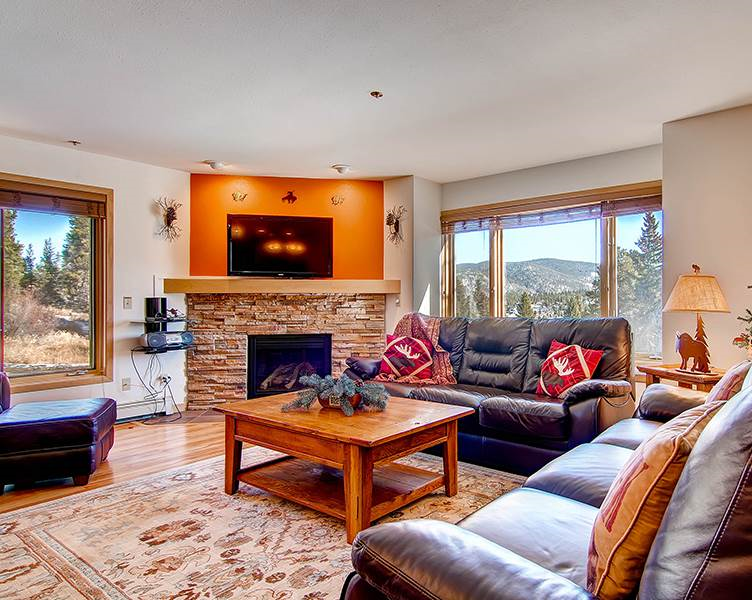 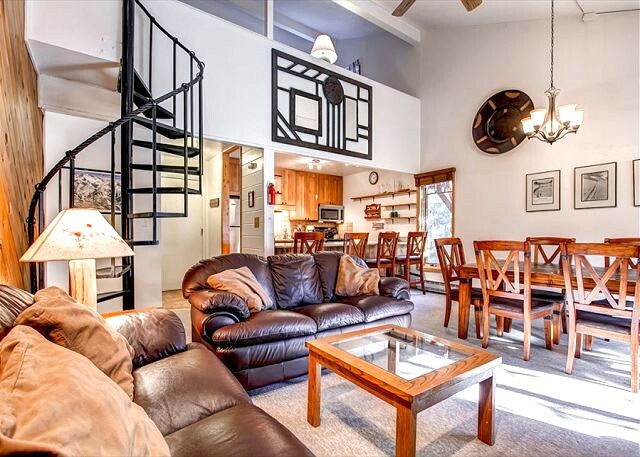 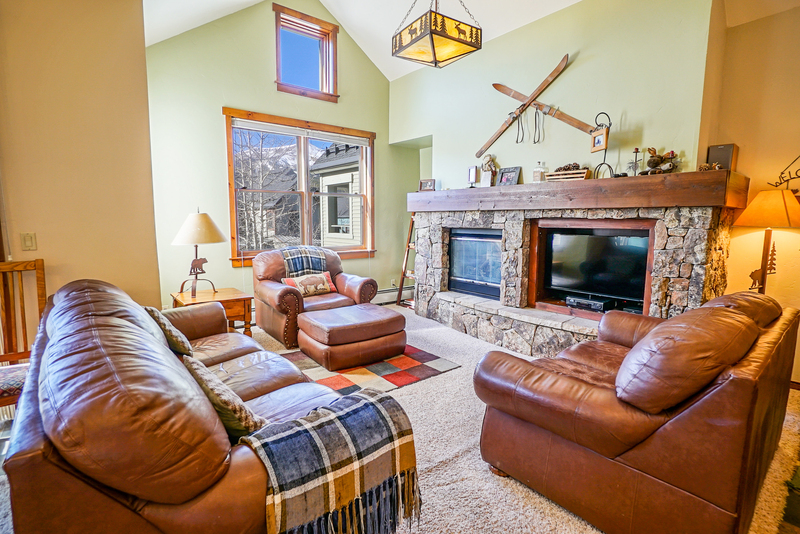 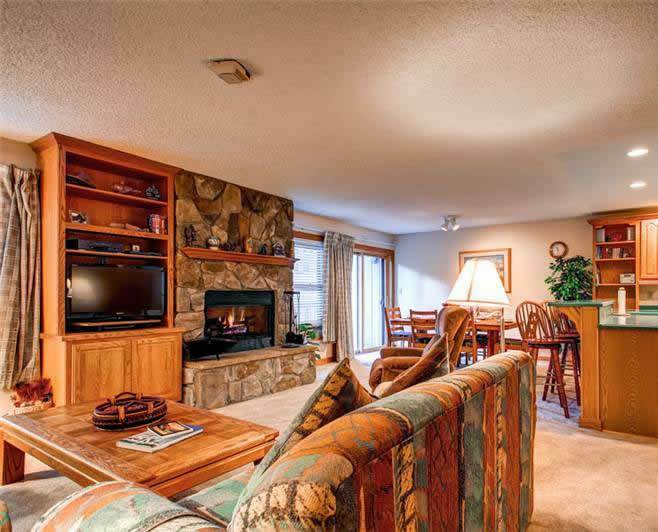 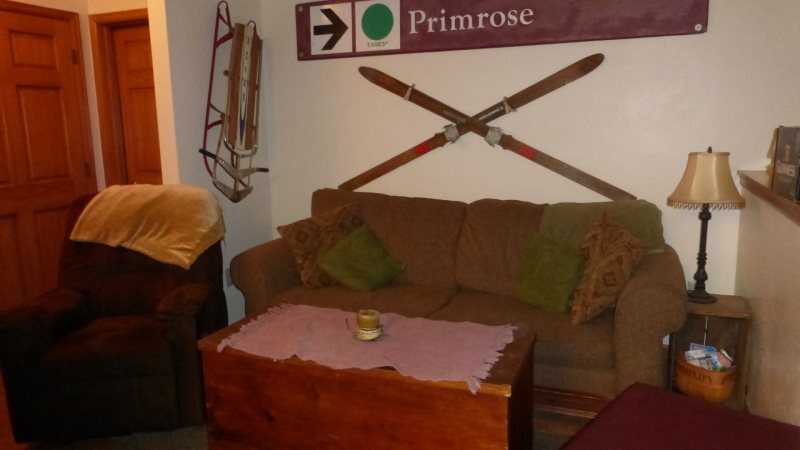 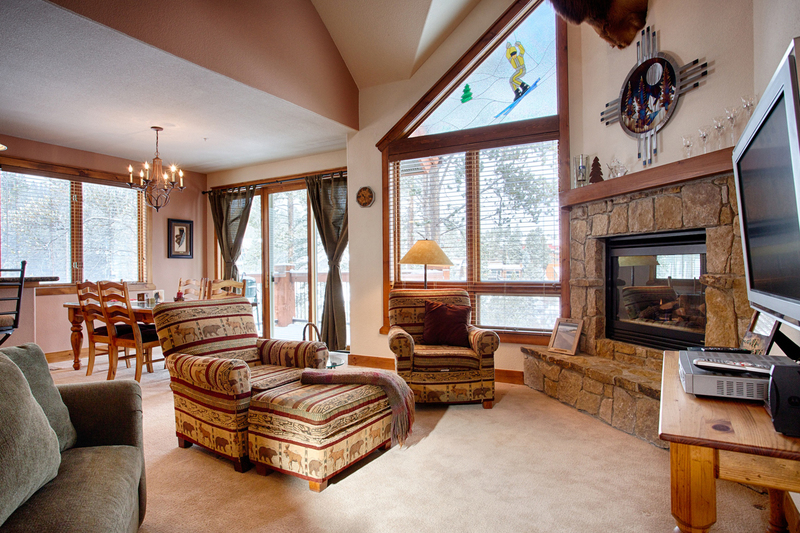 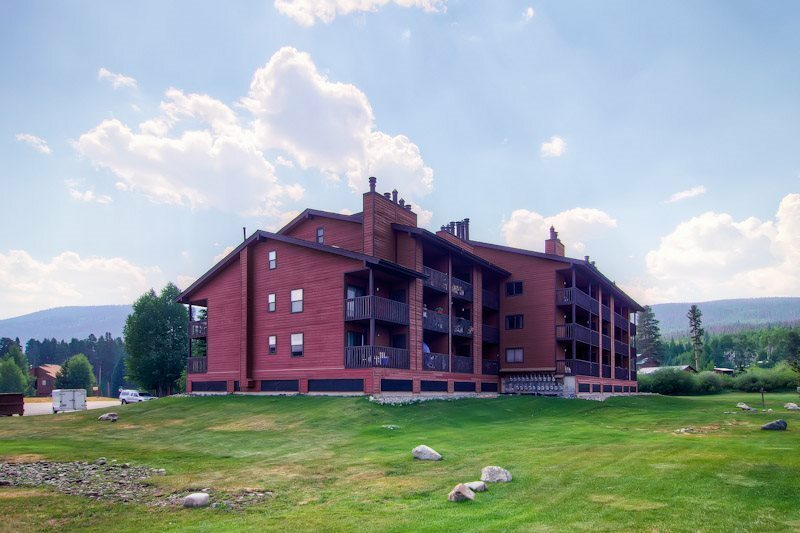 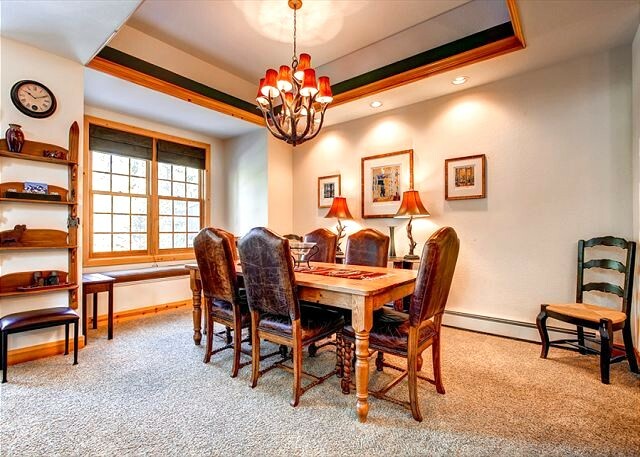 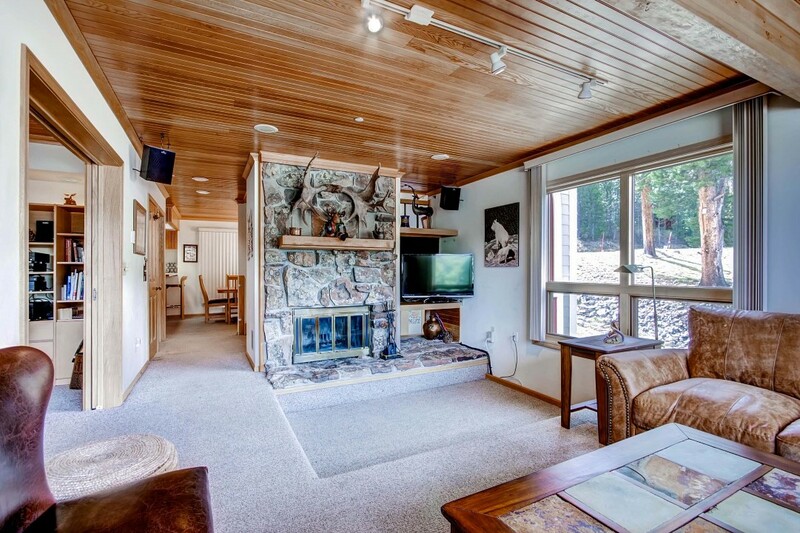 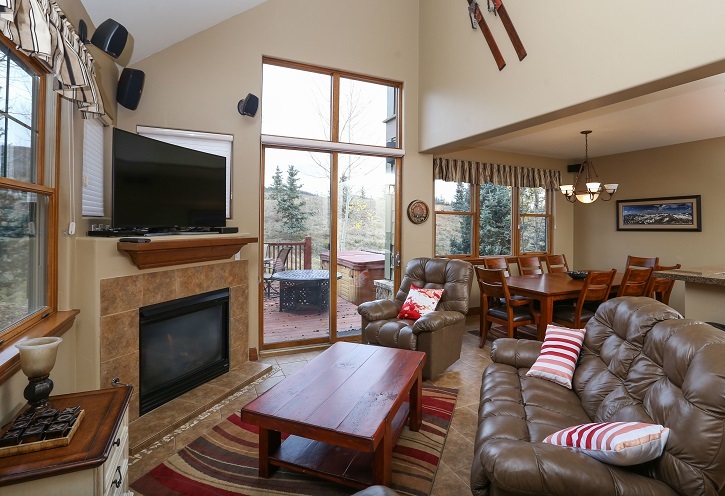 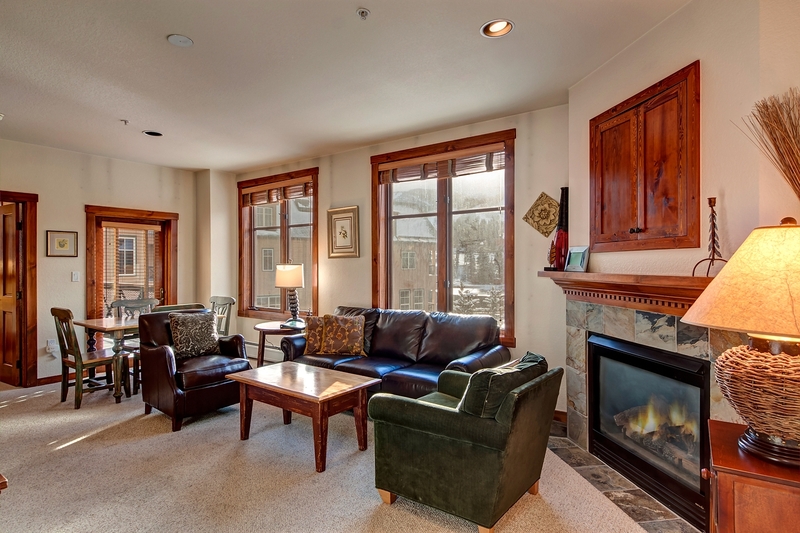 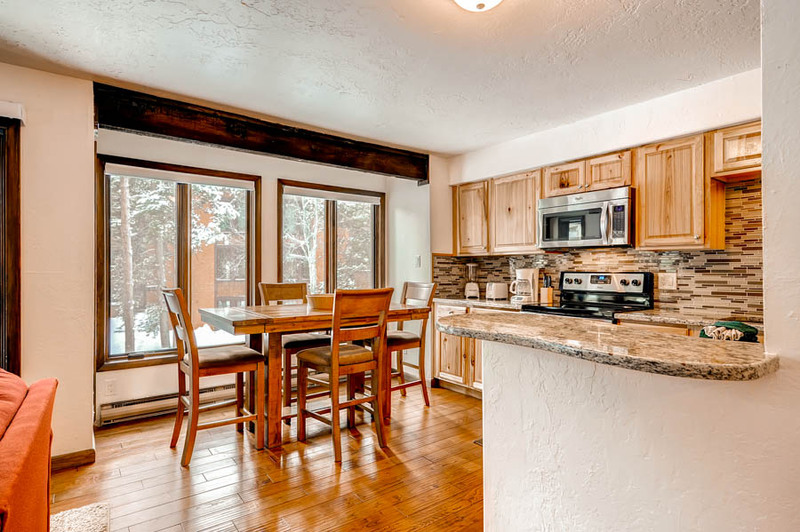 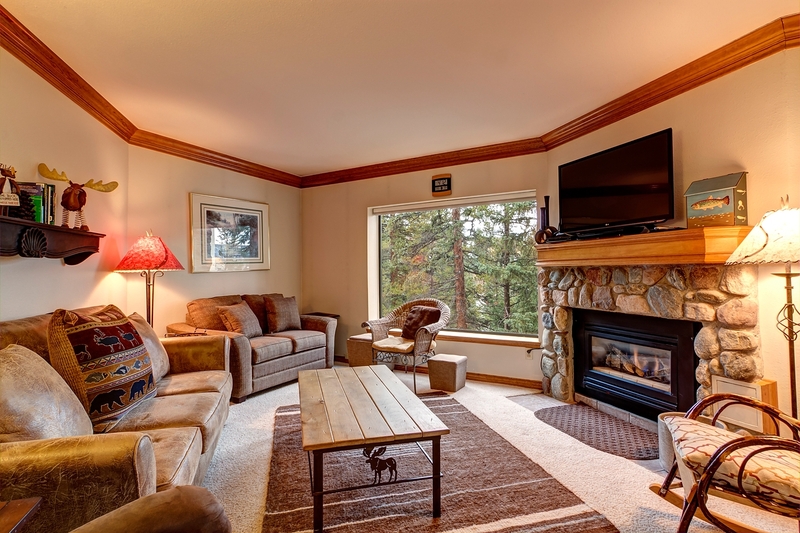 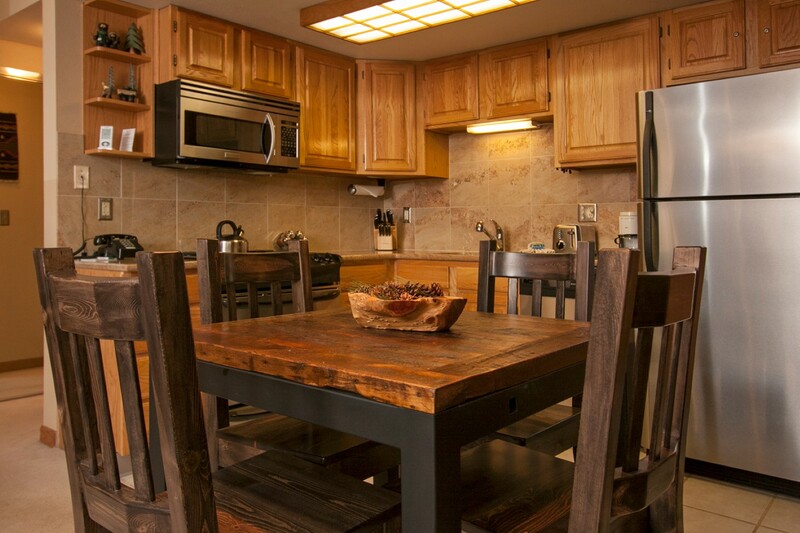 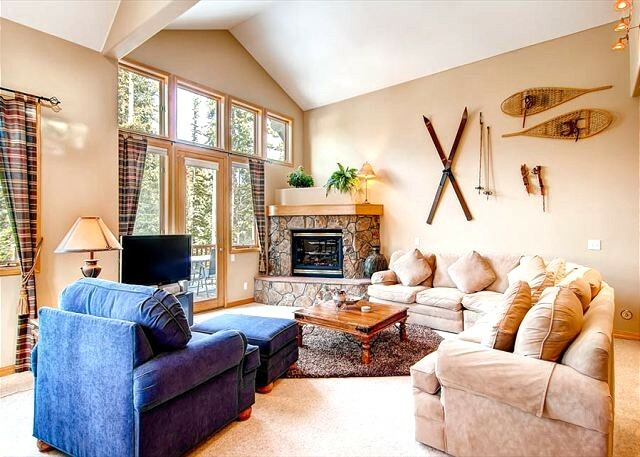 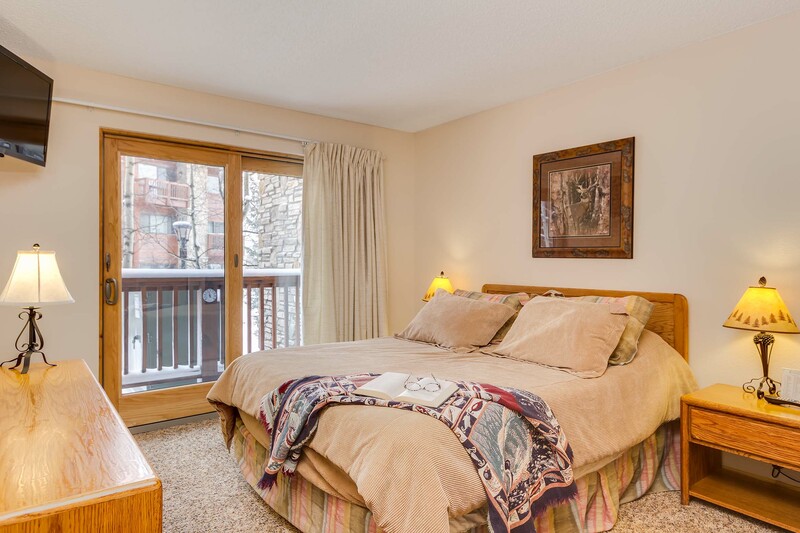 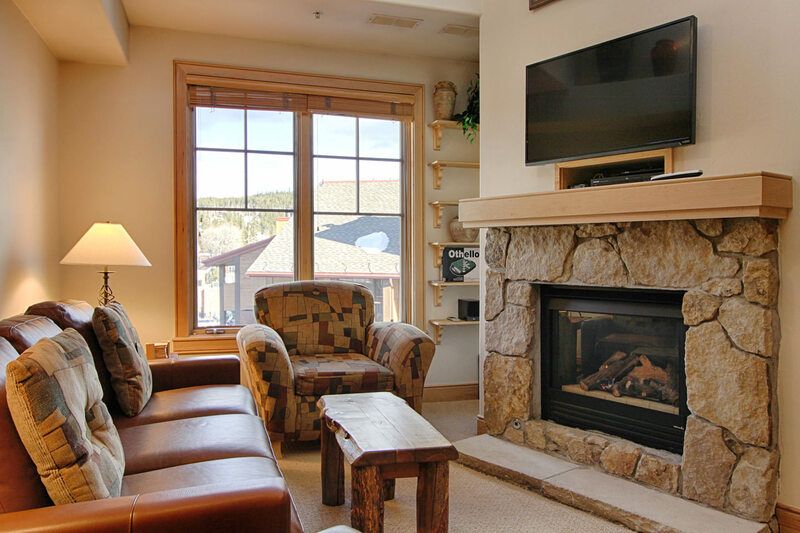 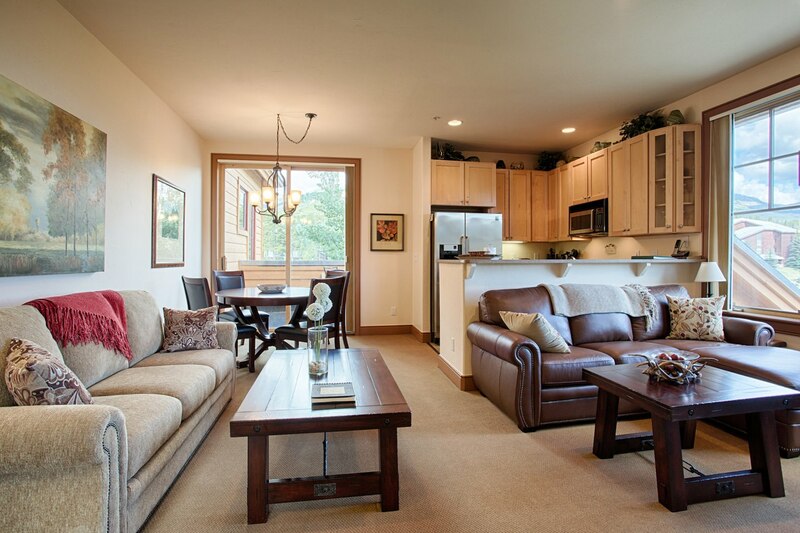 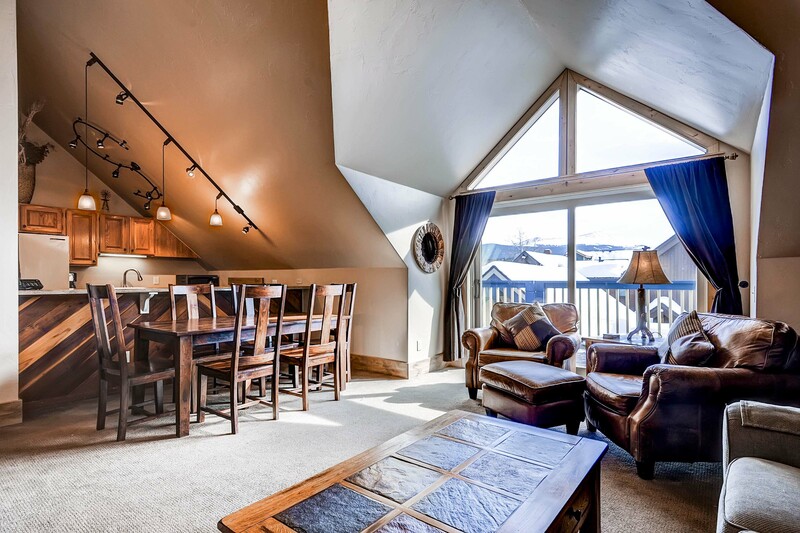 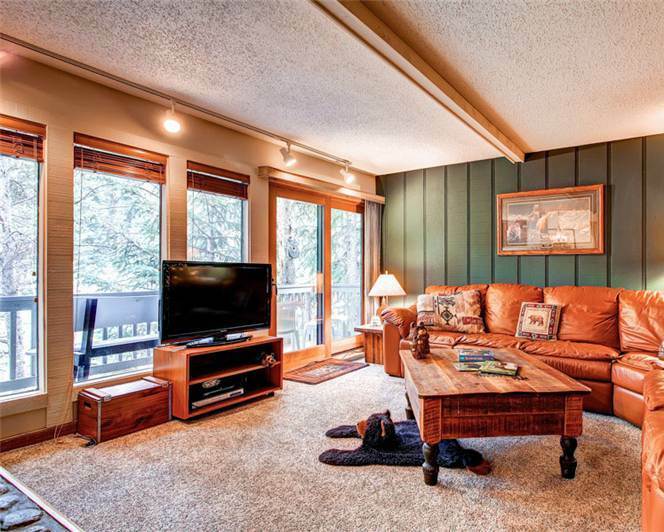 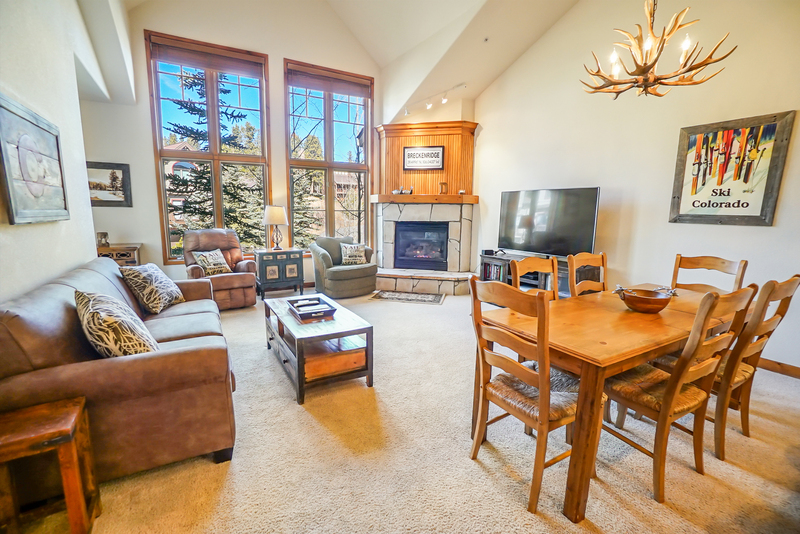 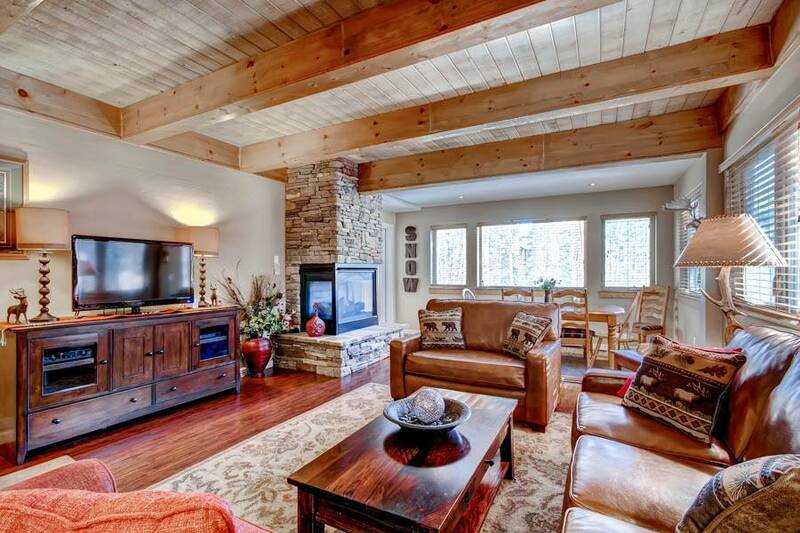 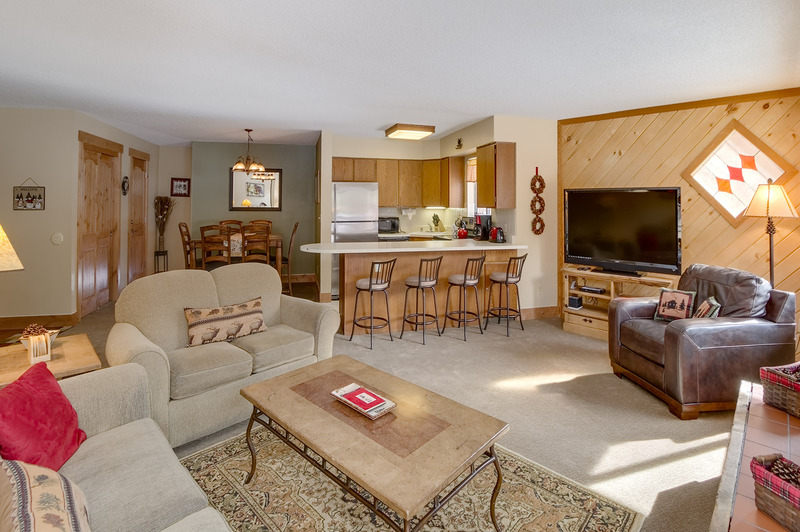 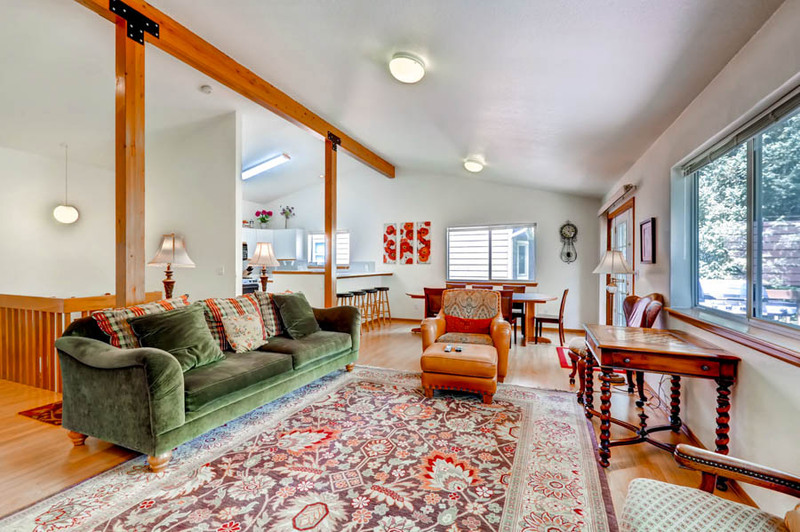 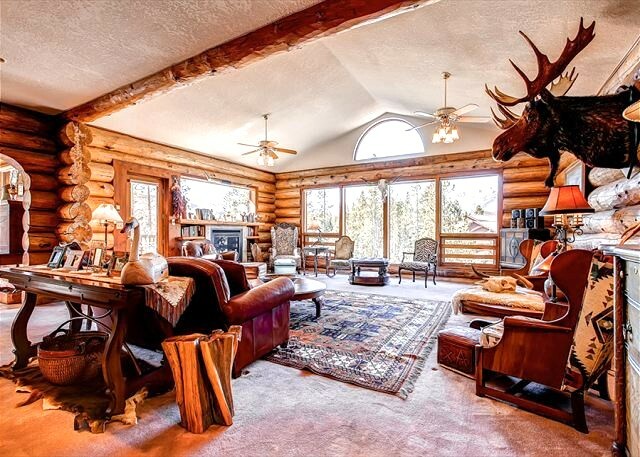 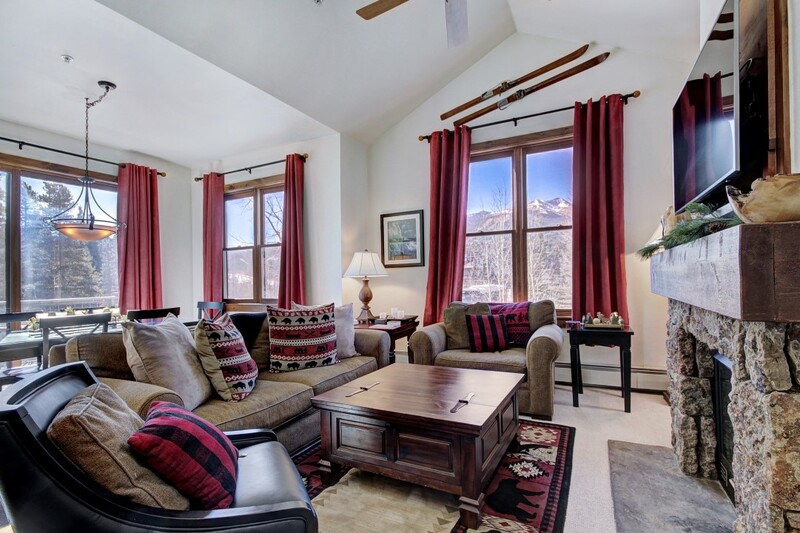 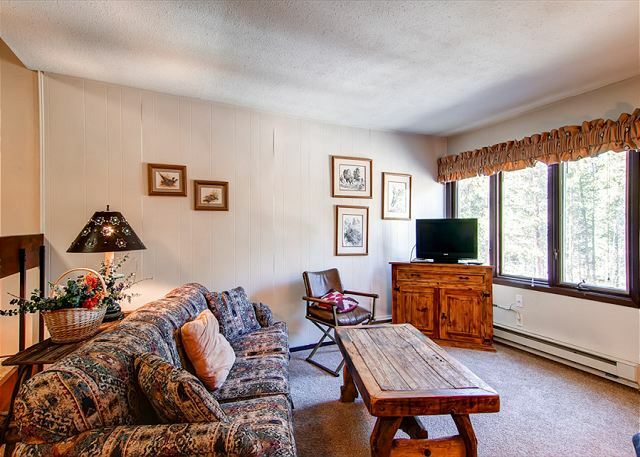 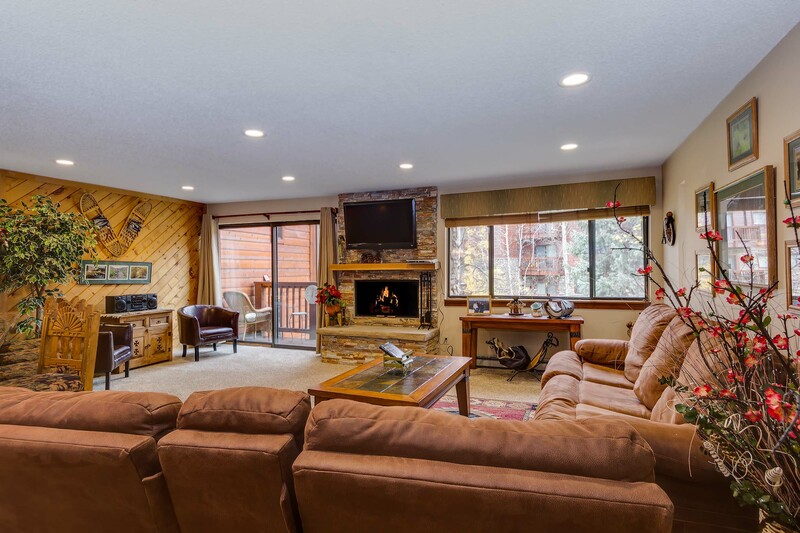 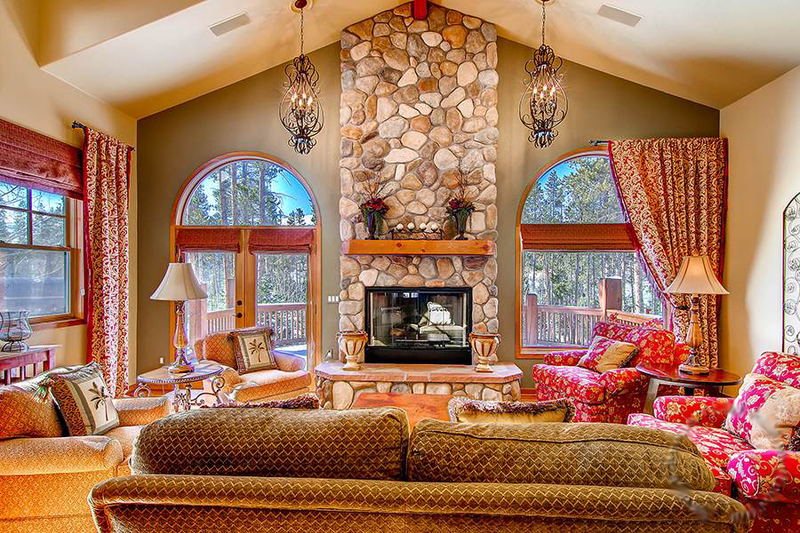 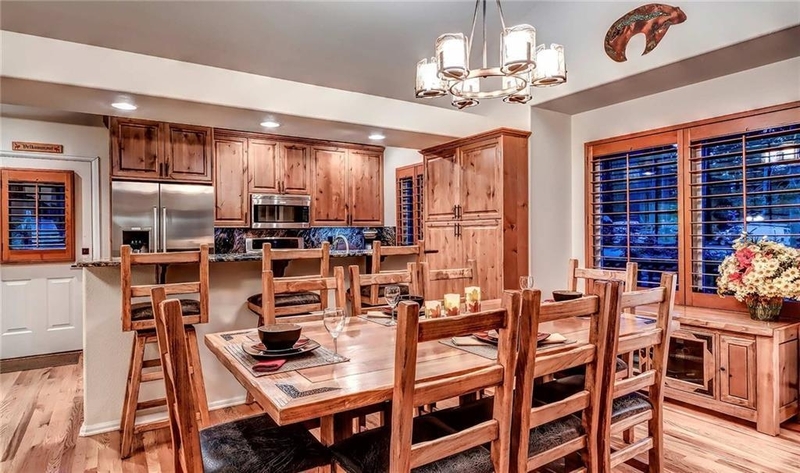 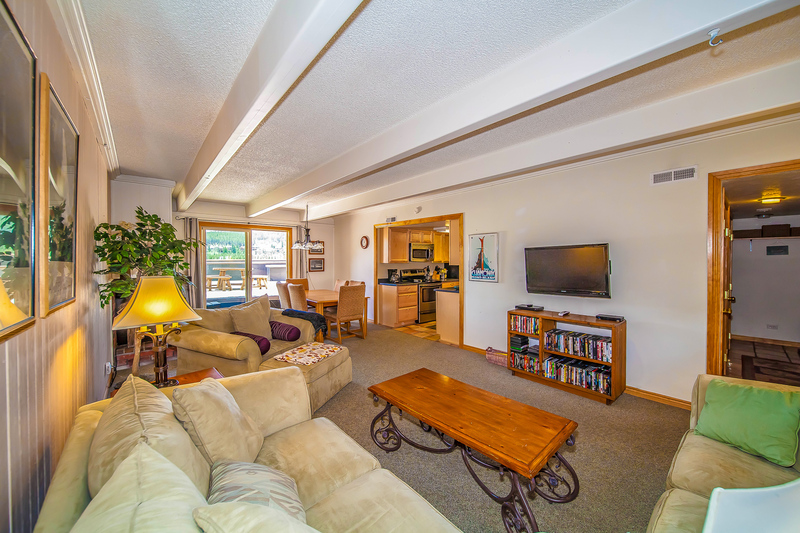 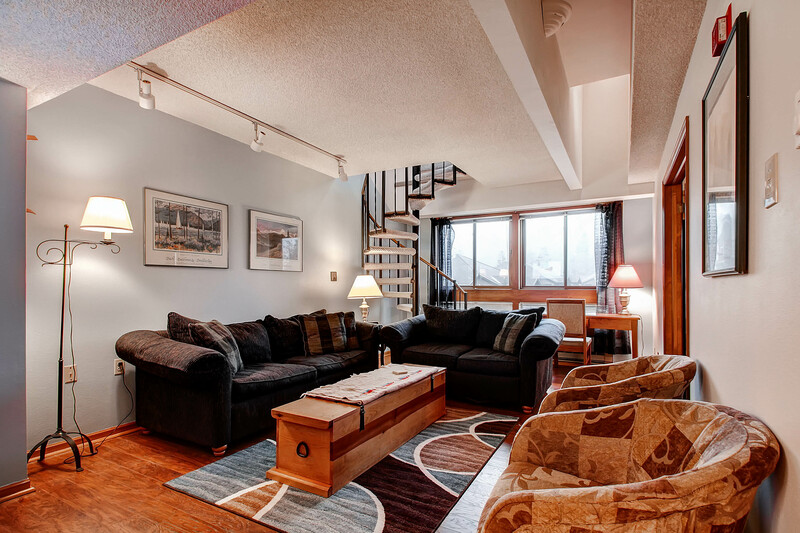 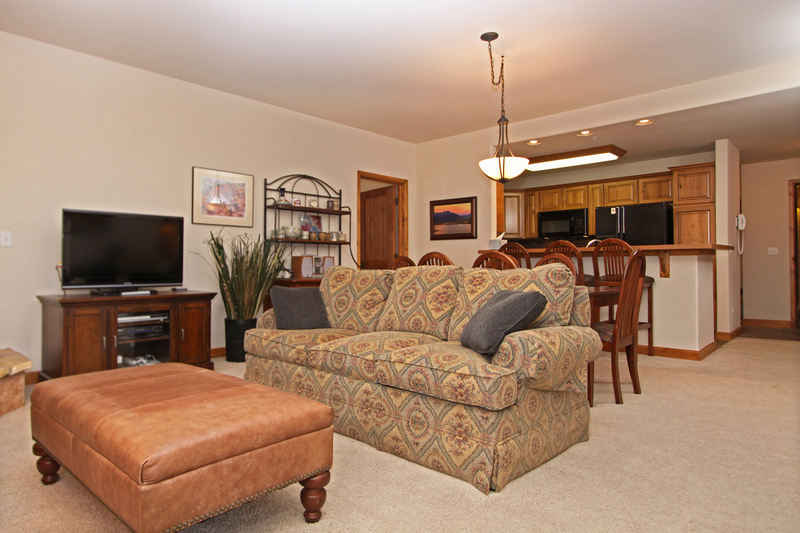 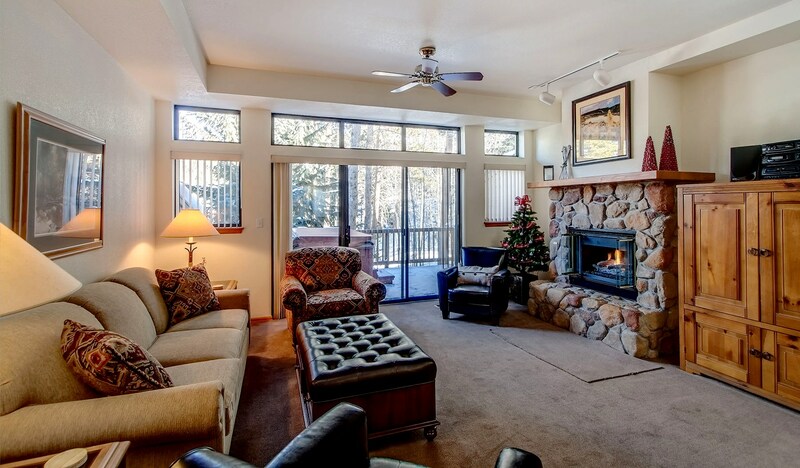 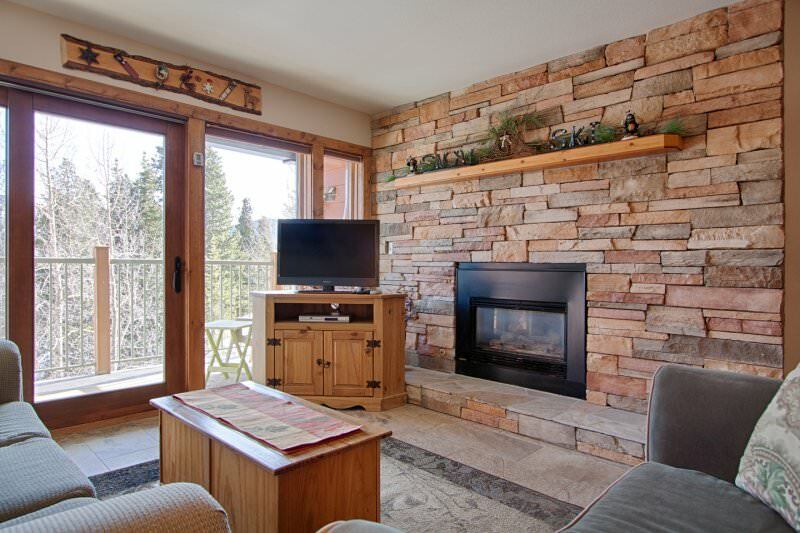 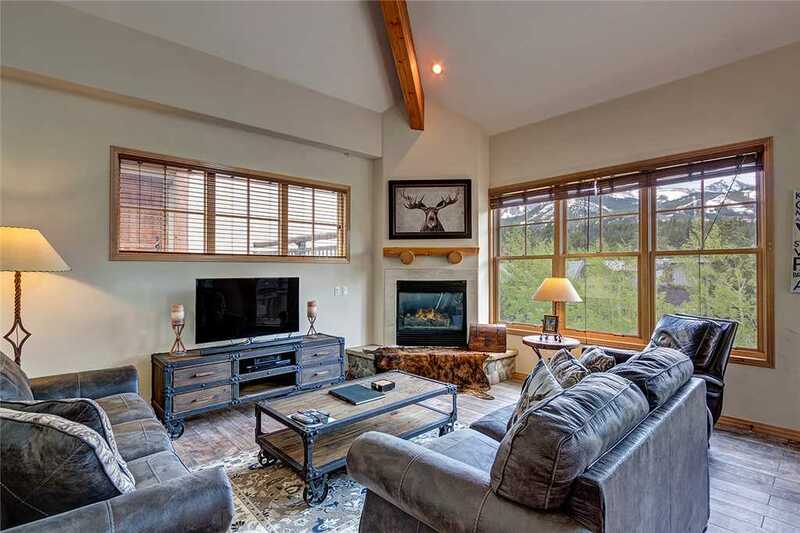 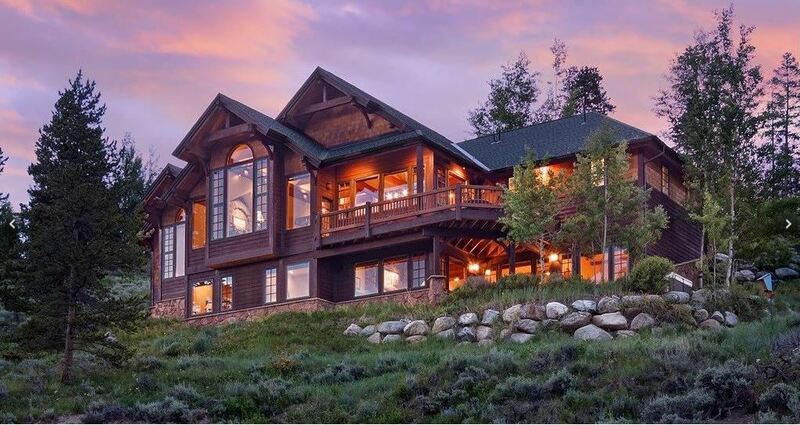 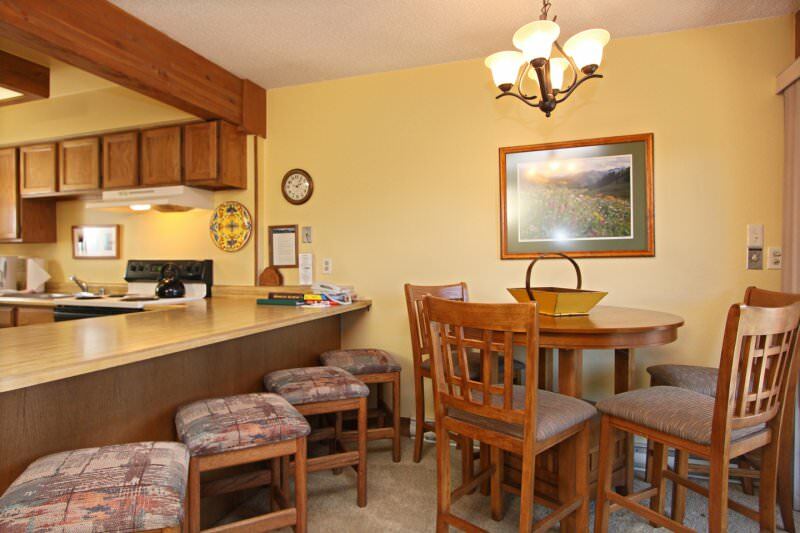 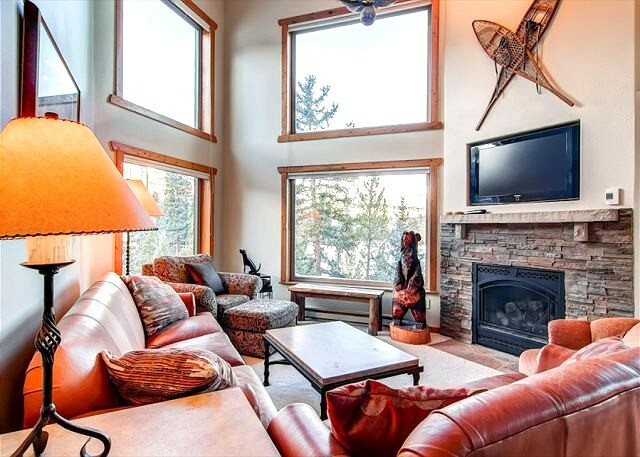 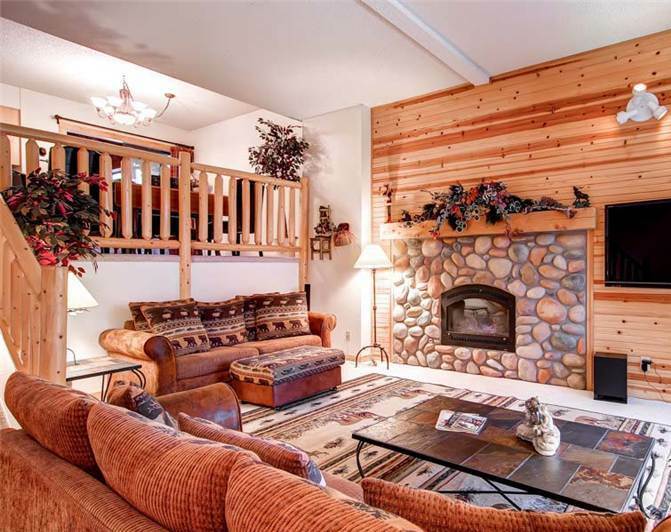 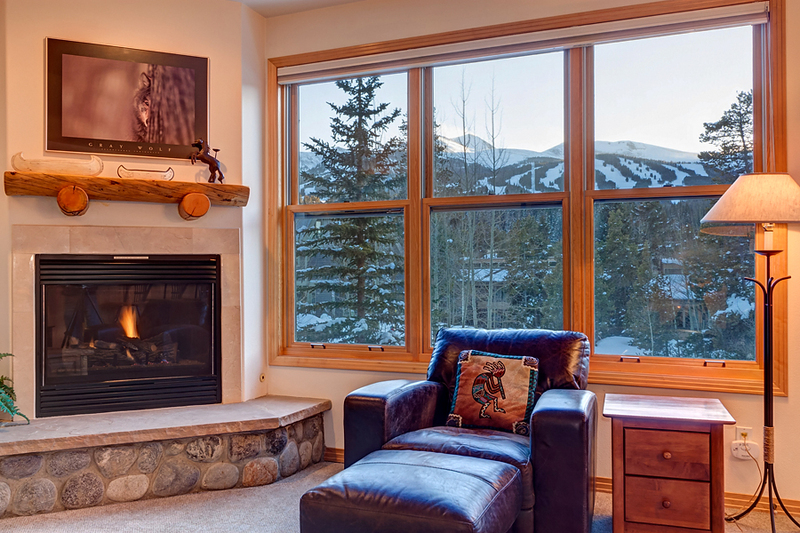 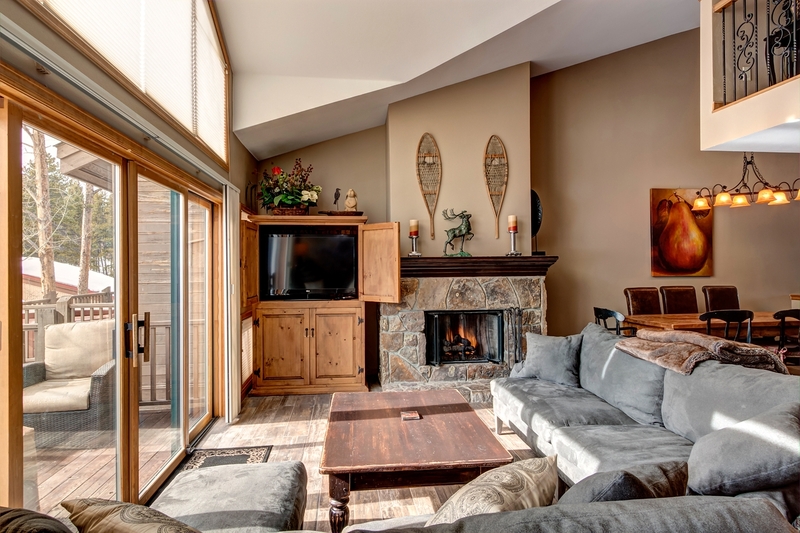 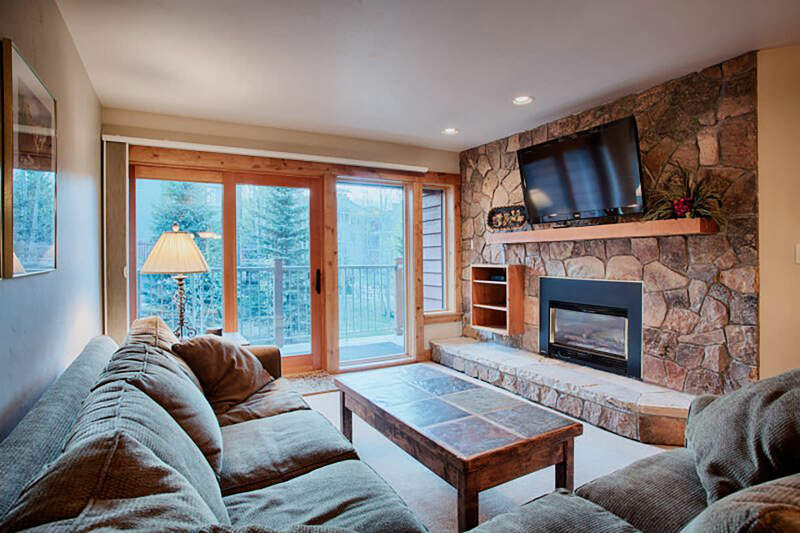 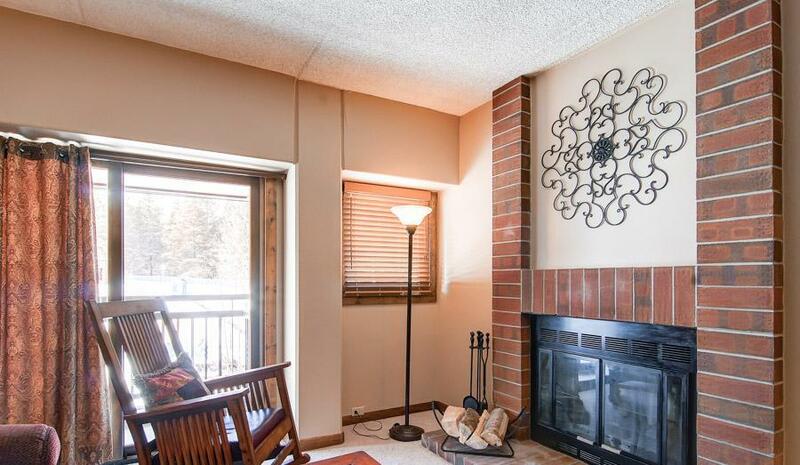 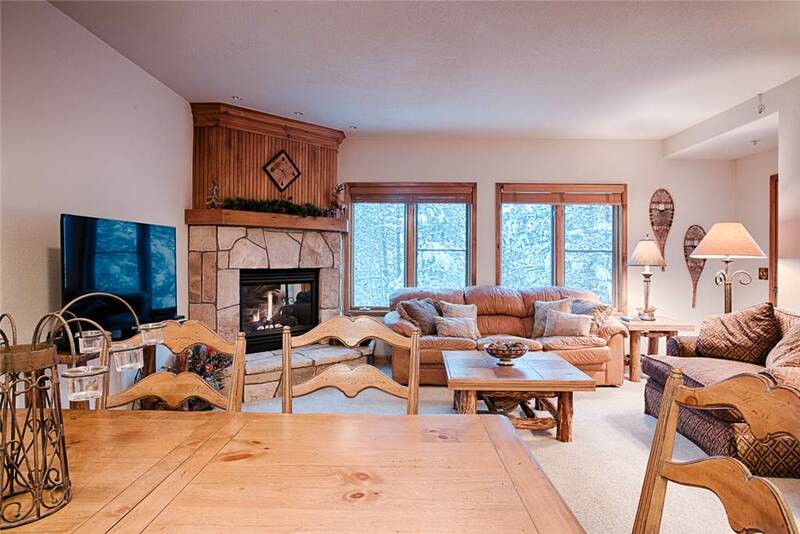 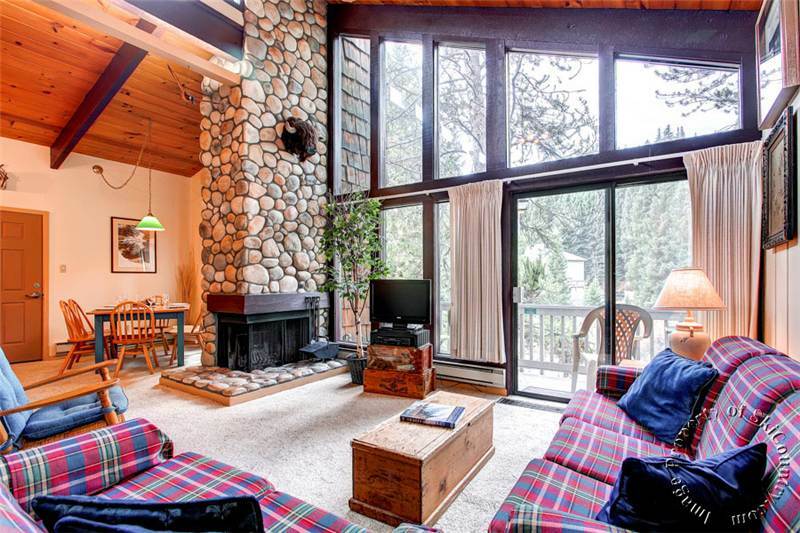 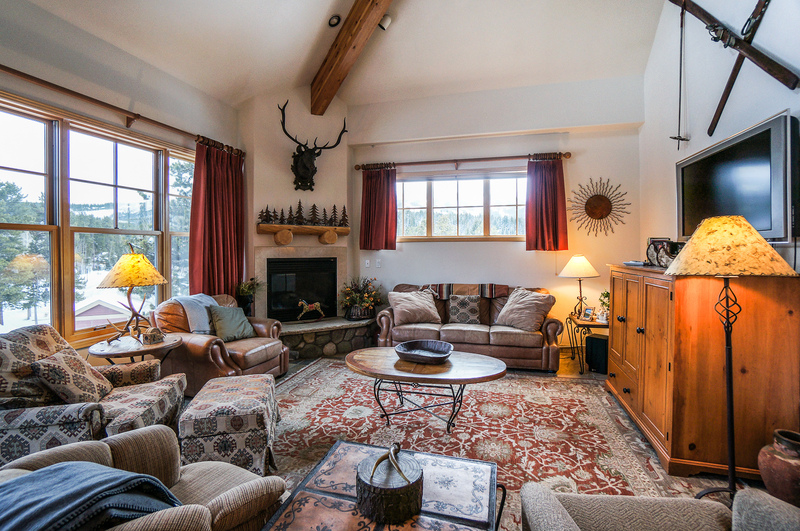 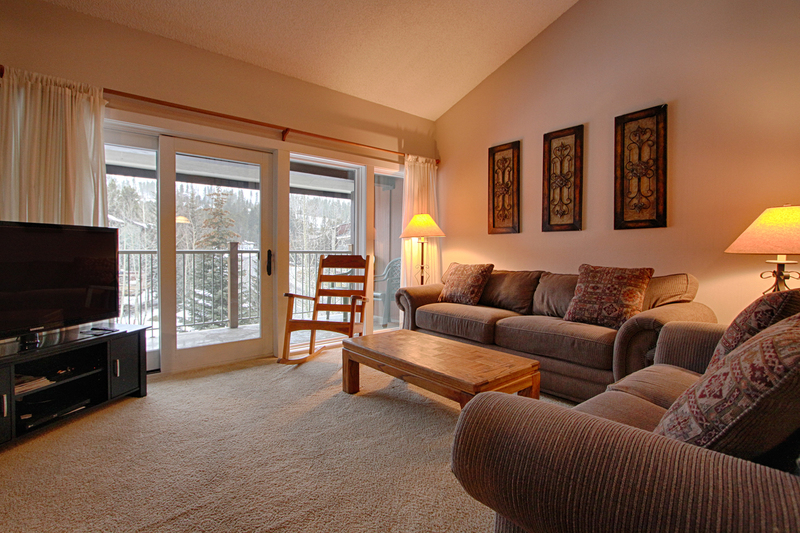 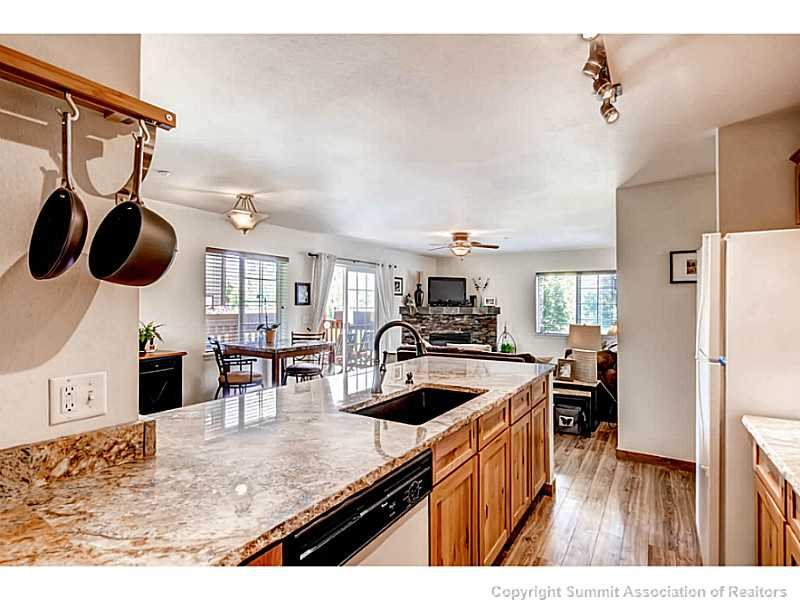 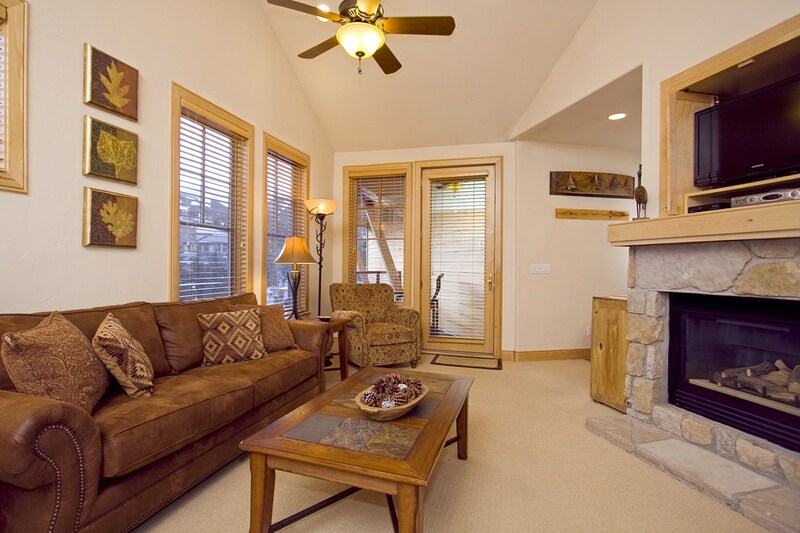 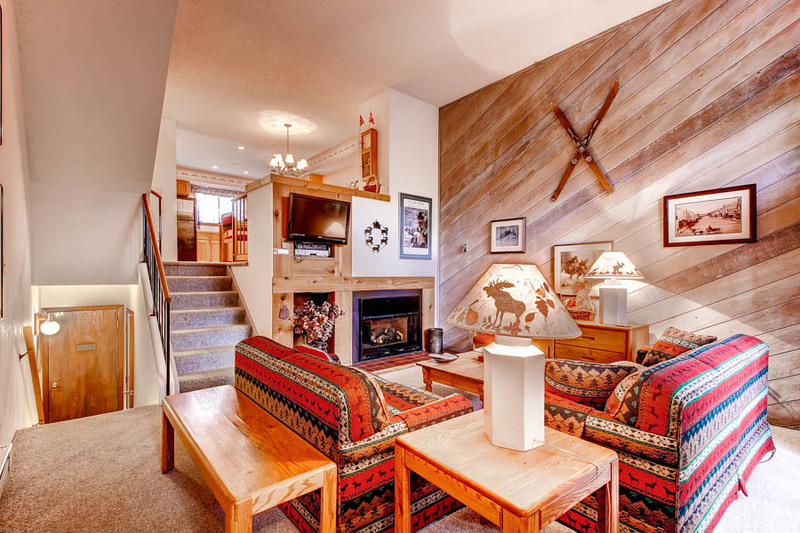 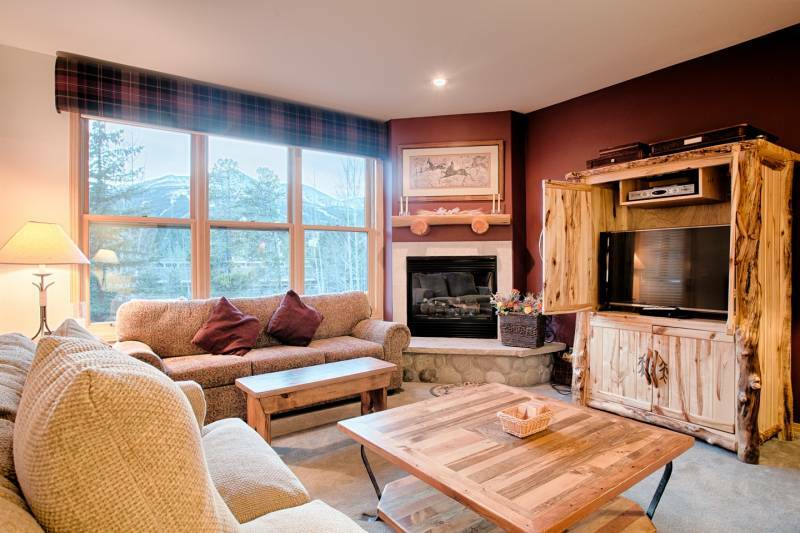 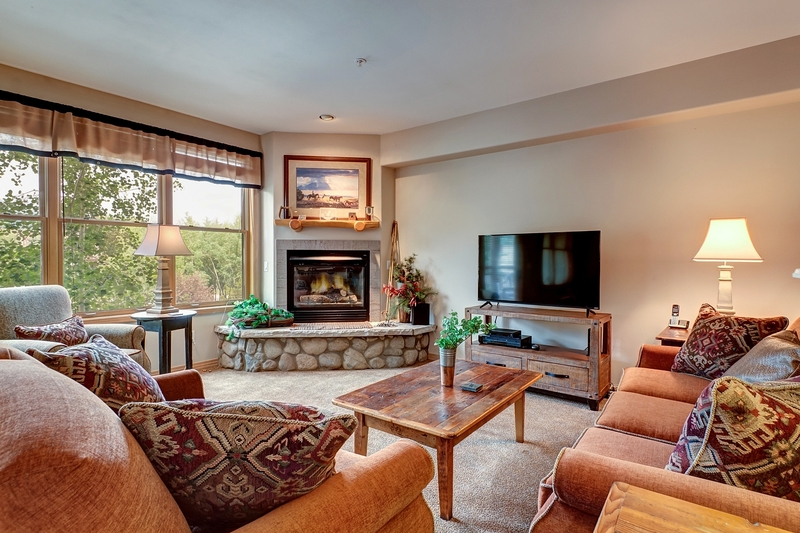 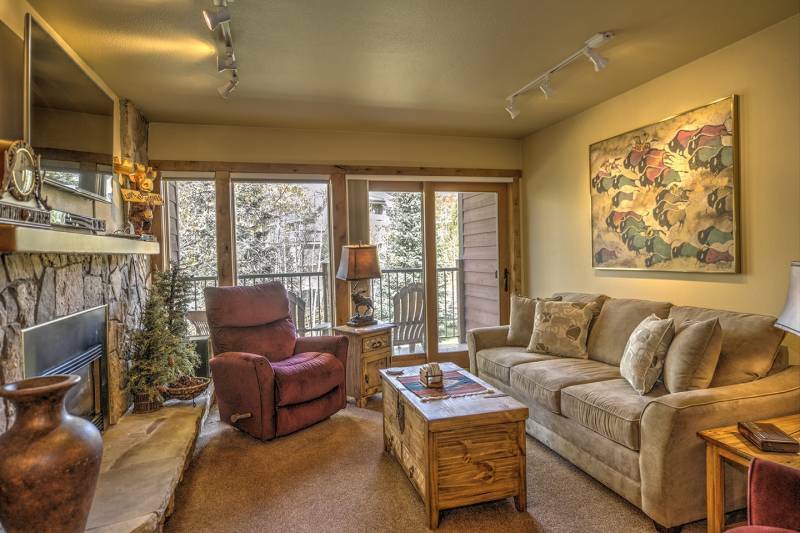 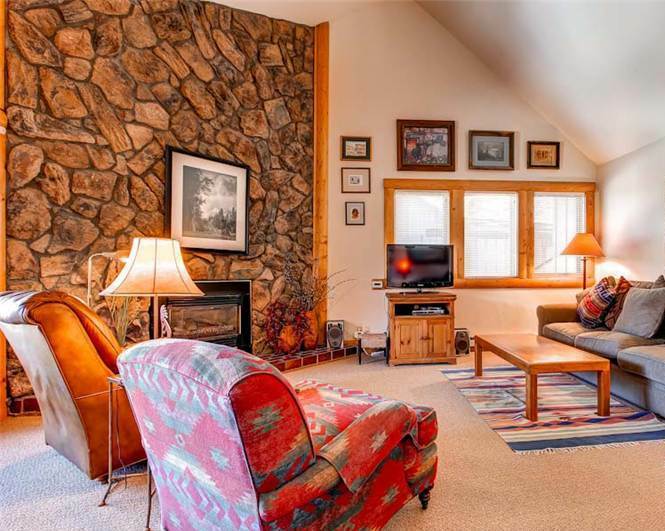 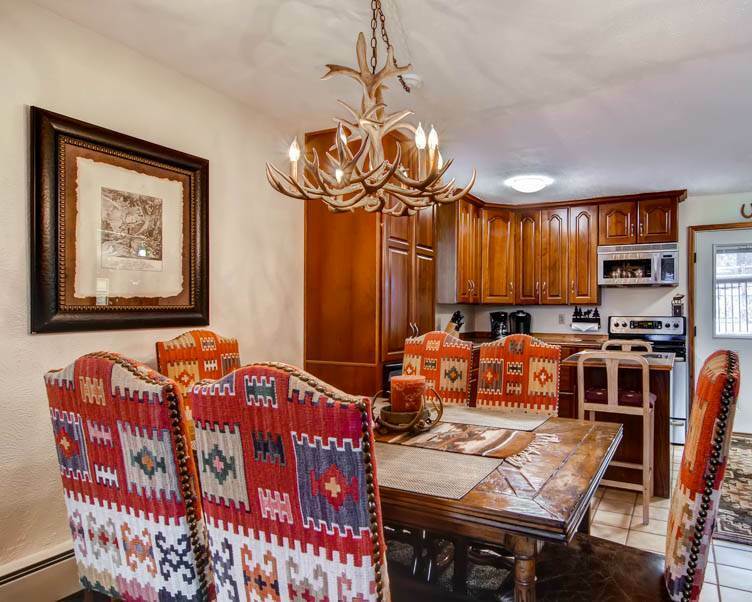 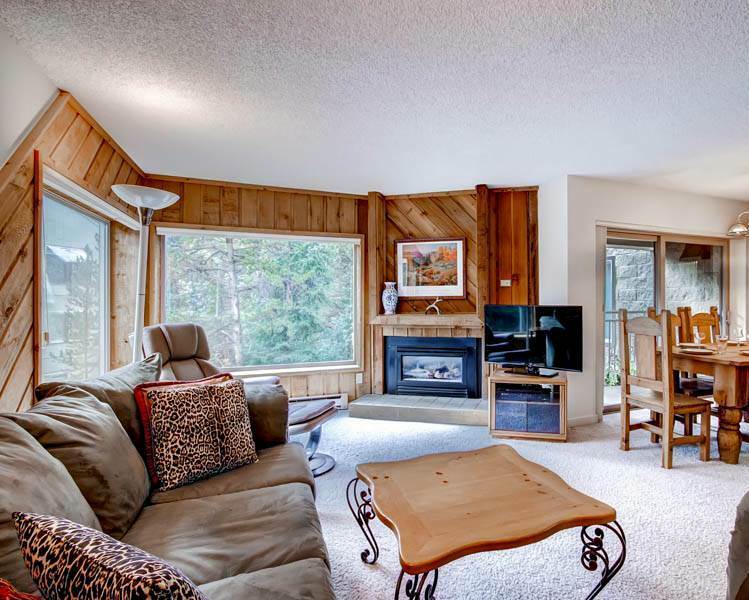 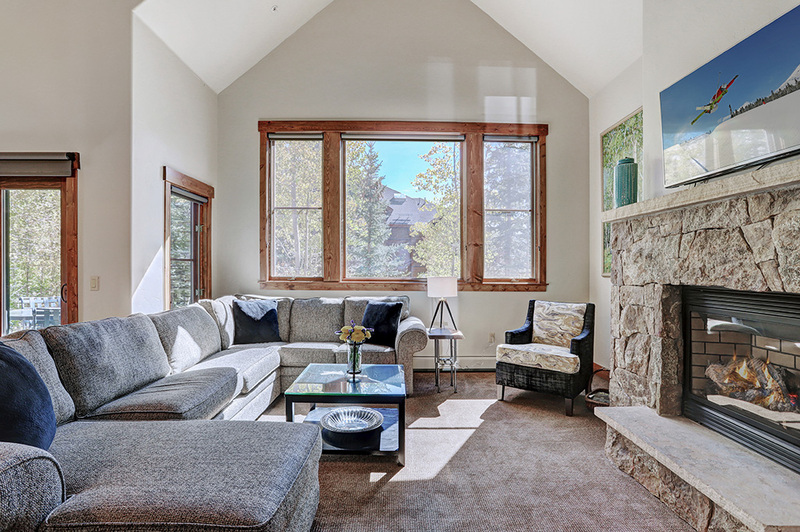 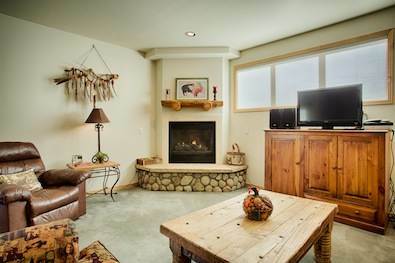 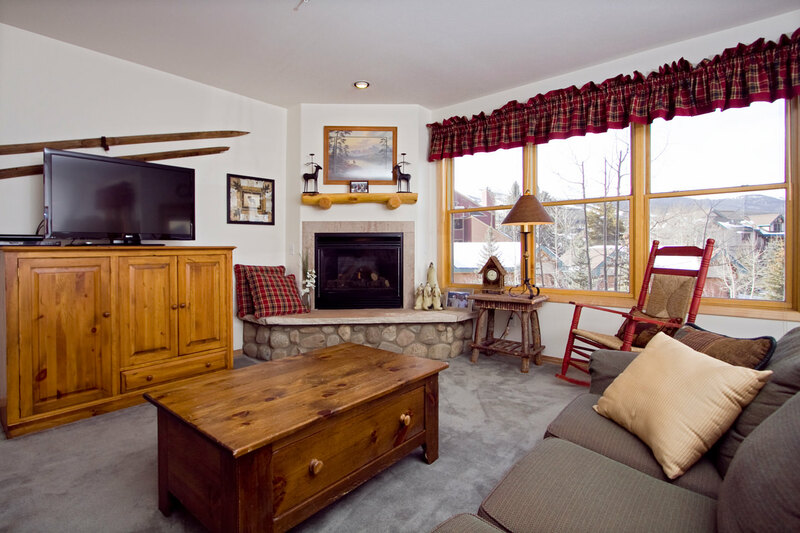 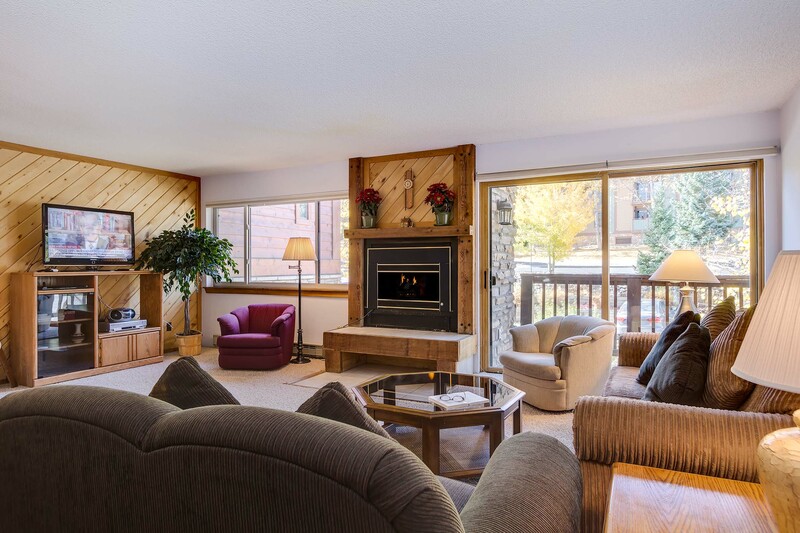 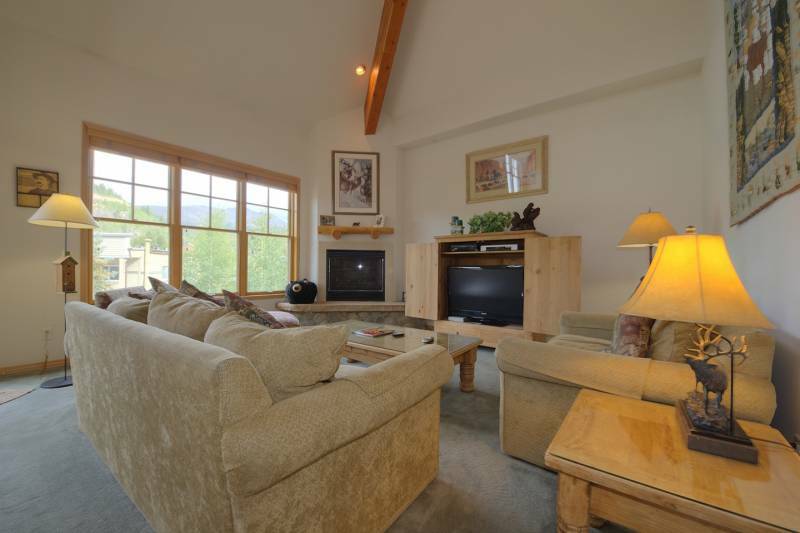 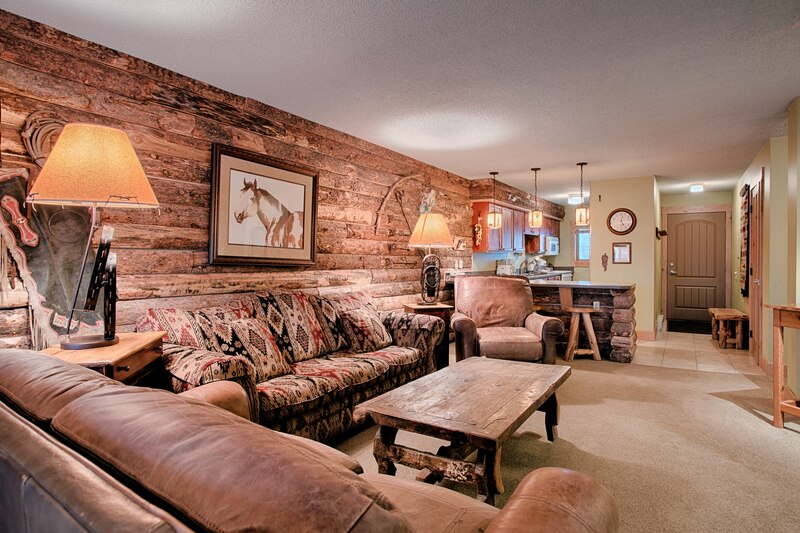 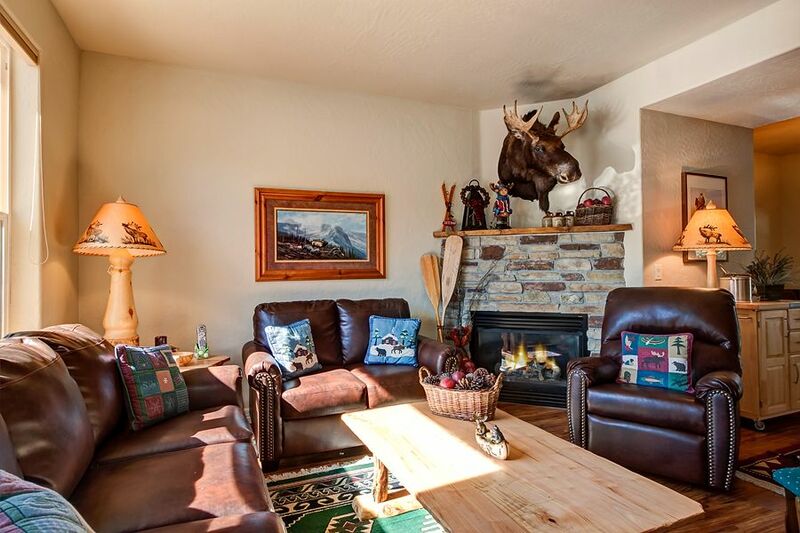 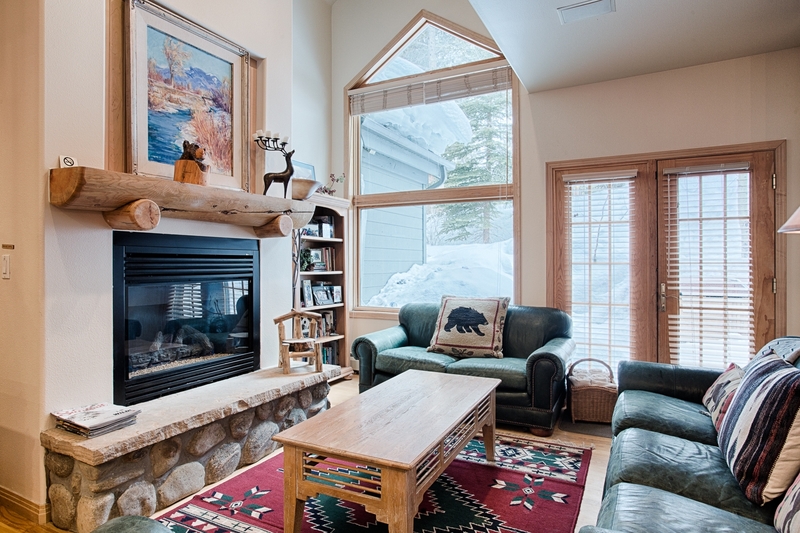 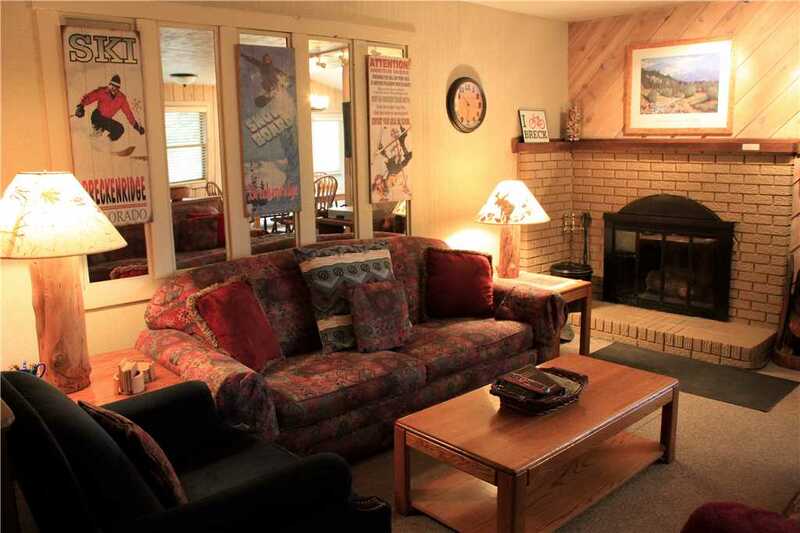 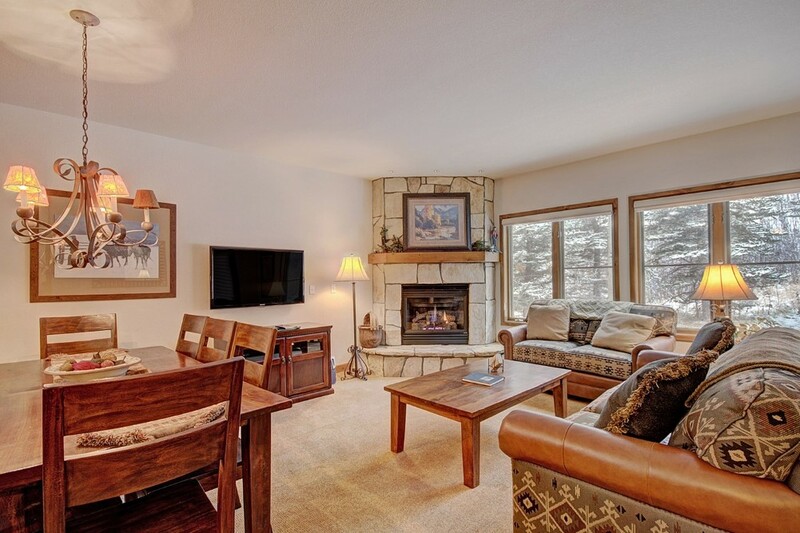 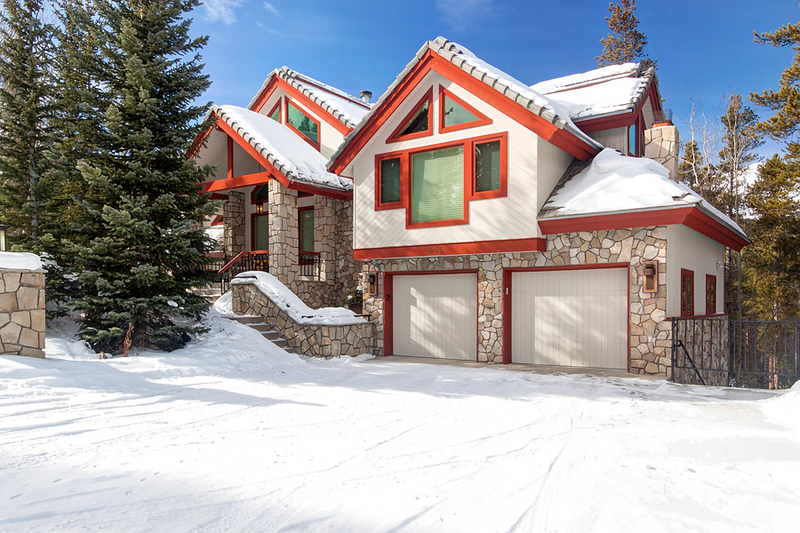 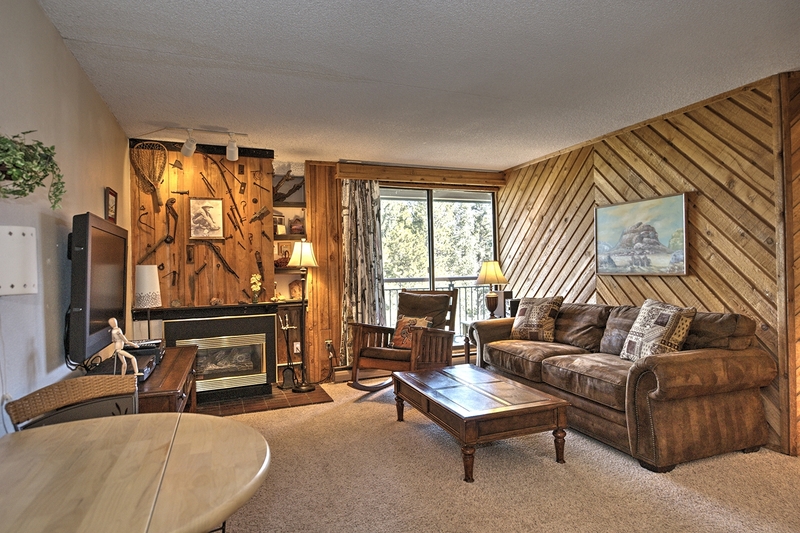 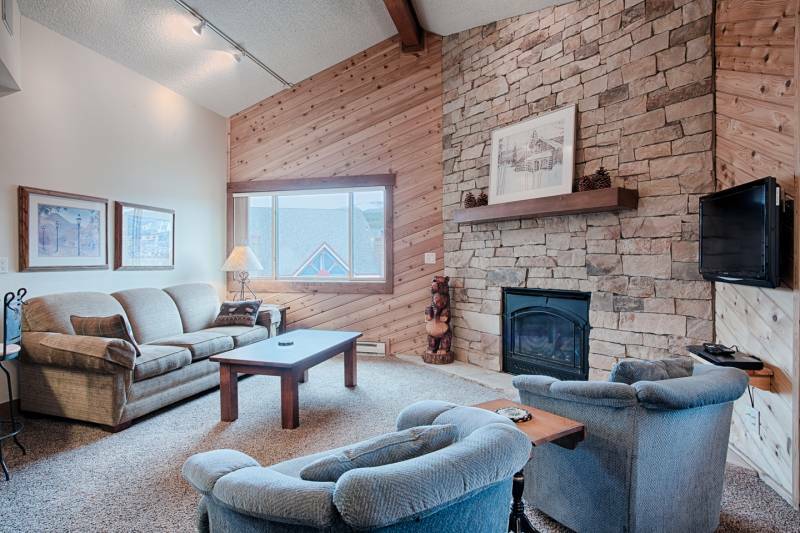 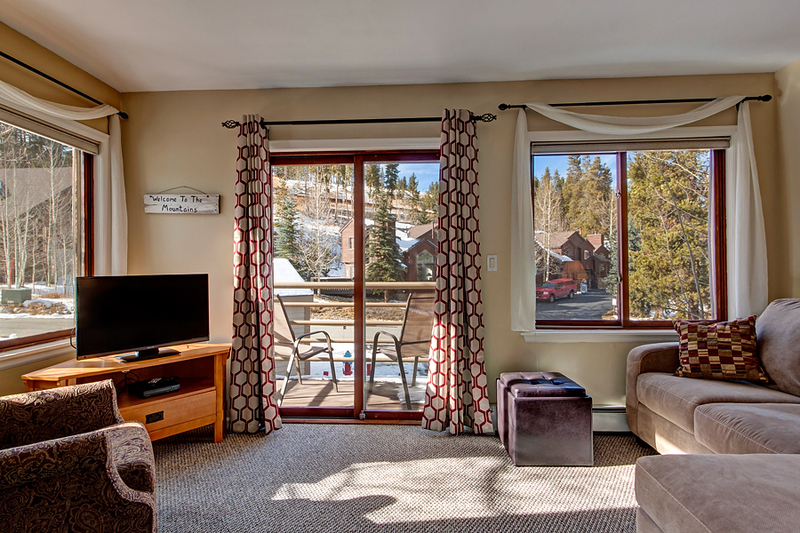 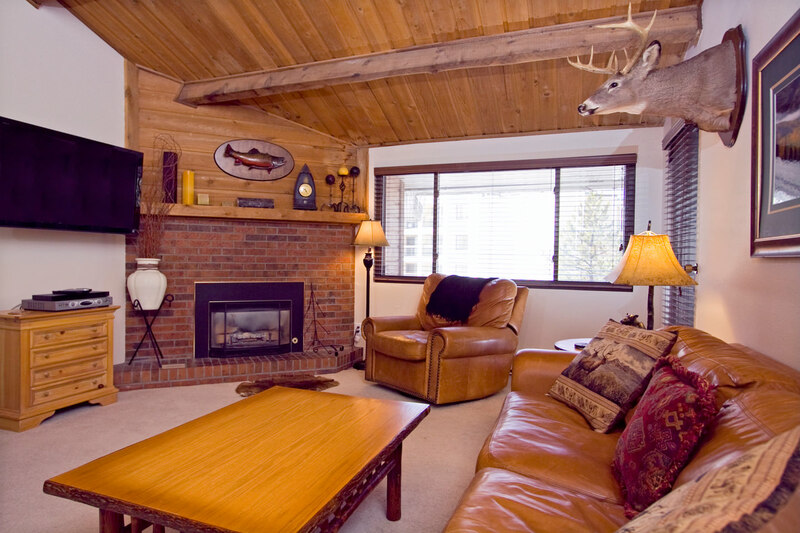 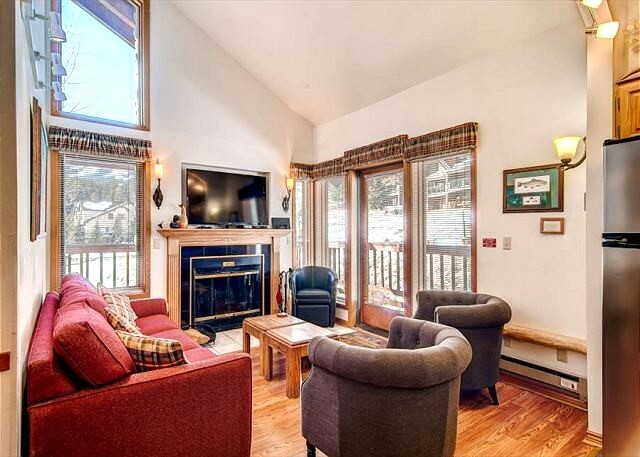 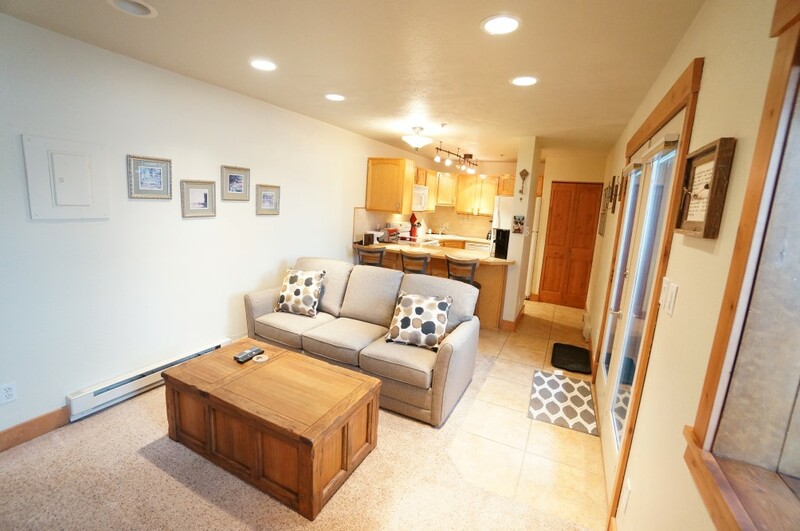 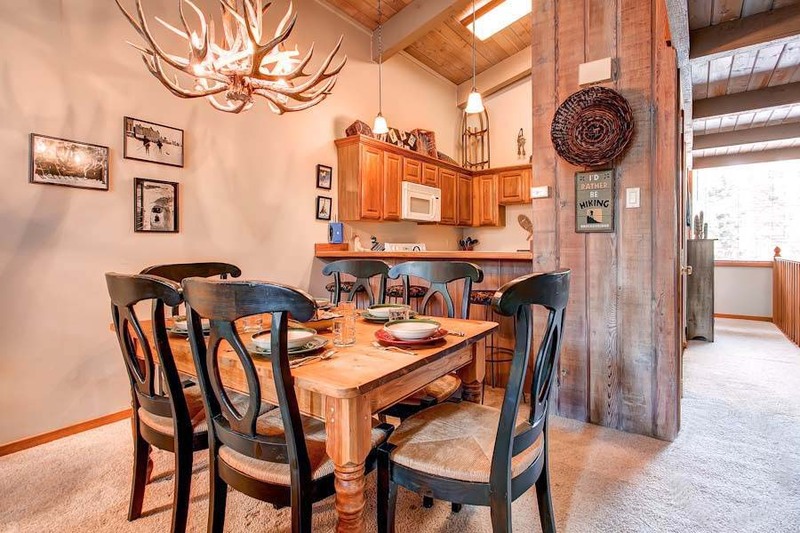 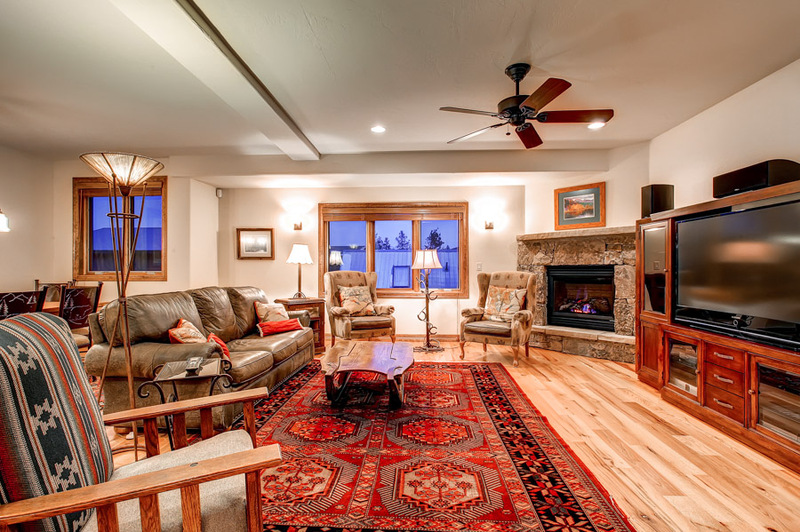 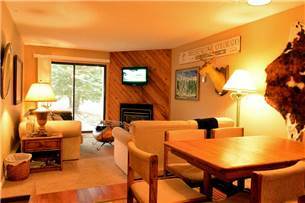 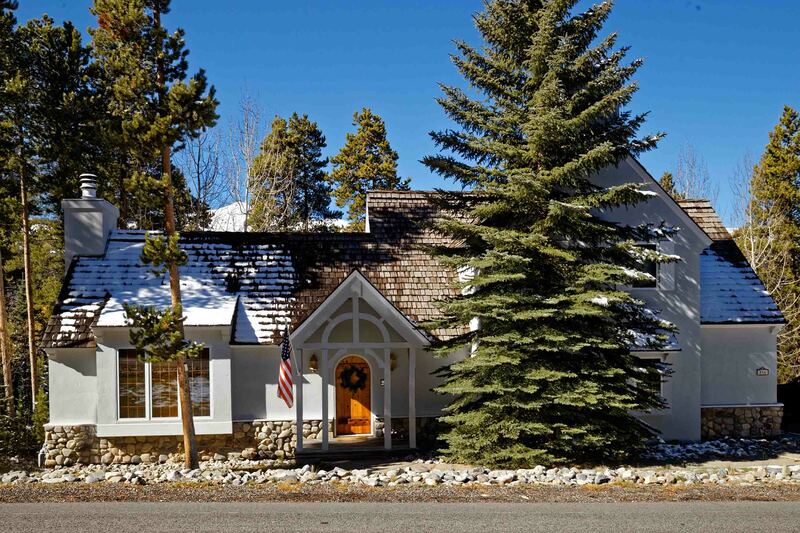 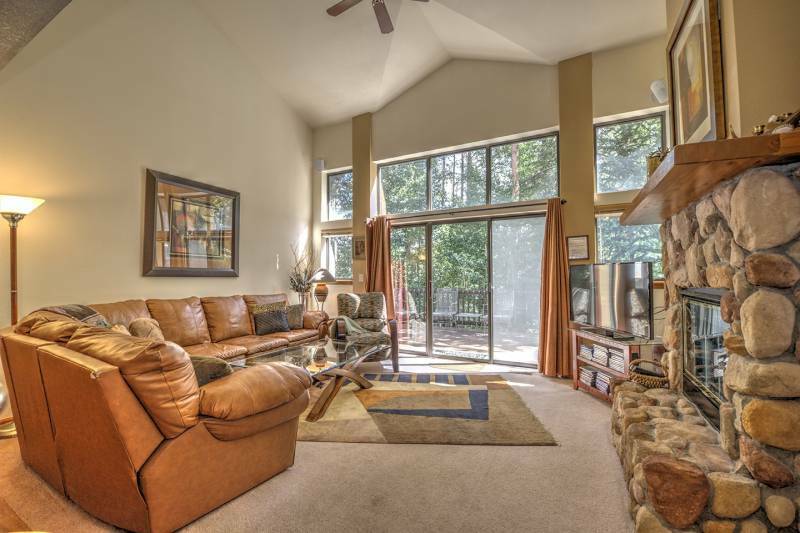 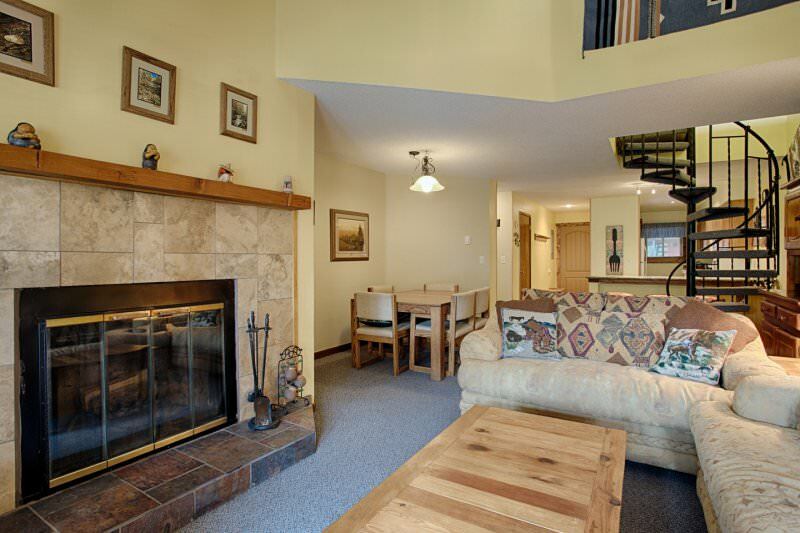 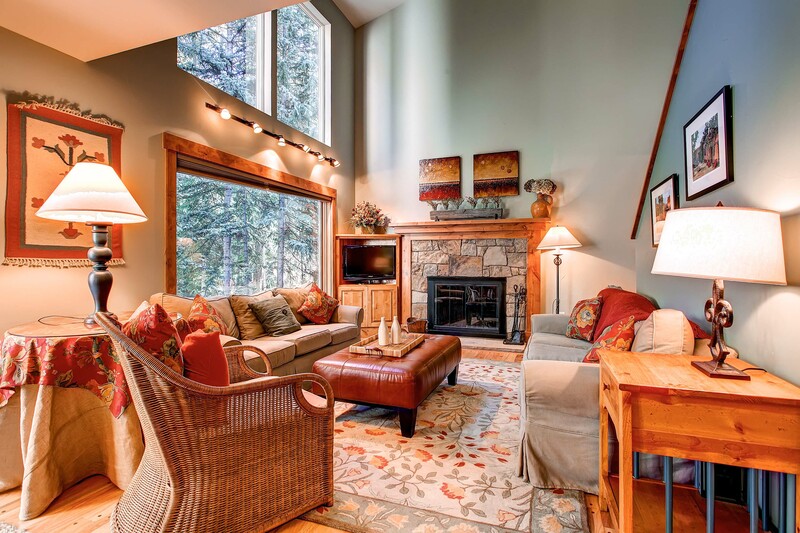 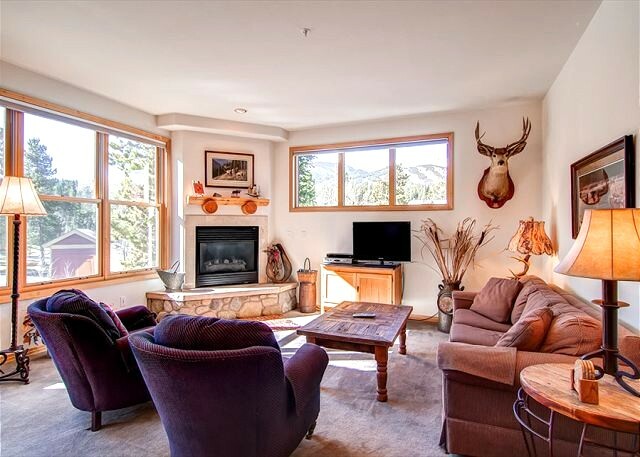 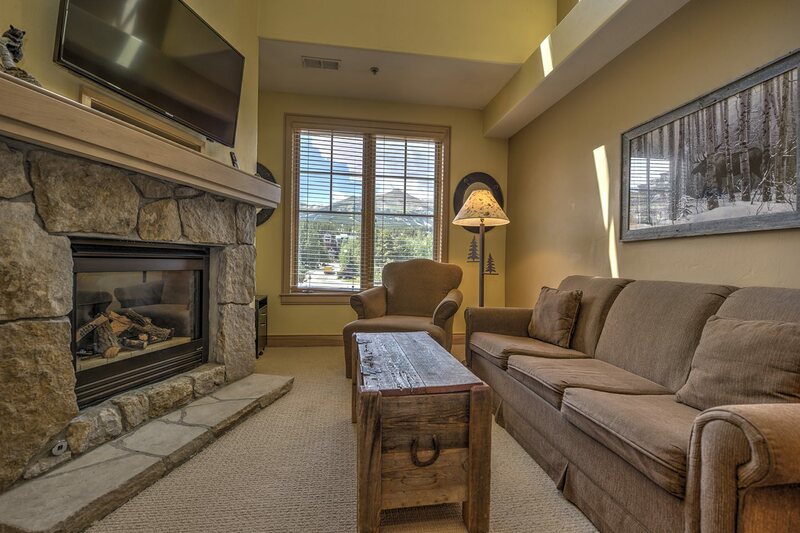 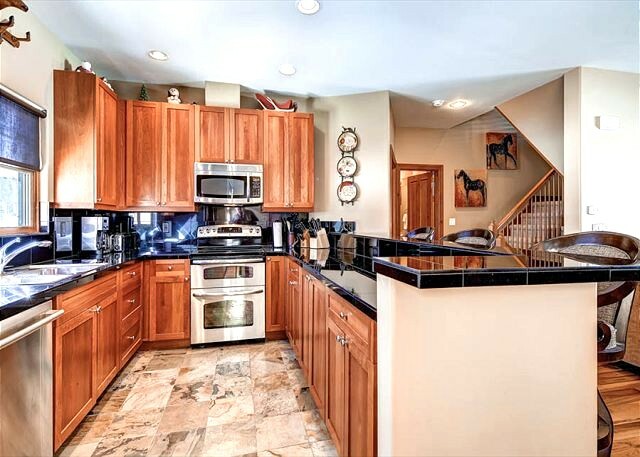 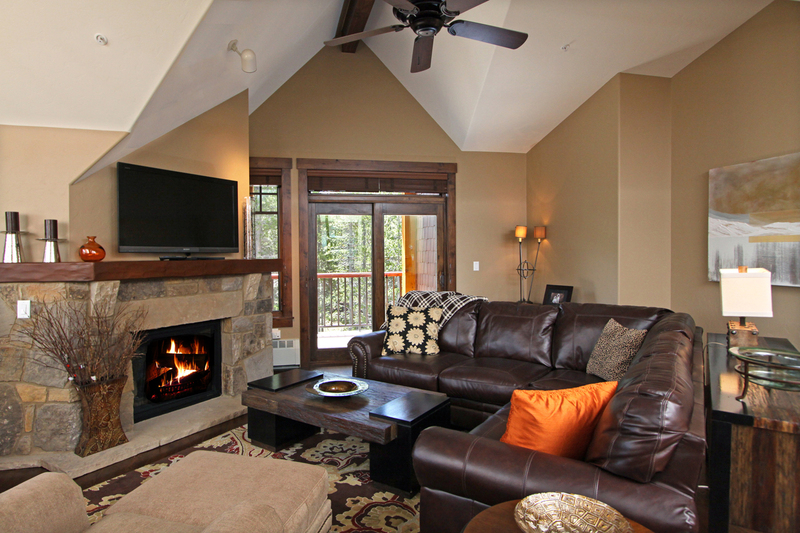 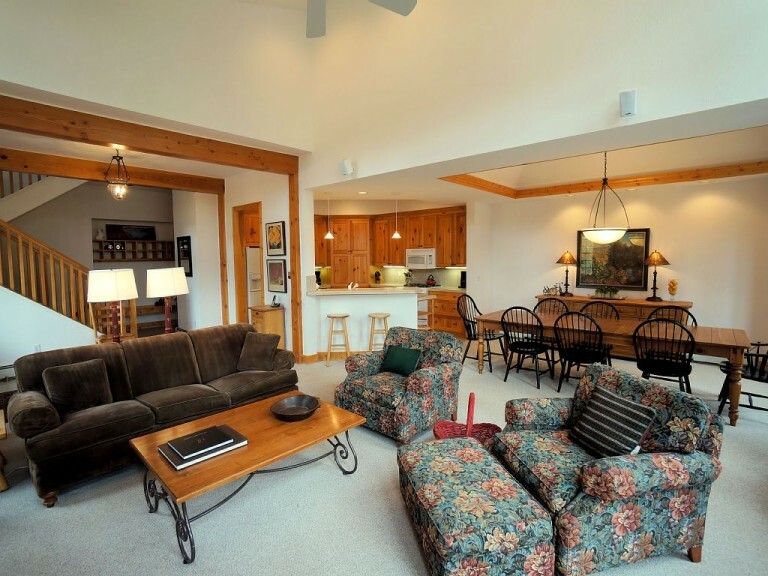 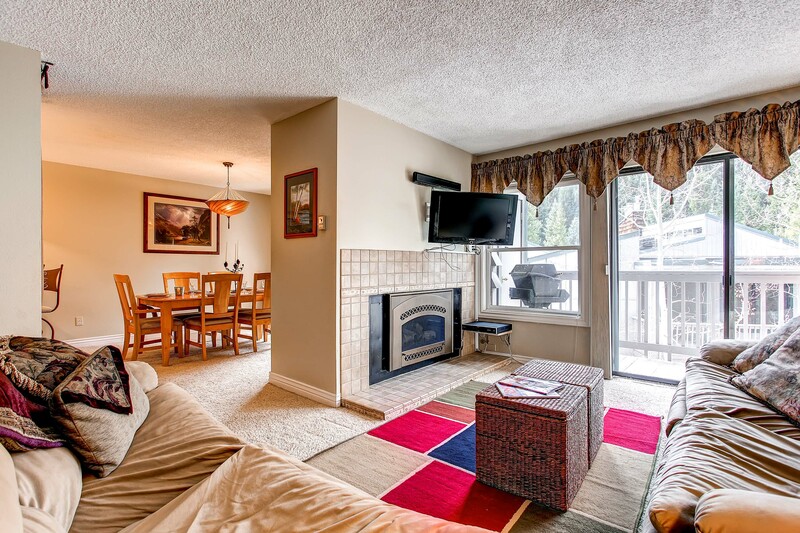 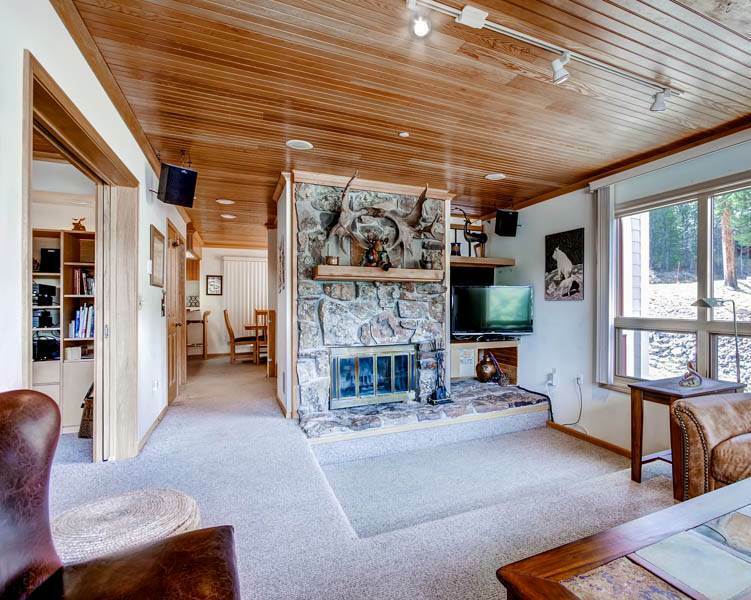 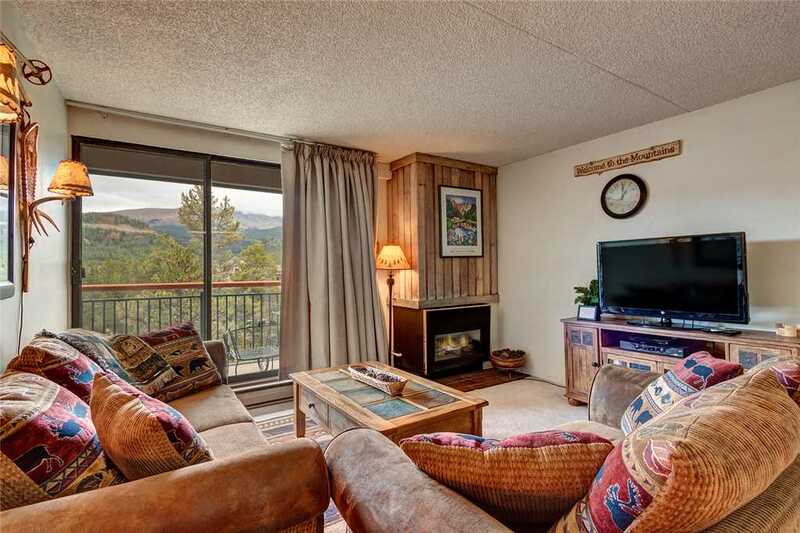 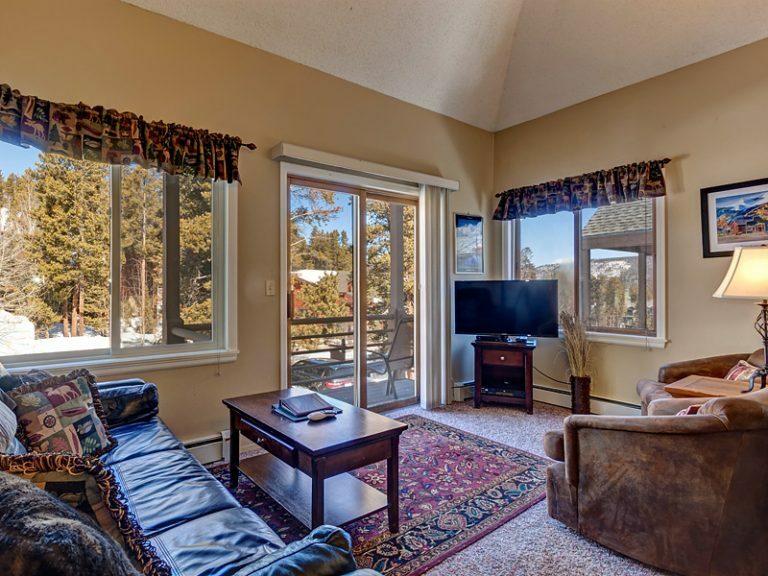 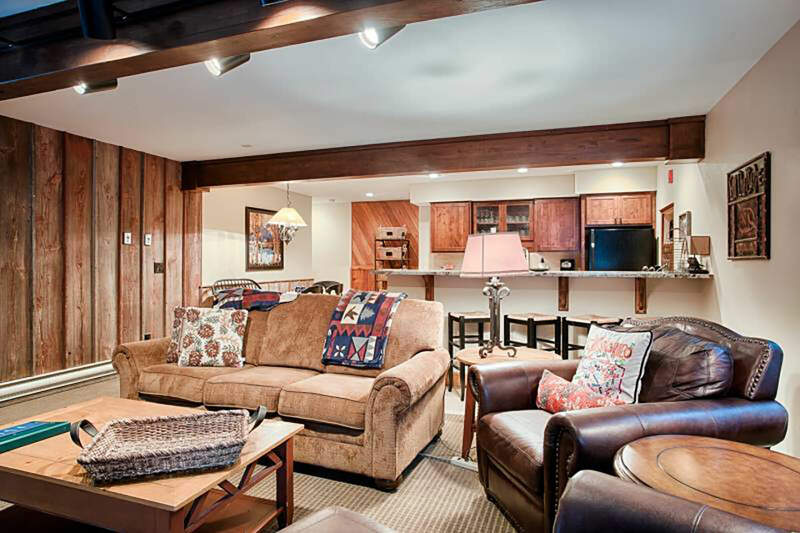 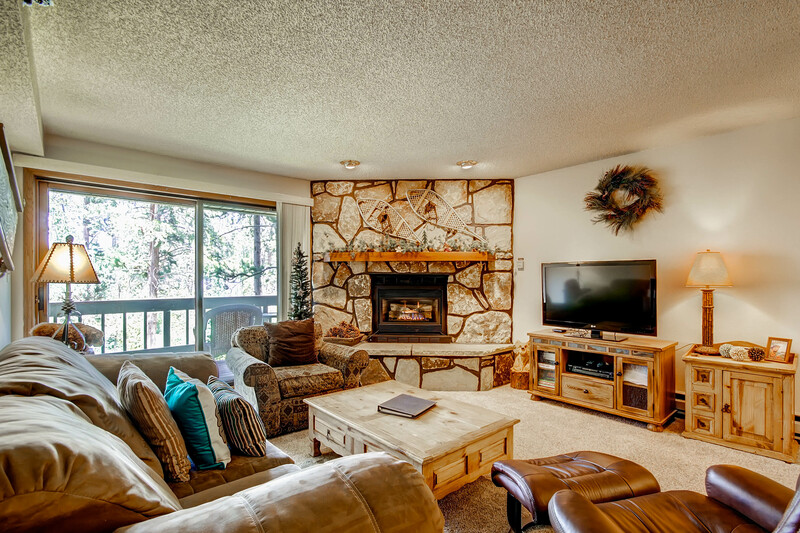 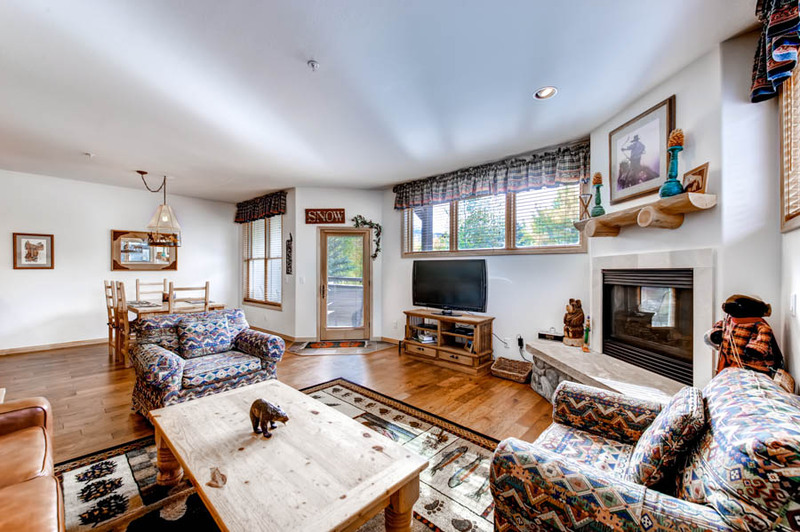 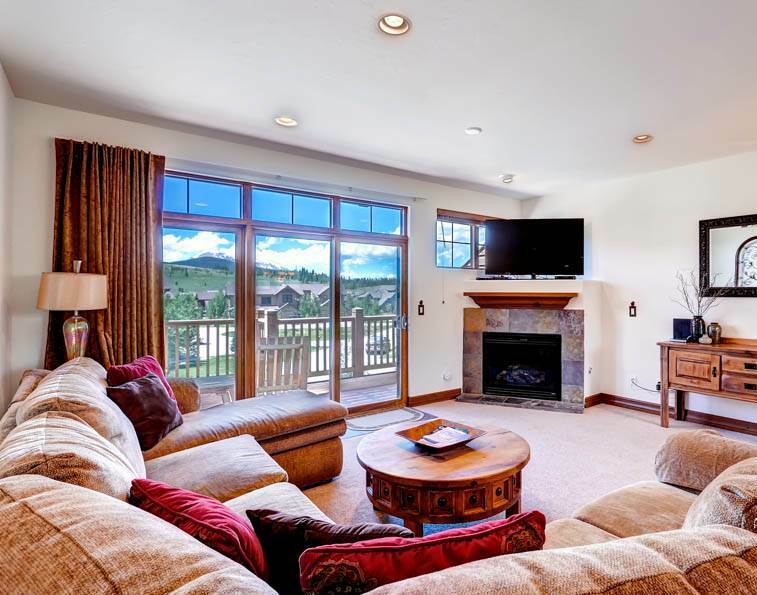 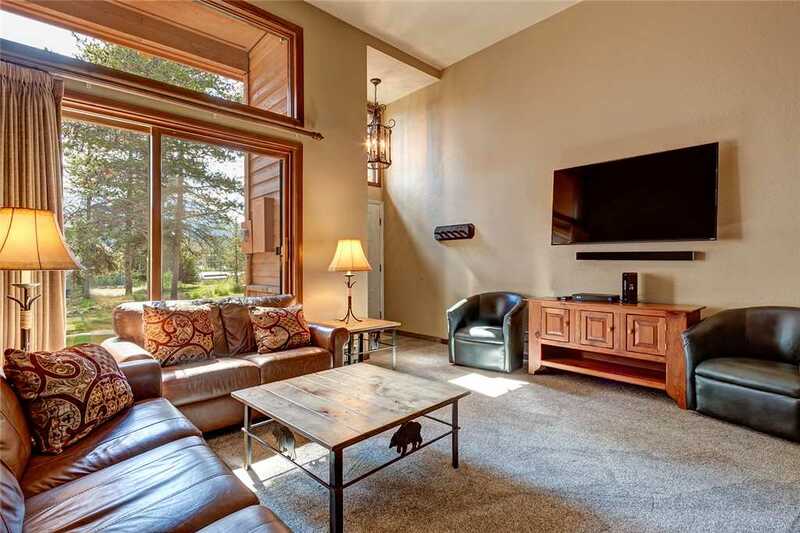 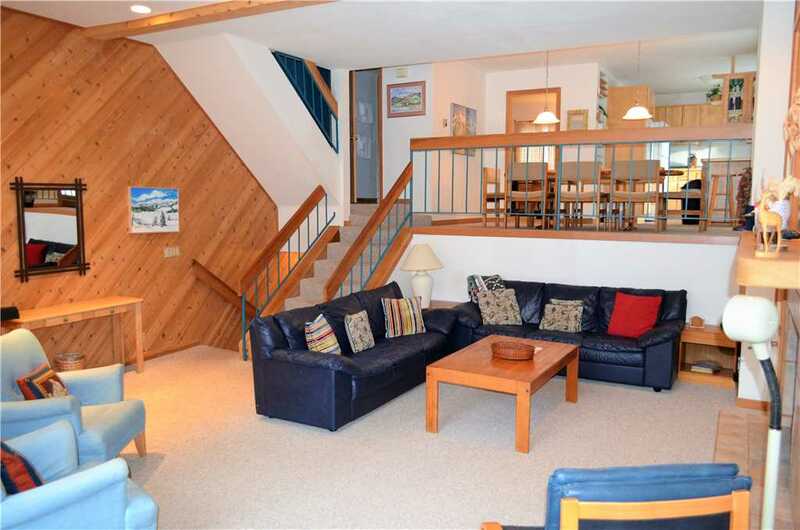 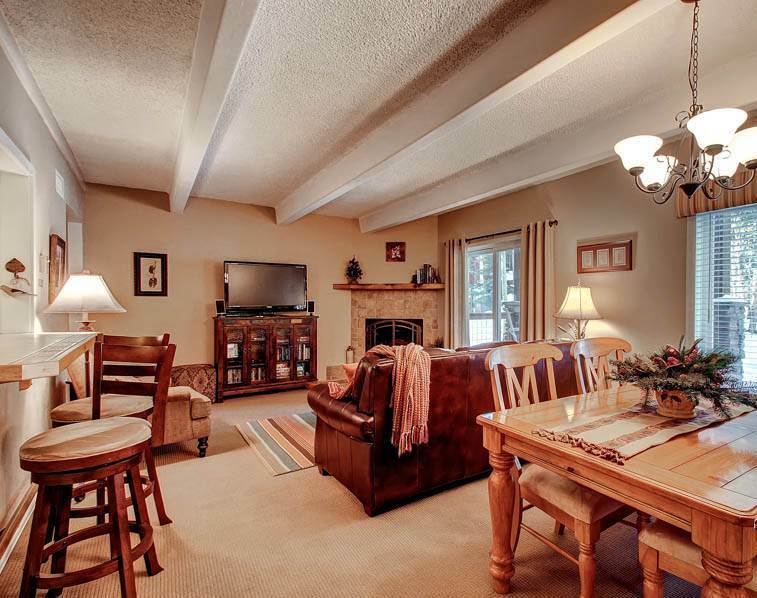 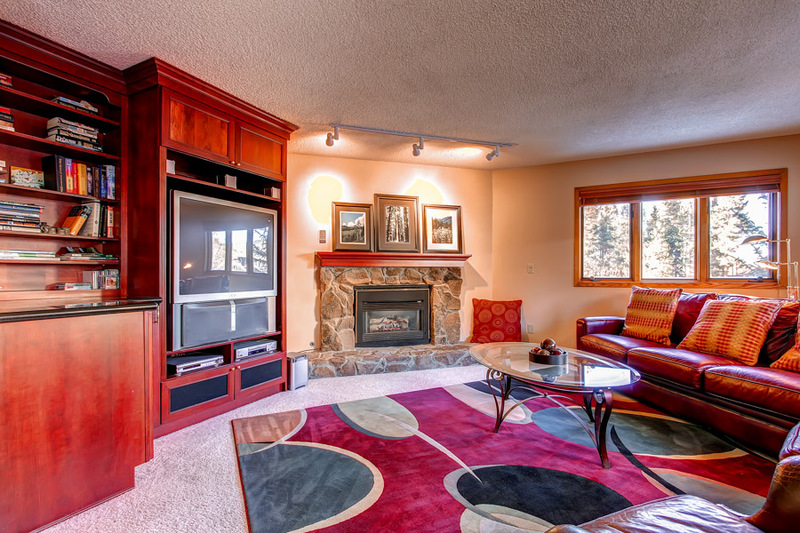 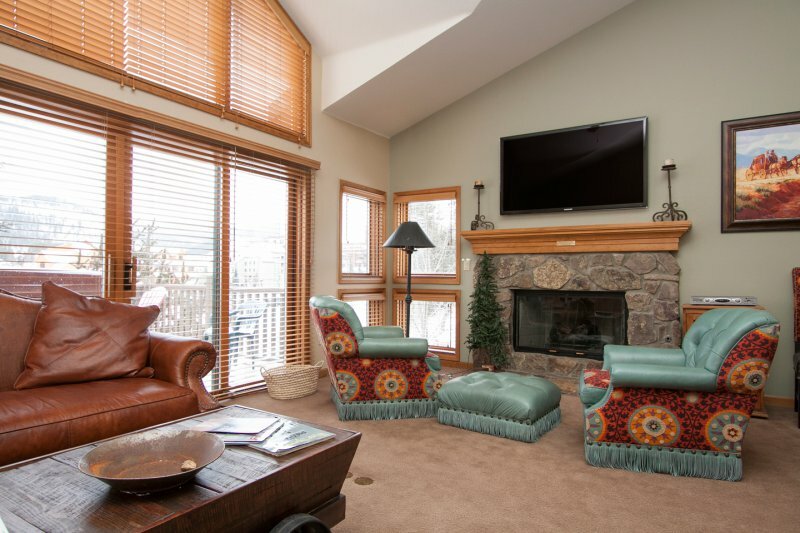 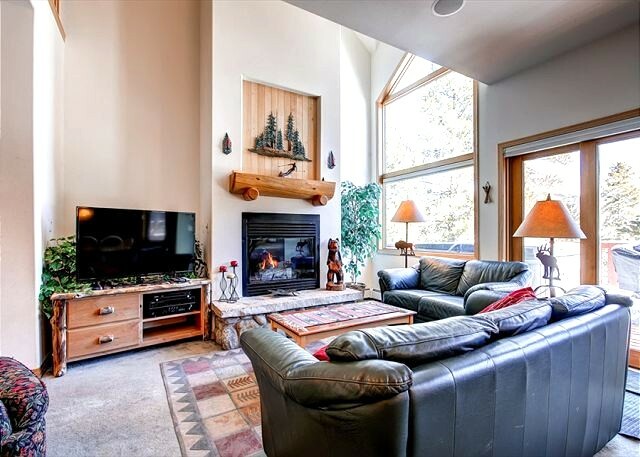 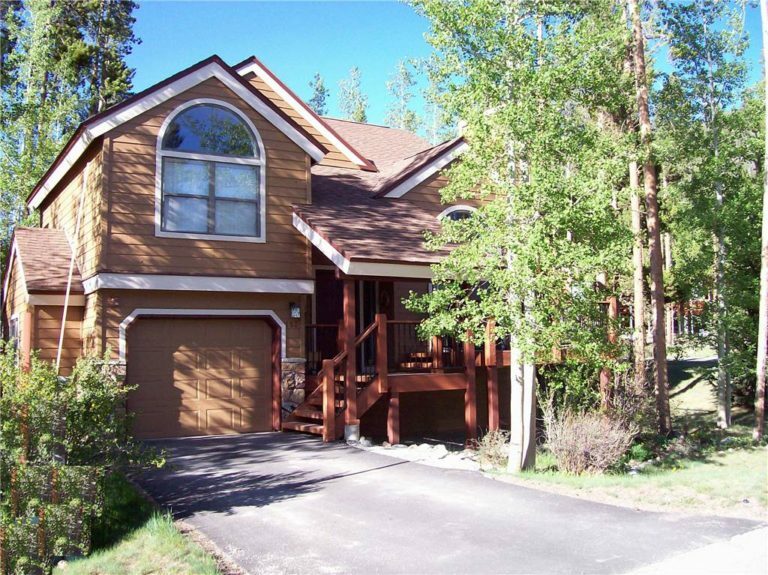 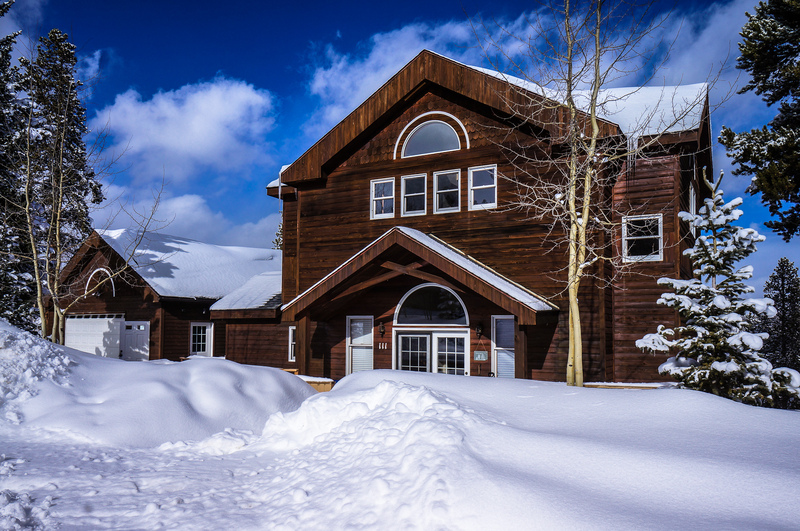 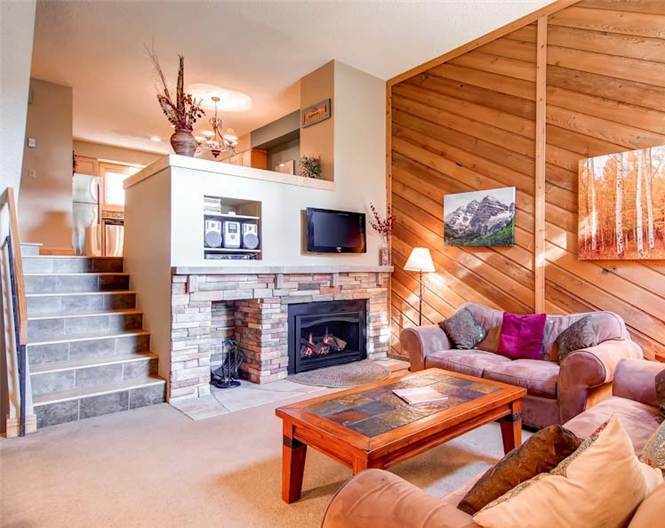 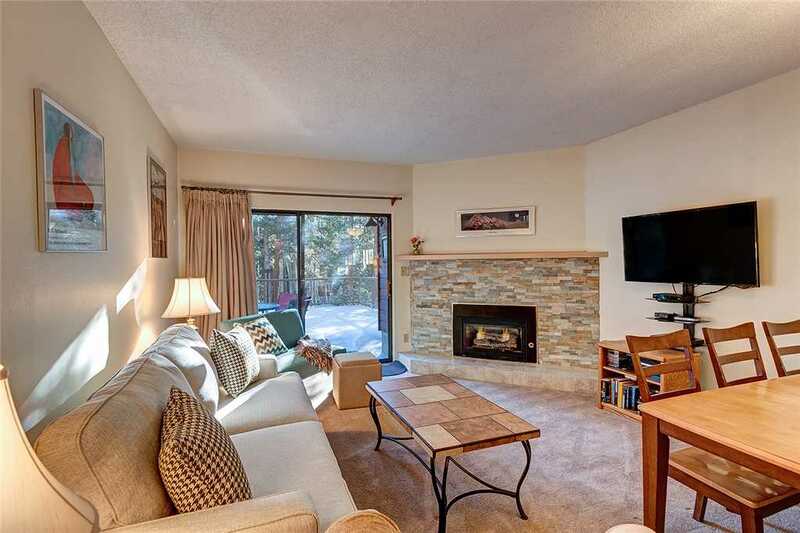 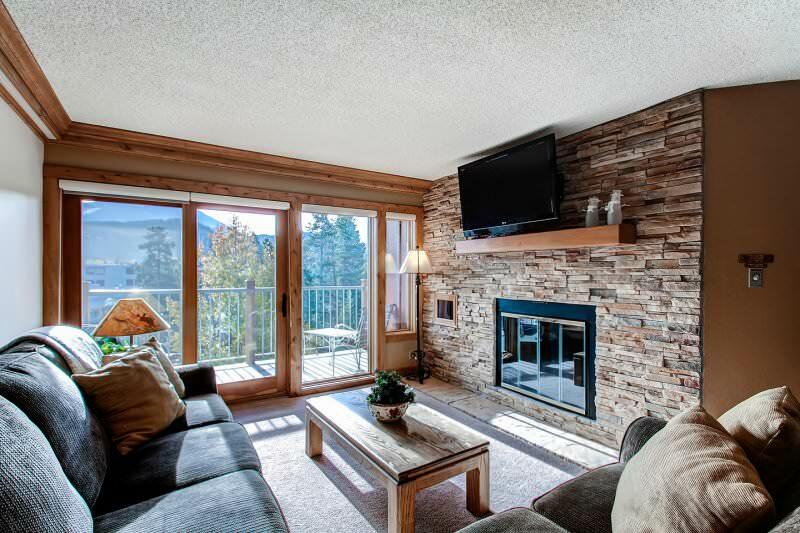 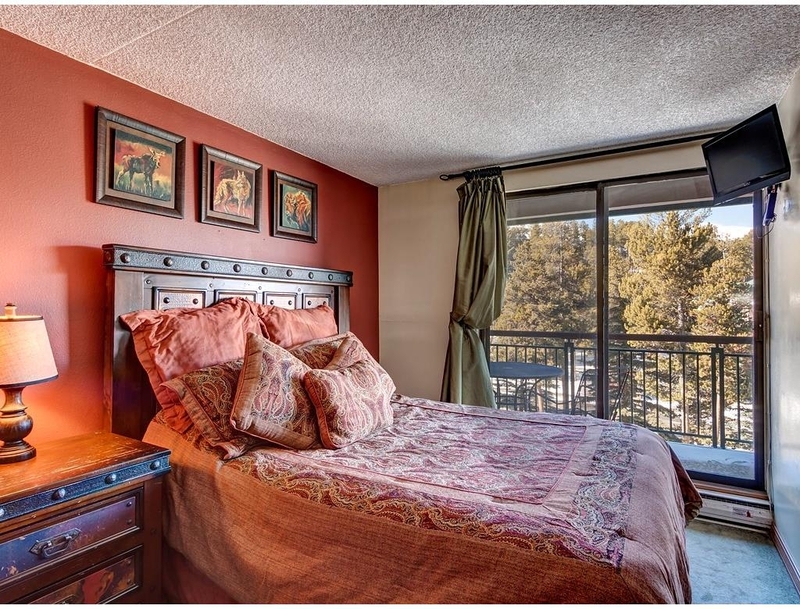 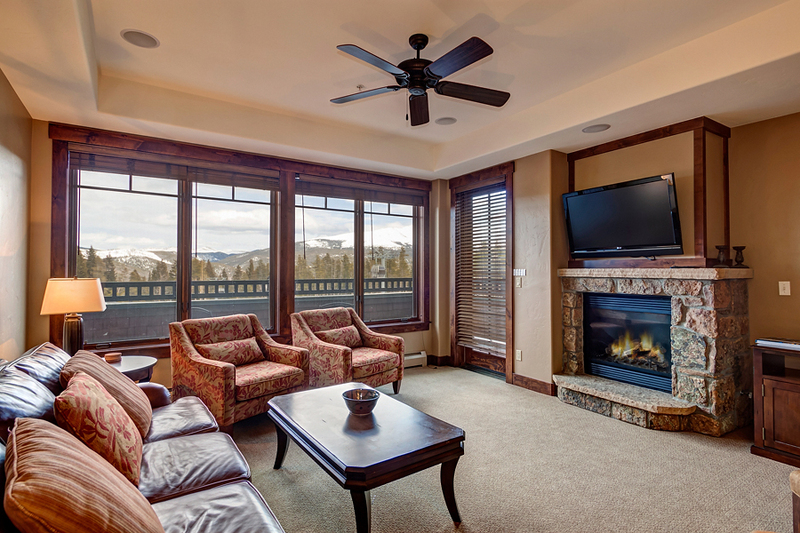 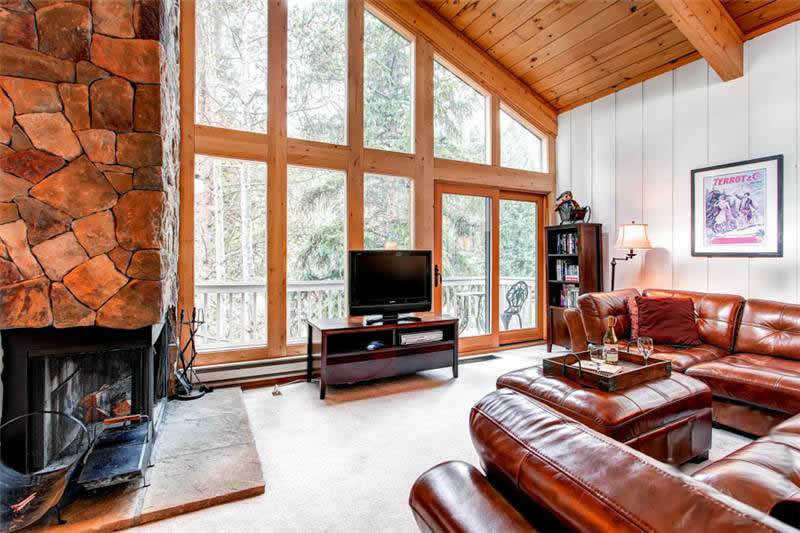 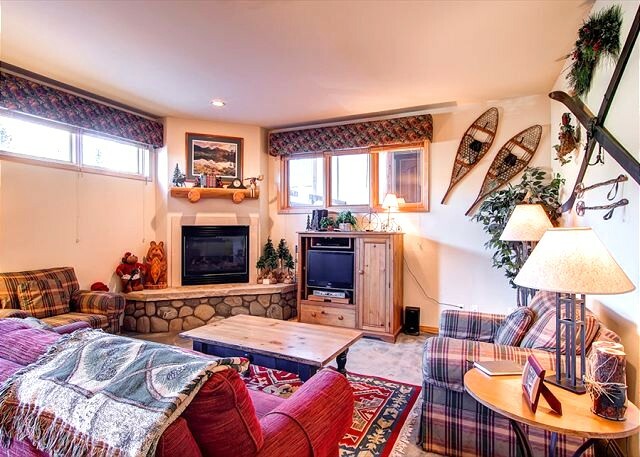 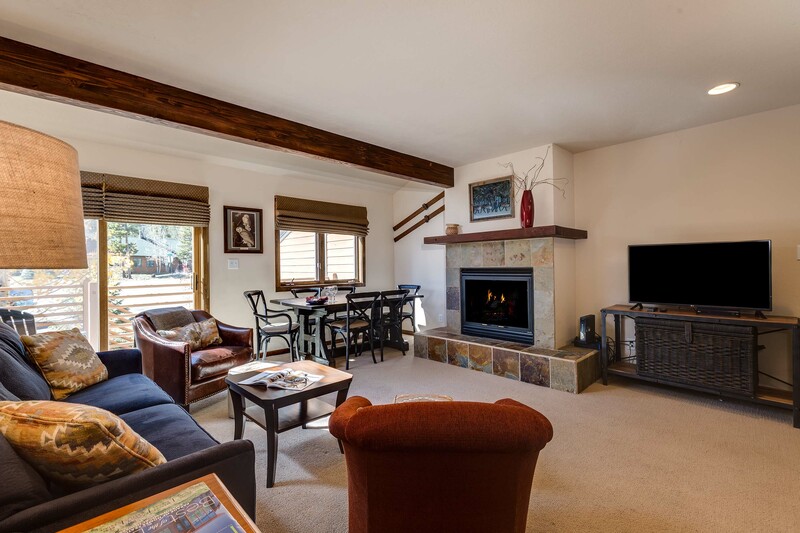 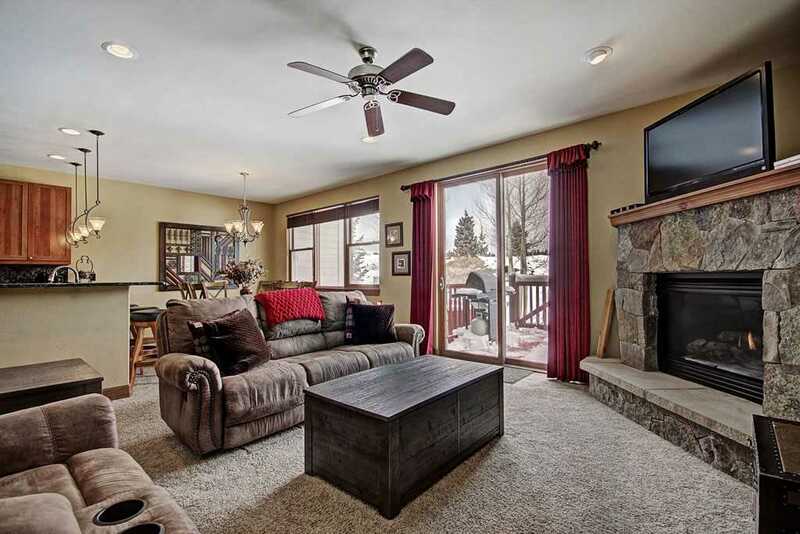 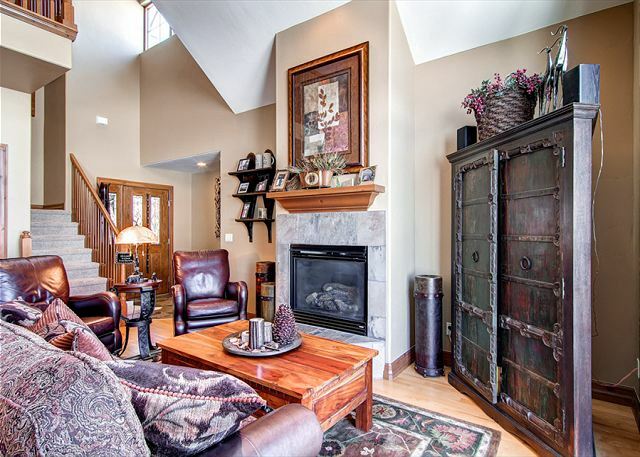 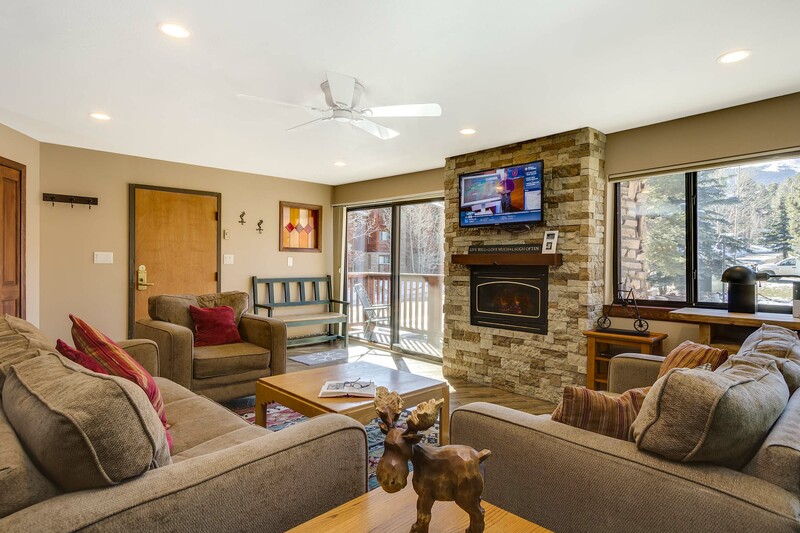 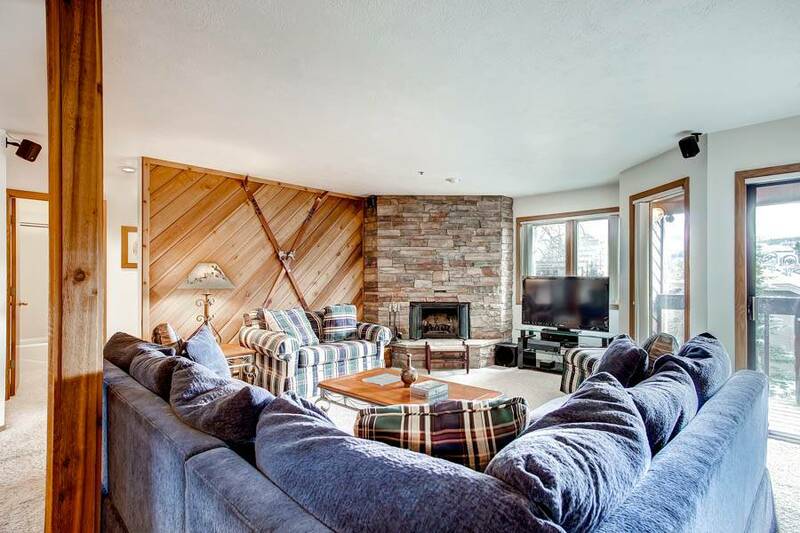 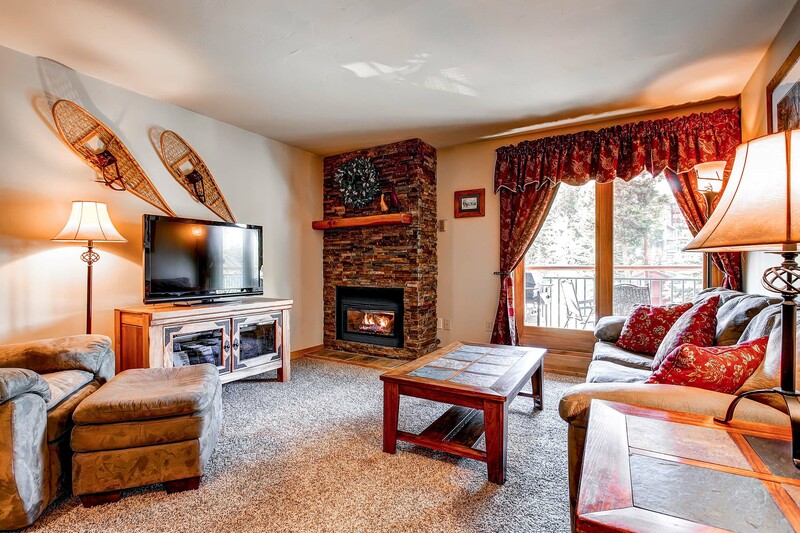 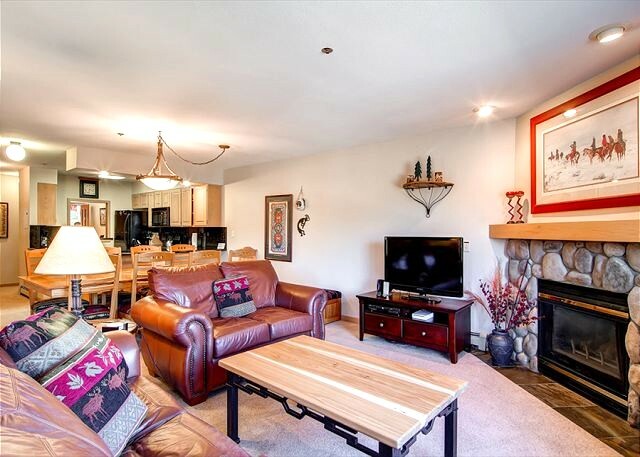 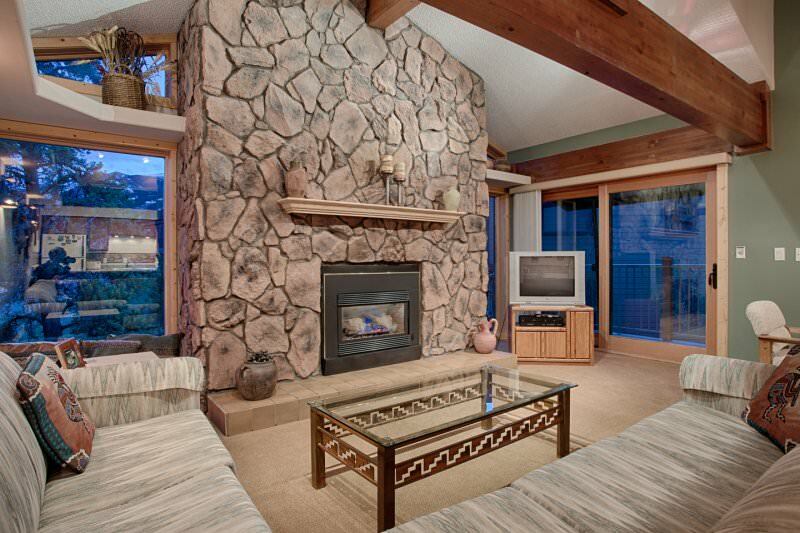 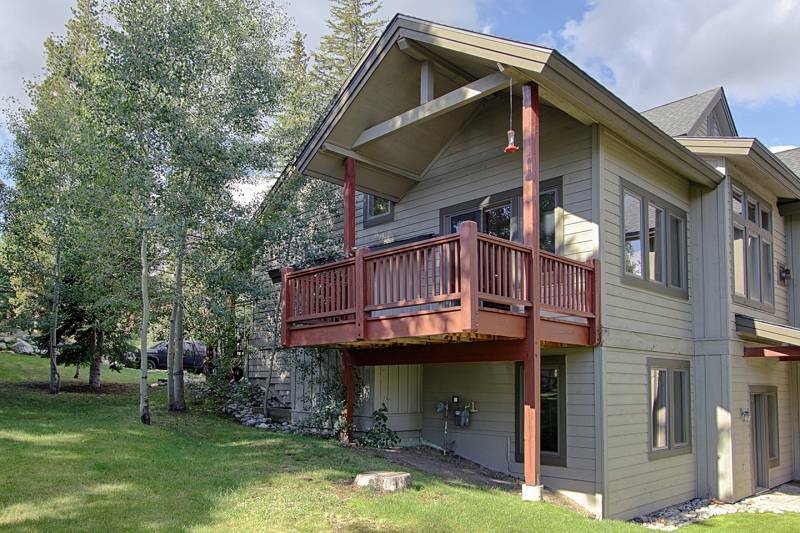 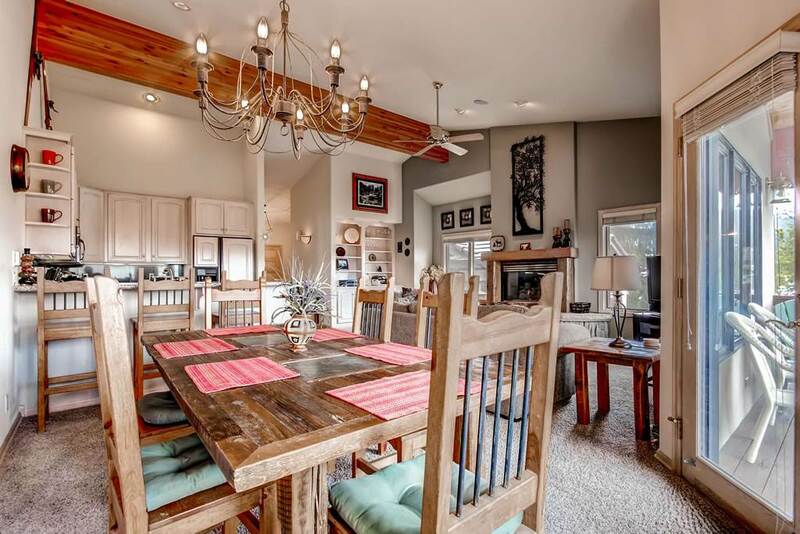 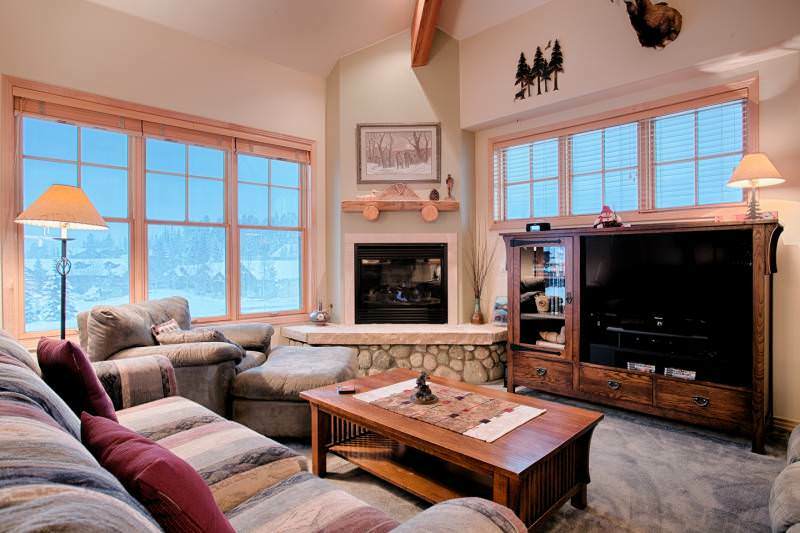 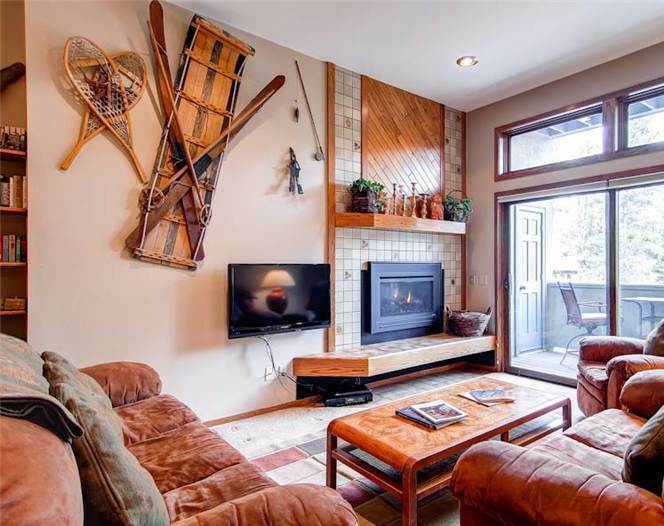 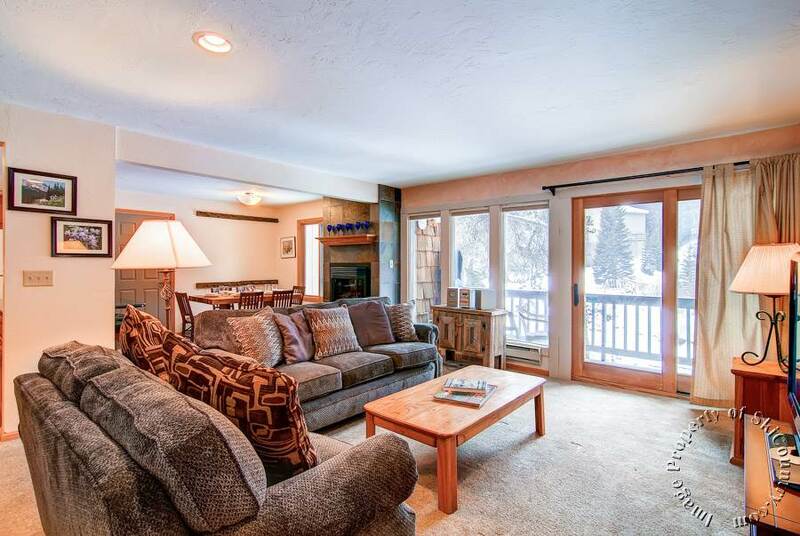 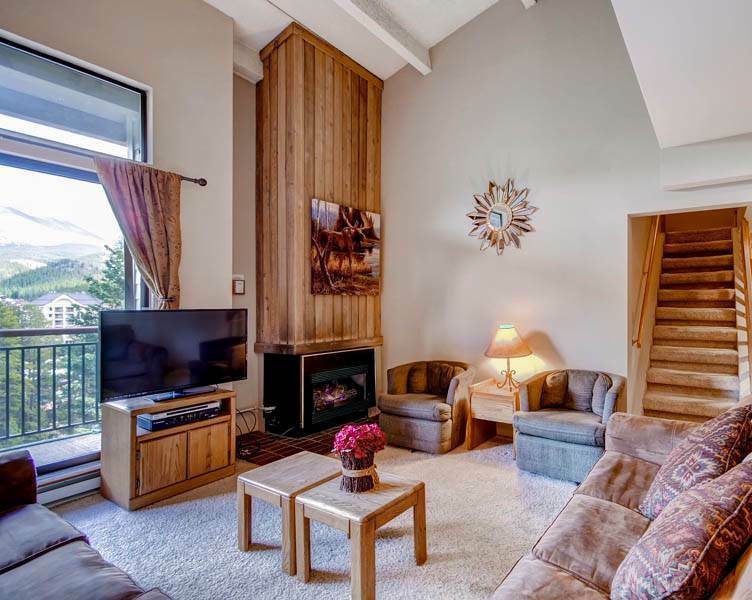 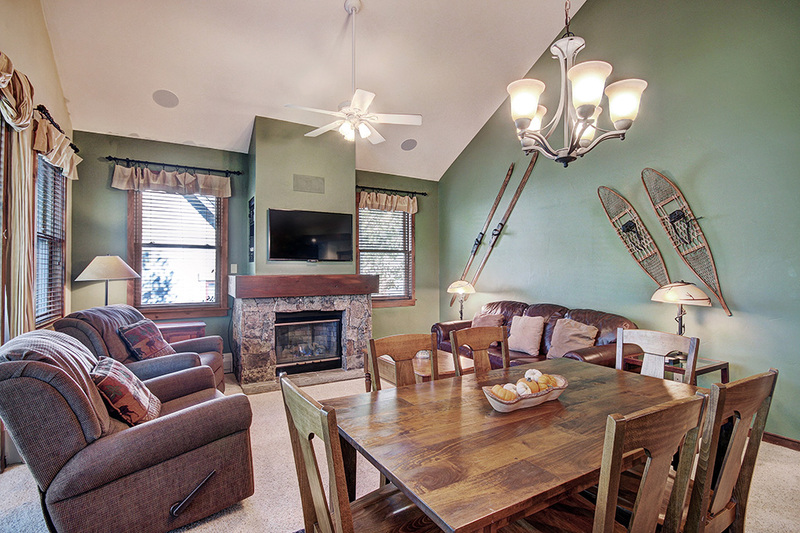 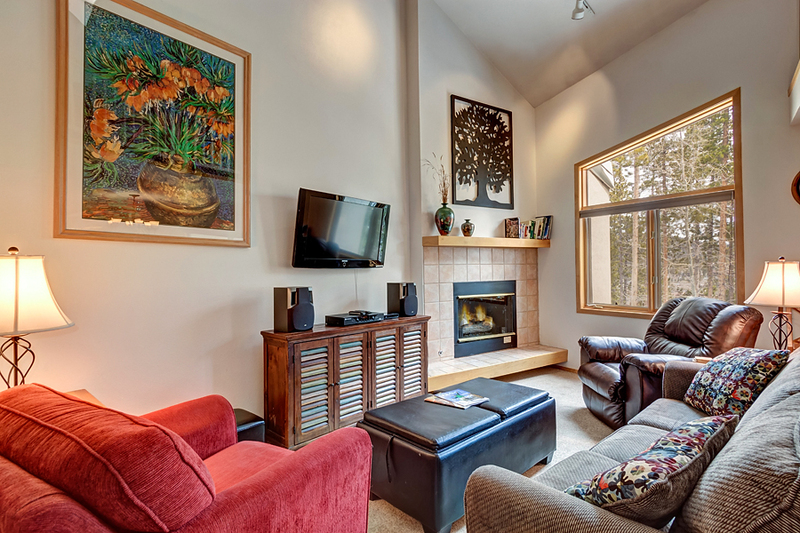 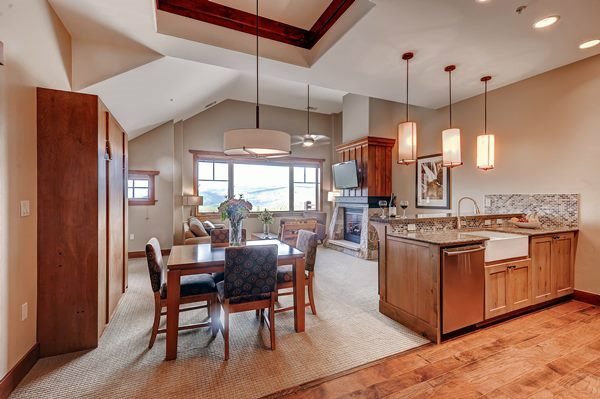 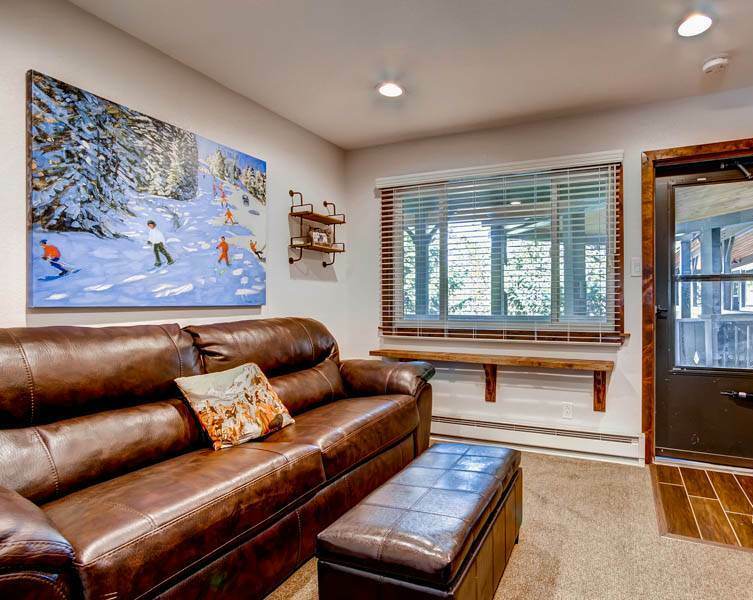 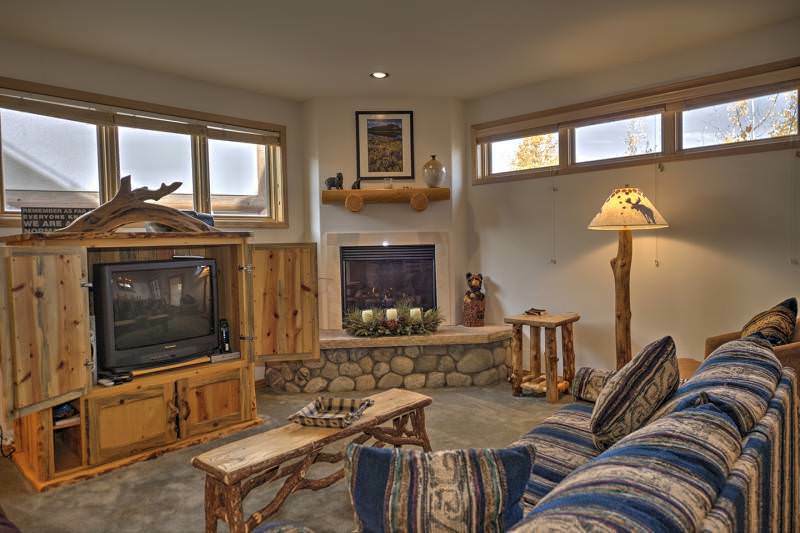 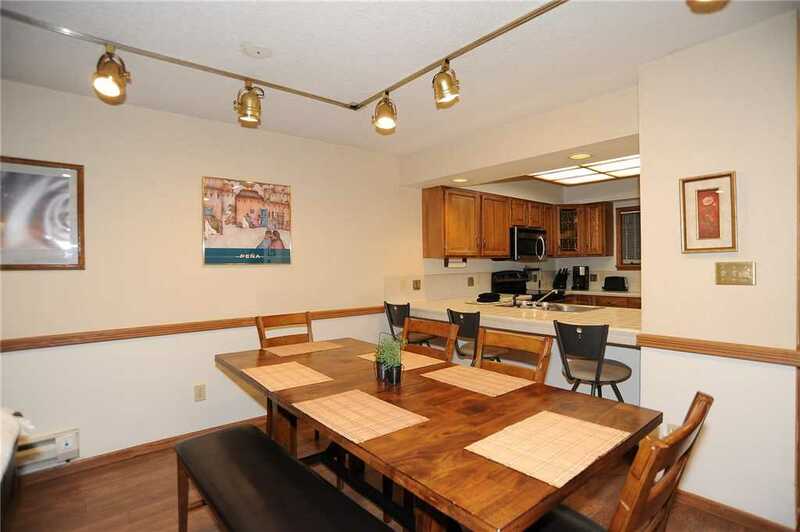 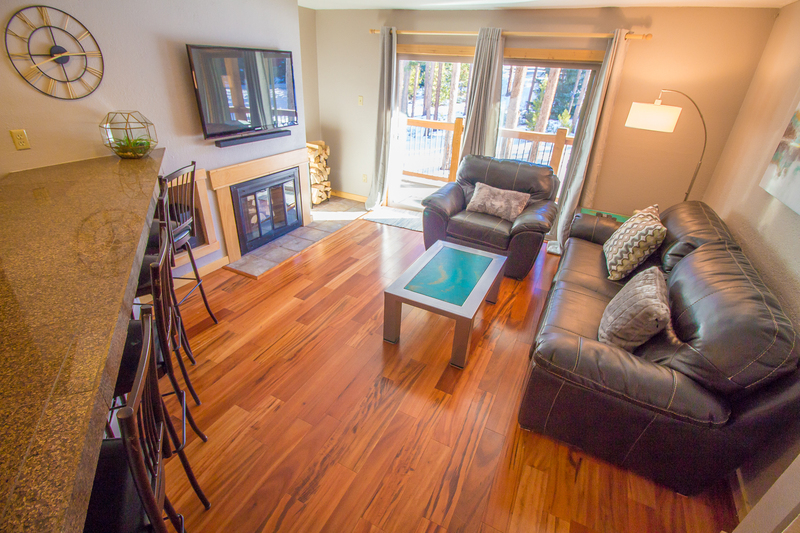 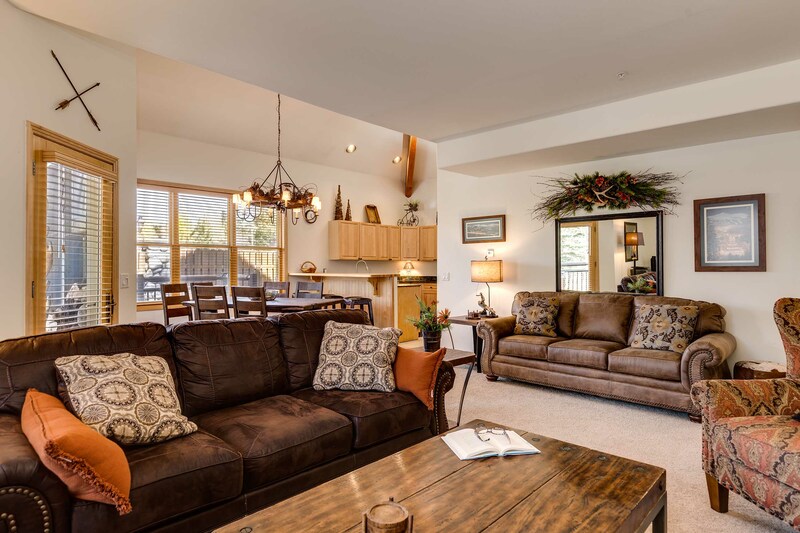 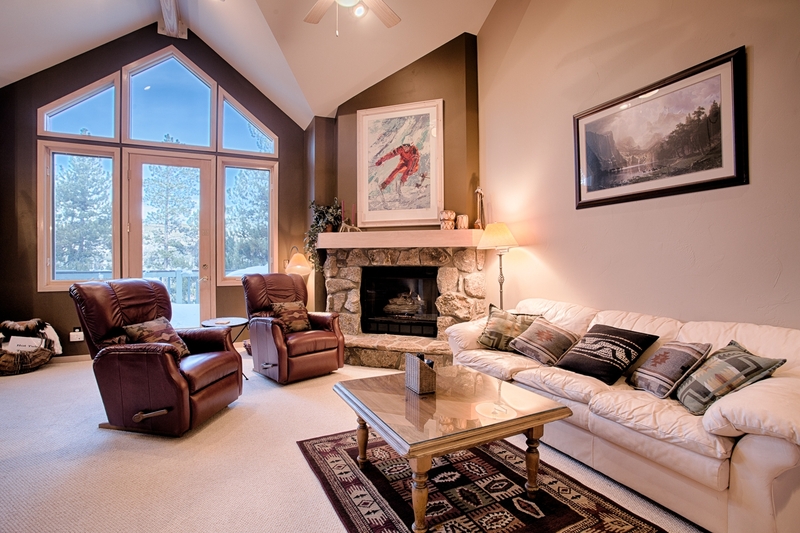 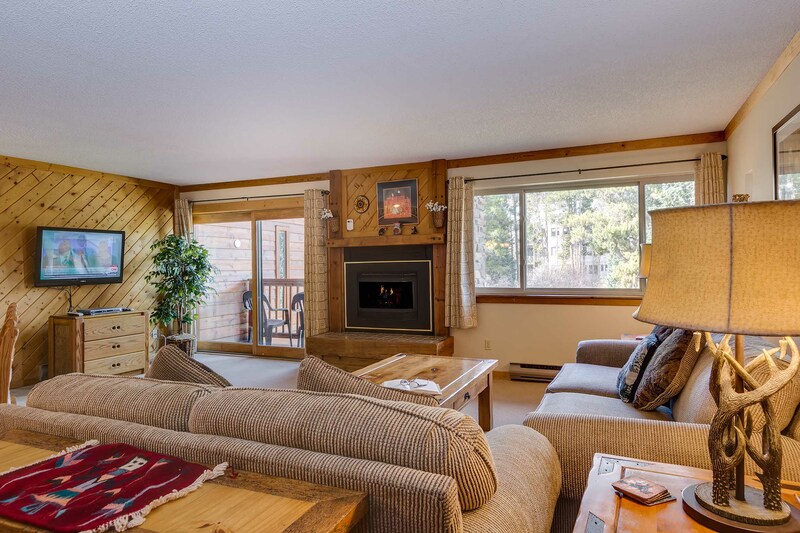 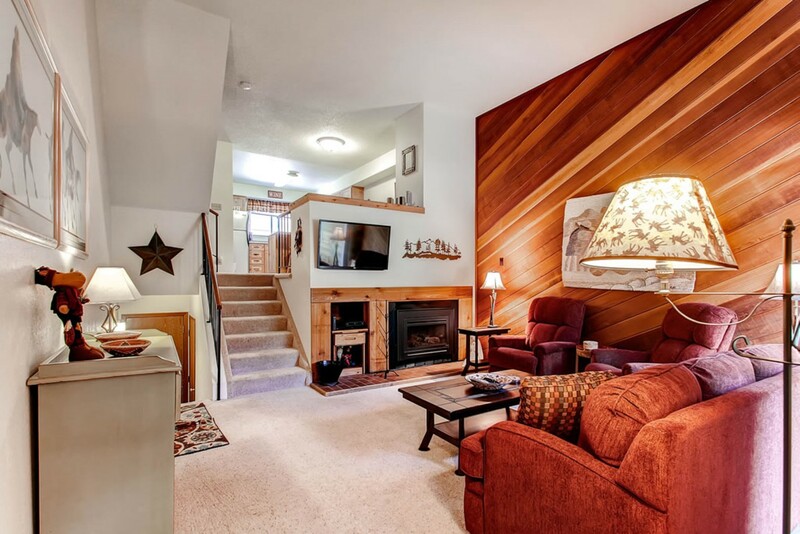 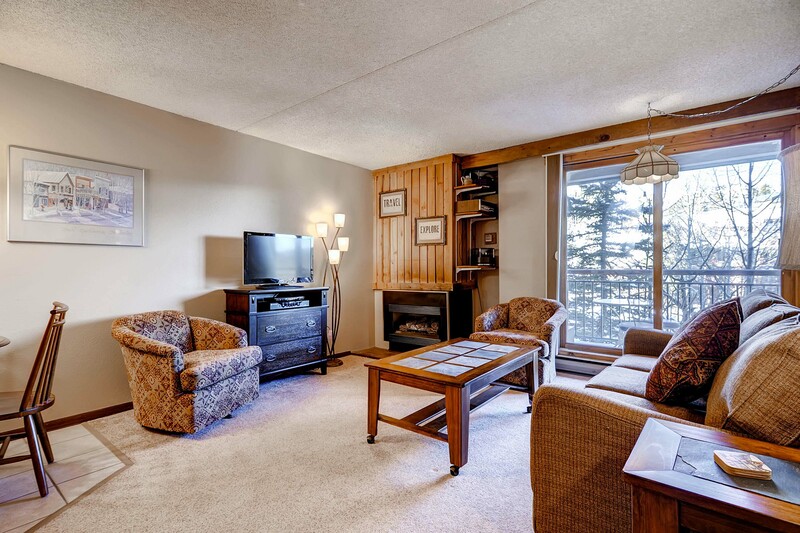 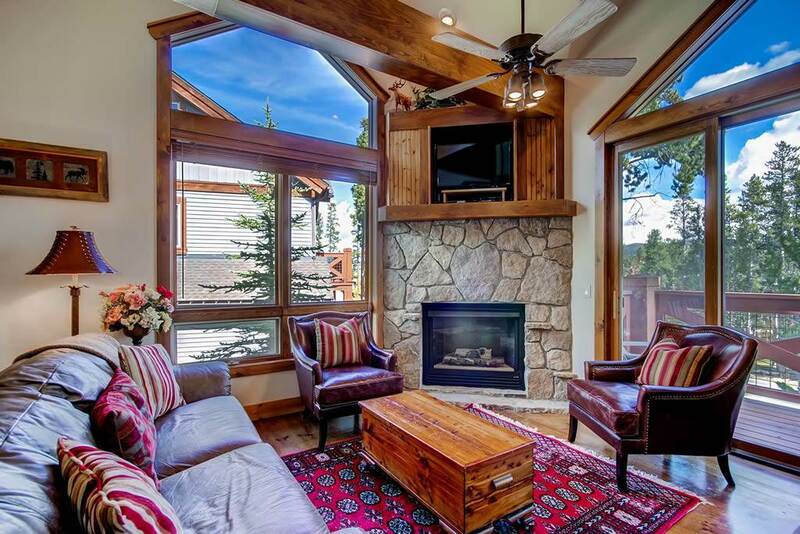 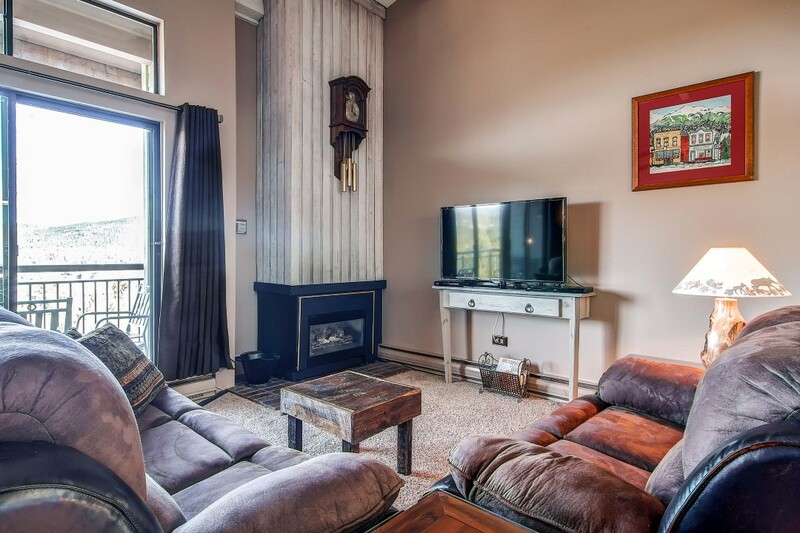 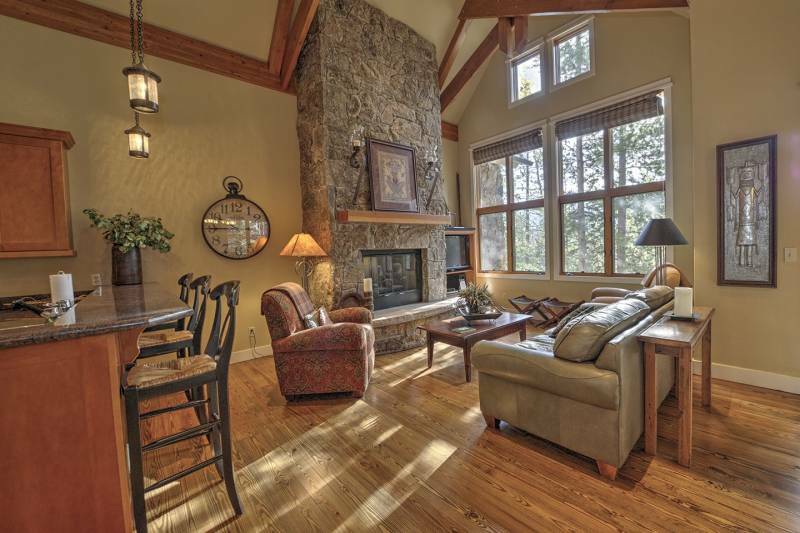 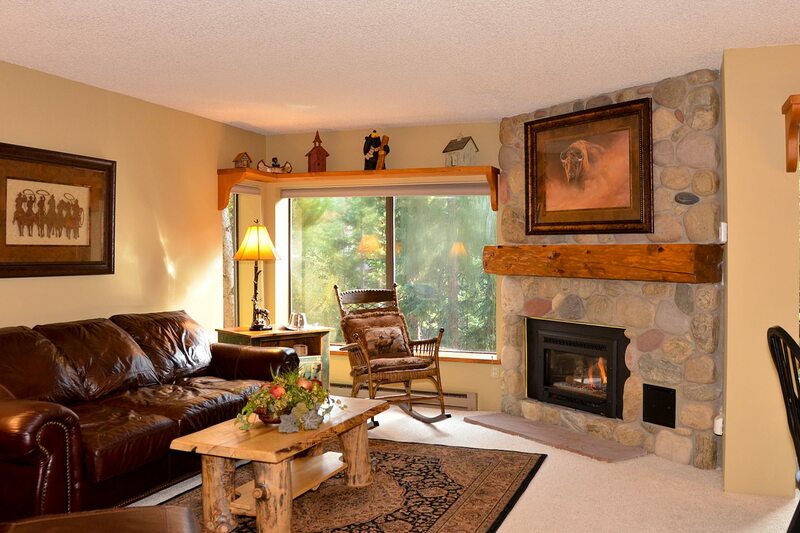 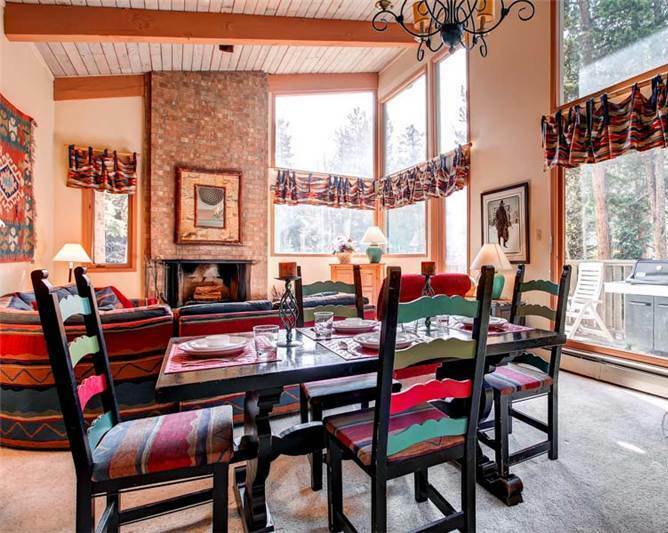 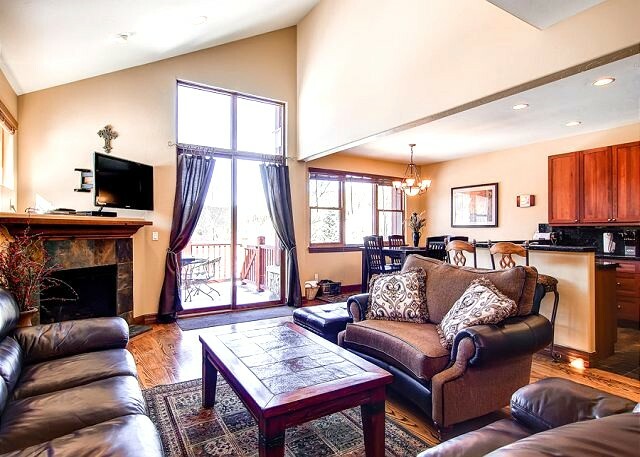 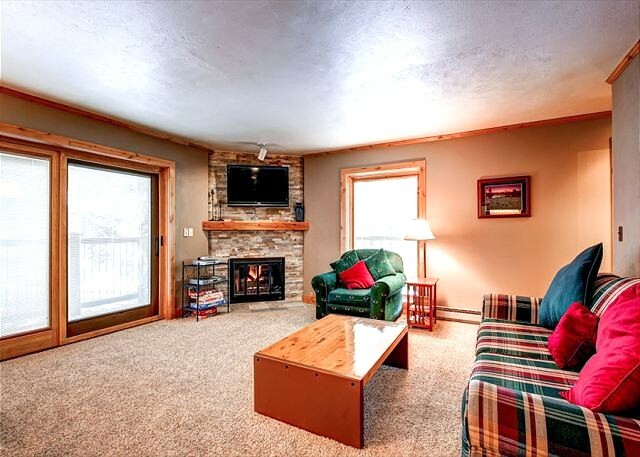 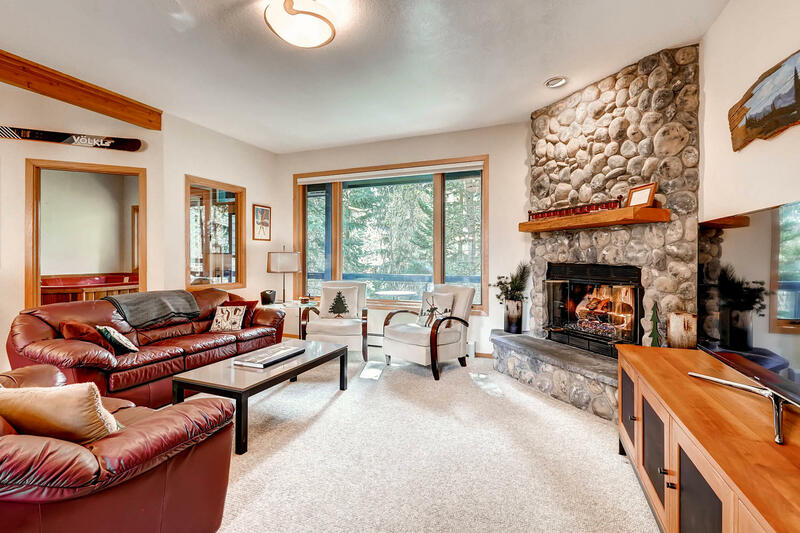 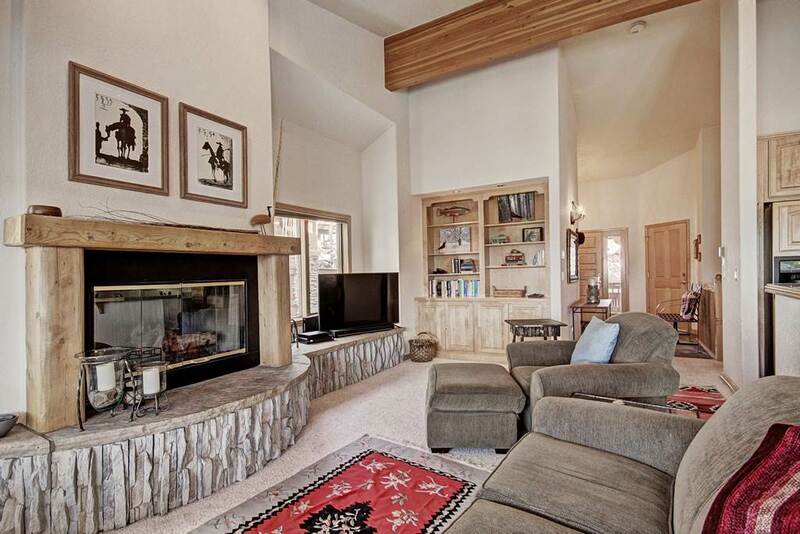 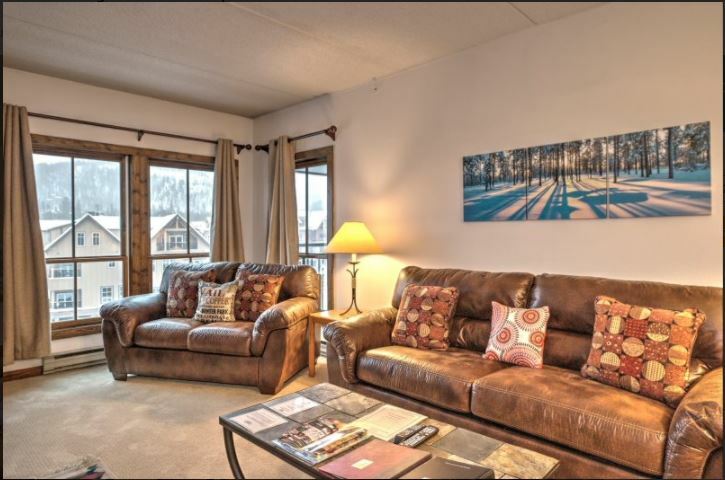 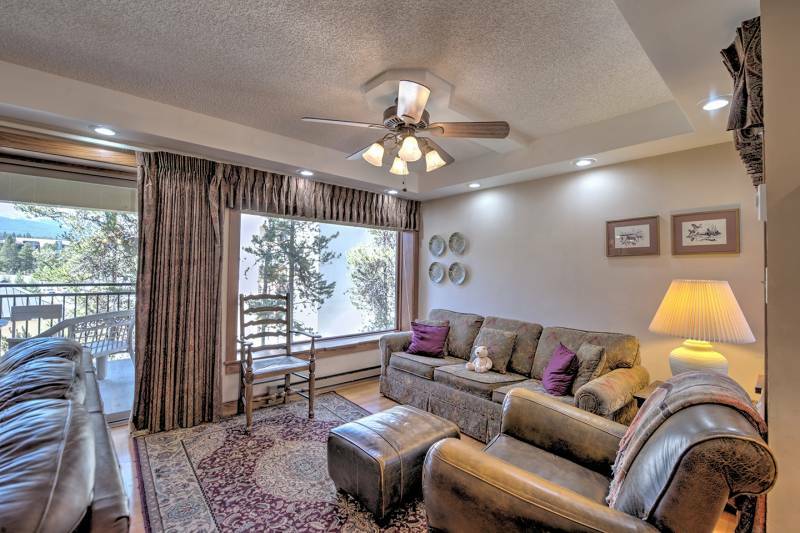 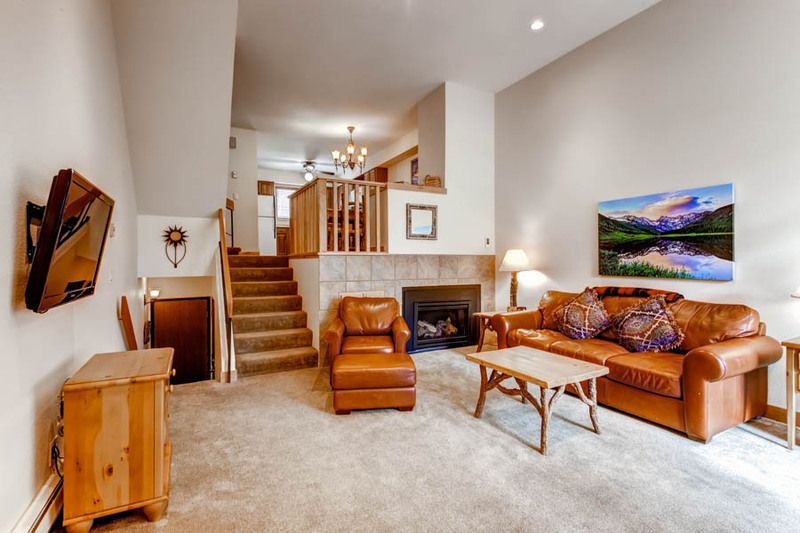 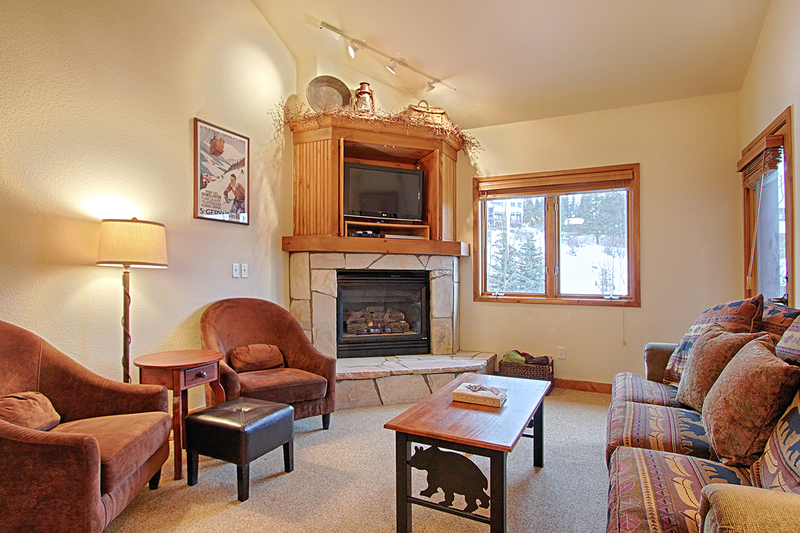 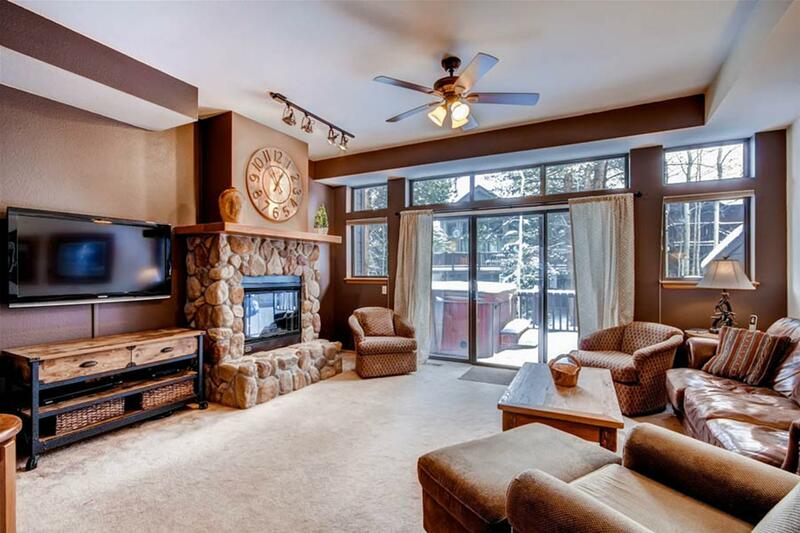 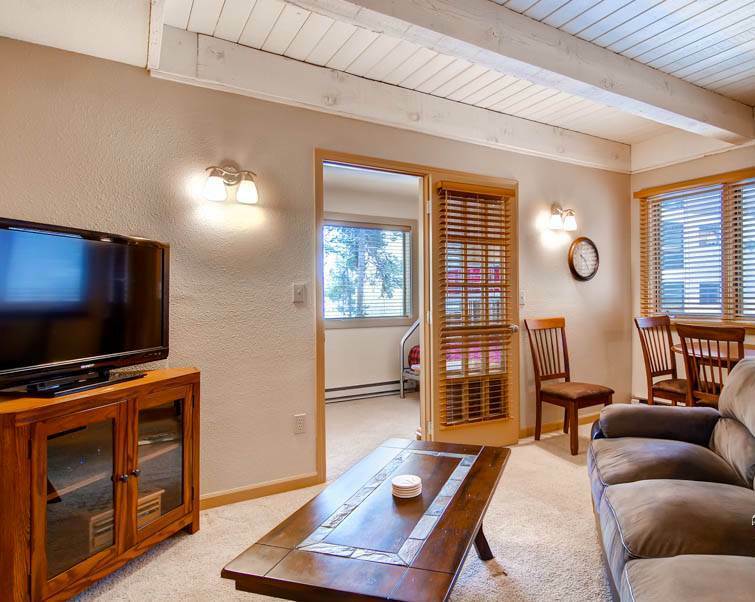 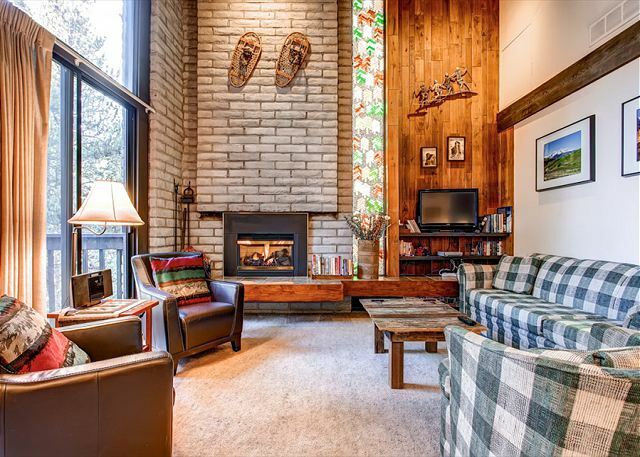 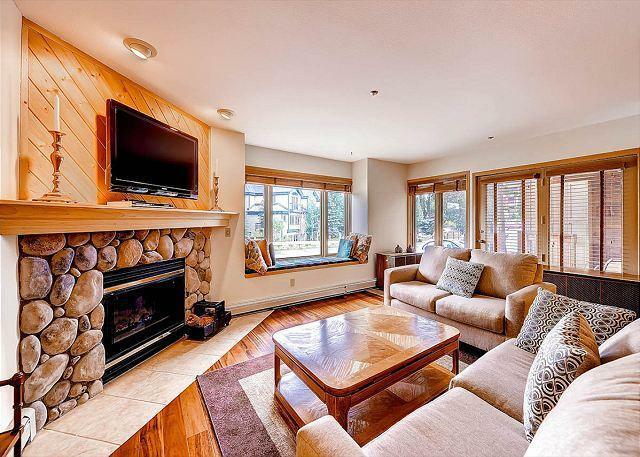 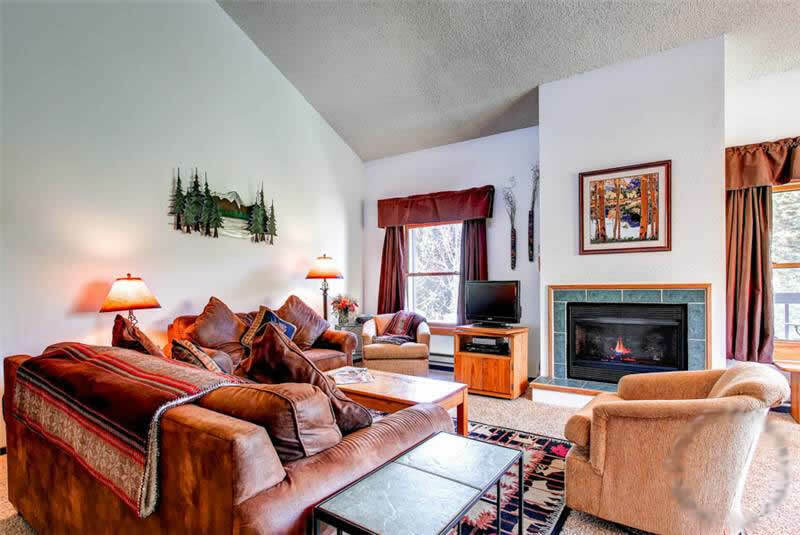 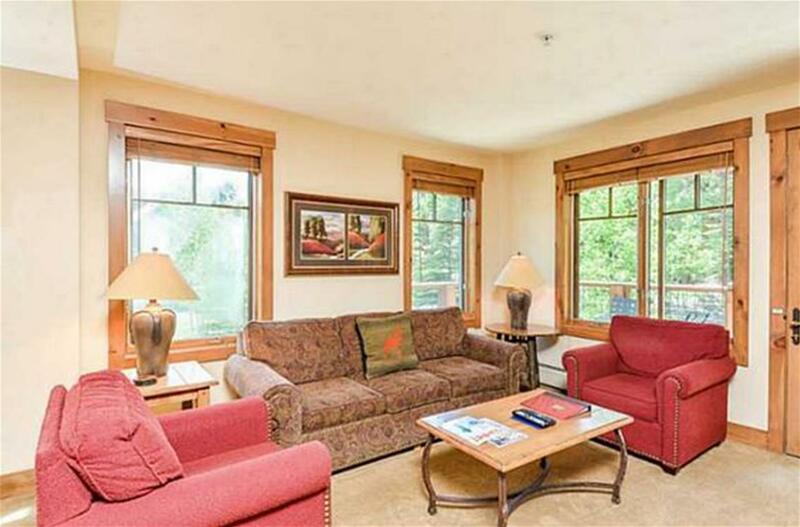 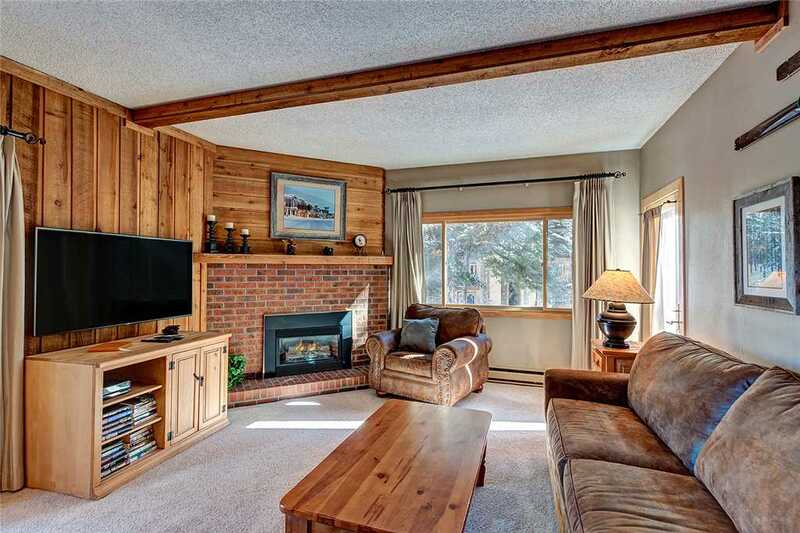 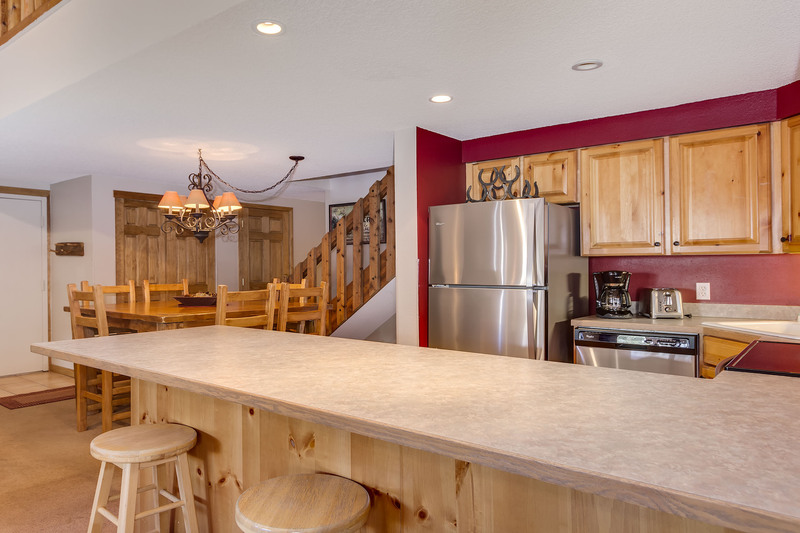 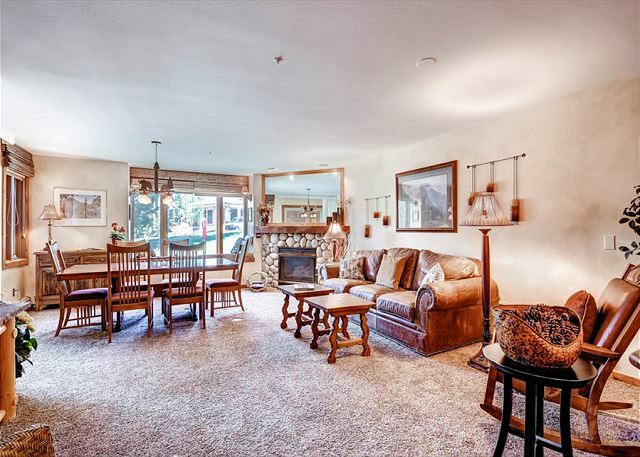 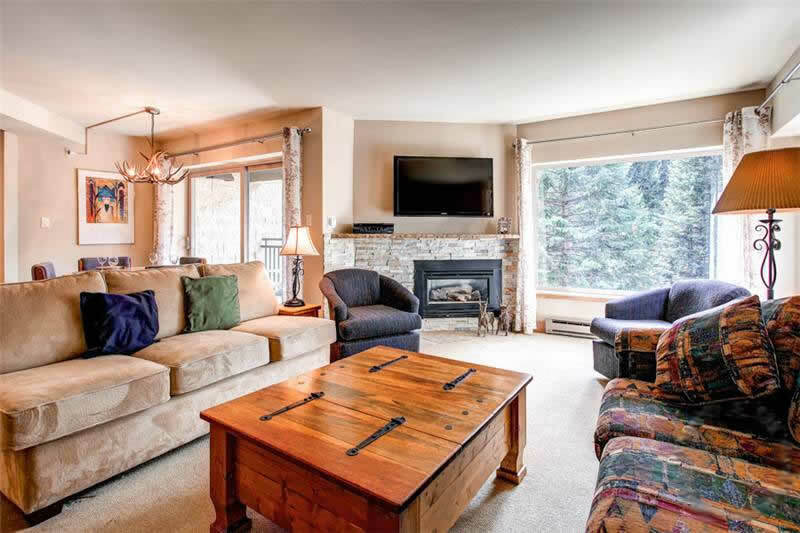 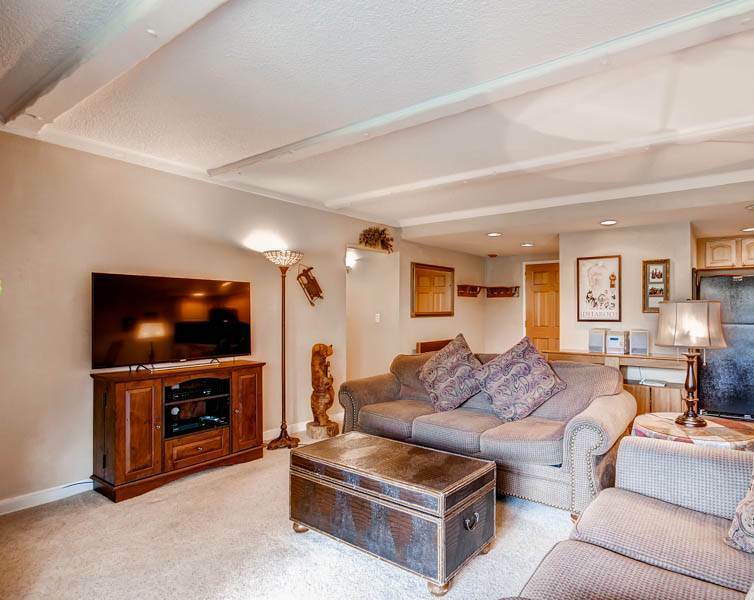 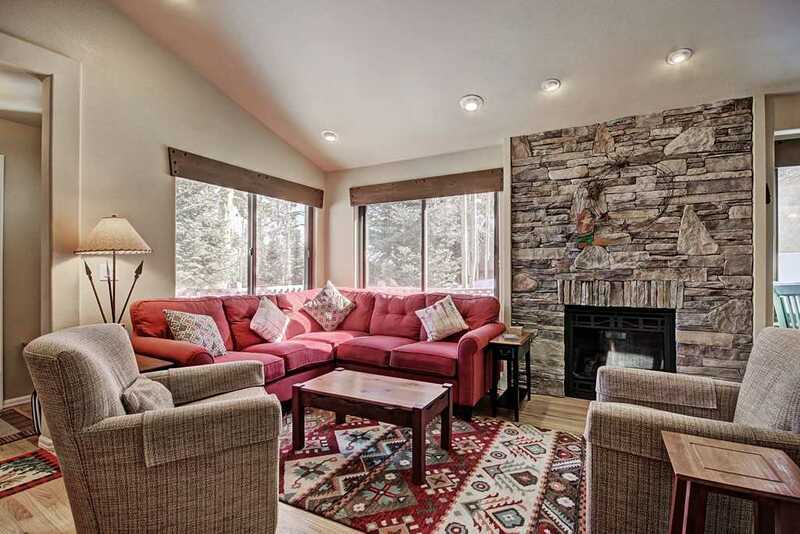 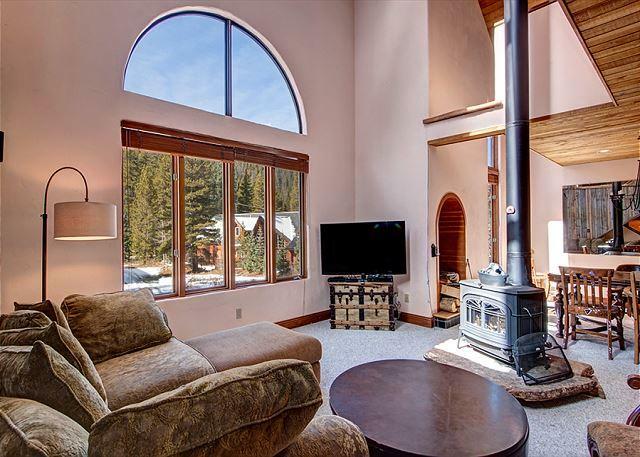 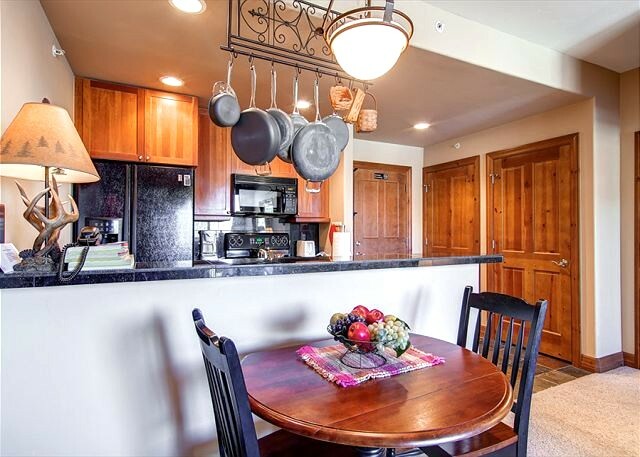 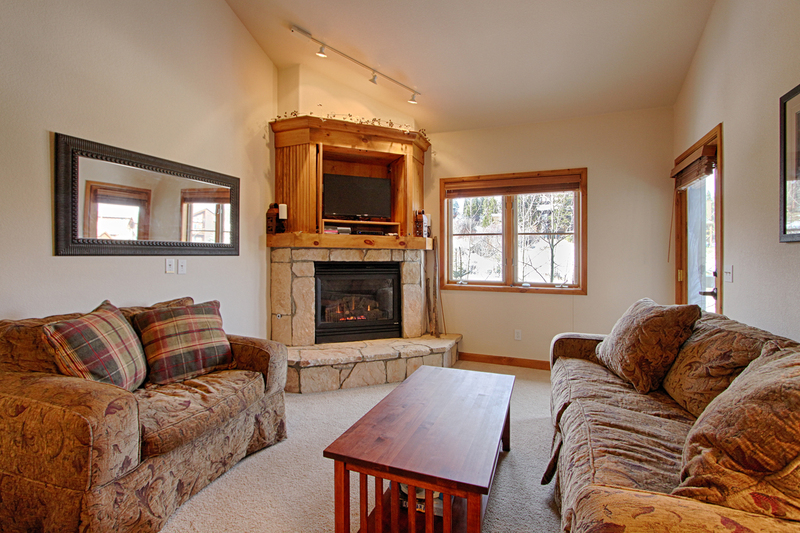 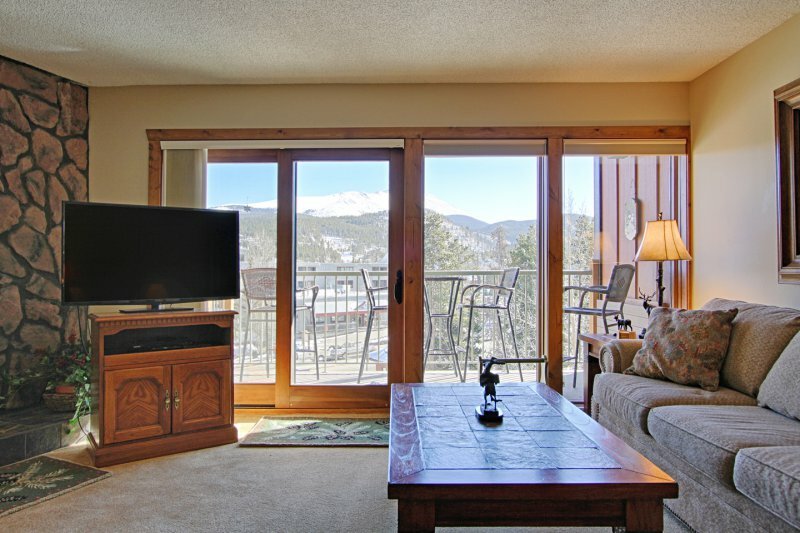 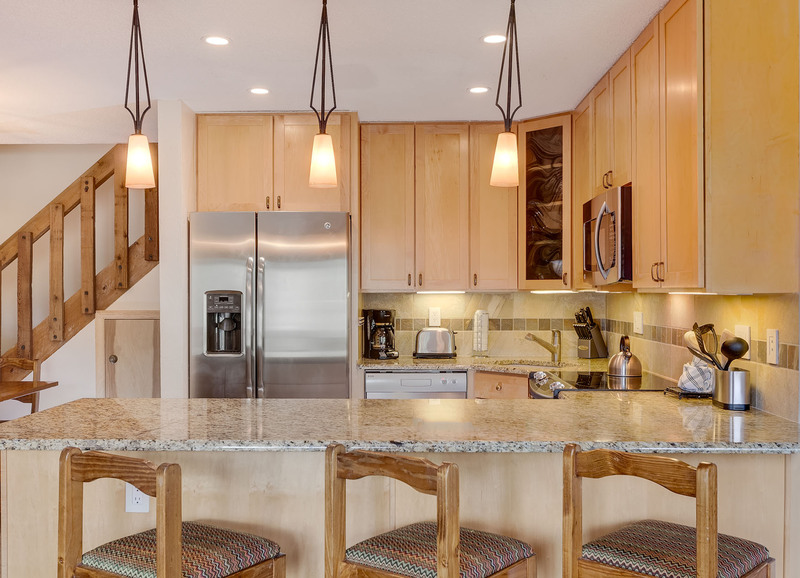 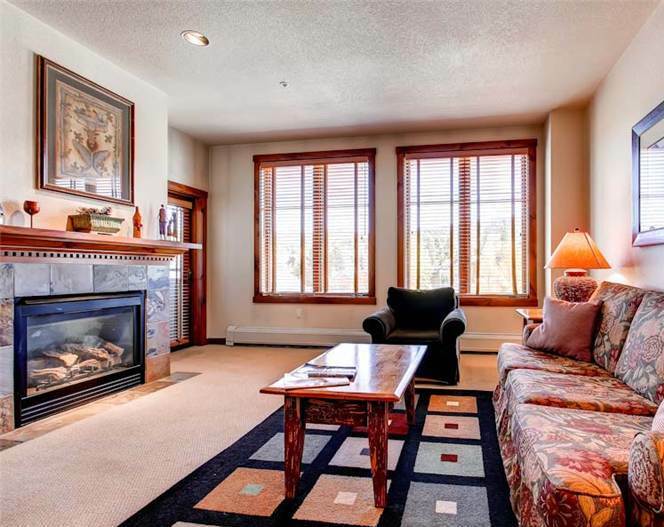 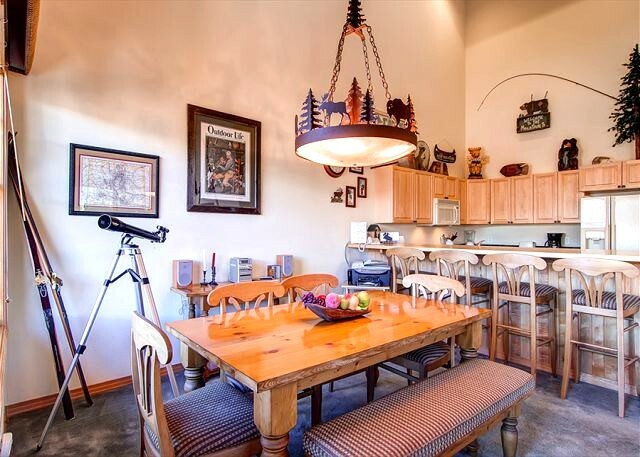 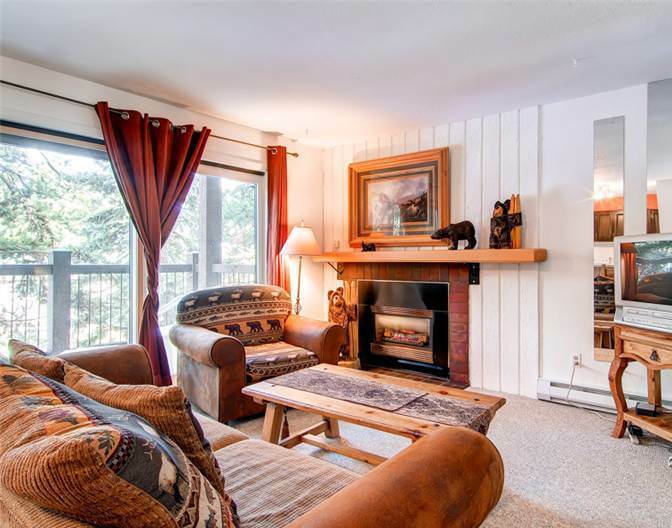 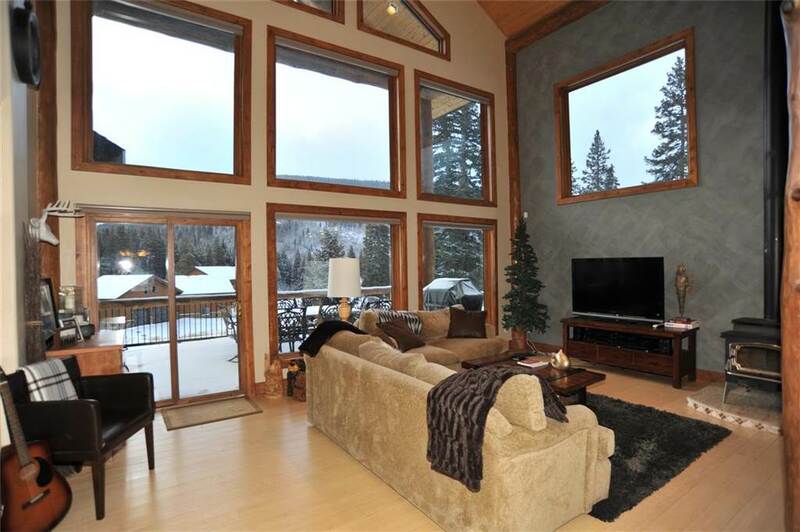 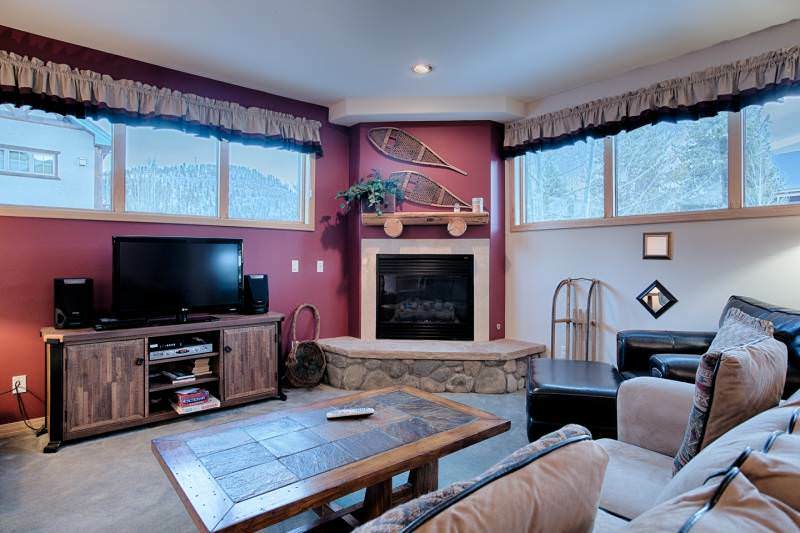 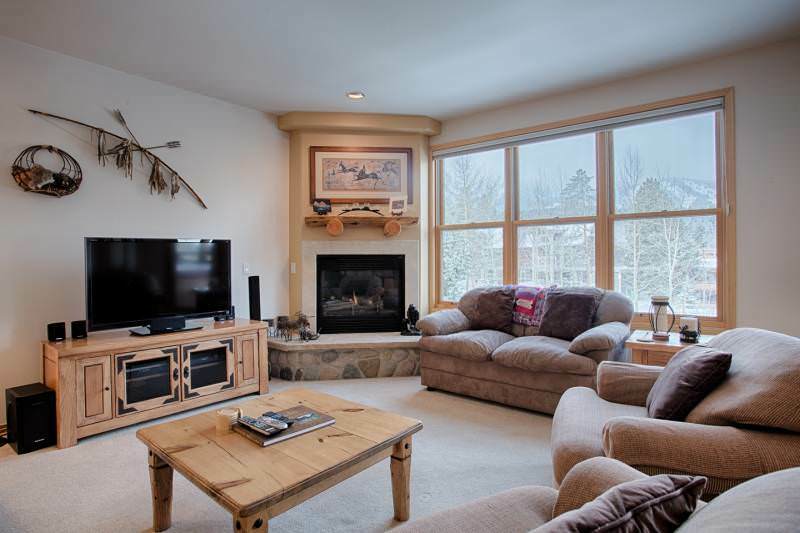 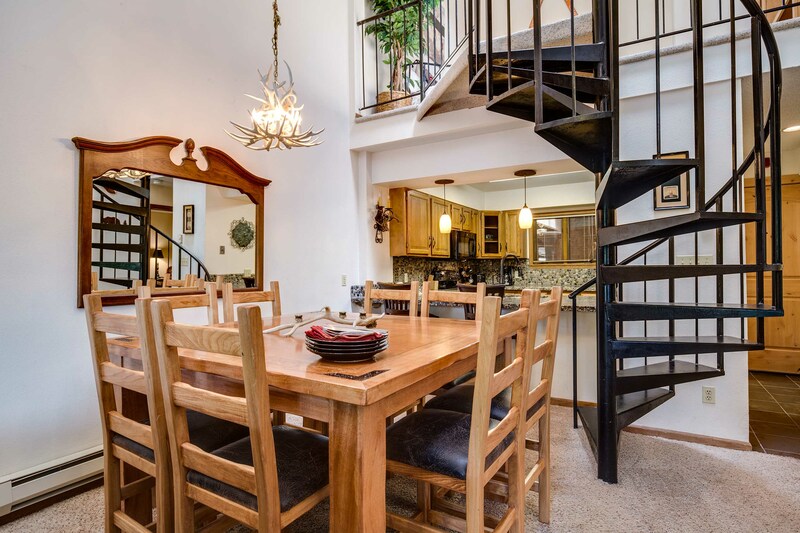 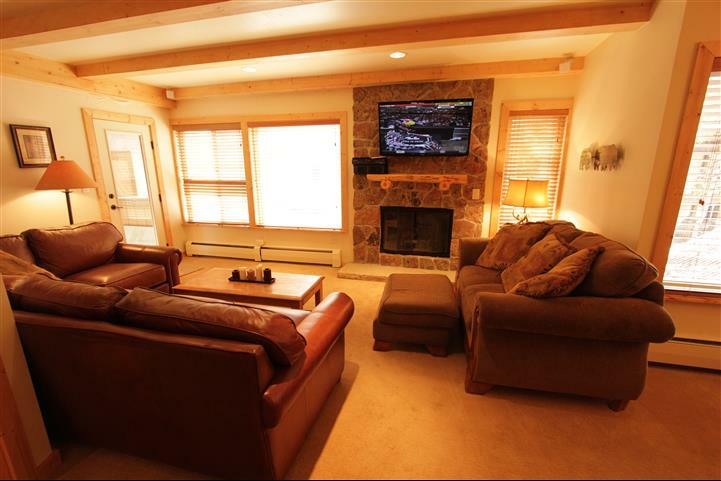 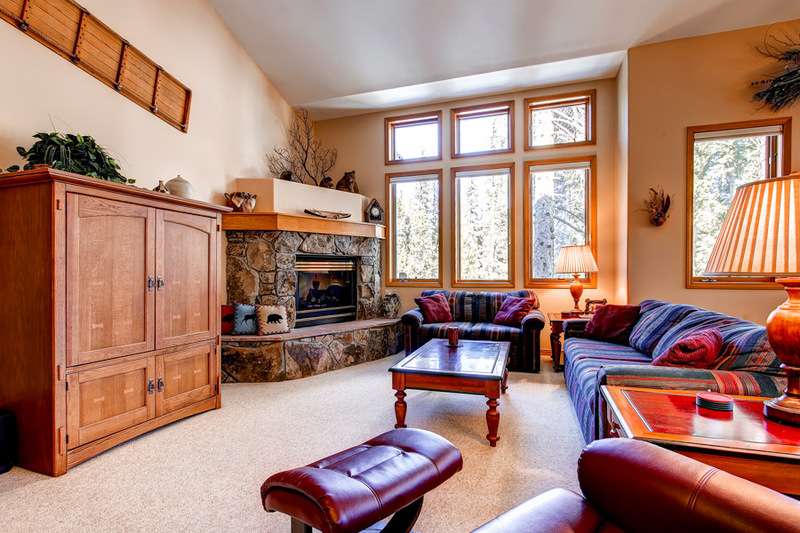 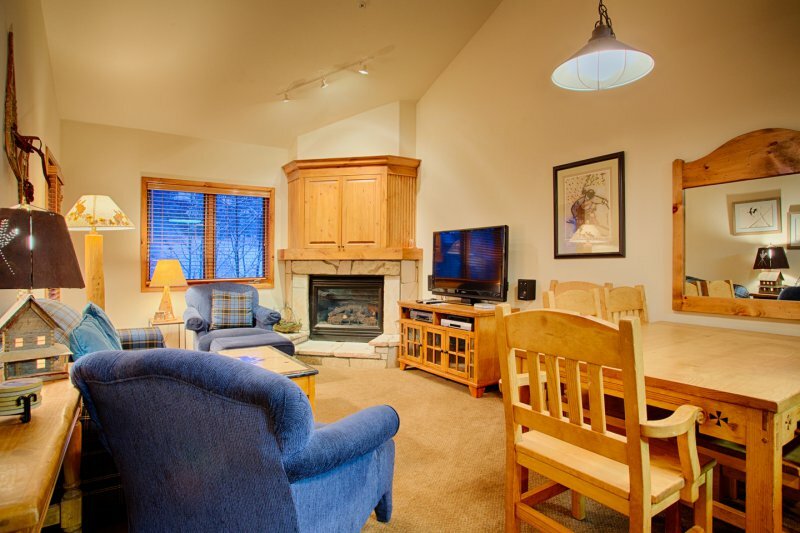 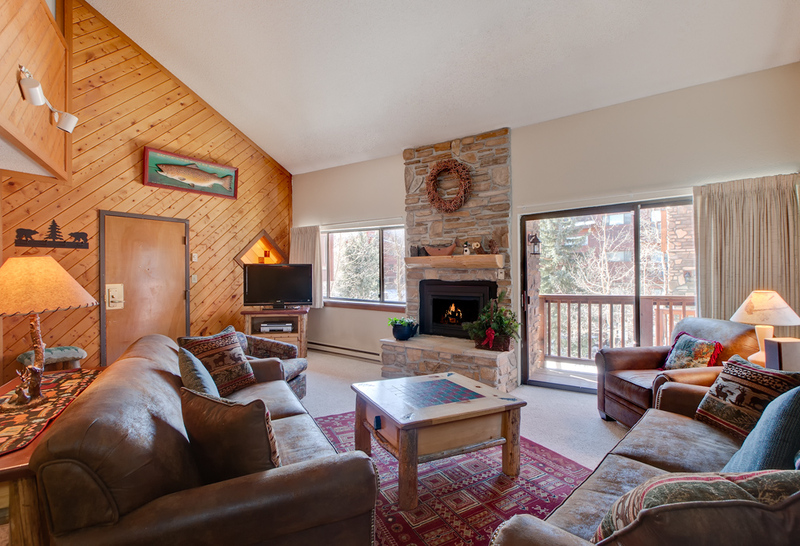 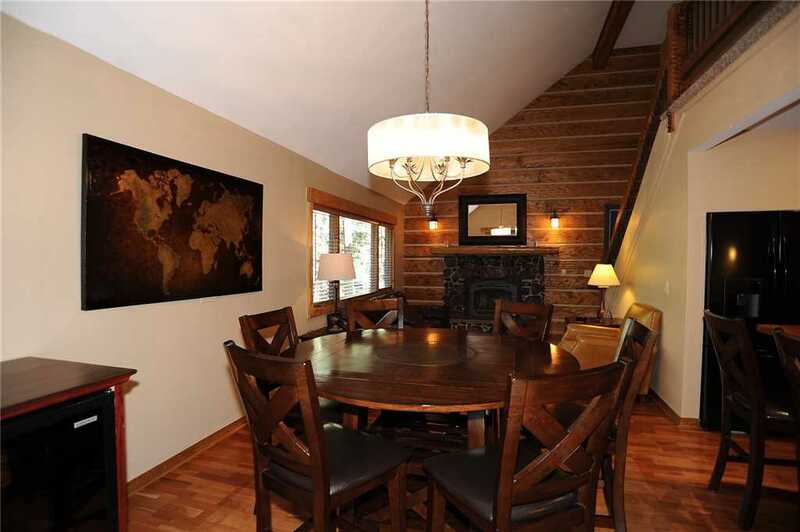 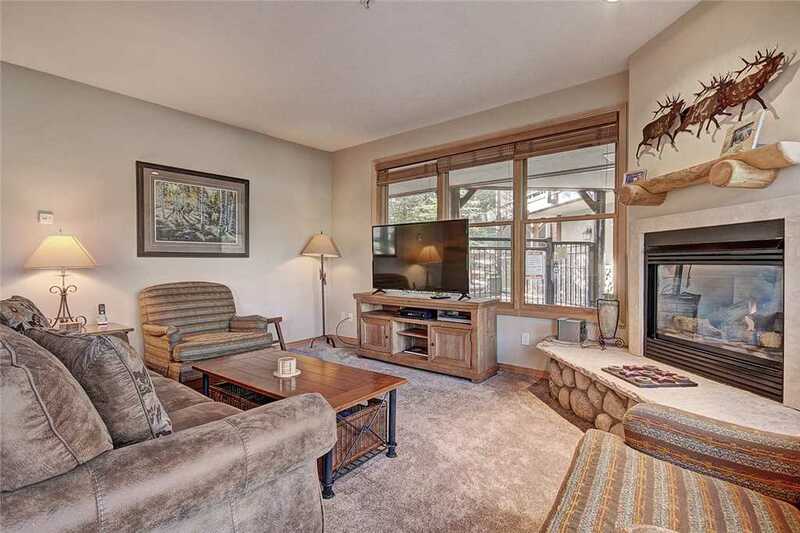 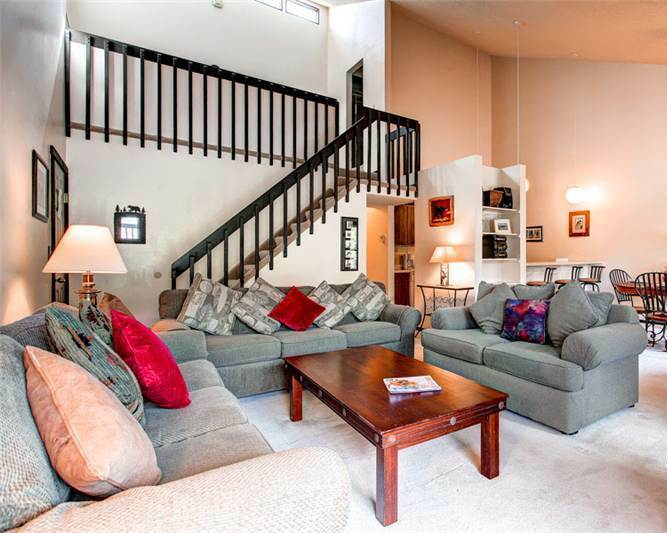 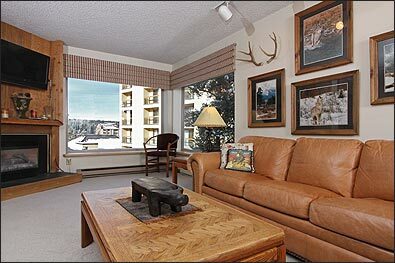 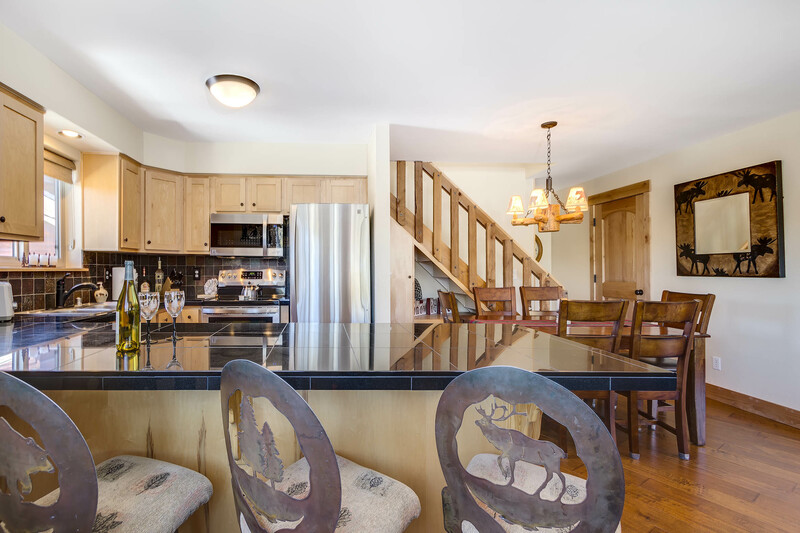 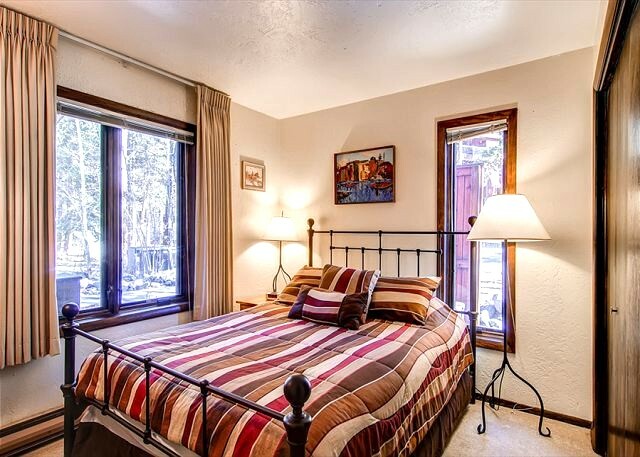 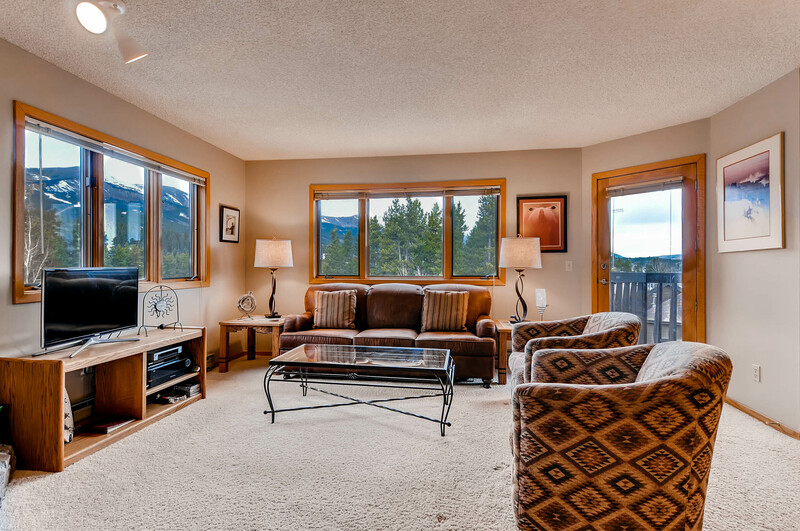 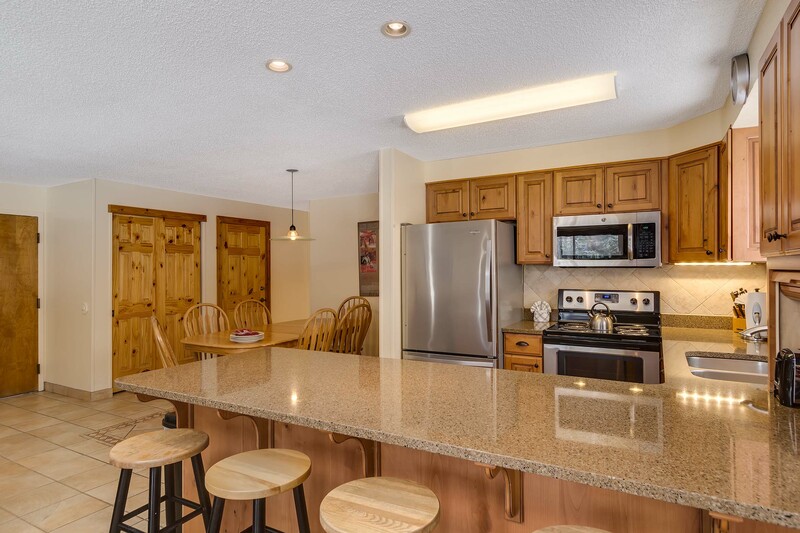 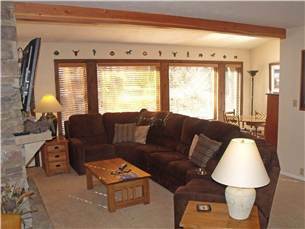 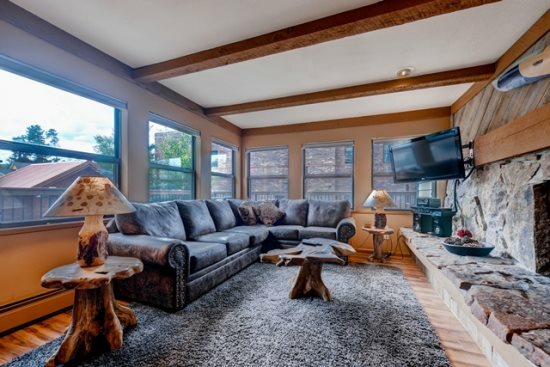 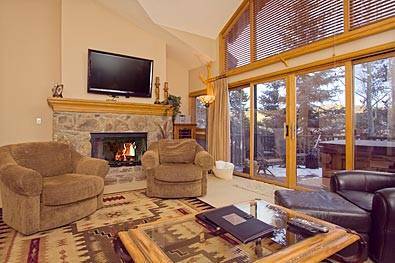 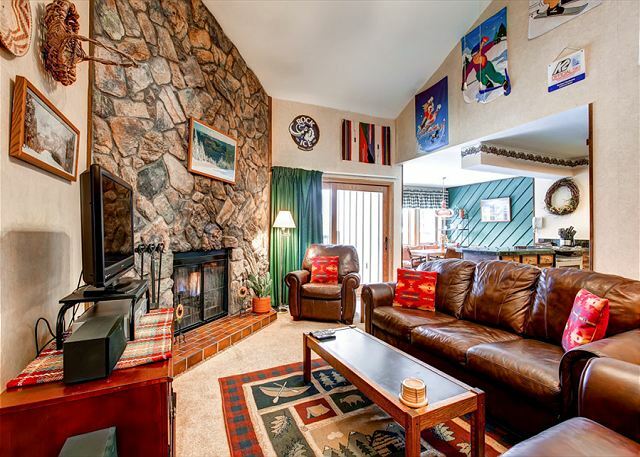 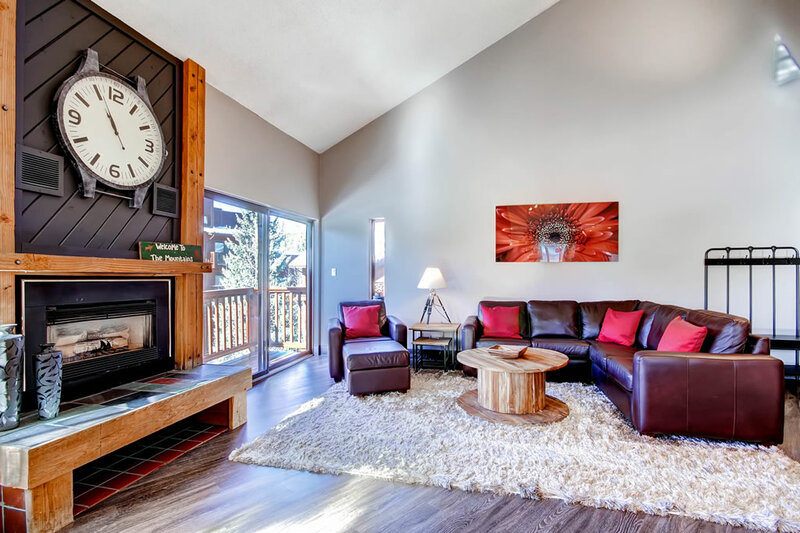 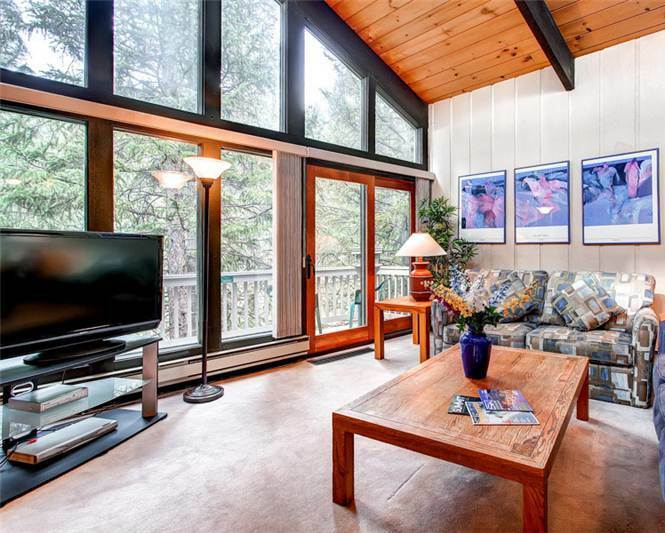 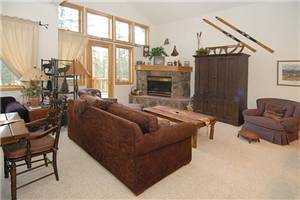 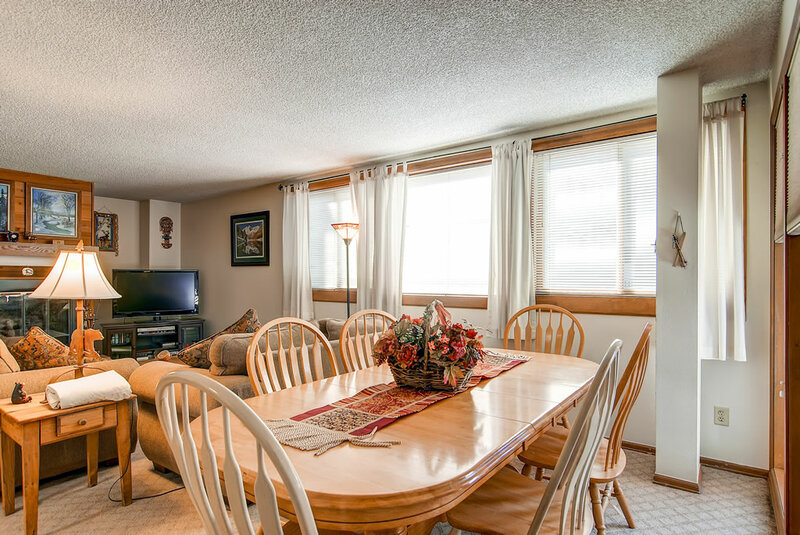 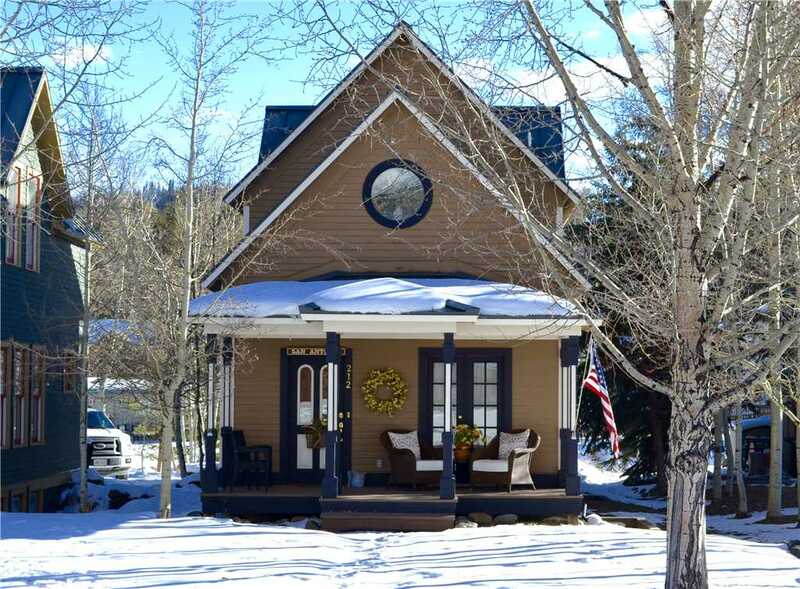 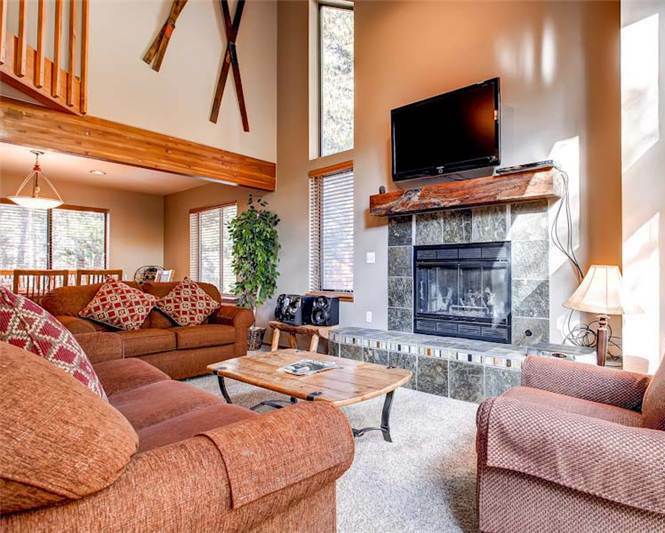 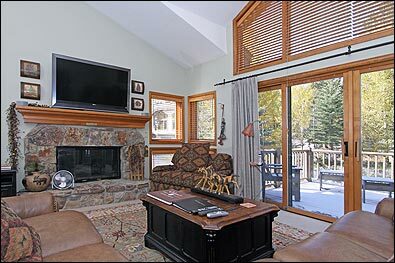 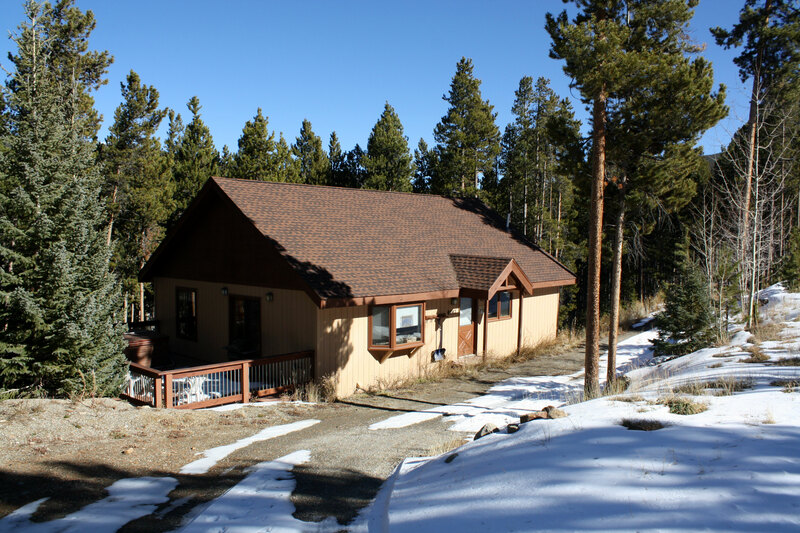 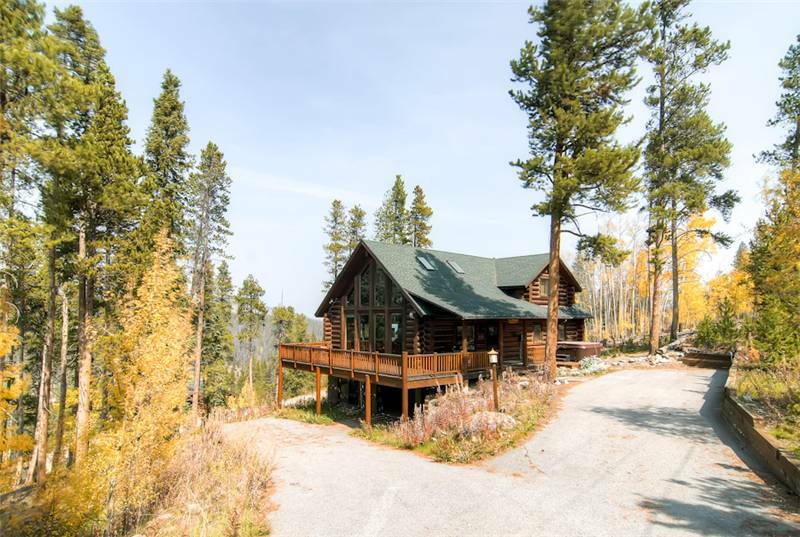 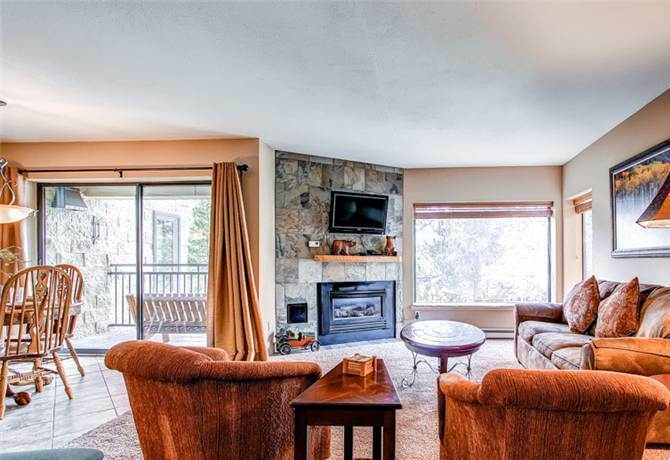 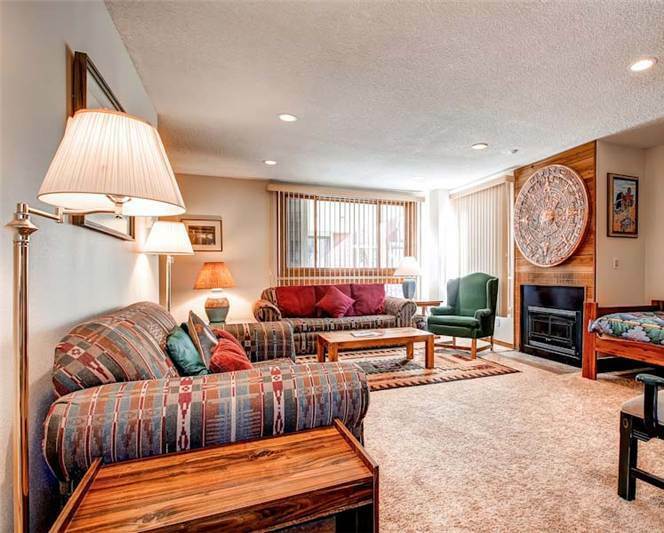 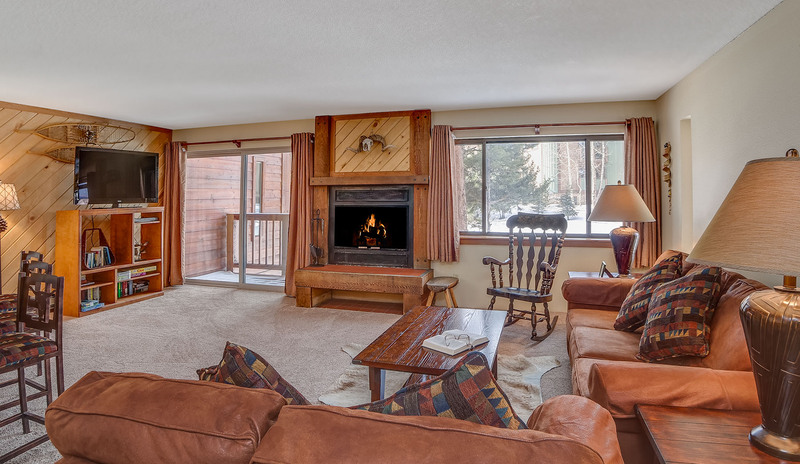 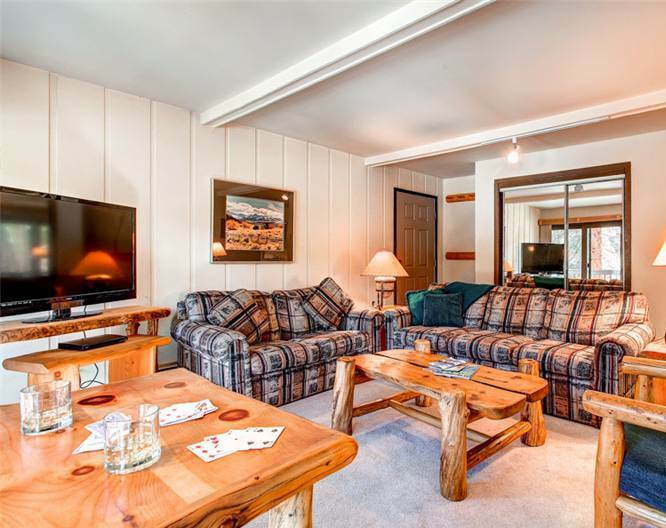 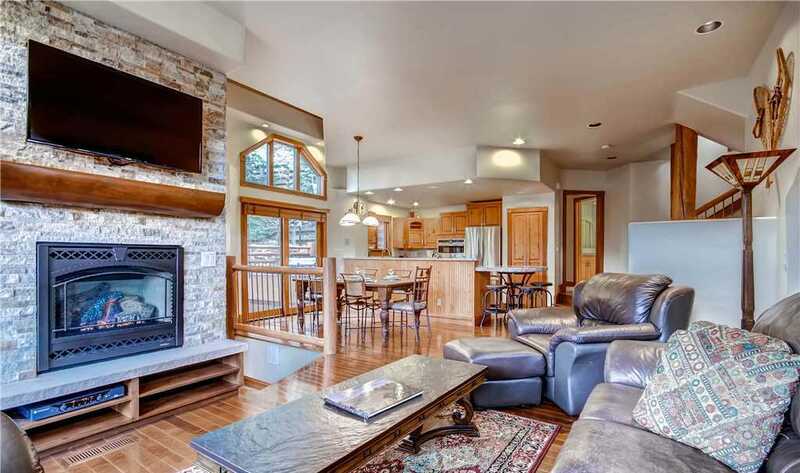 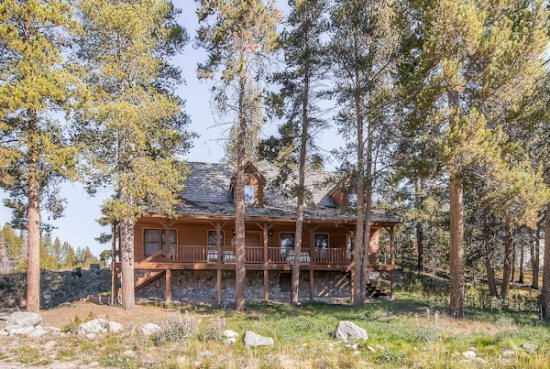 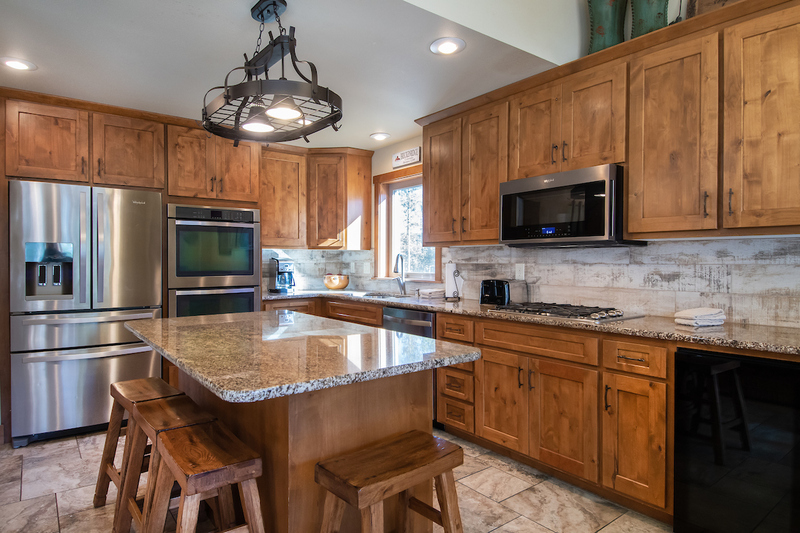 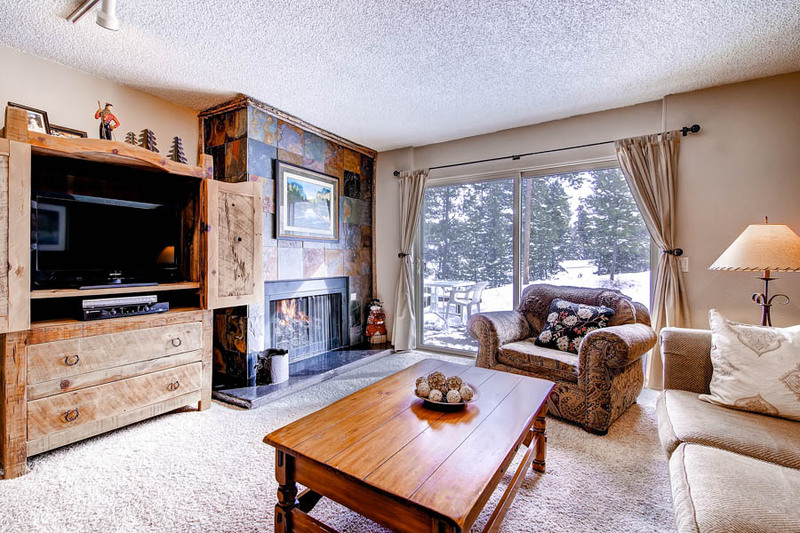 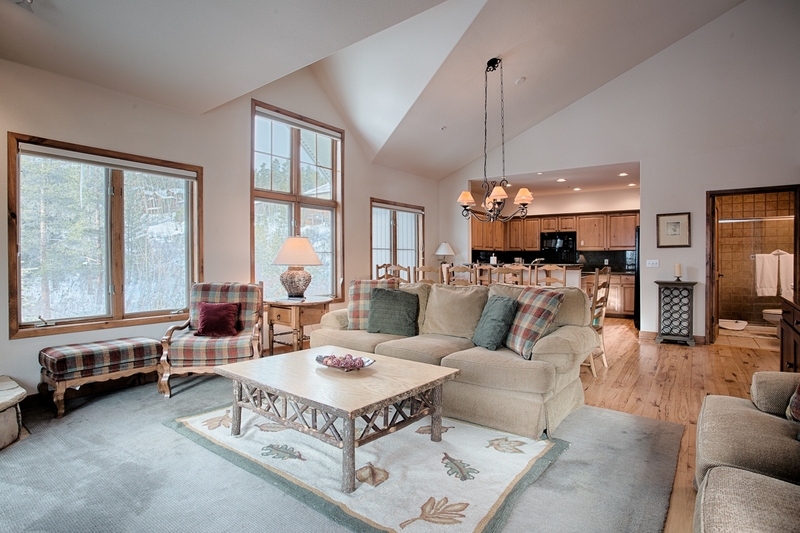 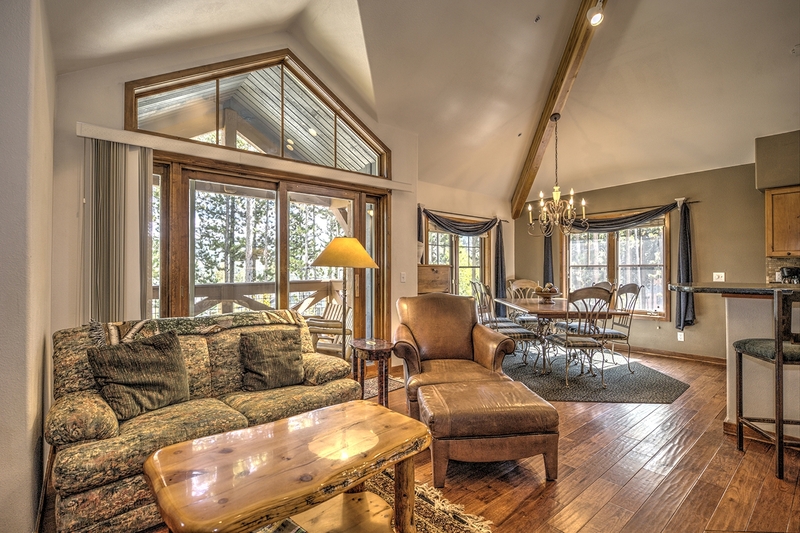 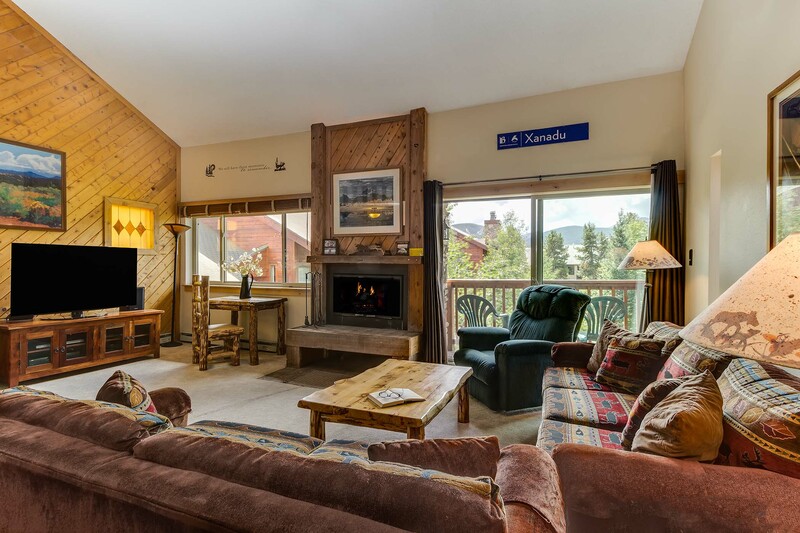 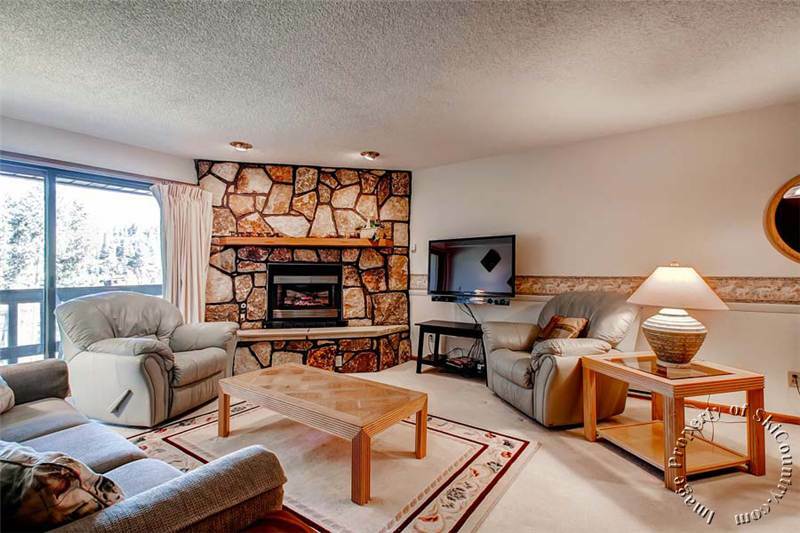 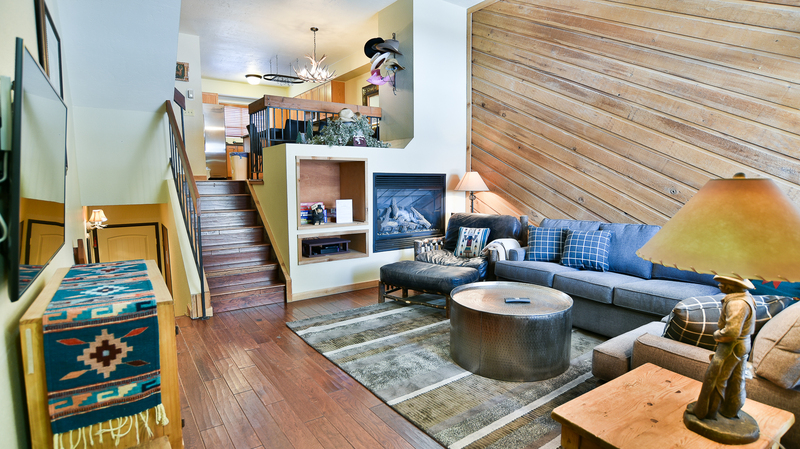 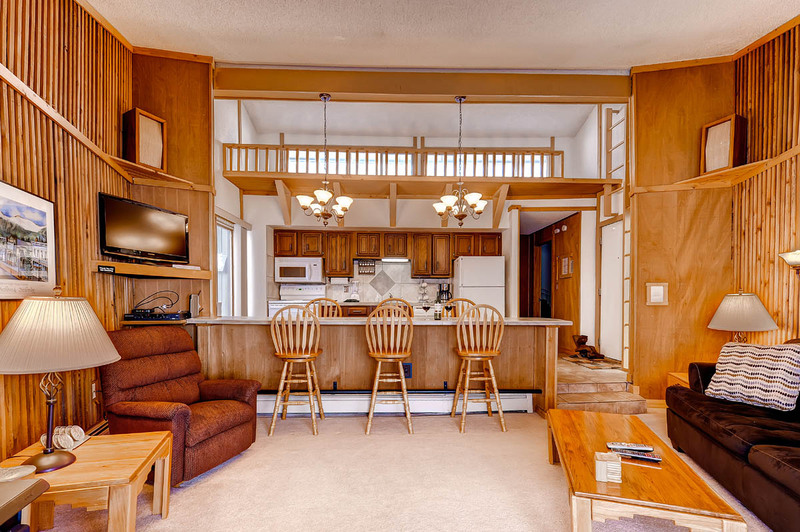 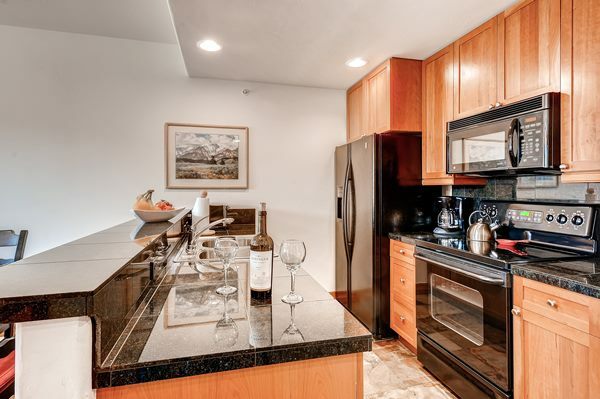 This north-facing, corner condo has stunning views of Breckenridge ski resort, cozy mountain decor, vaulted ceilings, a grill on the deck, and a private 1-car garage. 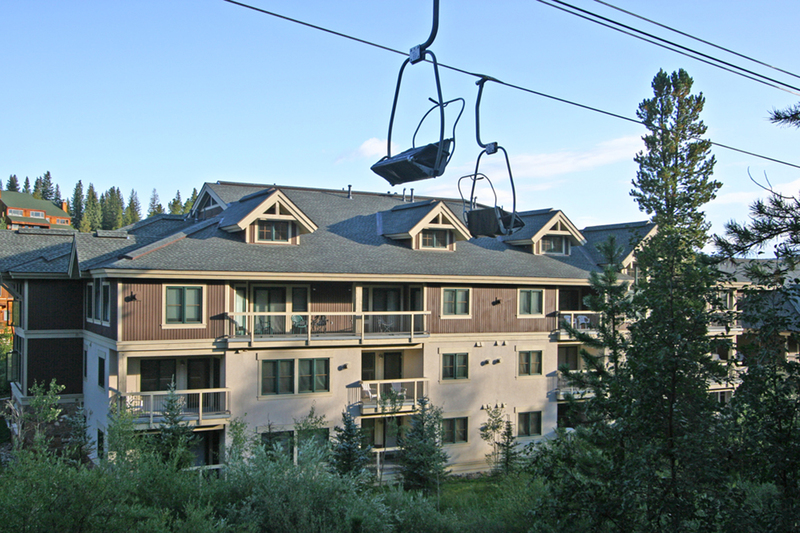 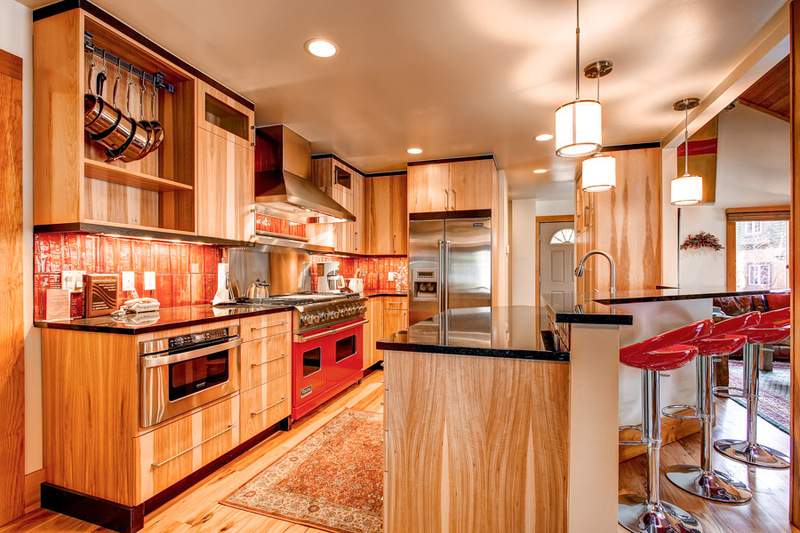 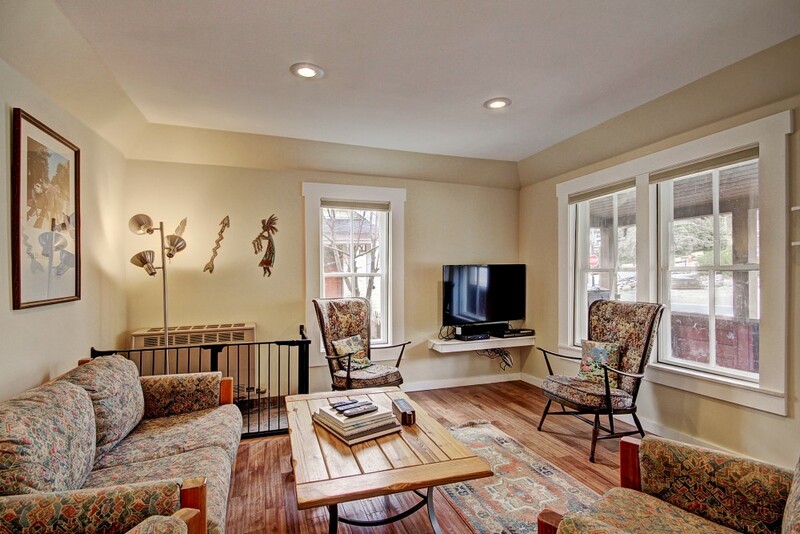 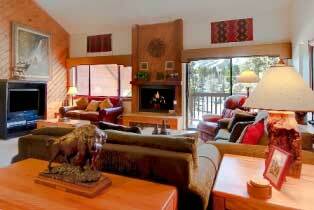 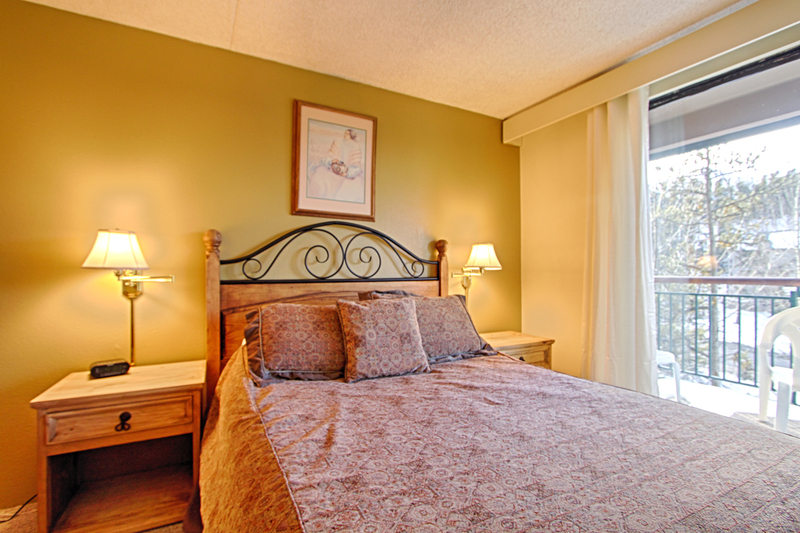 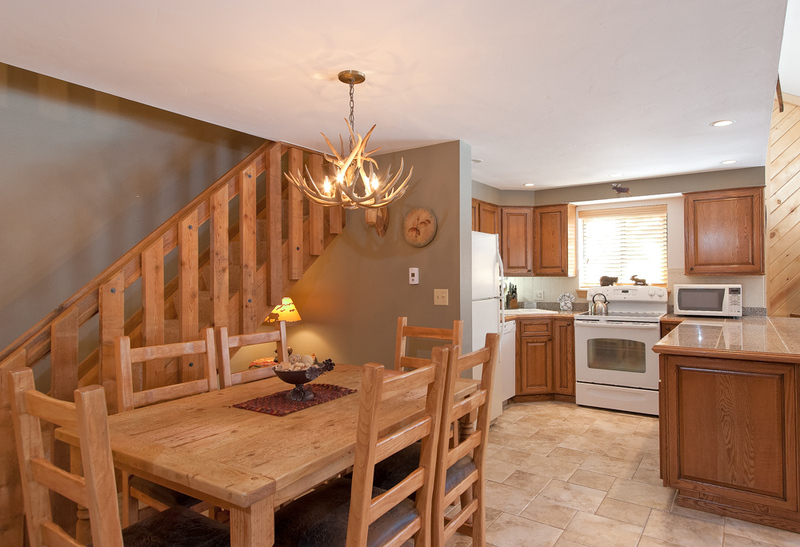 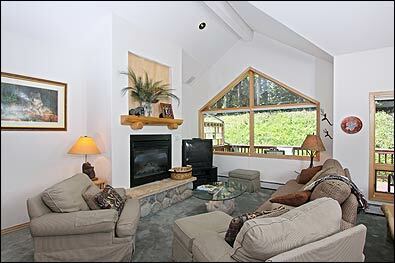 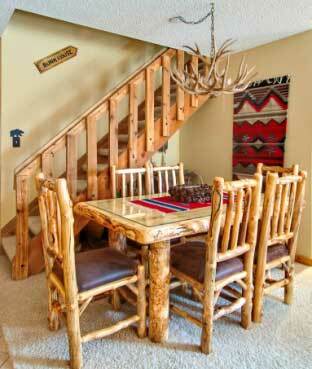 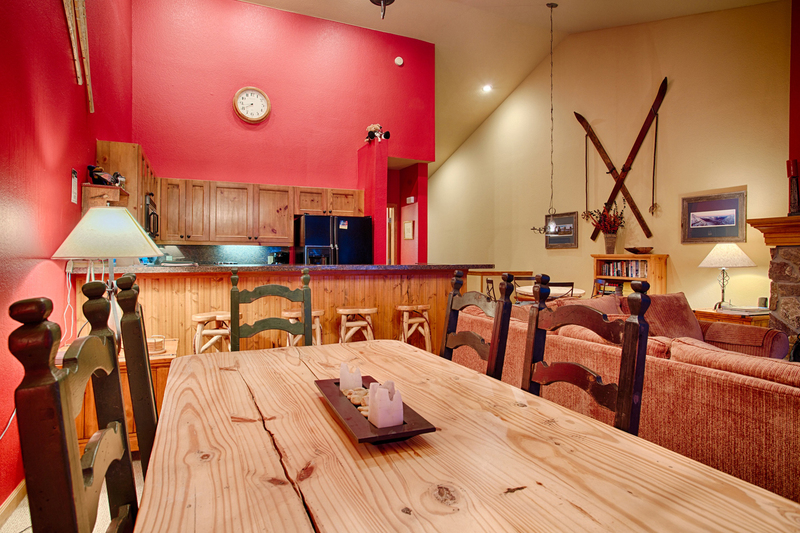 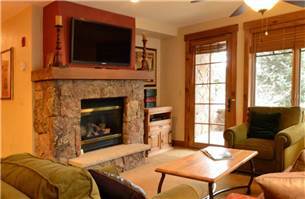 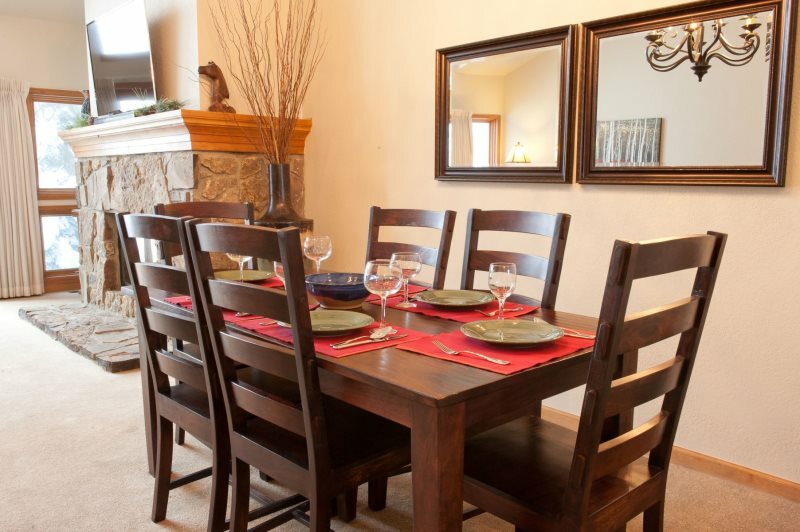 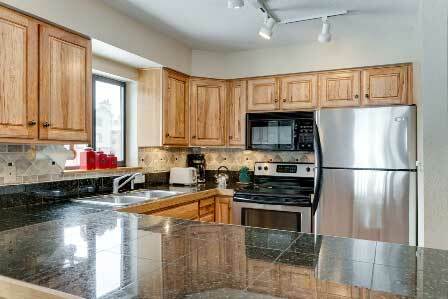 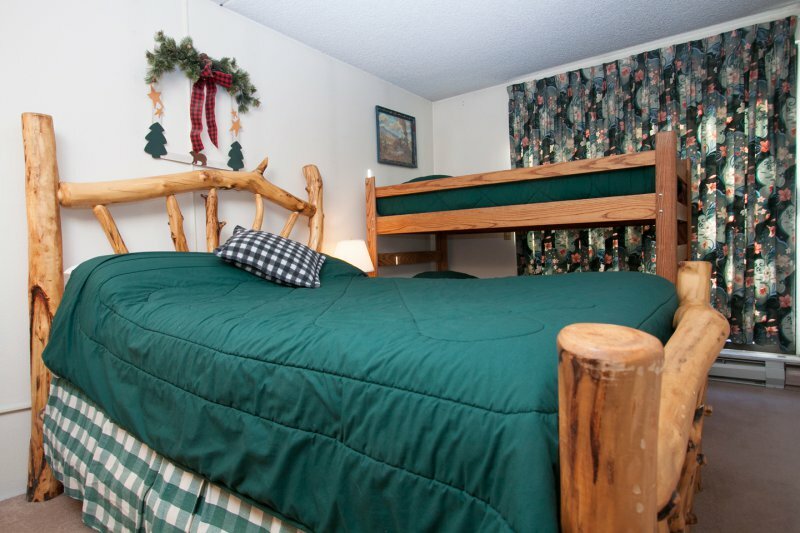 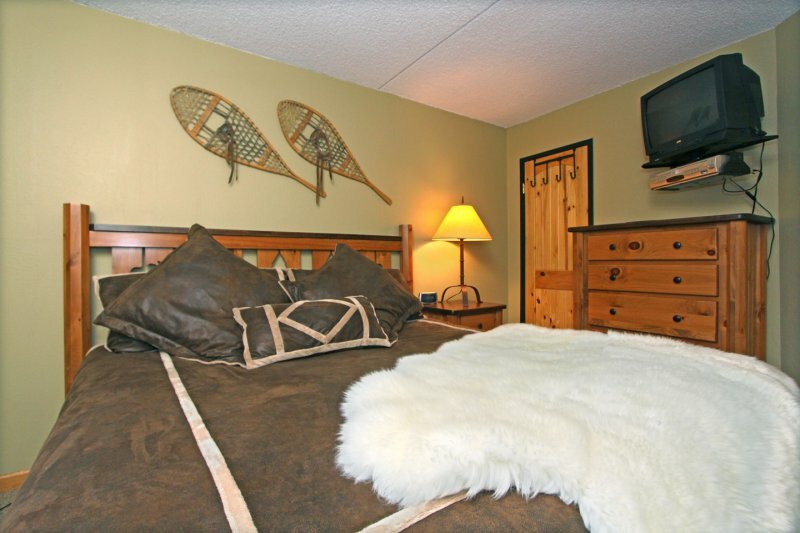 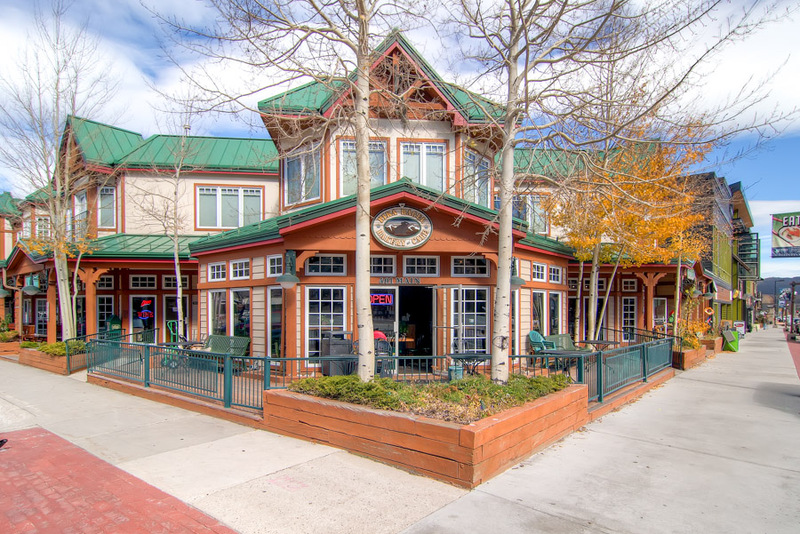 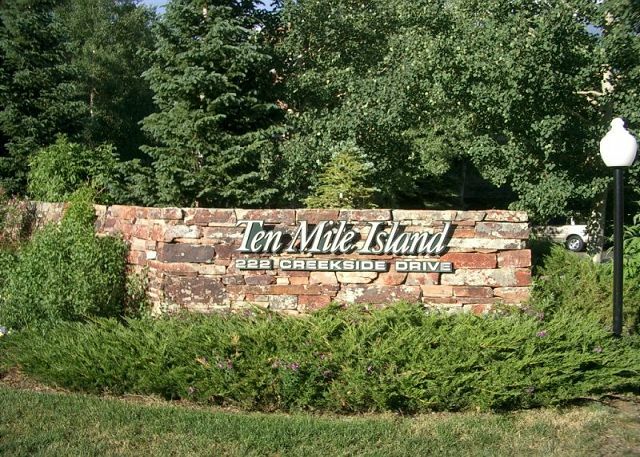 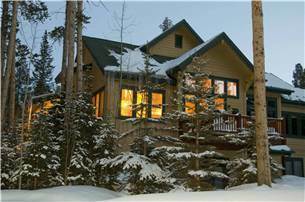 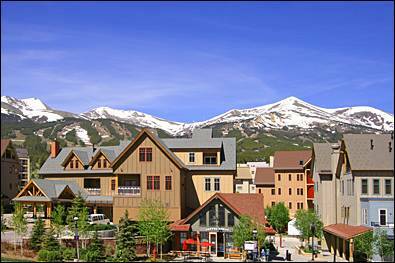 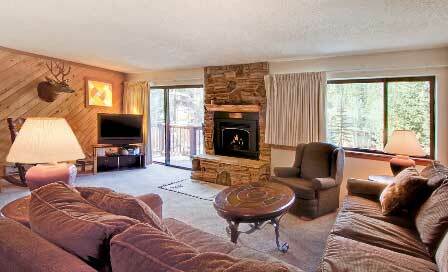 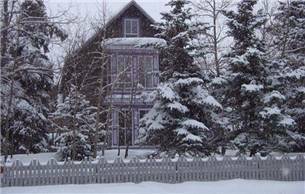 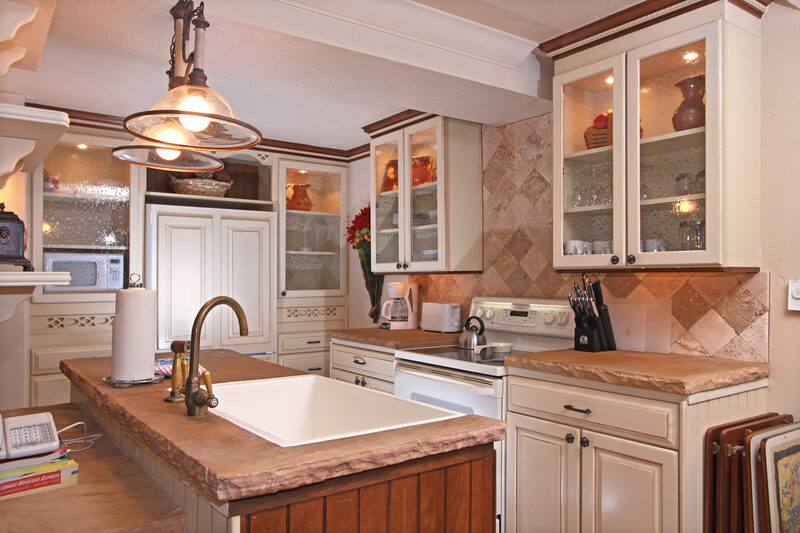 Located at the south end of Main Street within walking distance of the base of Peak 9 and downtown. 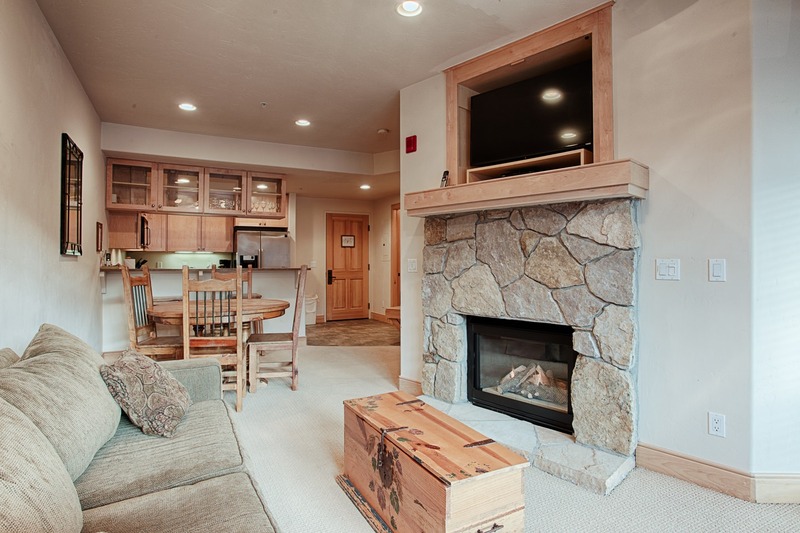 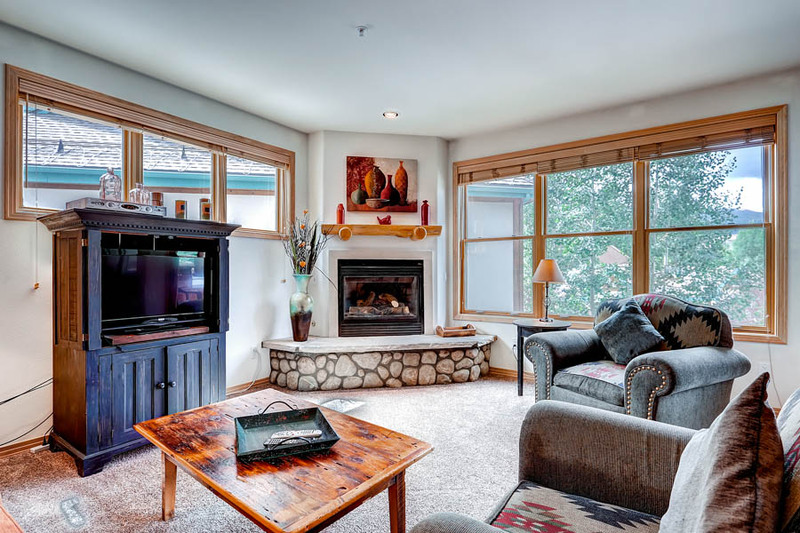 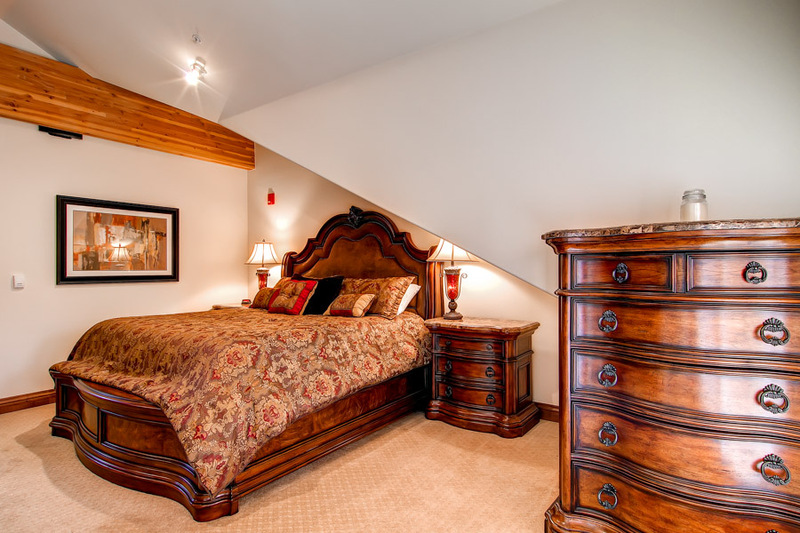 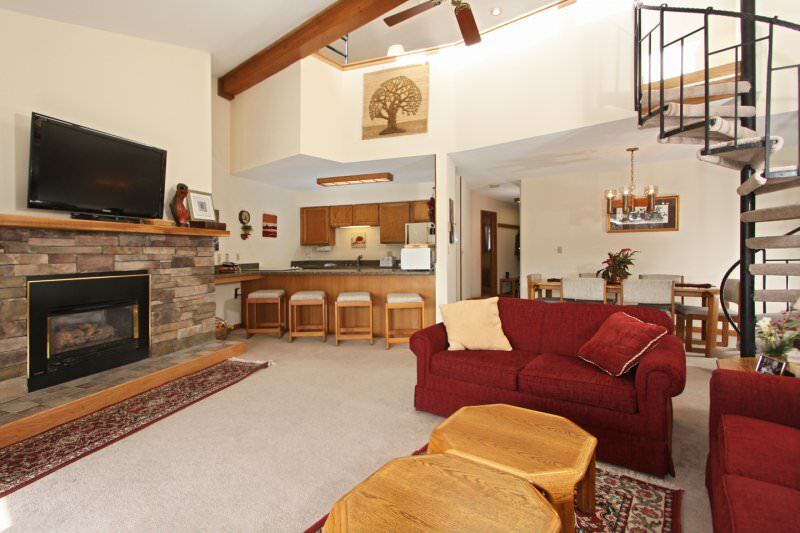 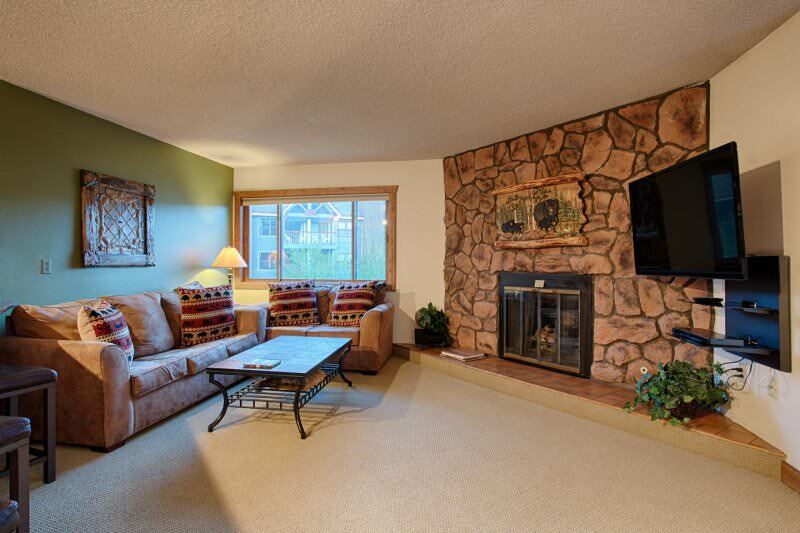 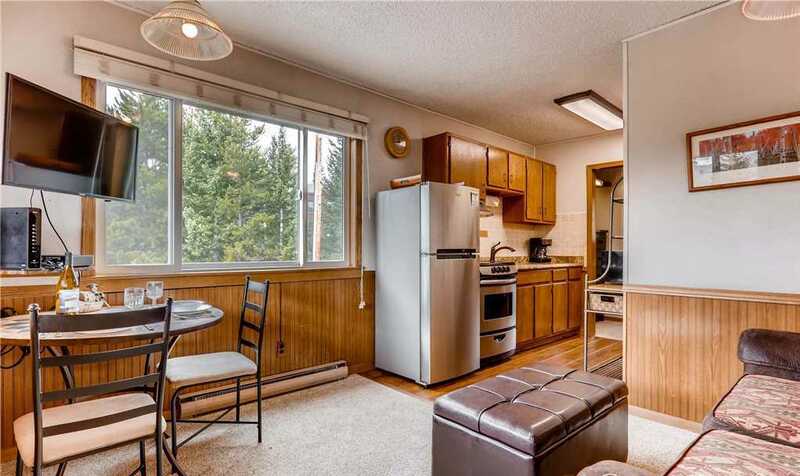 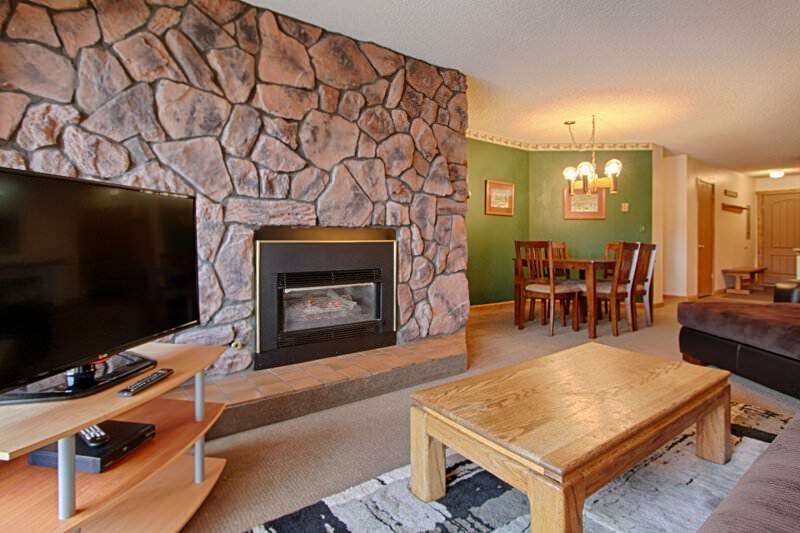 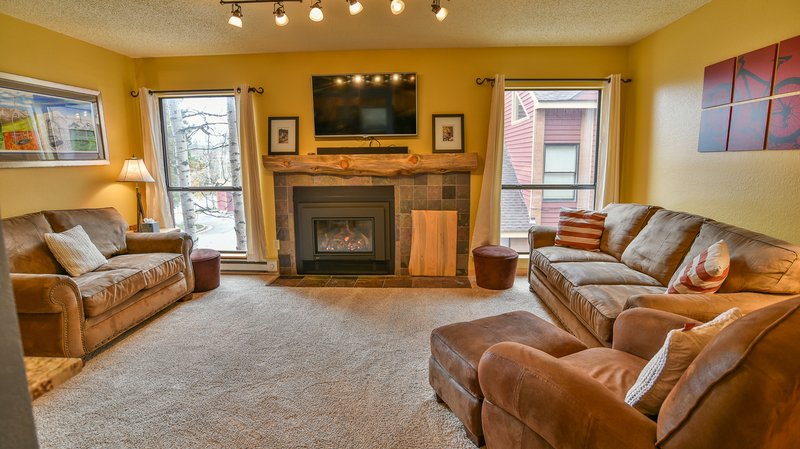 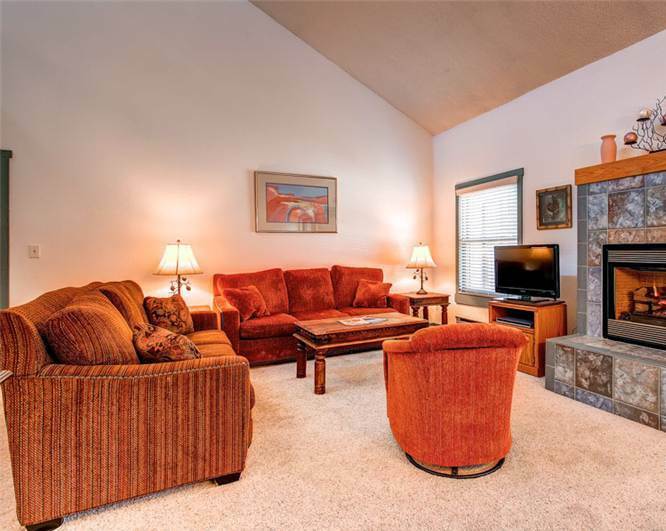 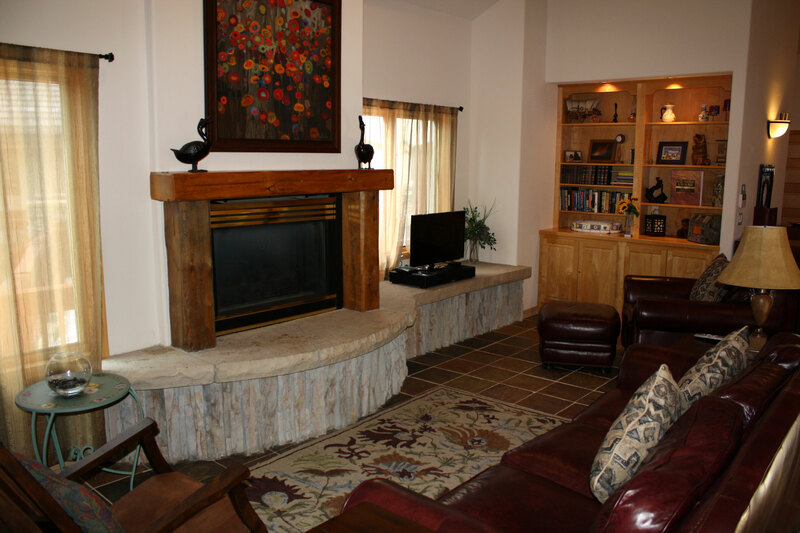 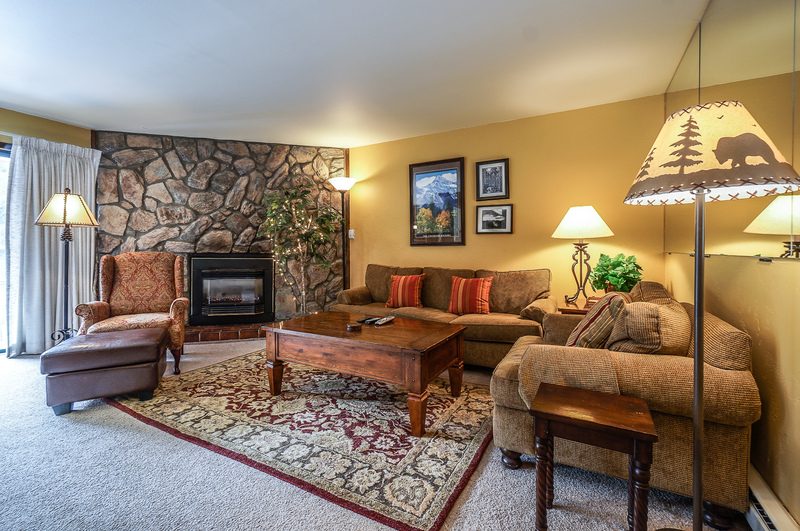 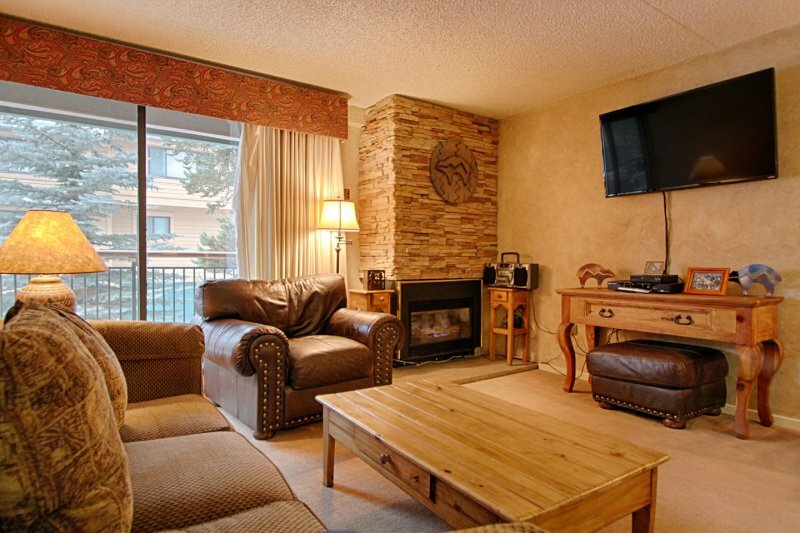 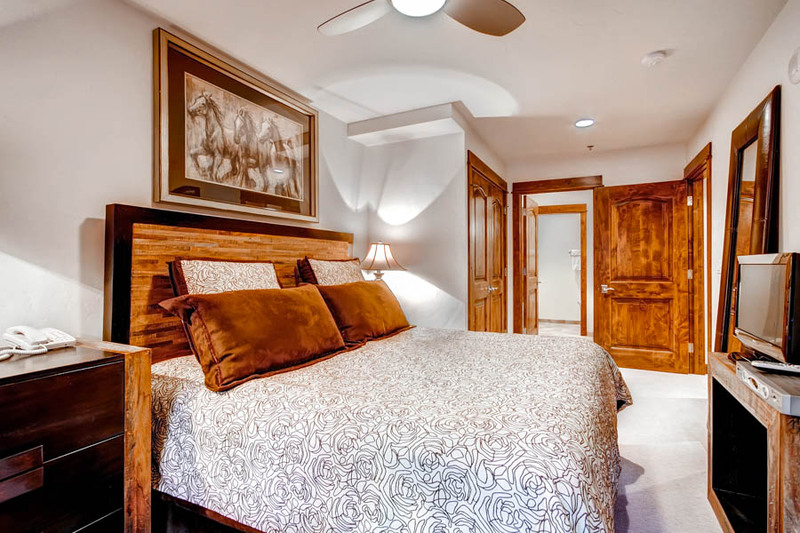 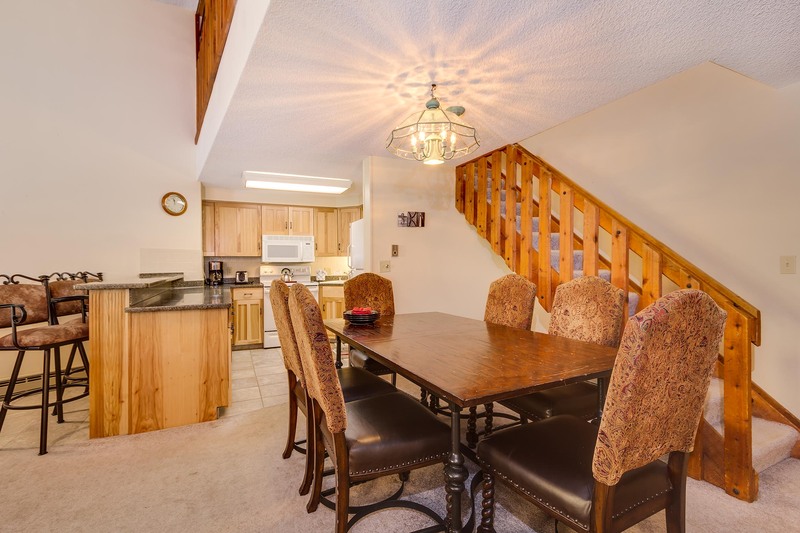 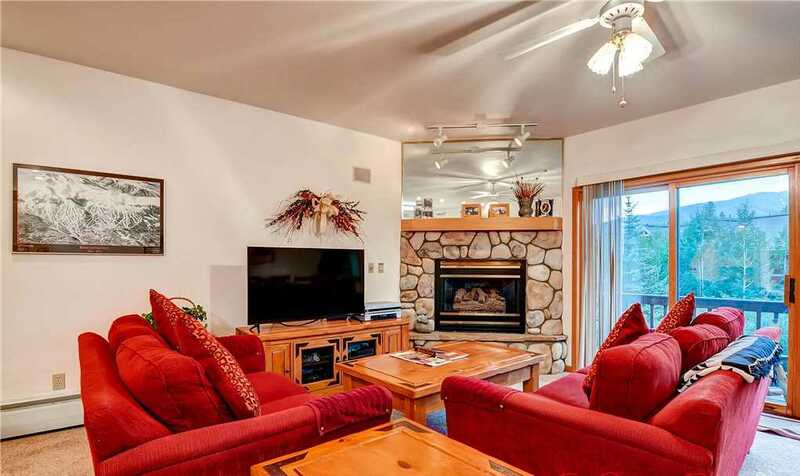 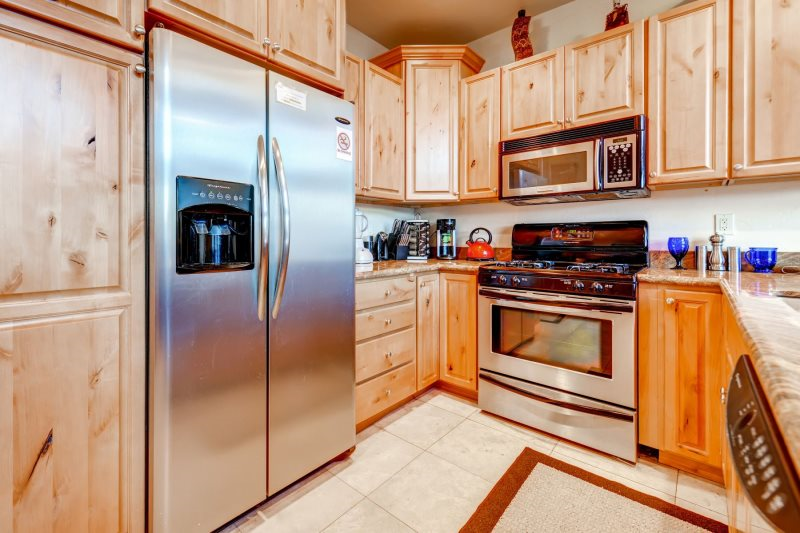 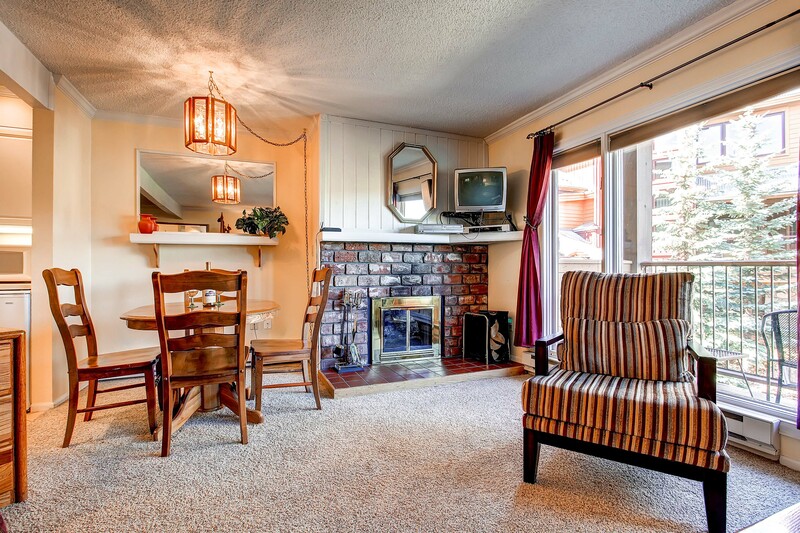 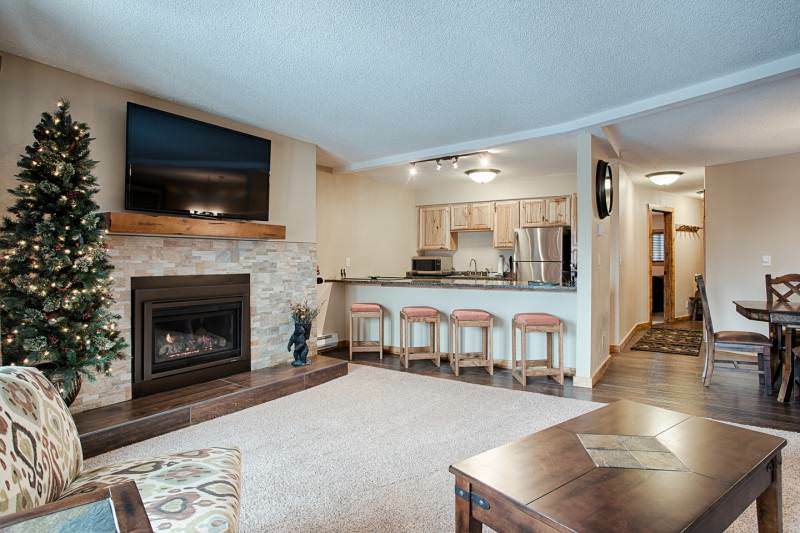 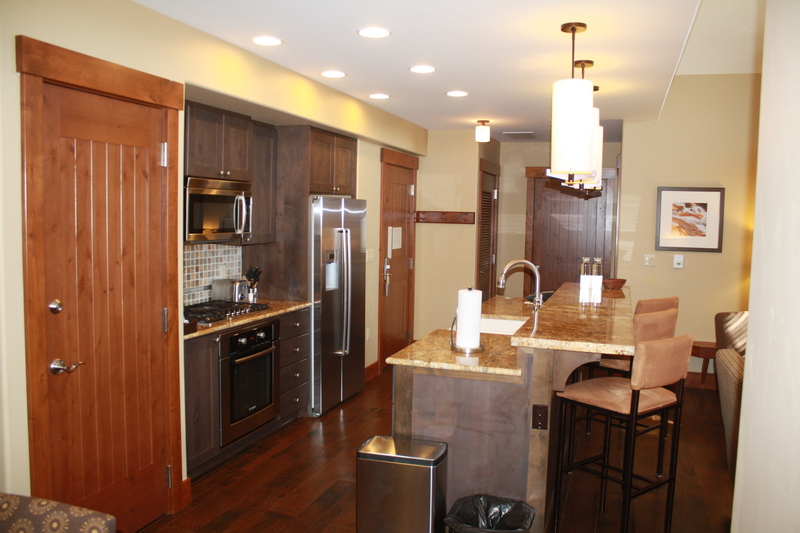 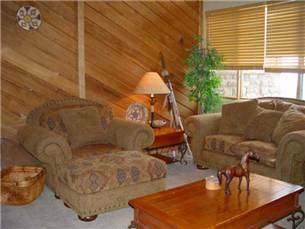 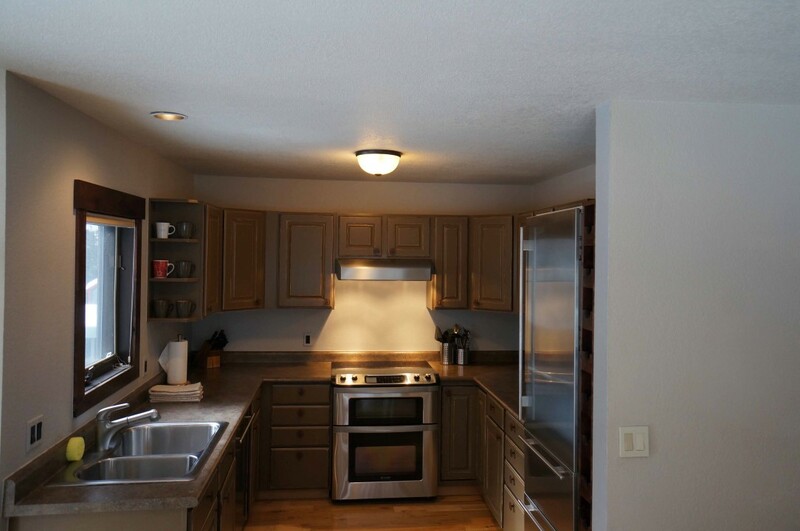 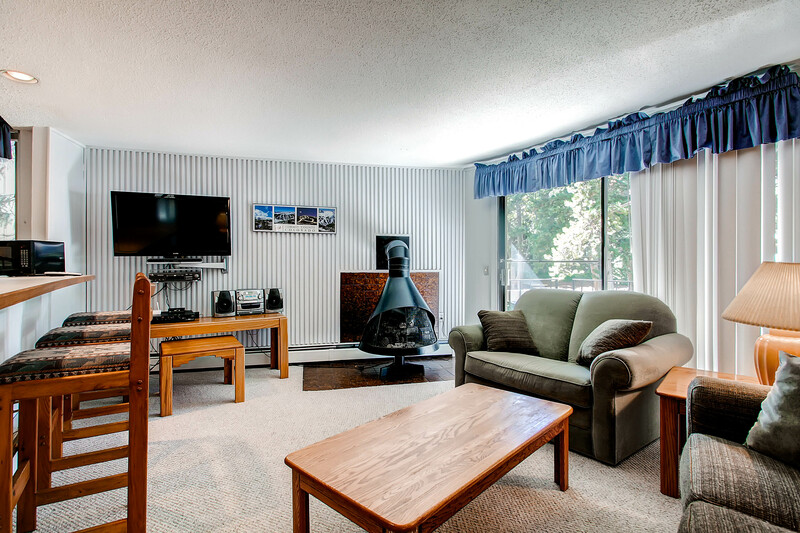 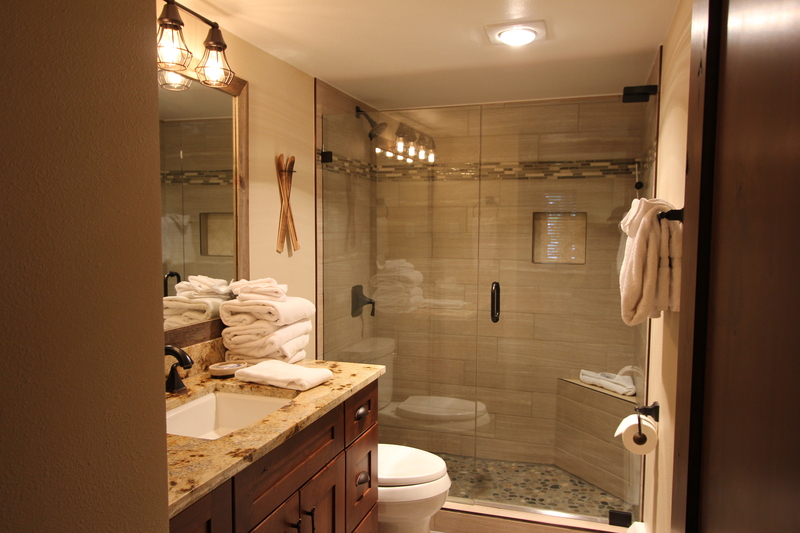 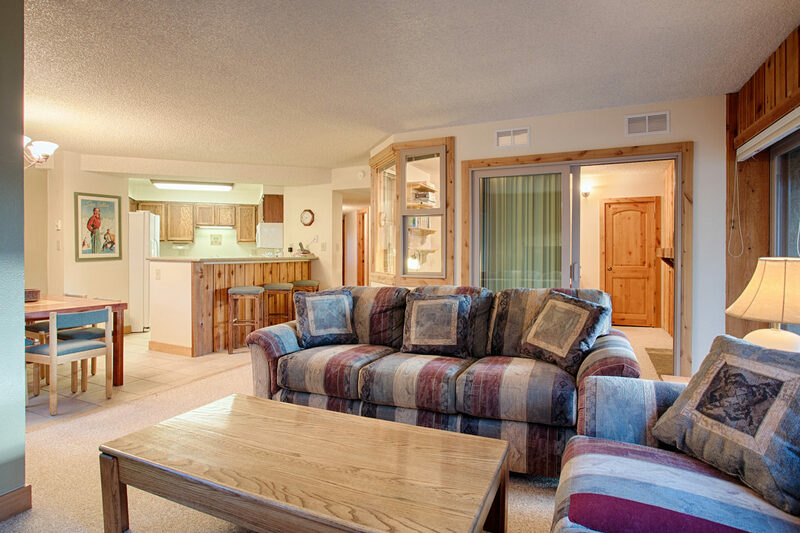 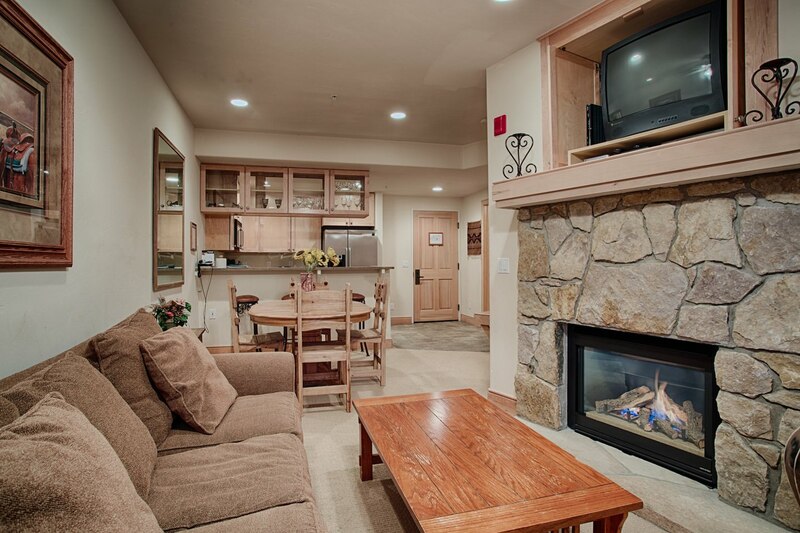 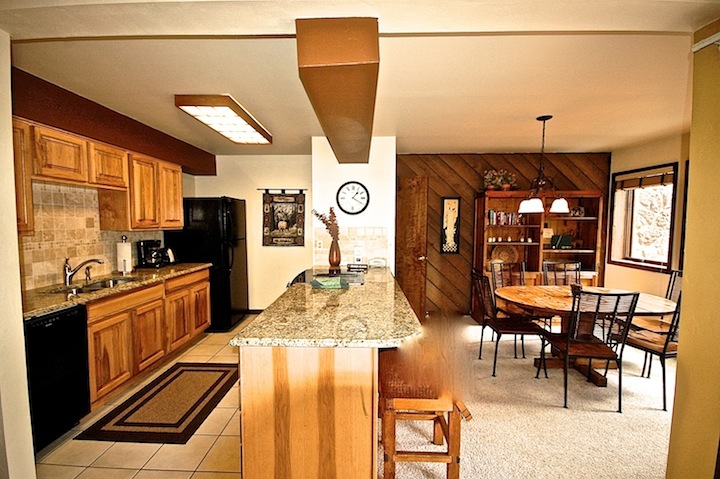 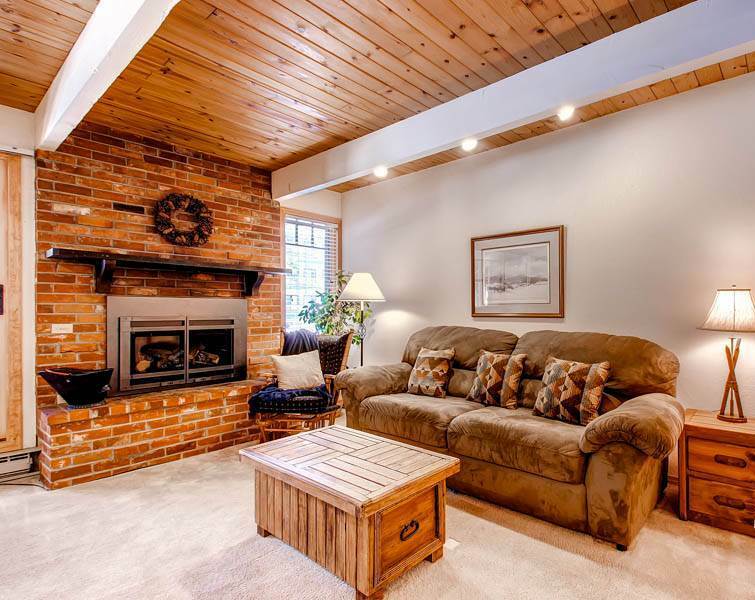 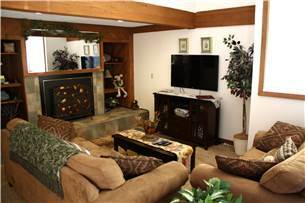 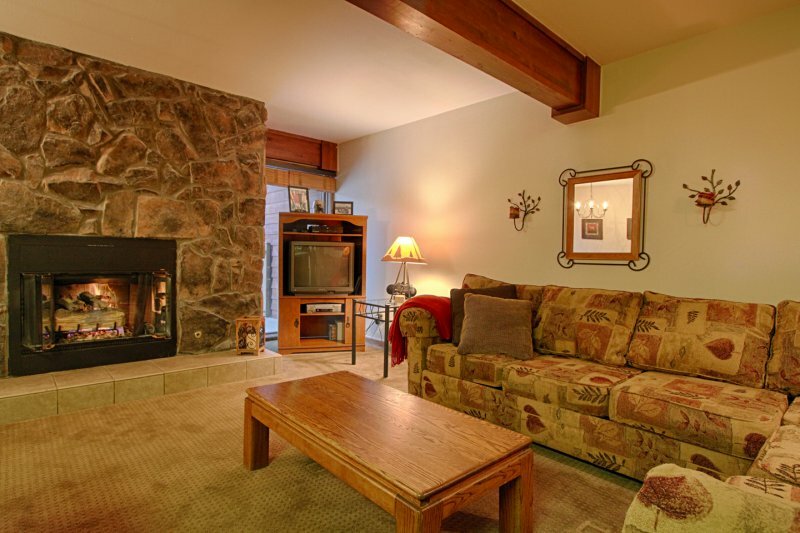 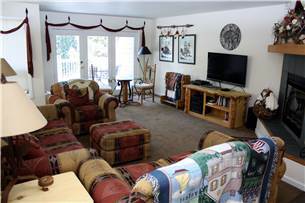 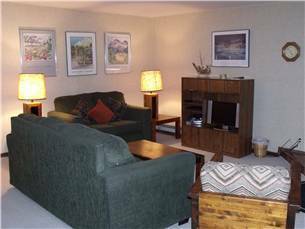 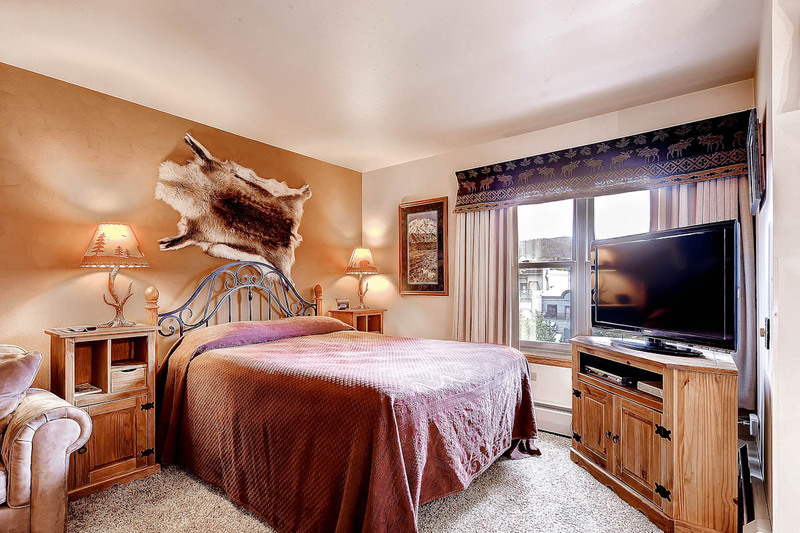 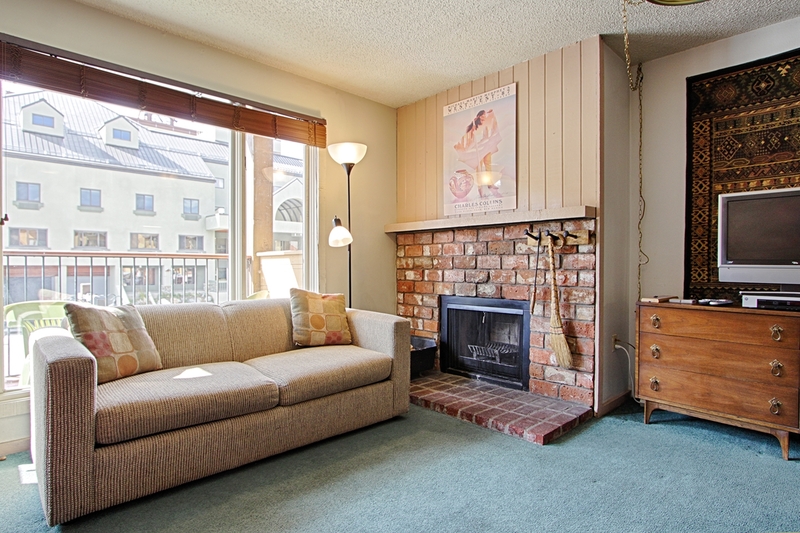 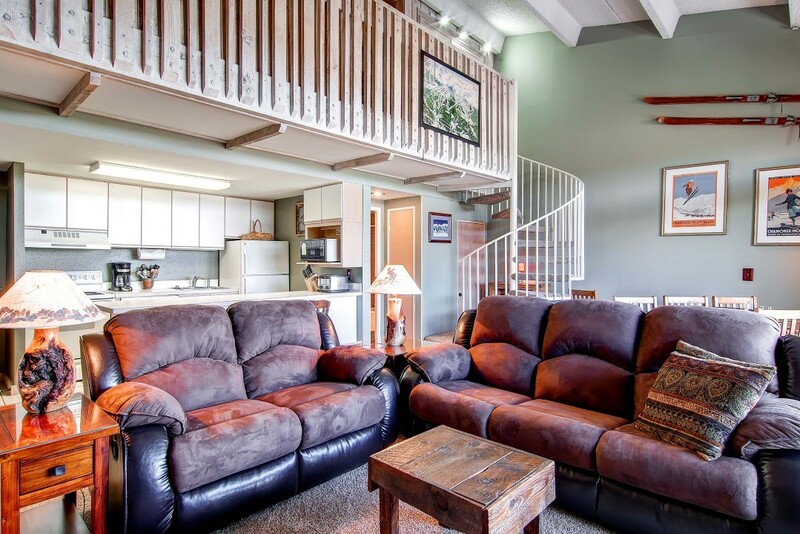 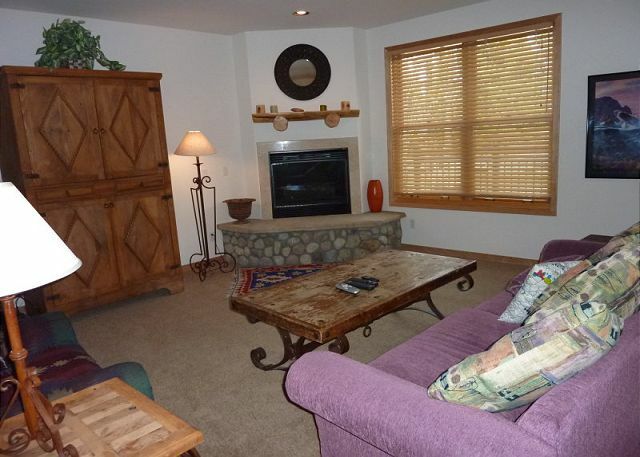 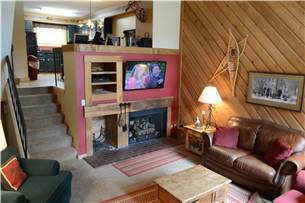 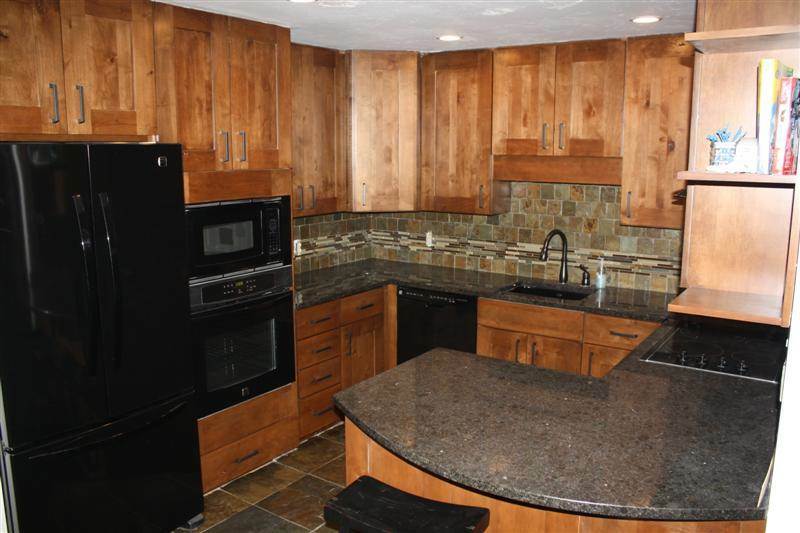 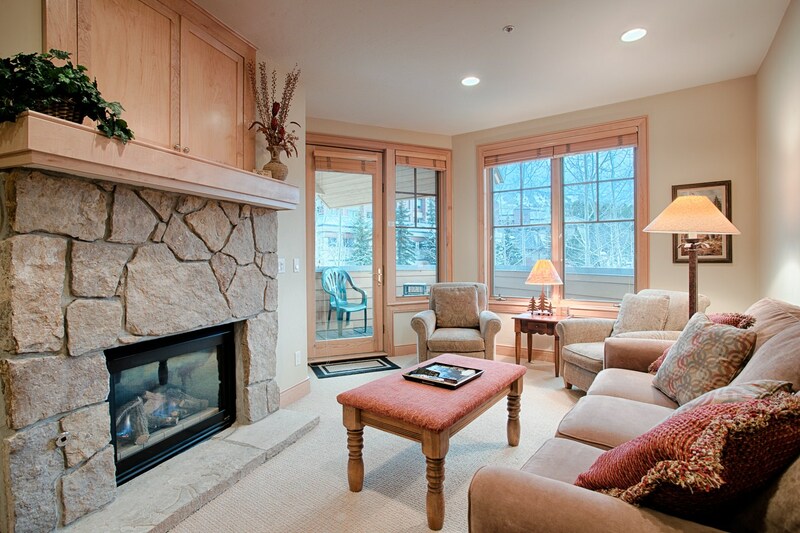 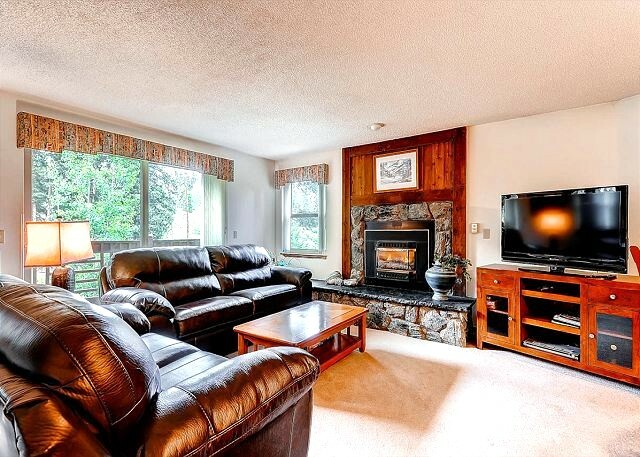 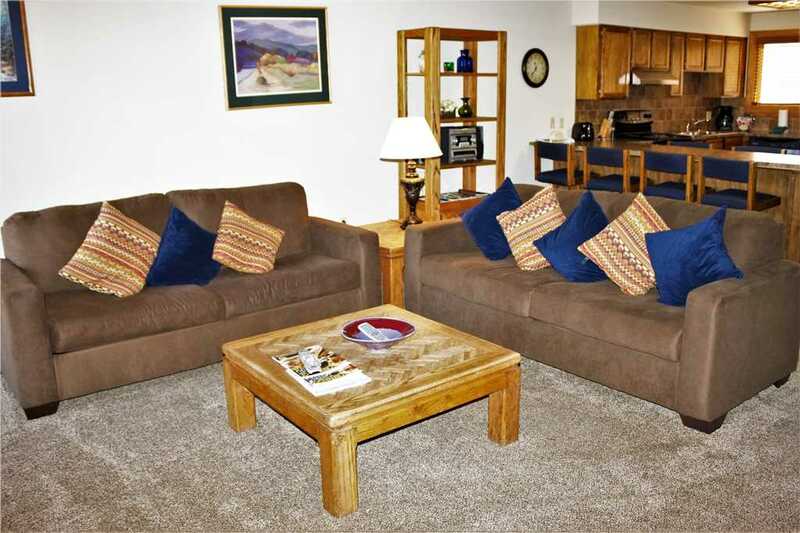 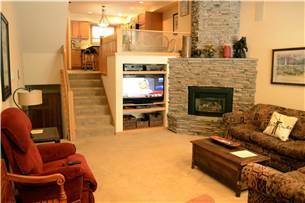 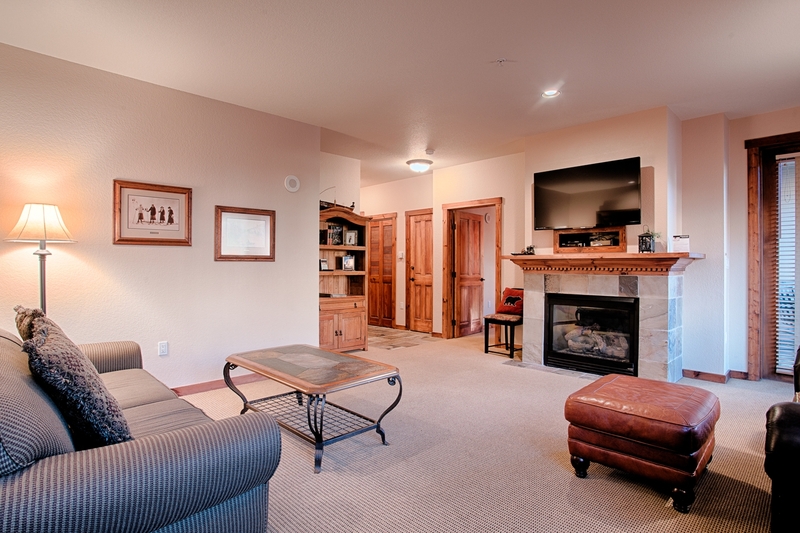 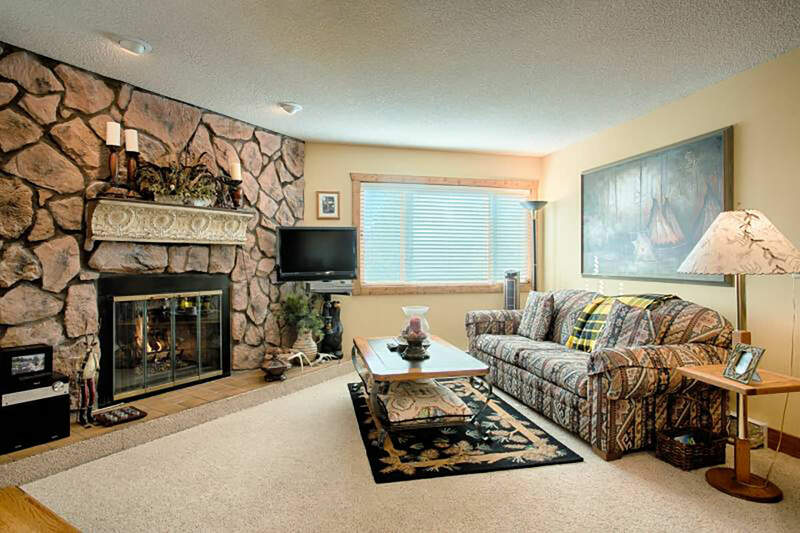 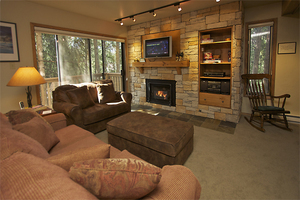 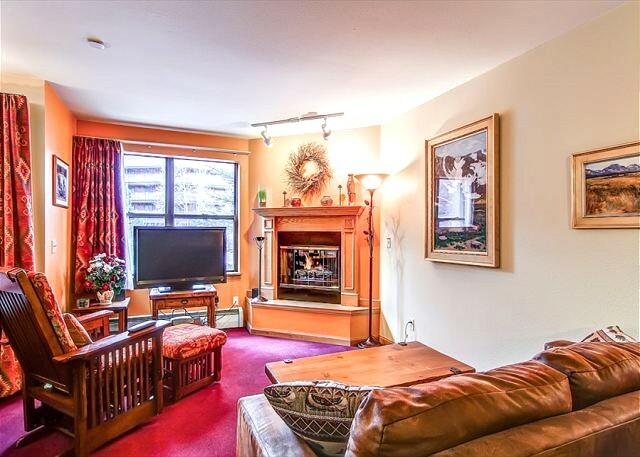 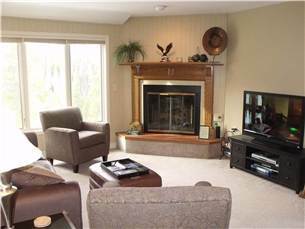 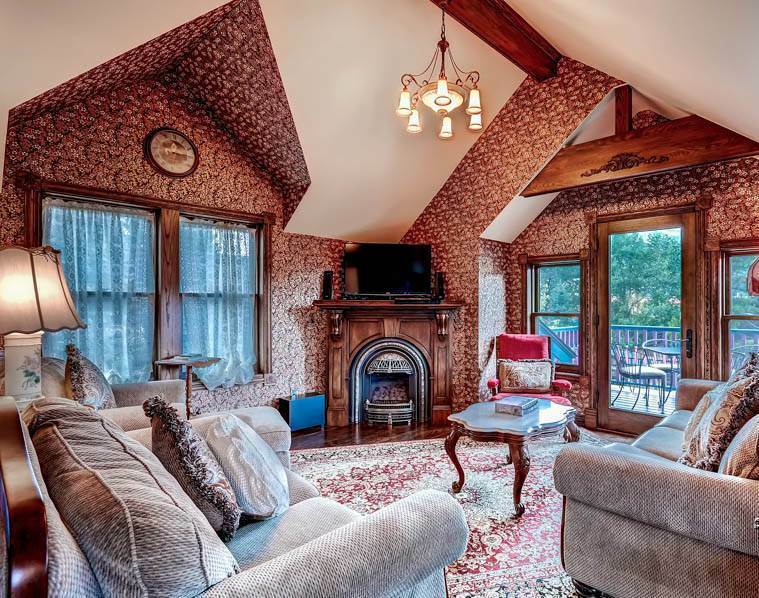 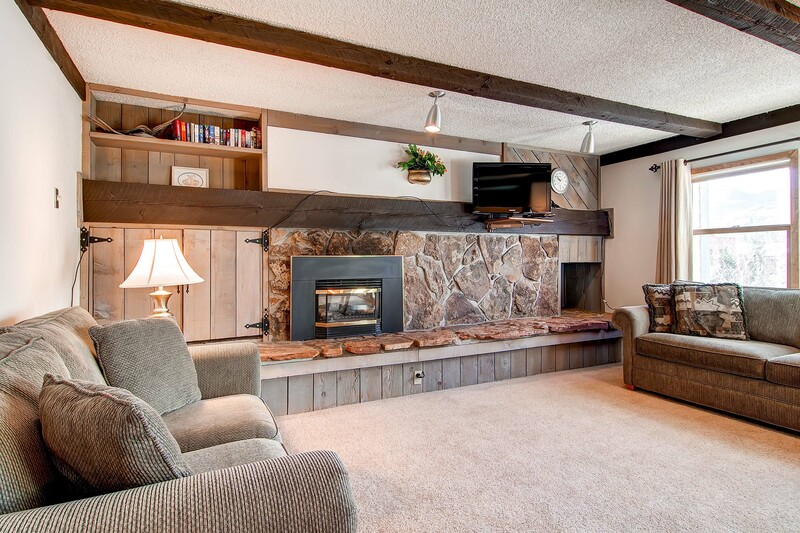 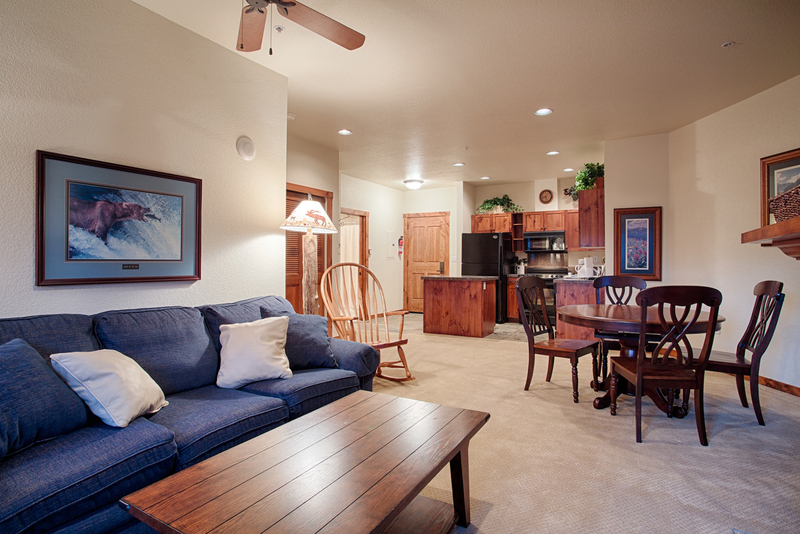 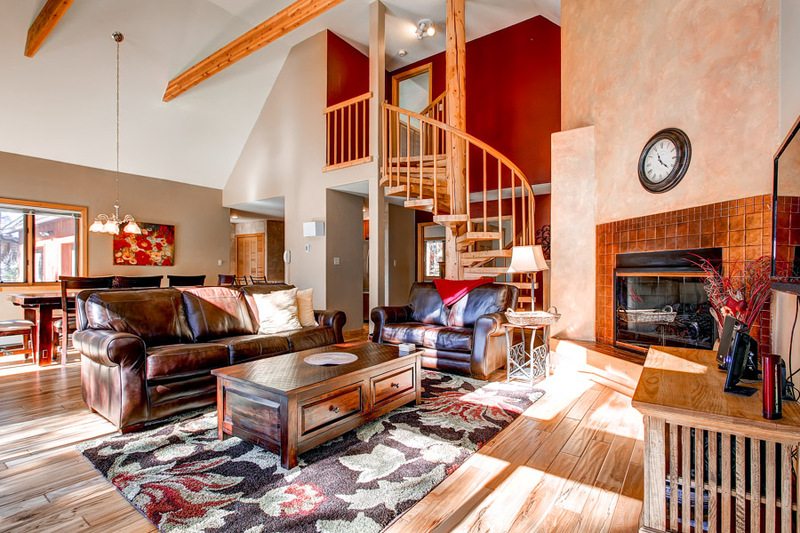 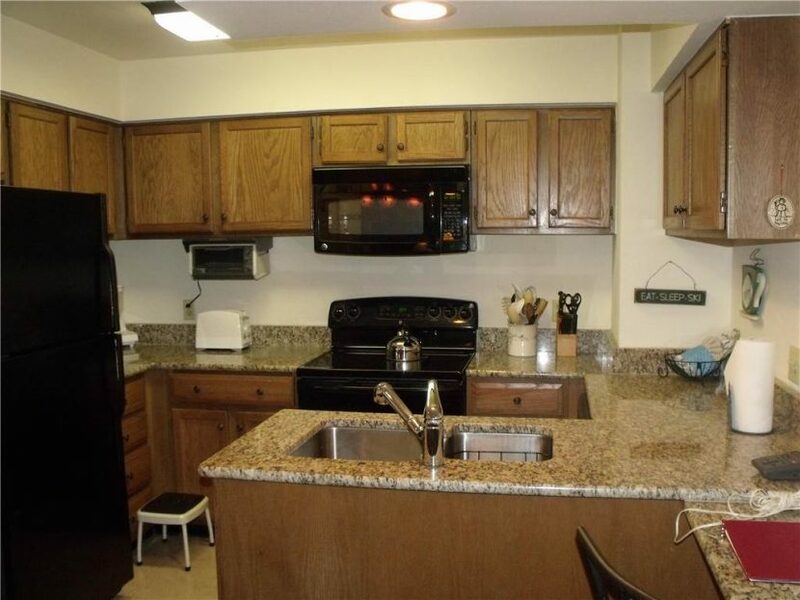 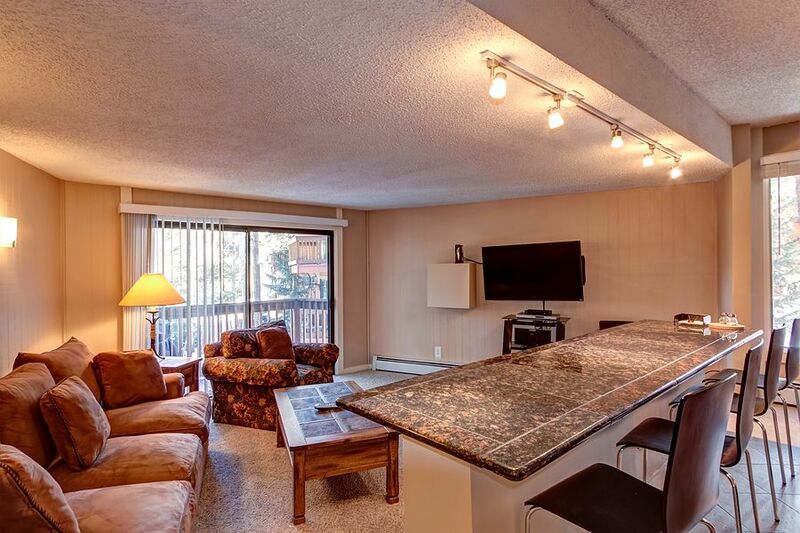 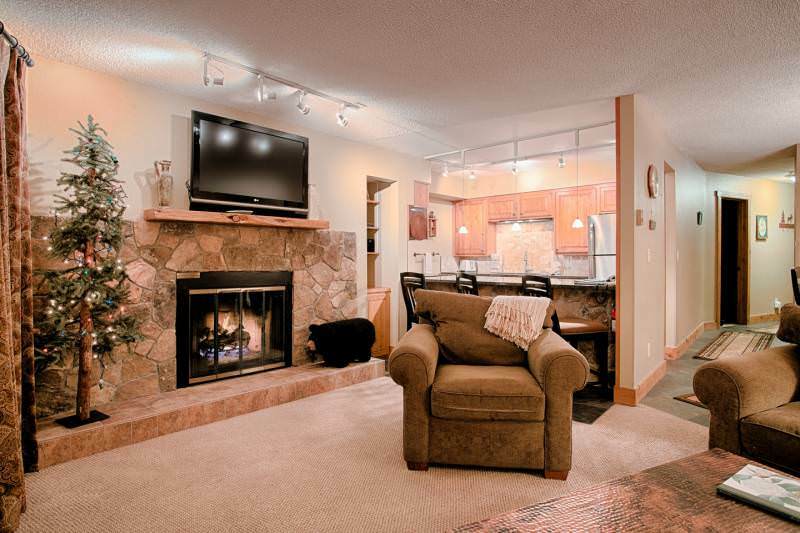 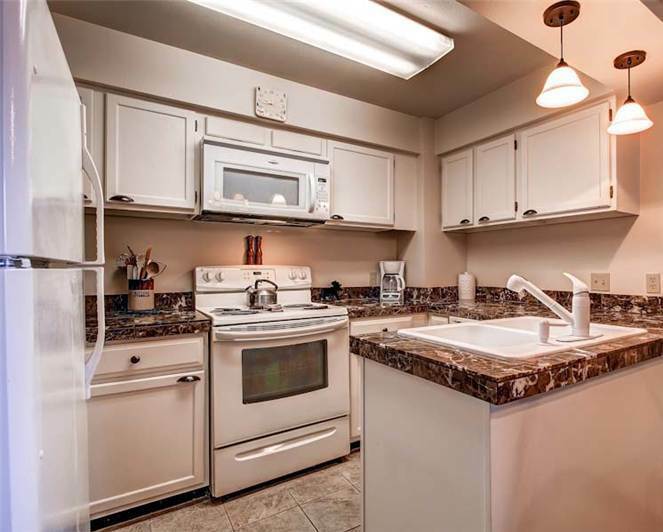 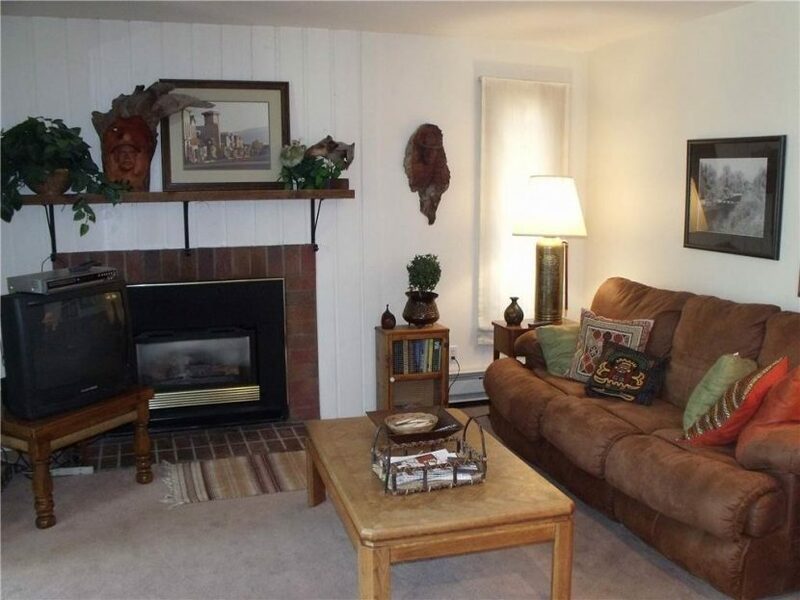 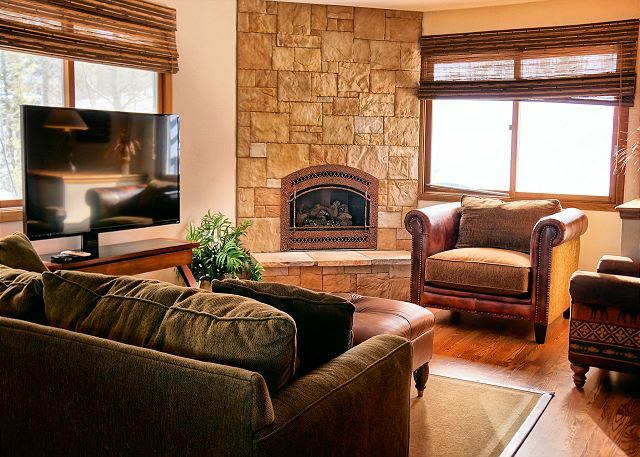 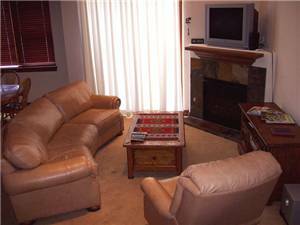 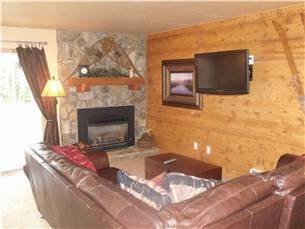 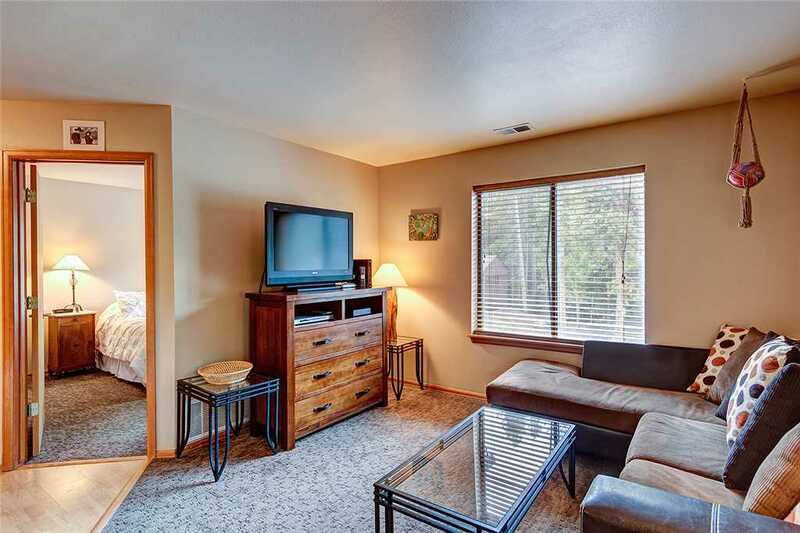 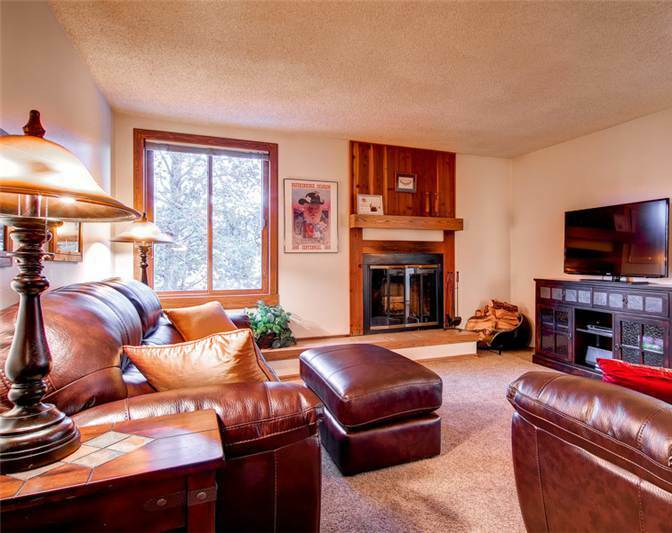 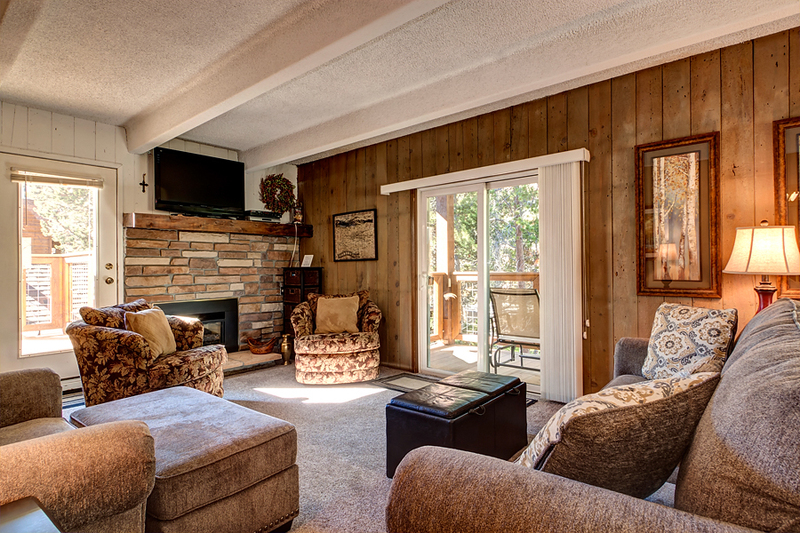 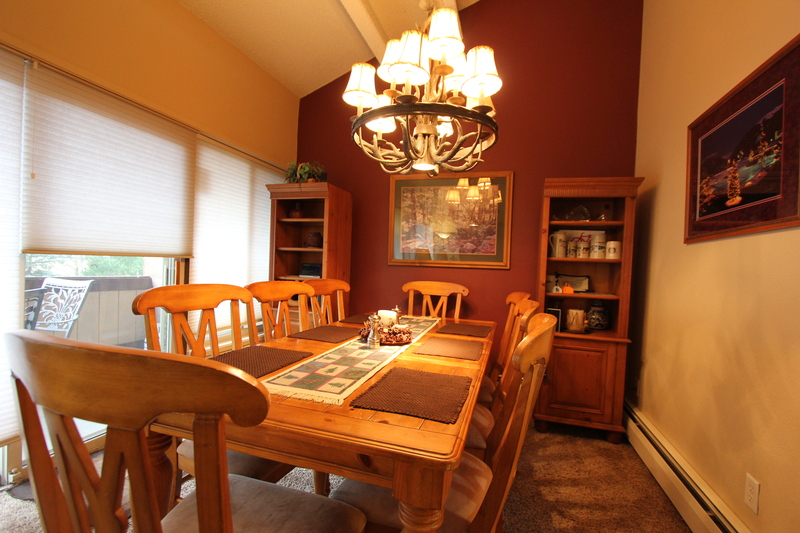 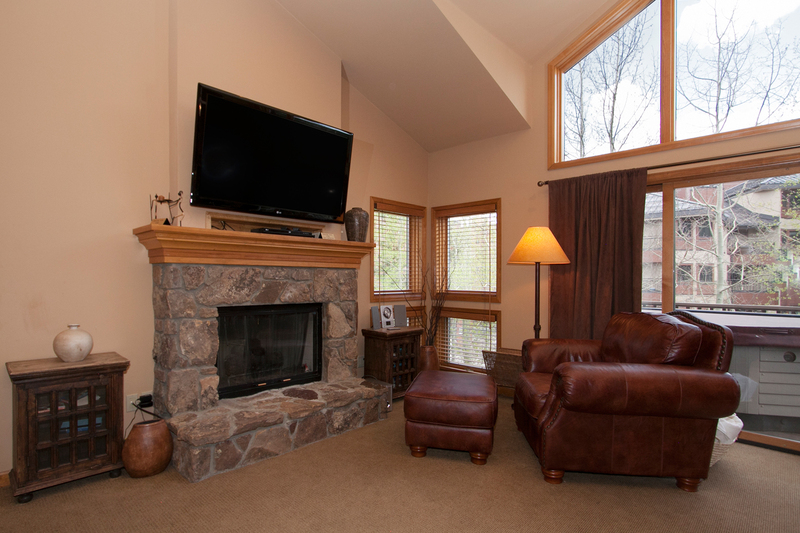 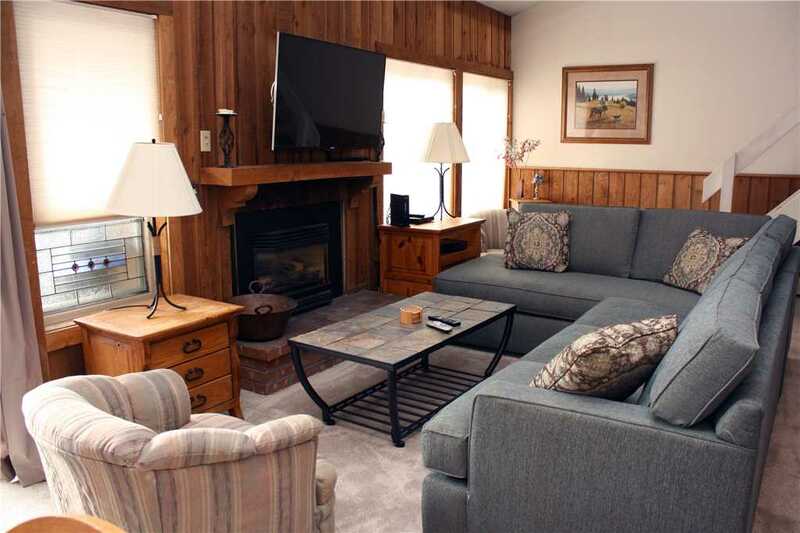 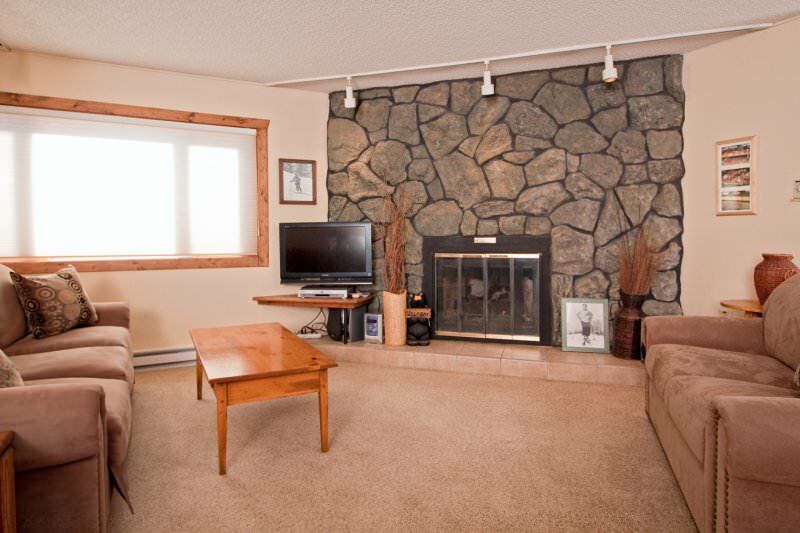 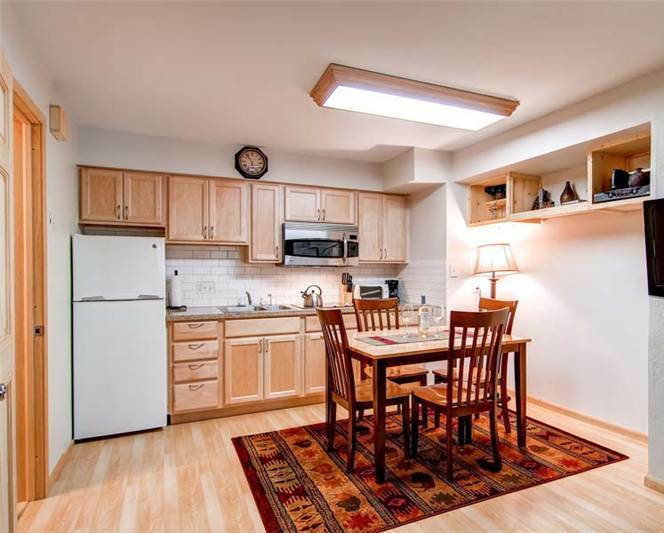 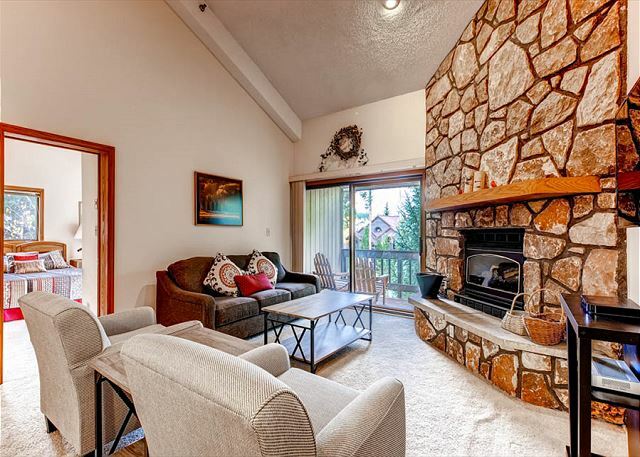 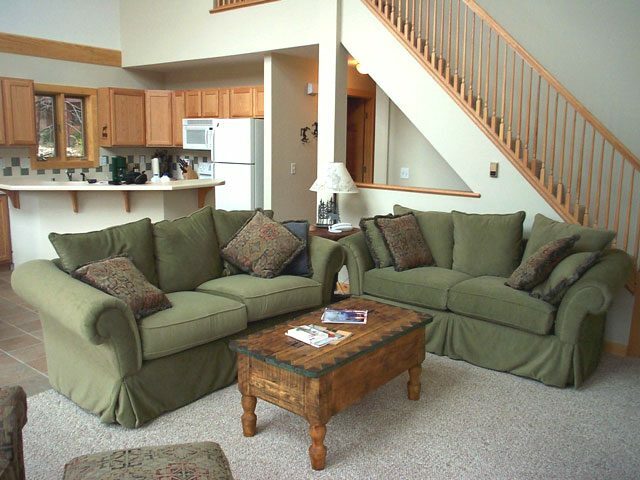 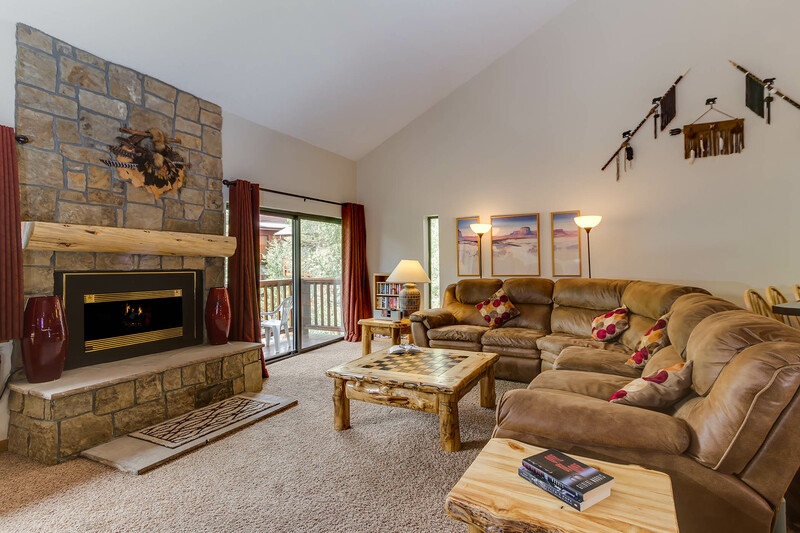 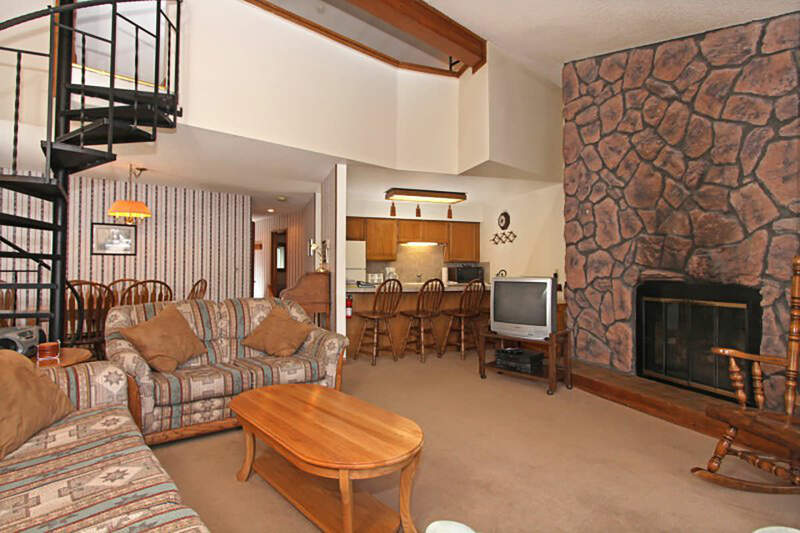 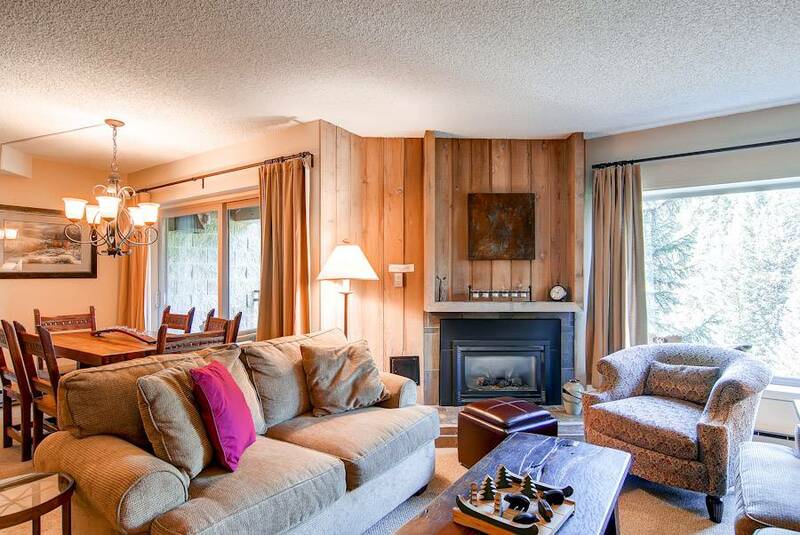 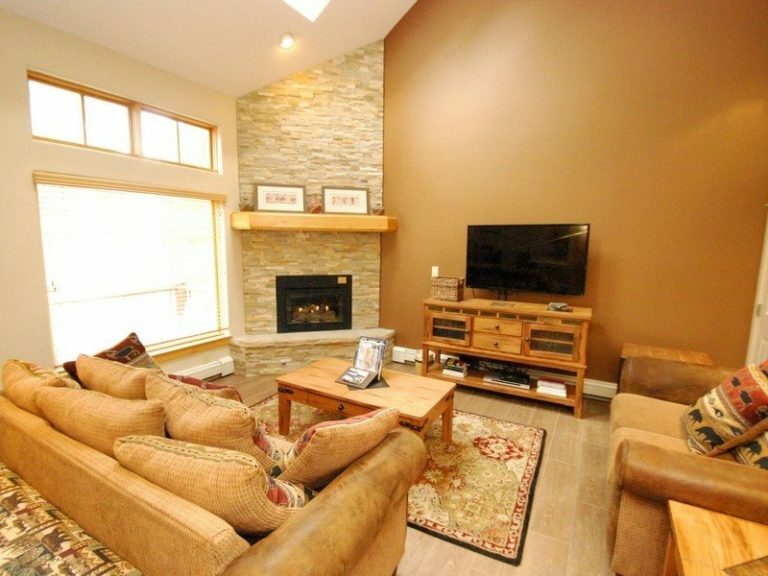 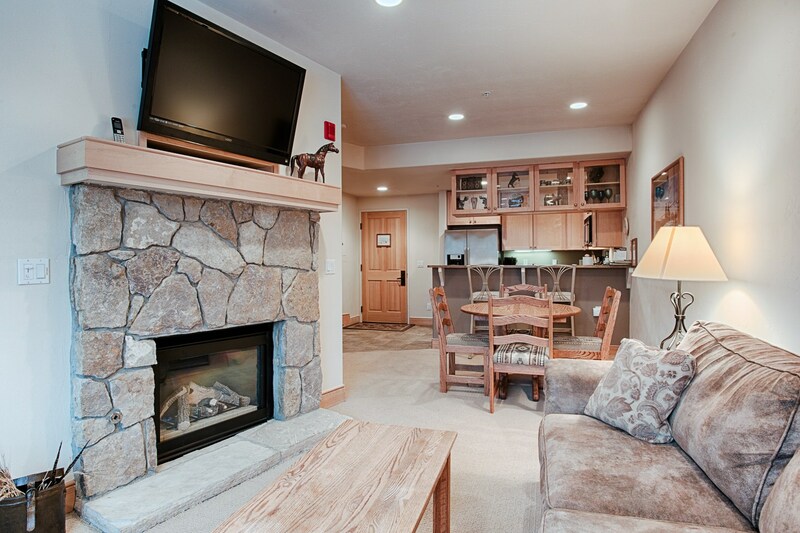 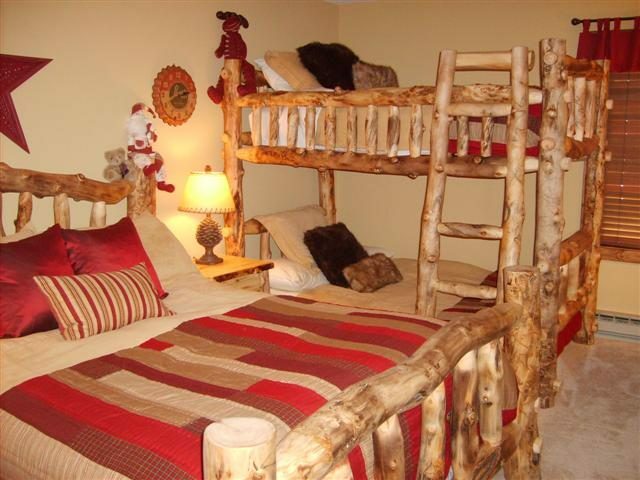 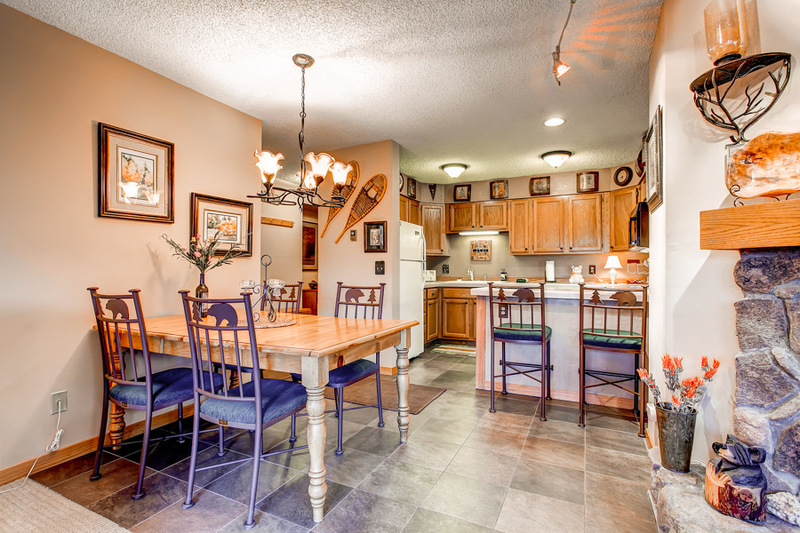 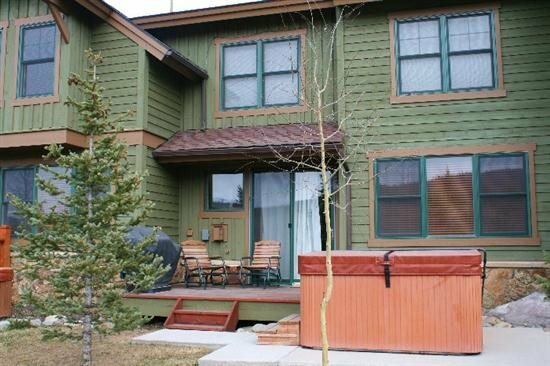 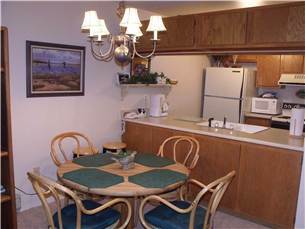 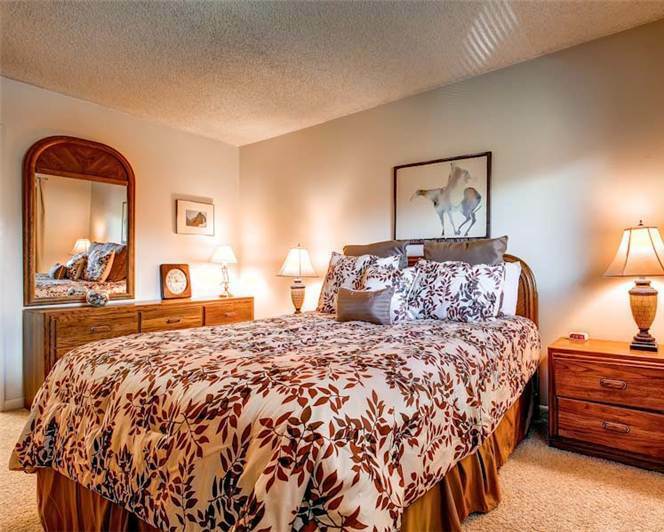 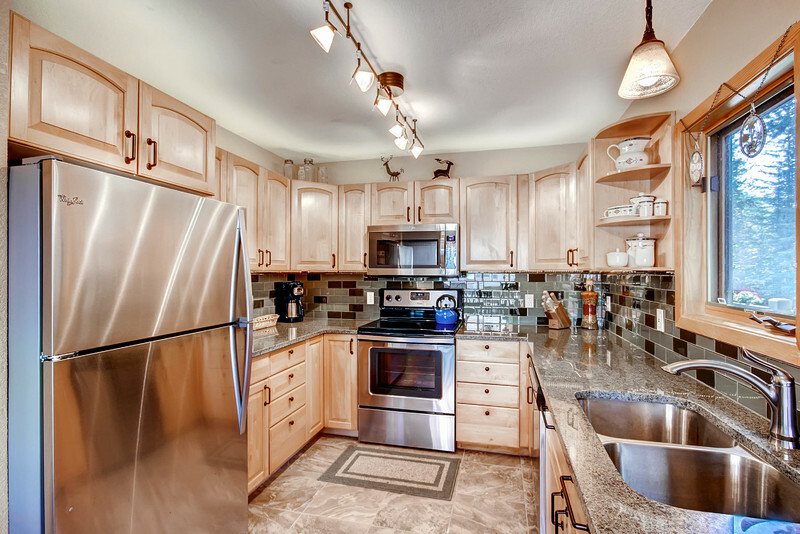 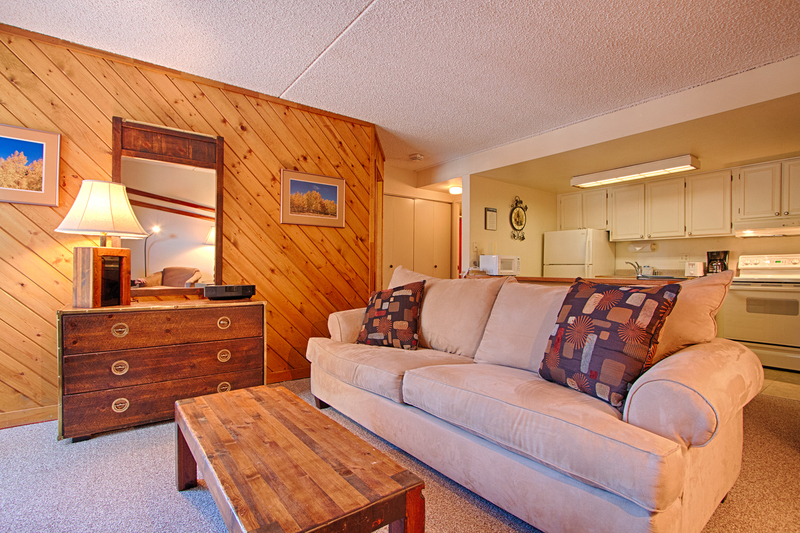 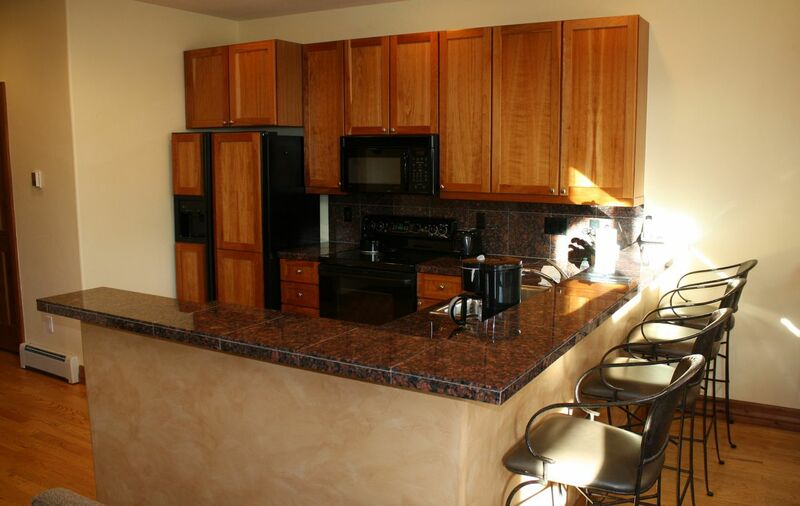 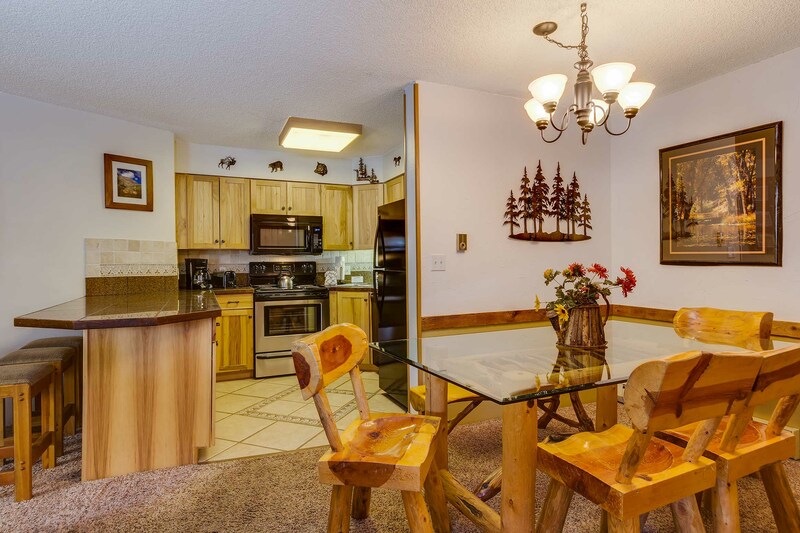 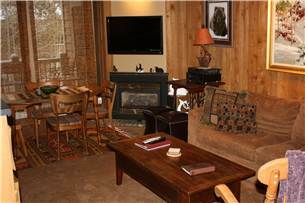 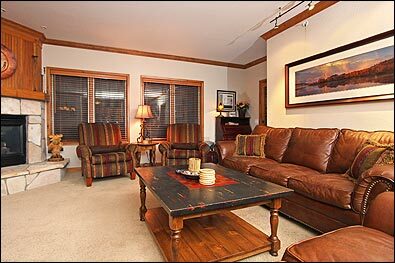 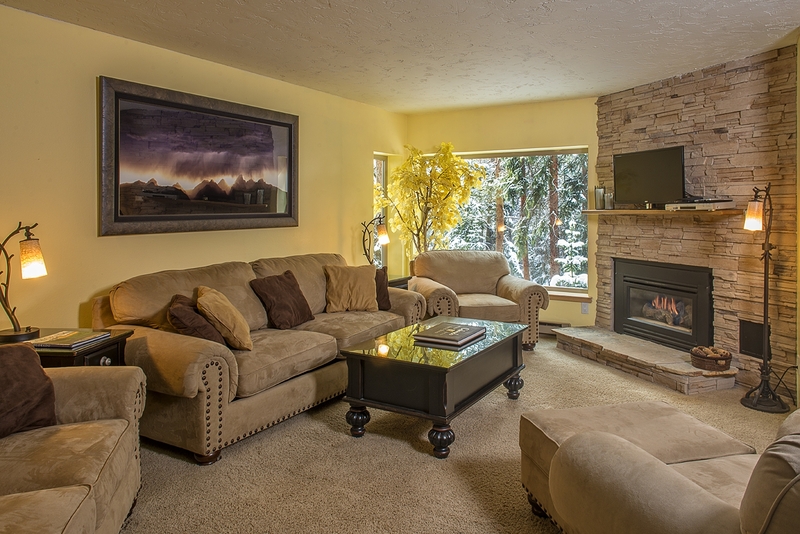 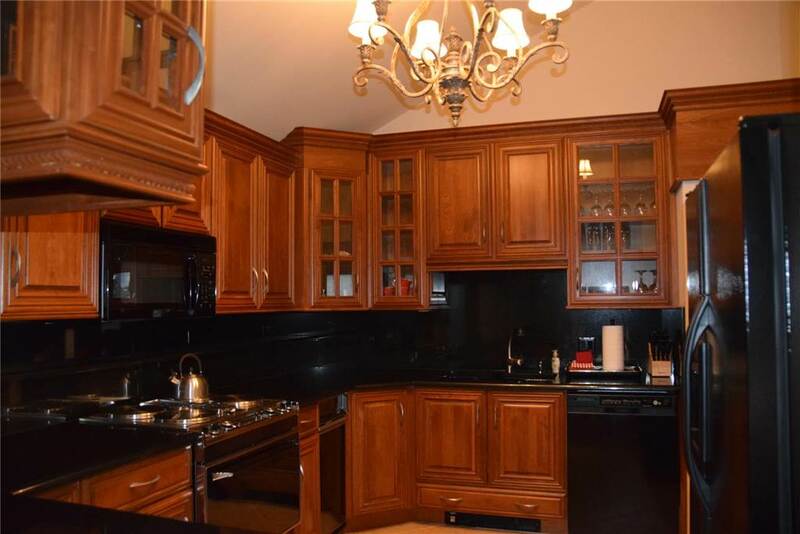 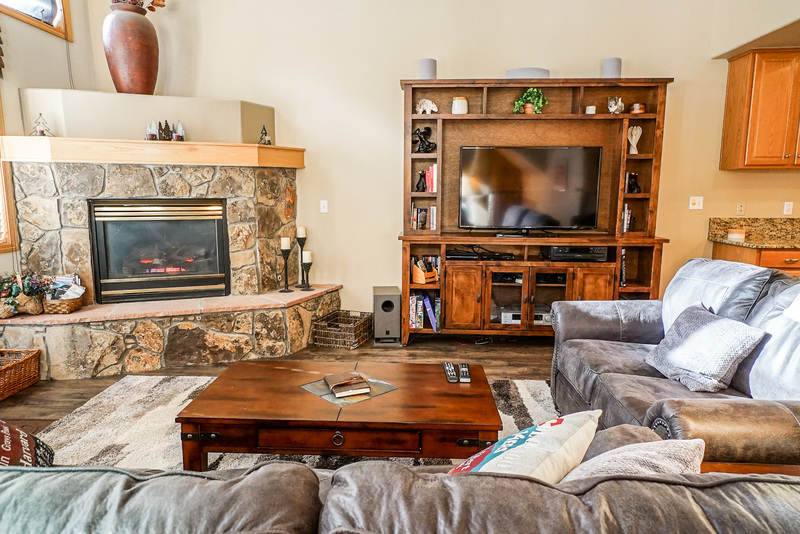 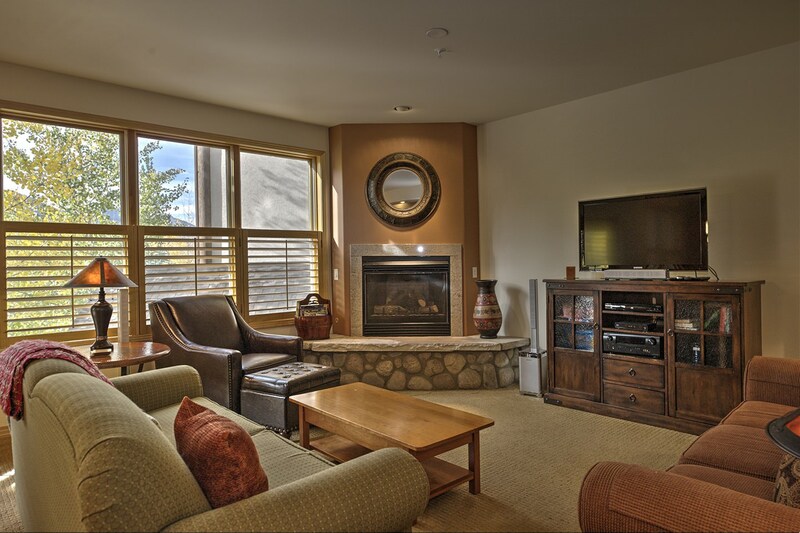 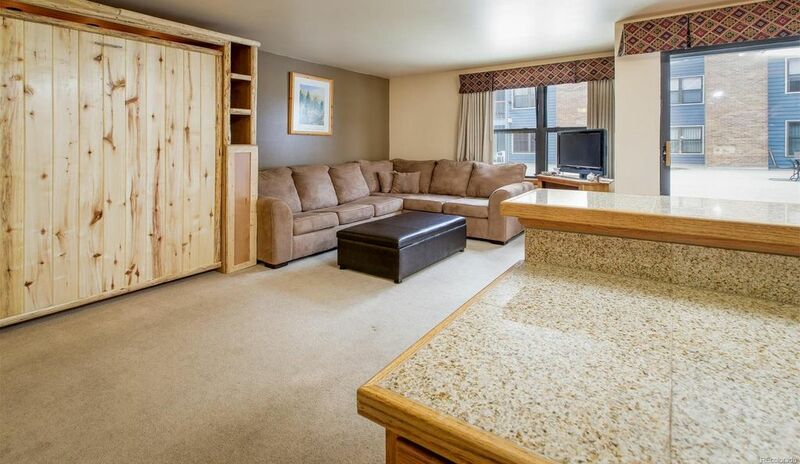 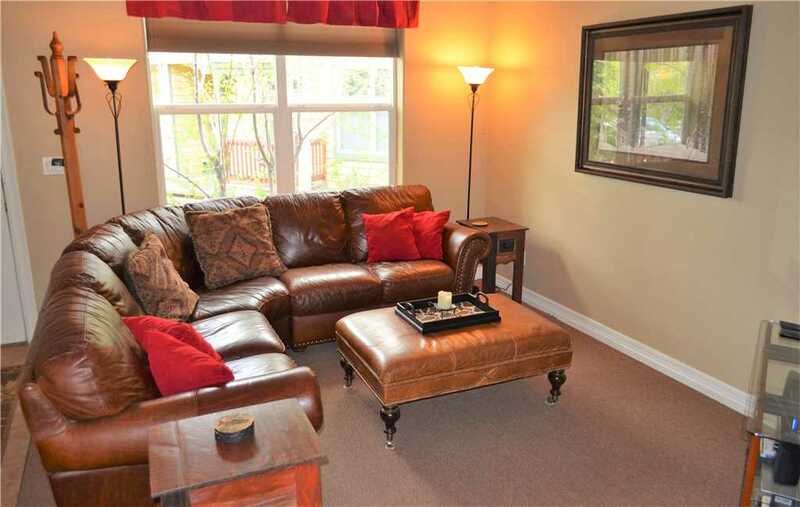 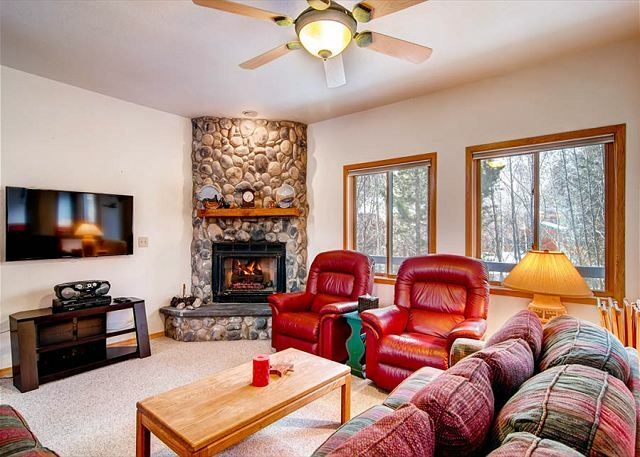 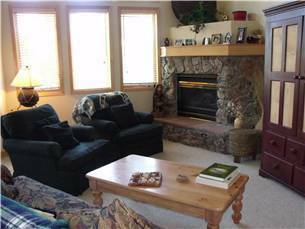 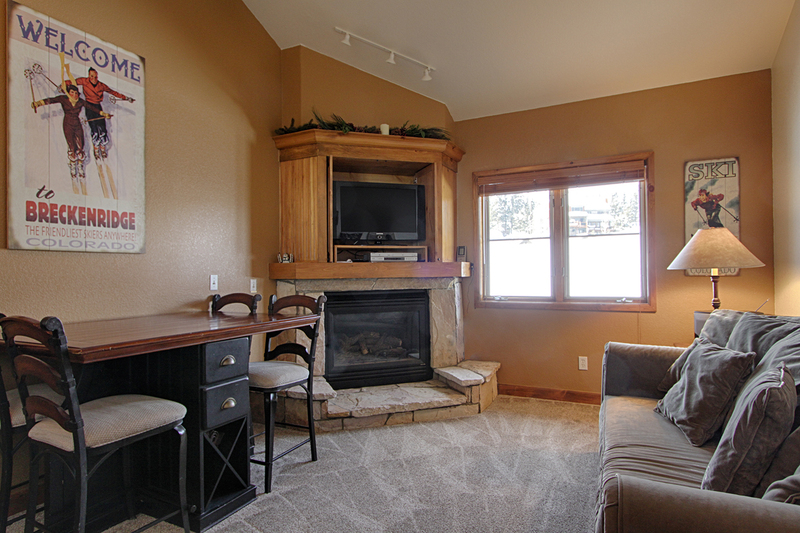 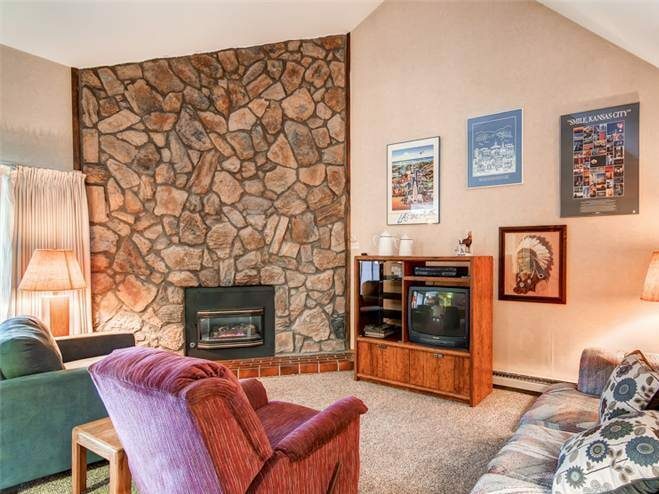 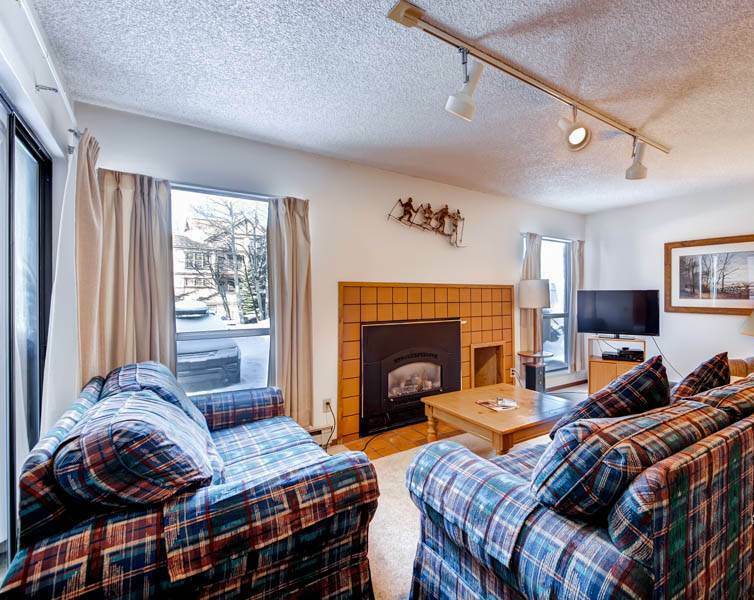 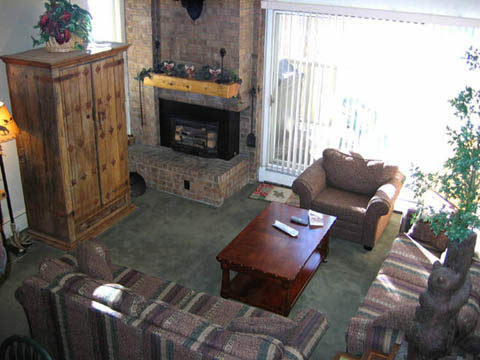 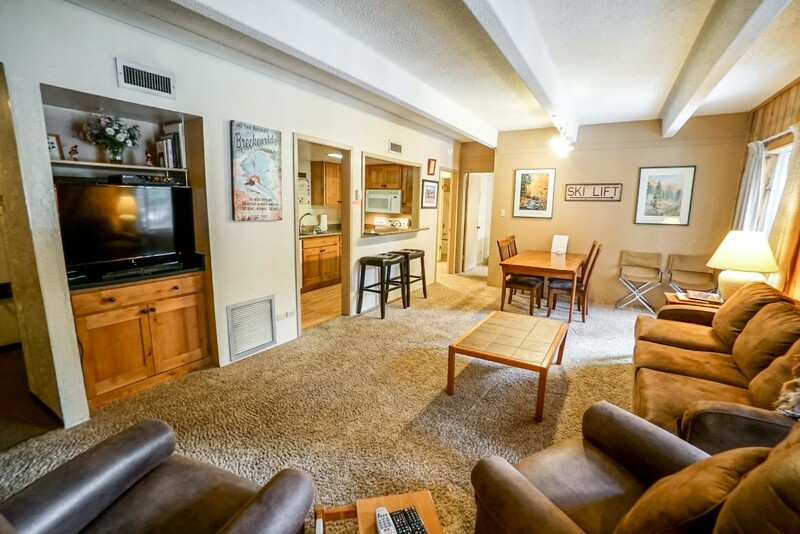 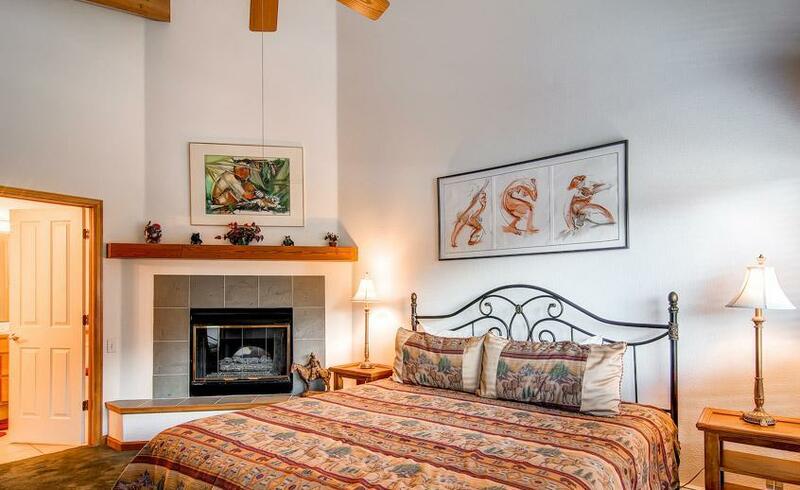 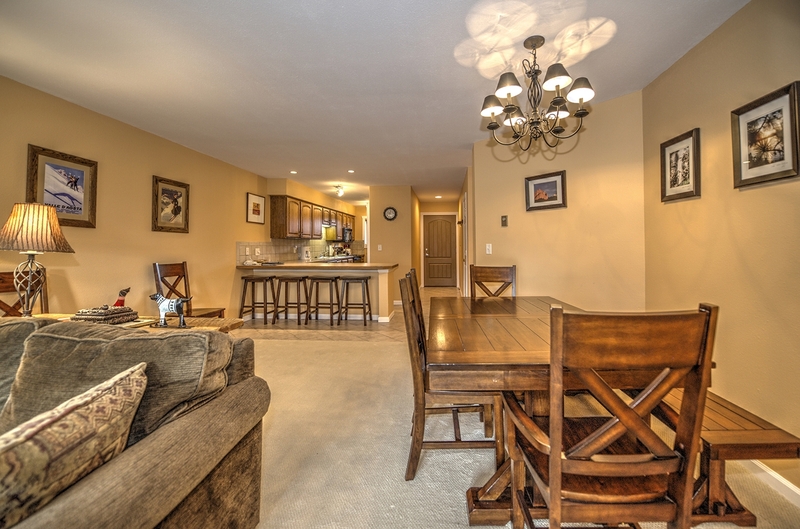 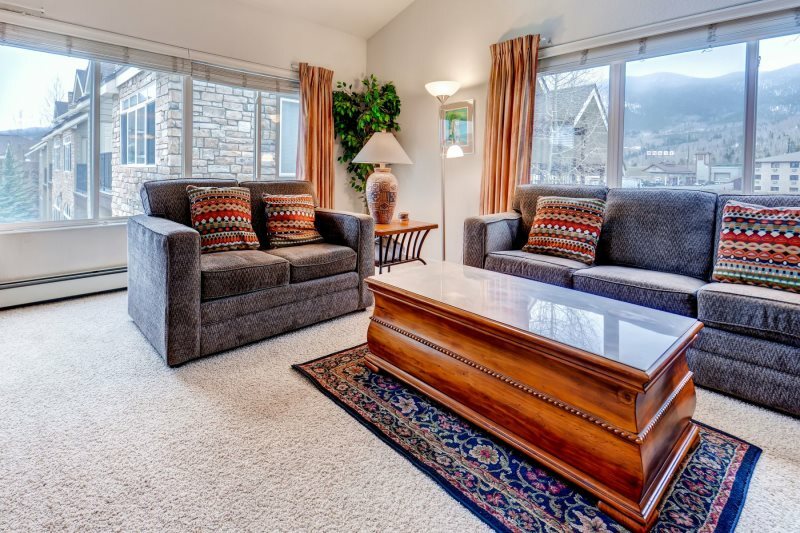 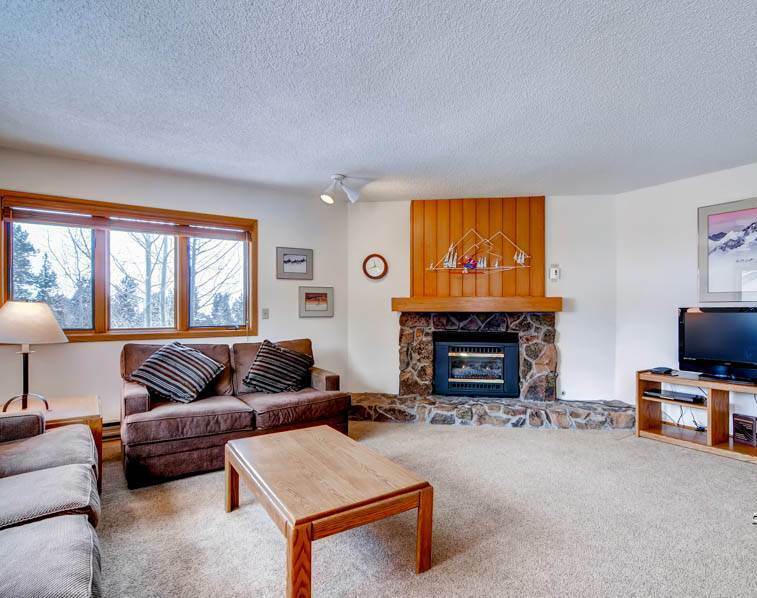 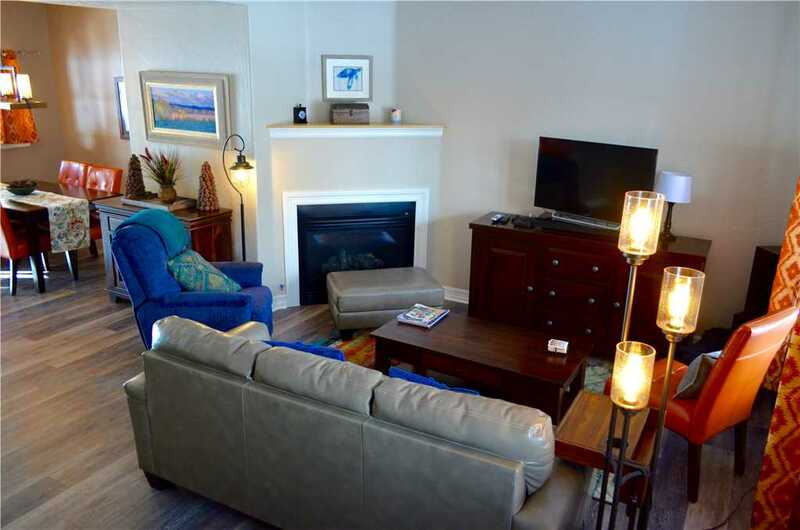 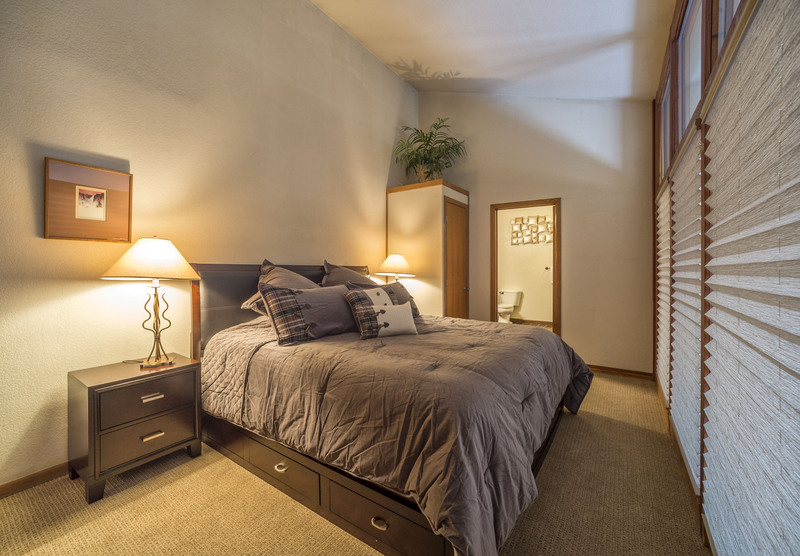 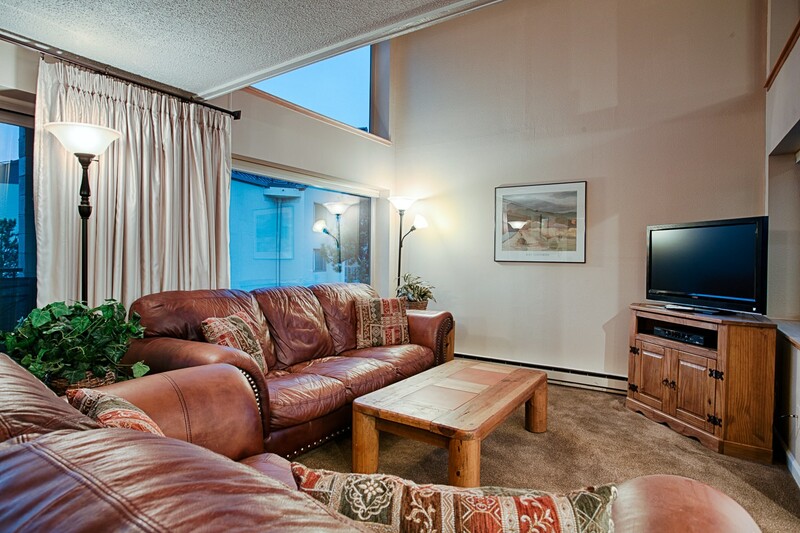 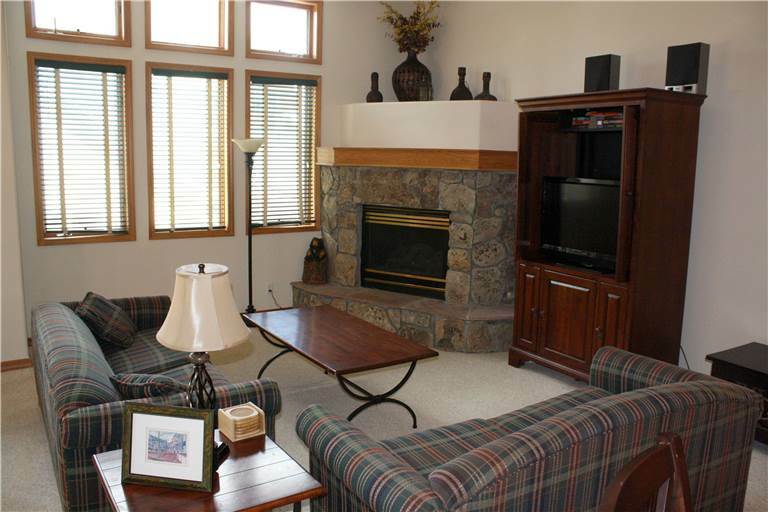 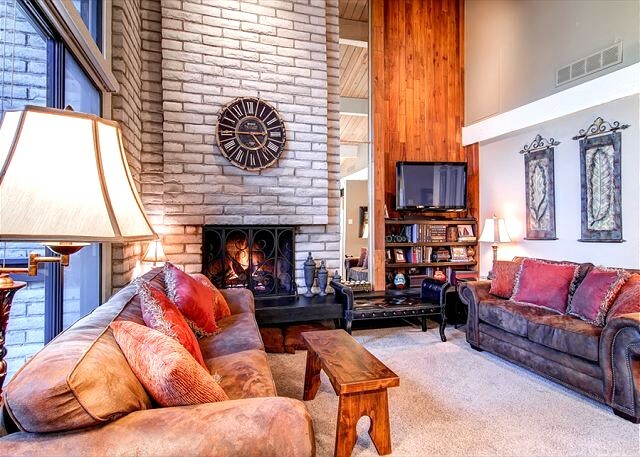 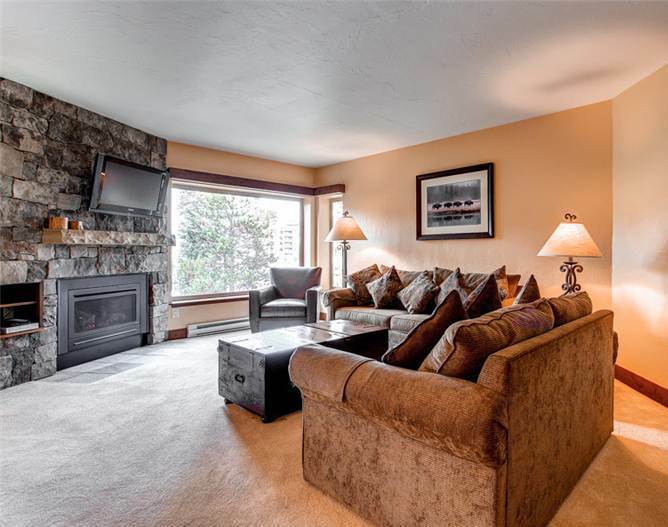 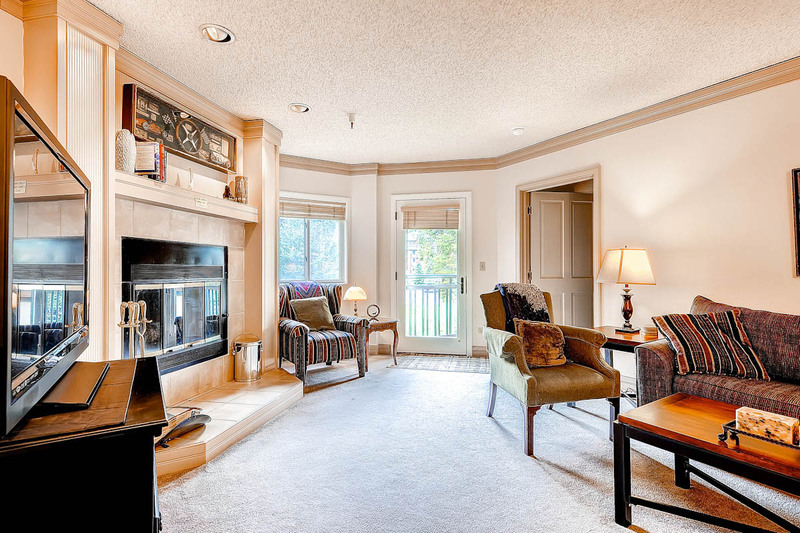 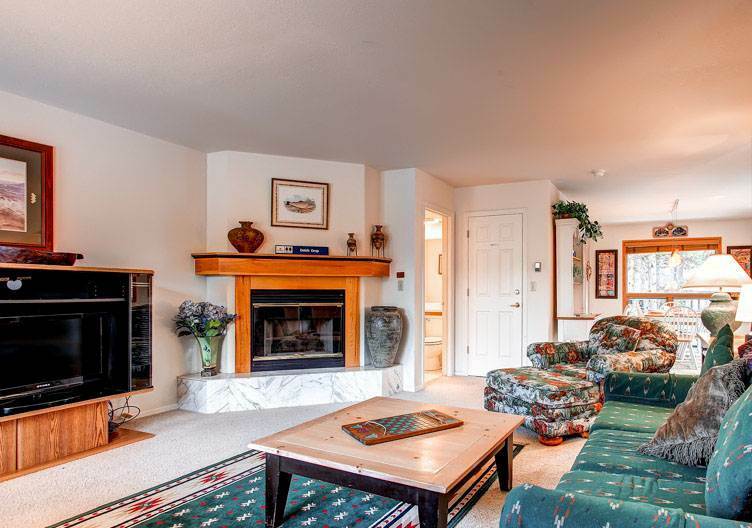 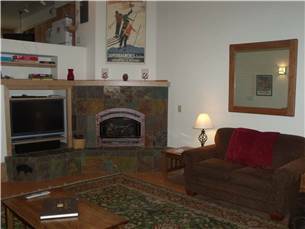 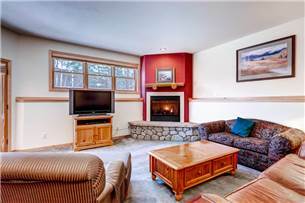 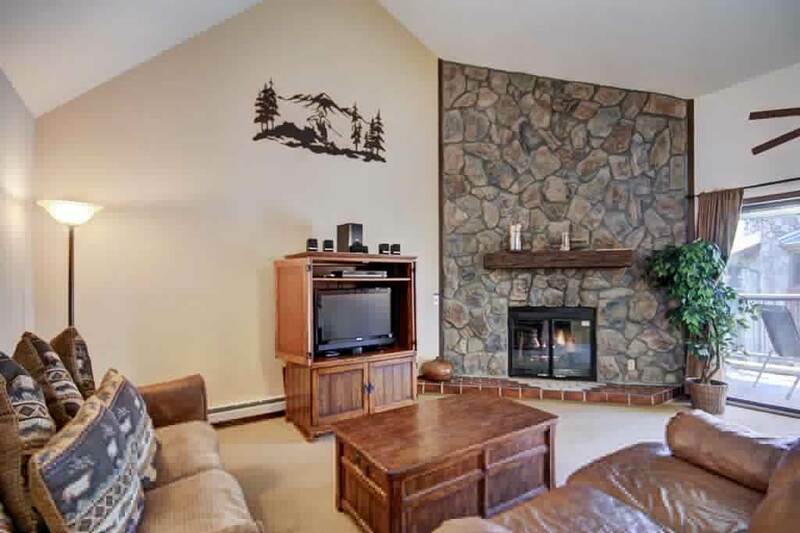 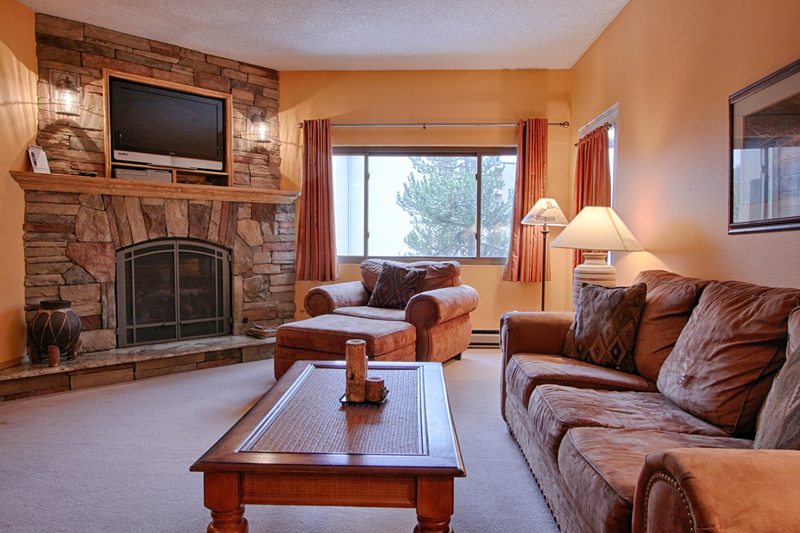 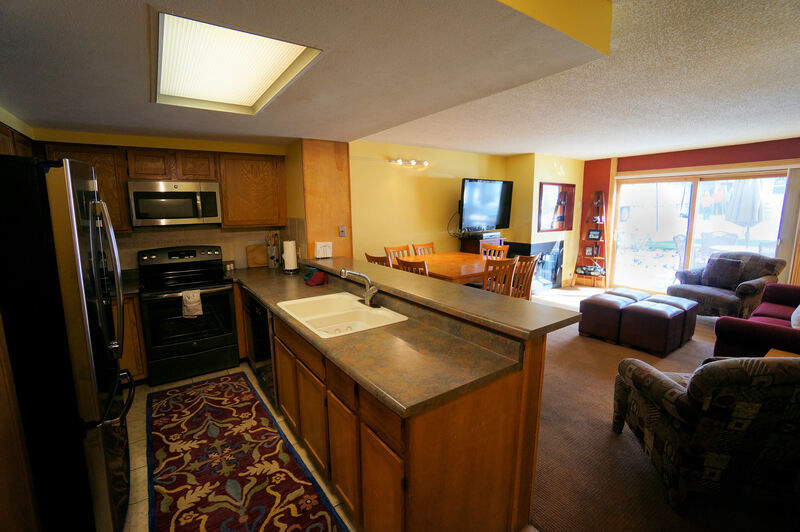 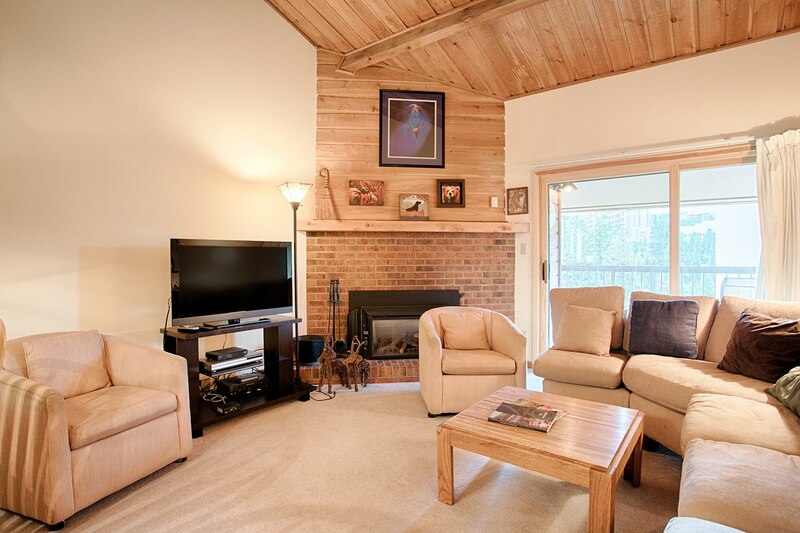 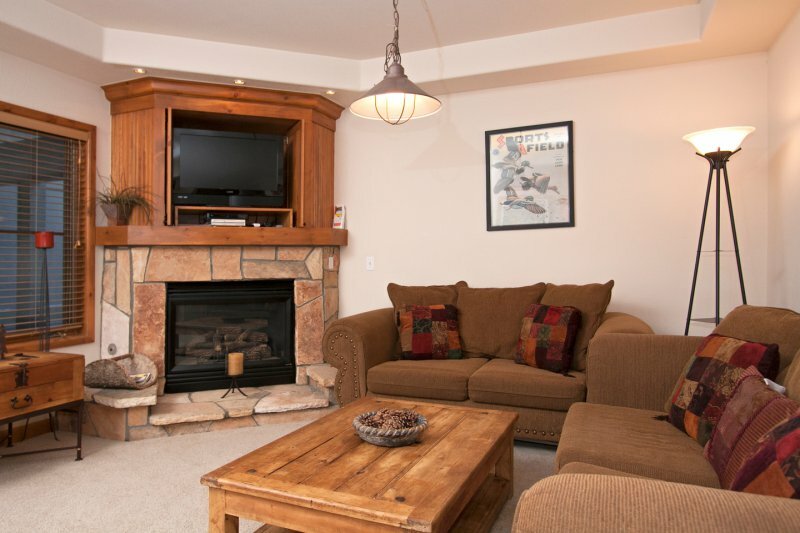 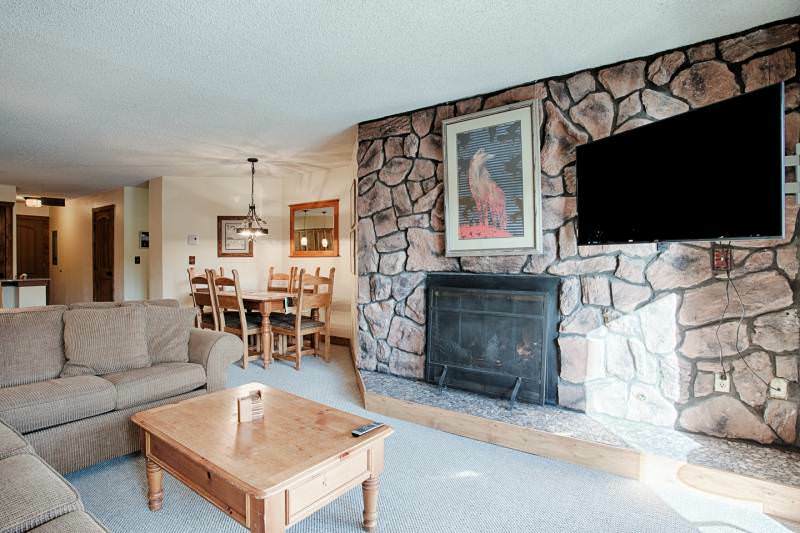 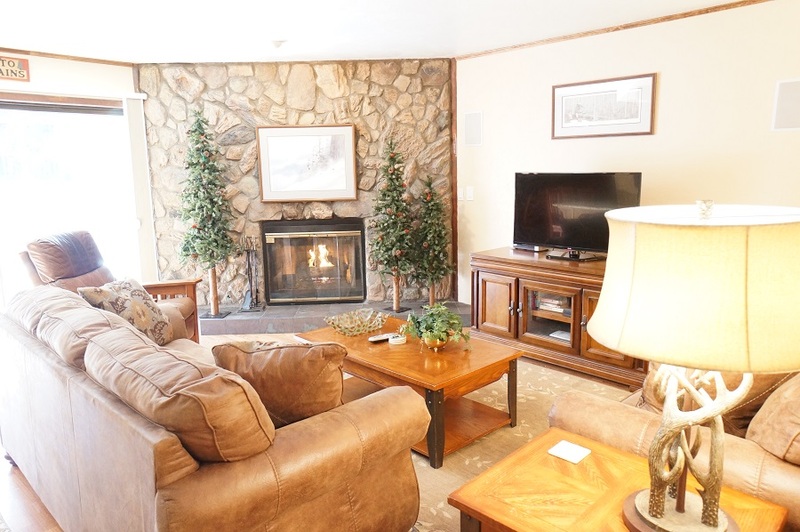 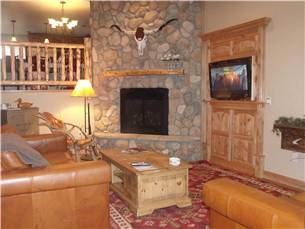 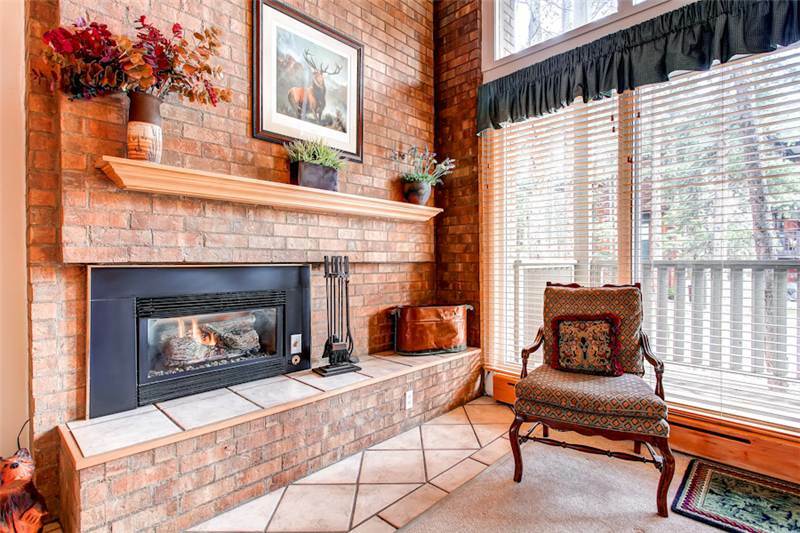 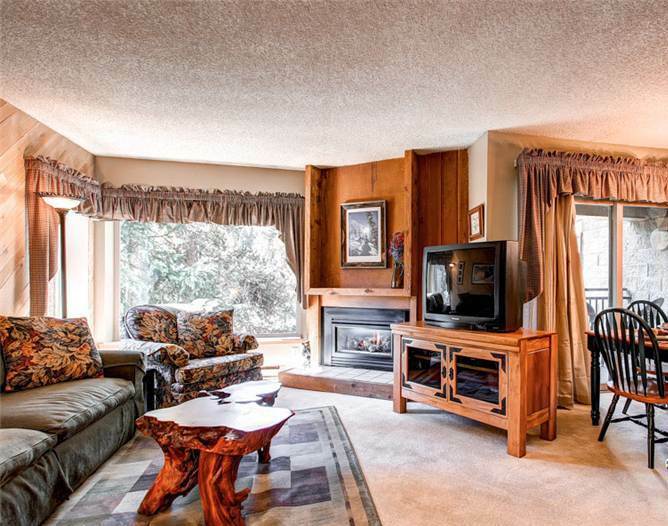 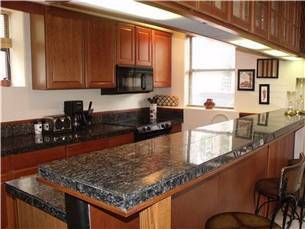 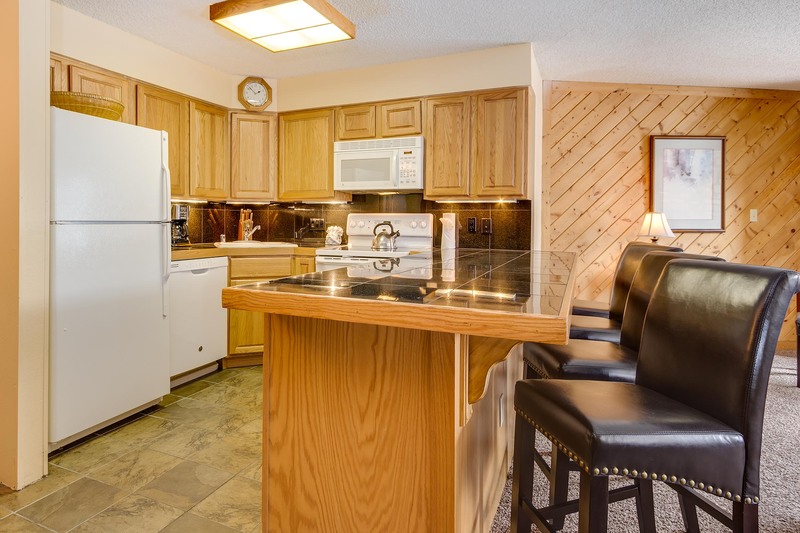 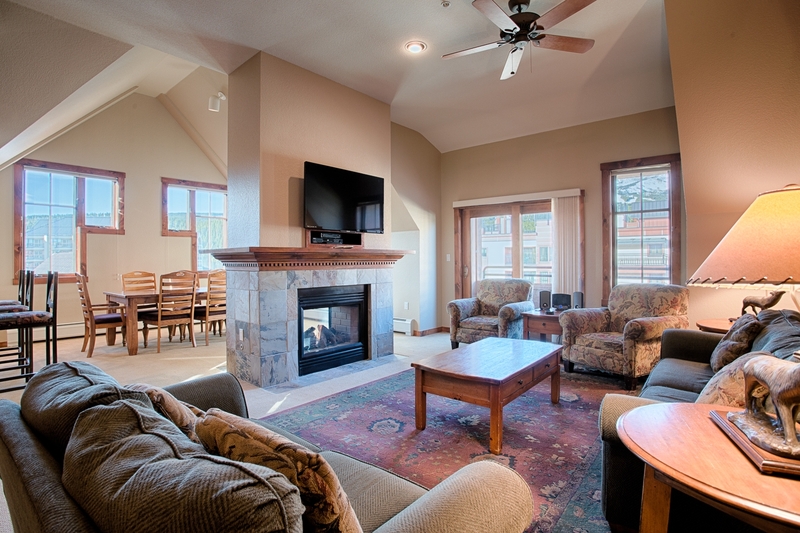 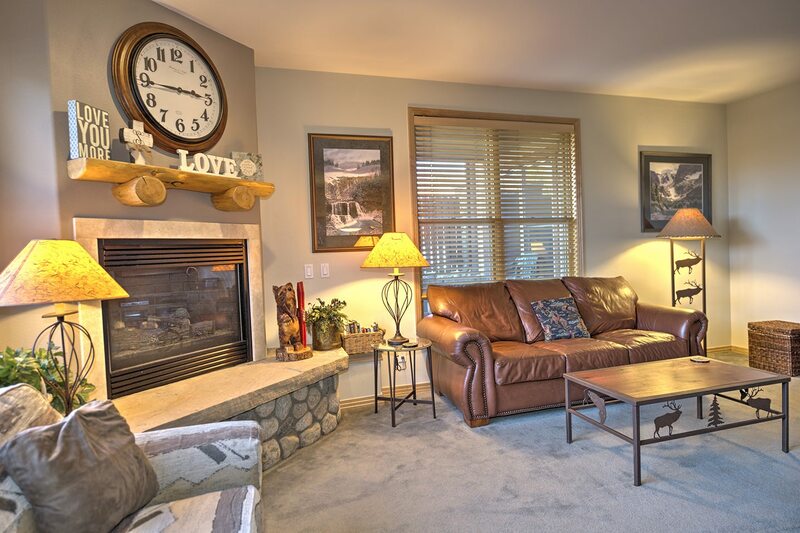 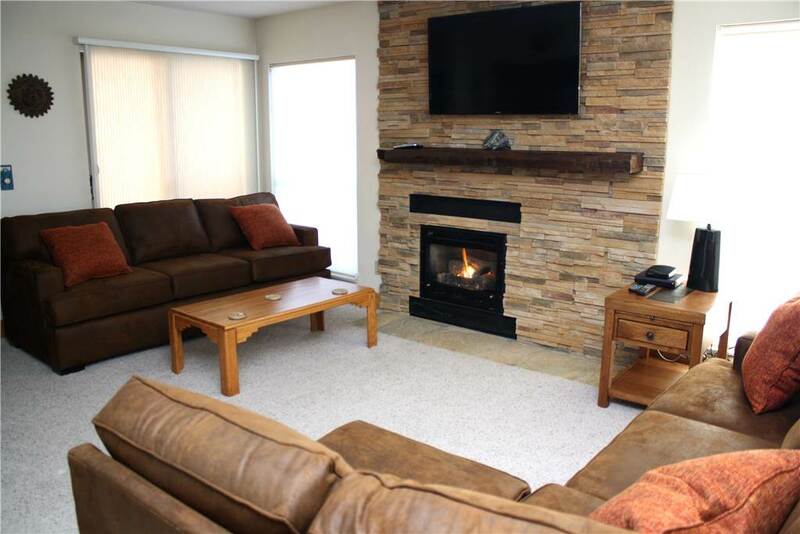 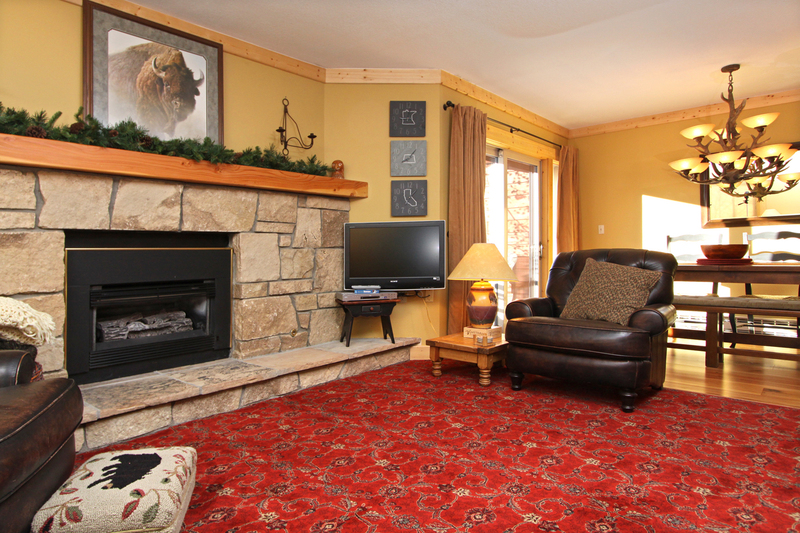 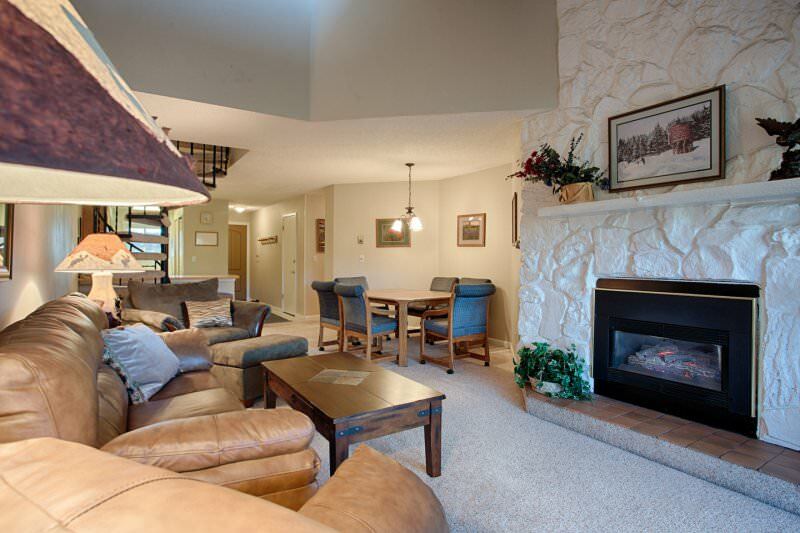 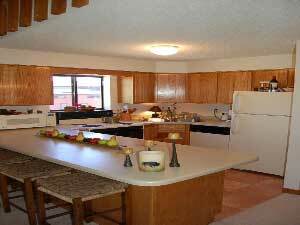 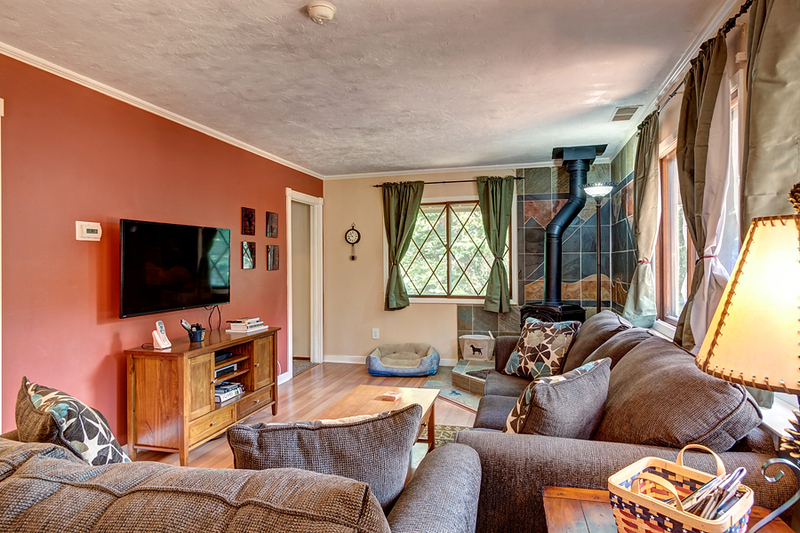 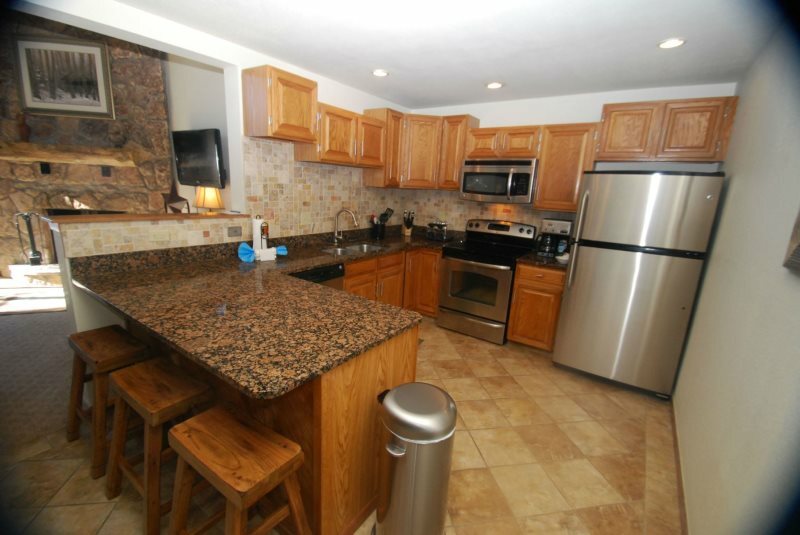 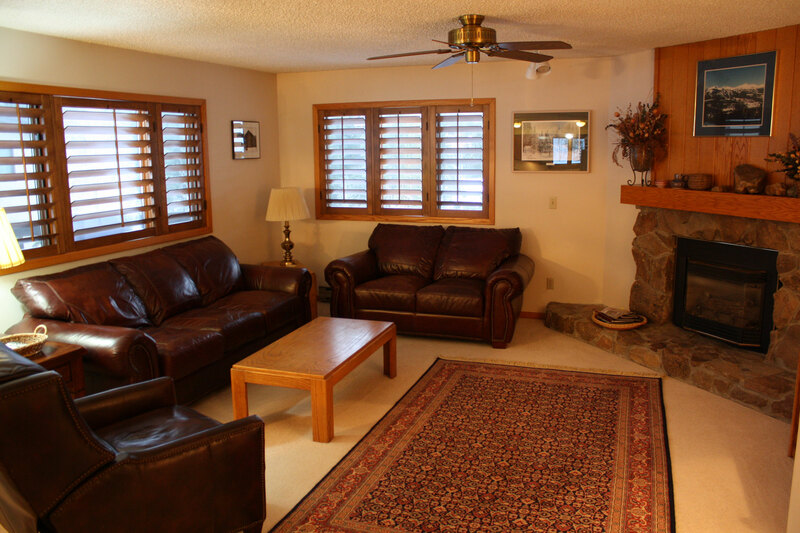 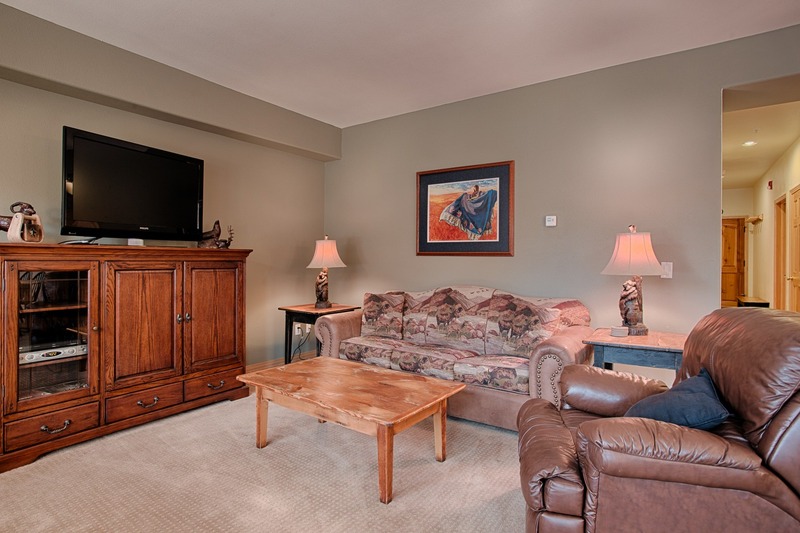 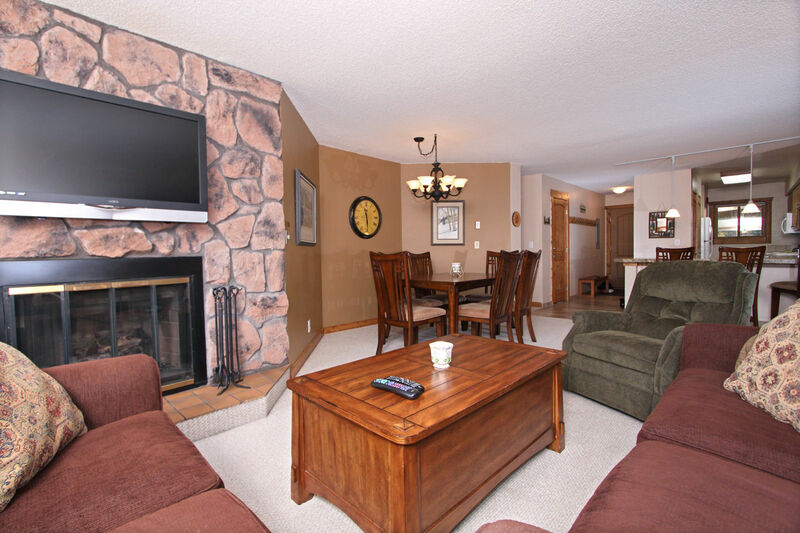 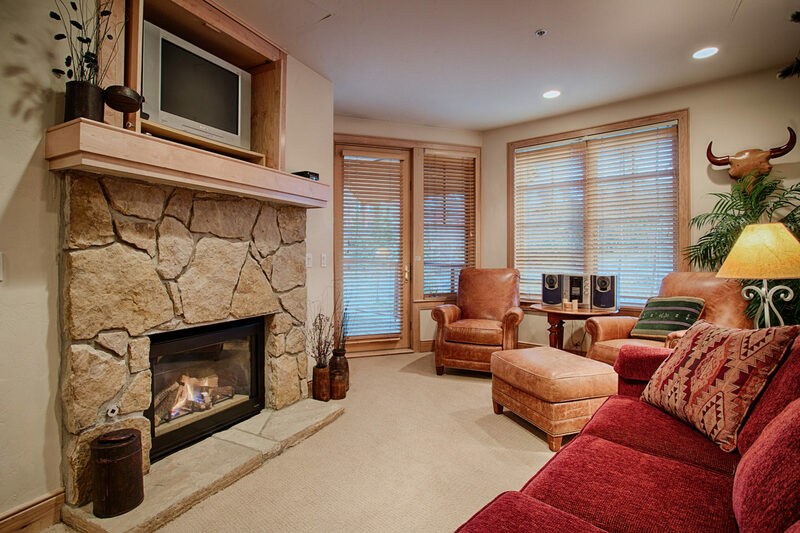 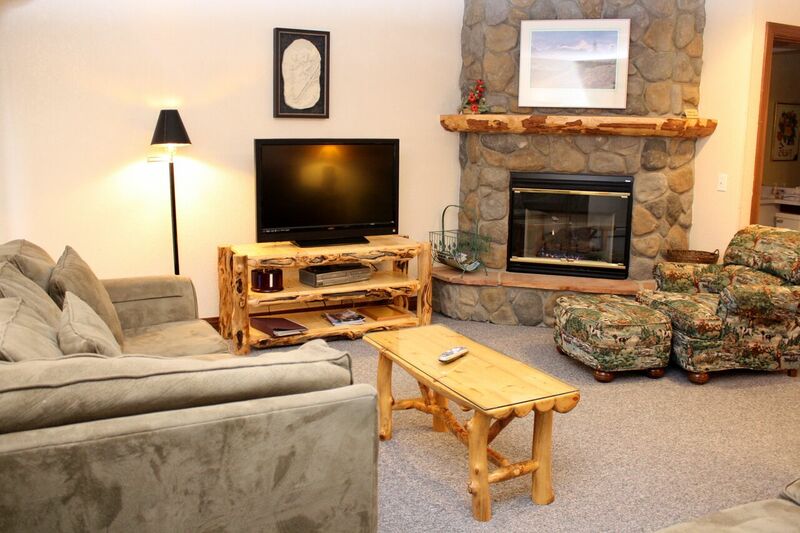 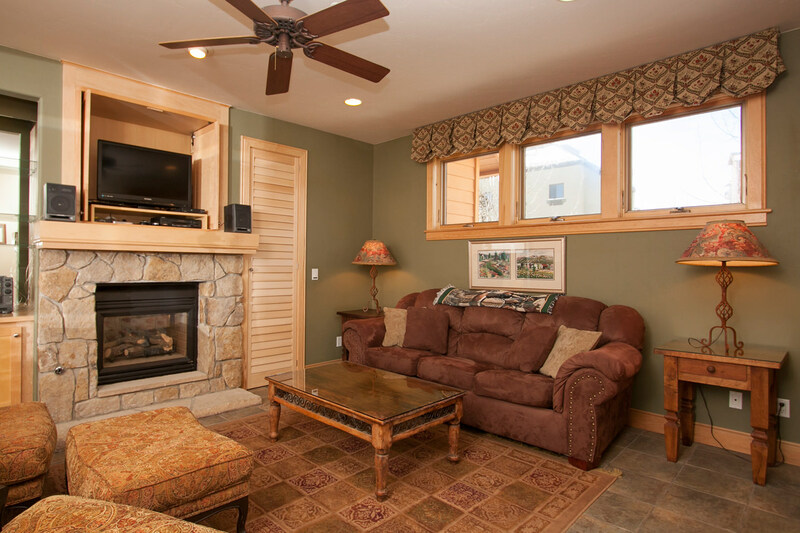 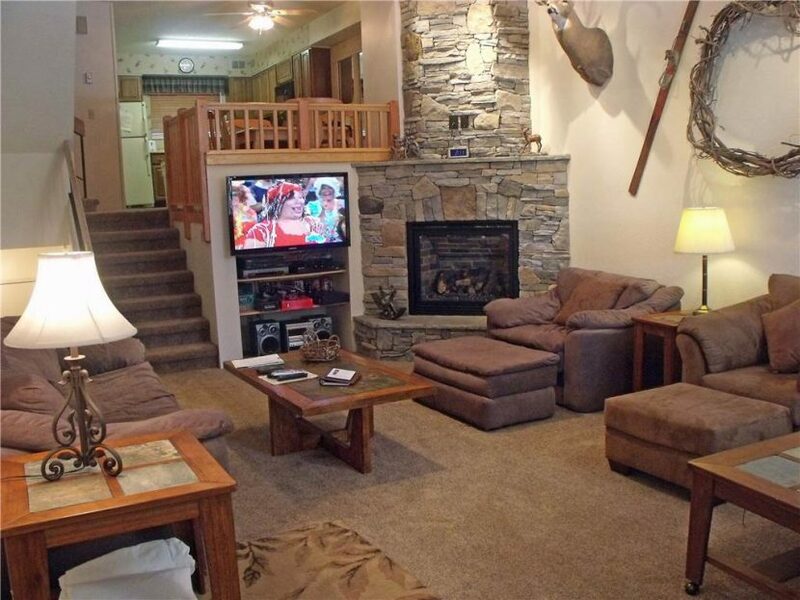 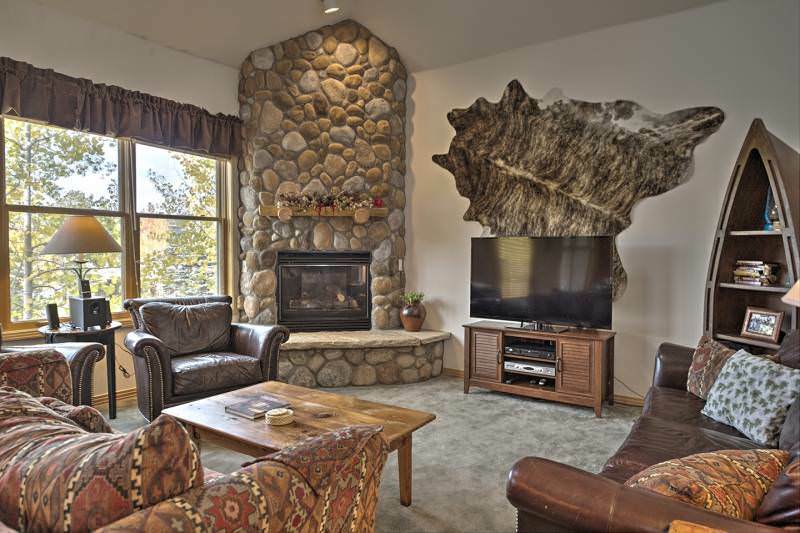 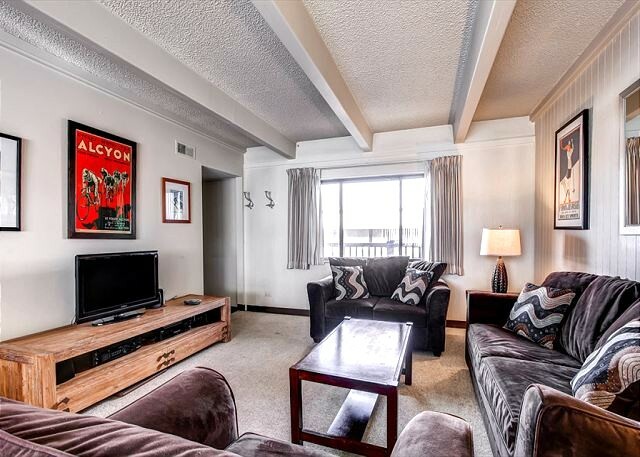 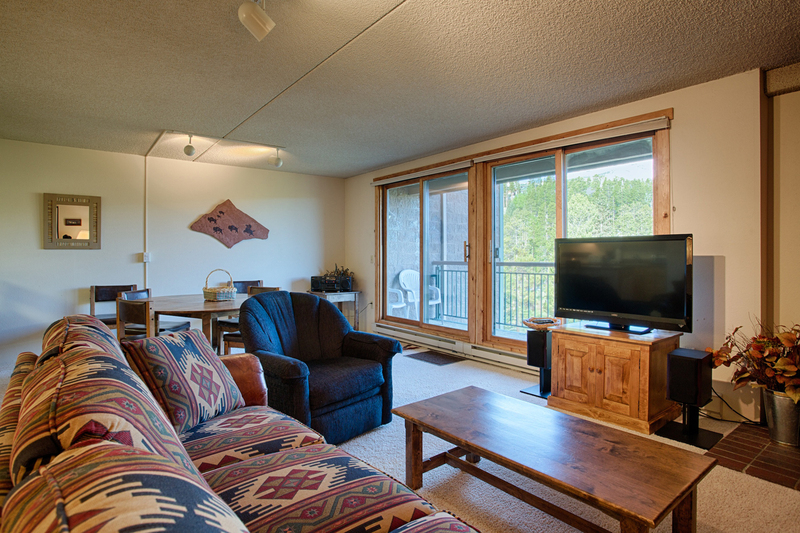 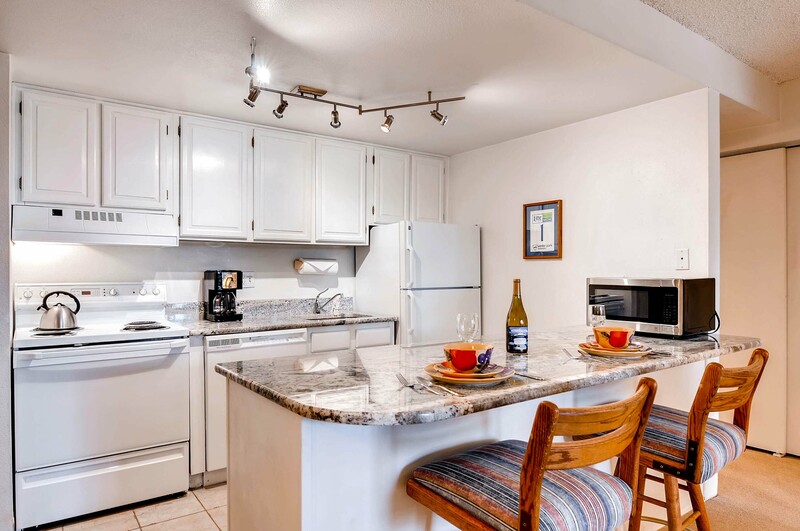 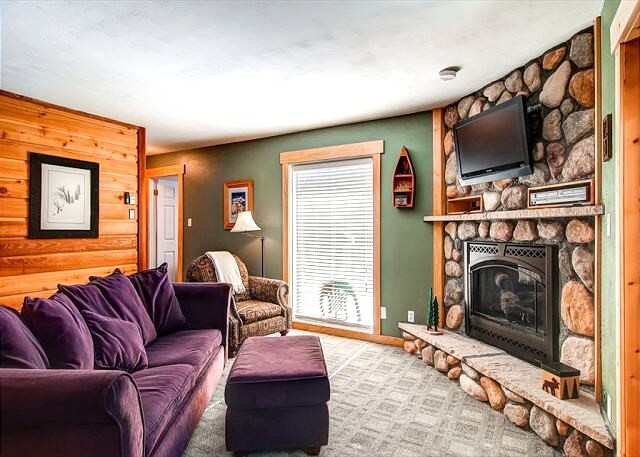 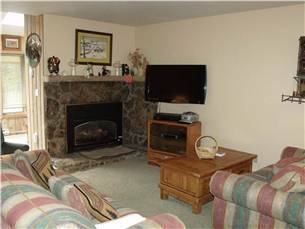 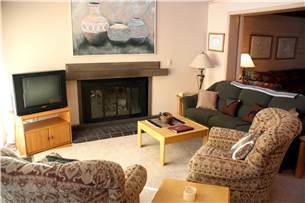 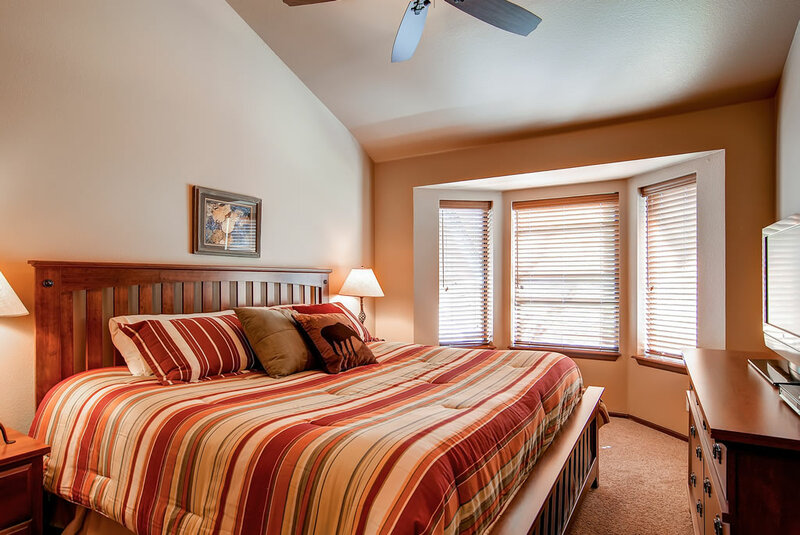 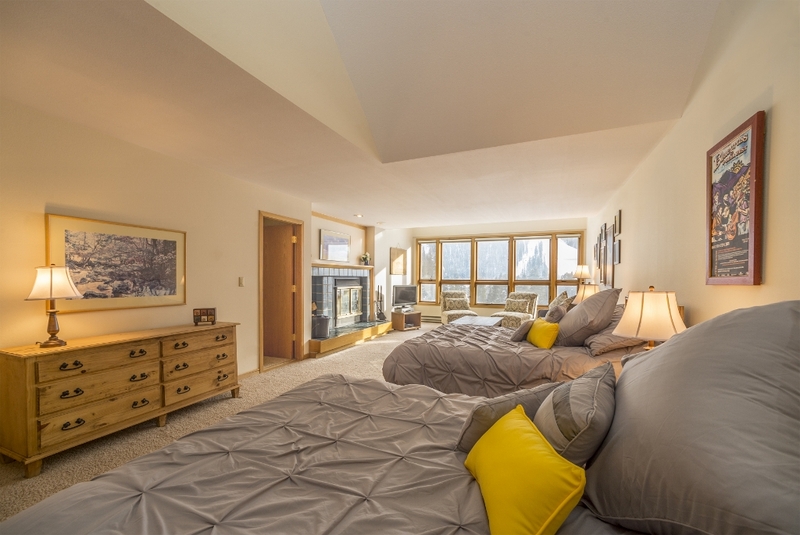 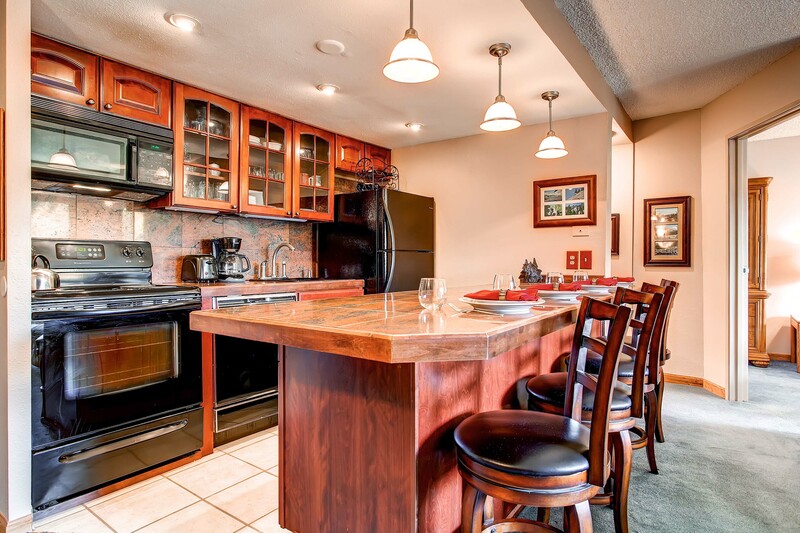 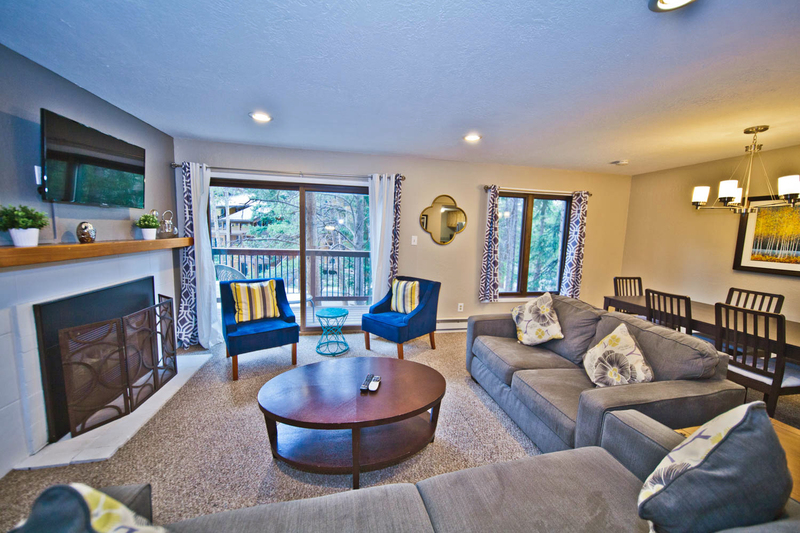 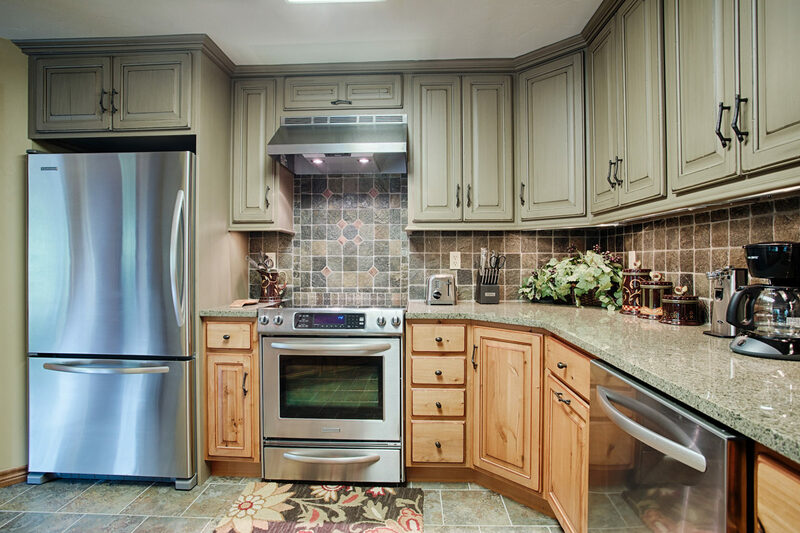 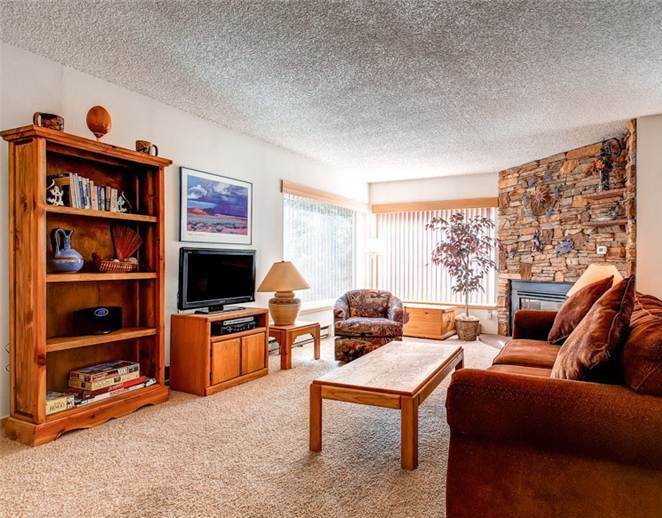 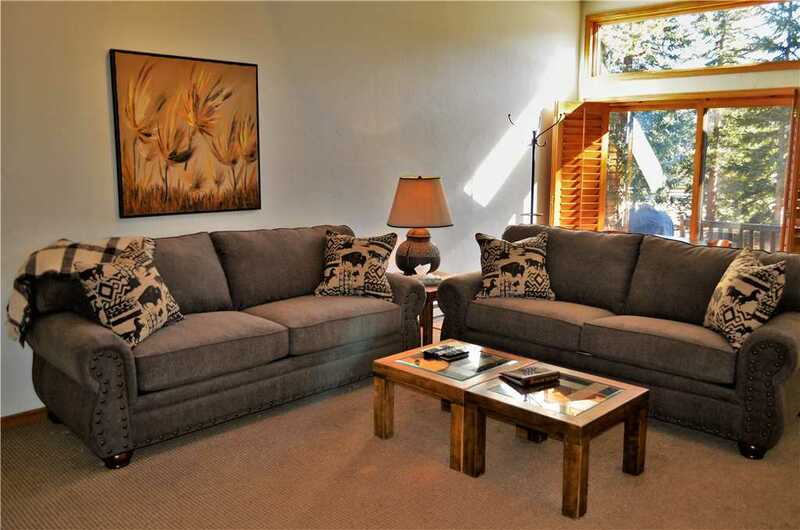 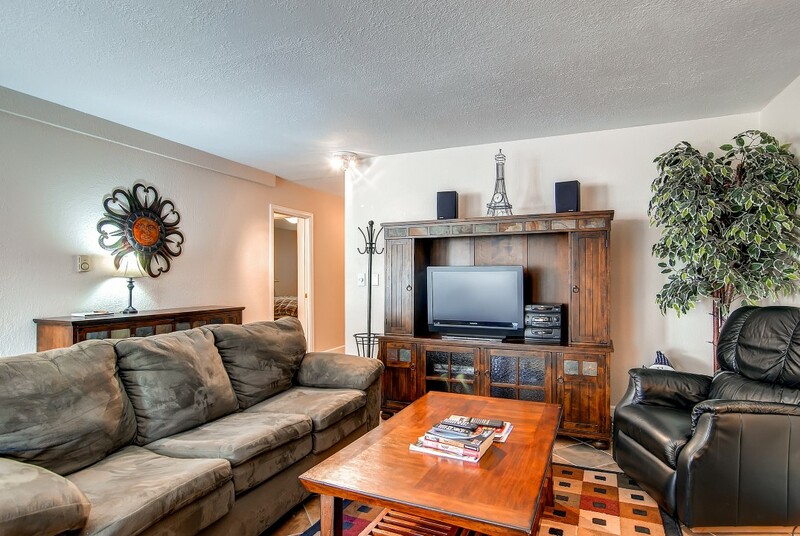 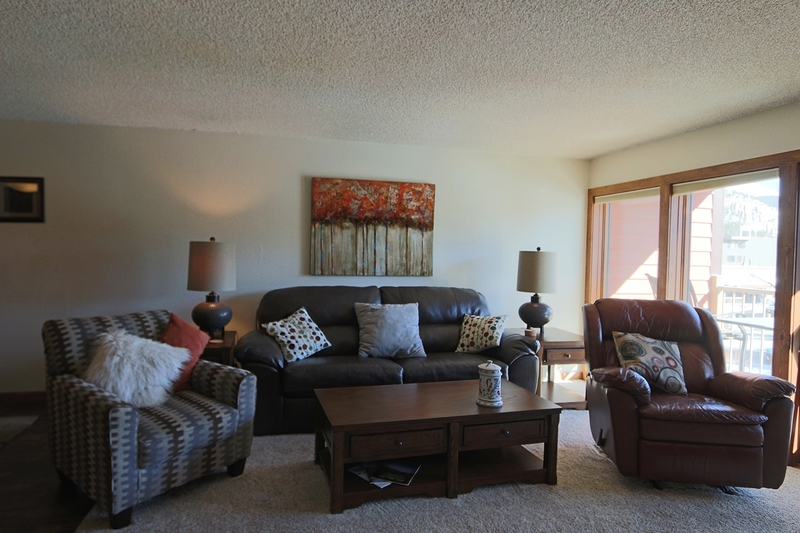 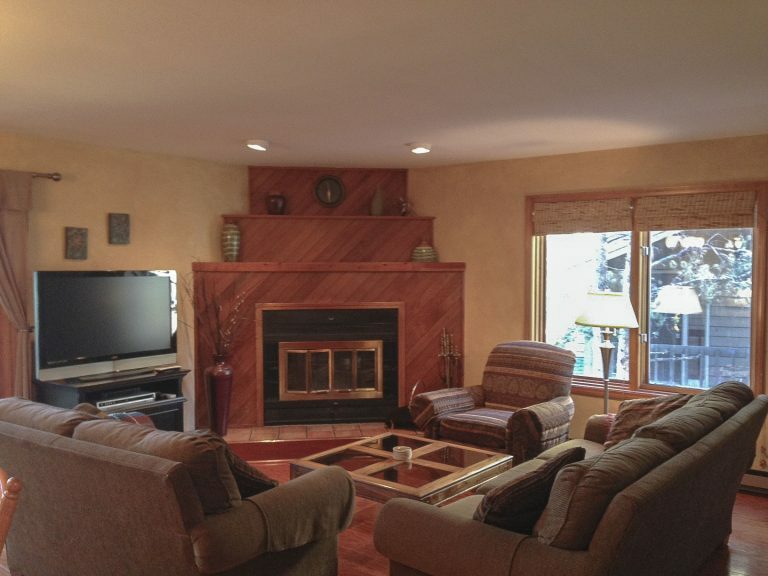 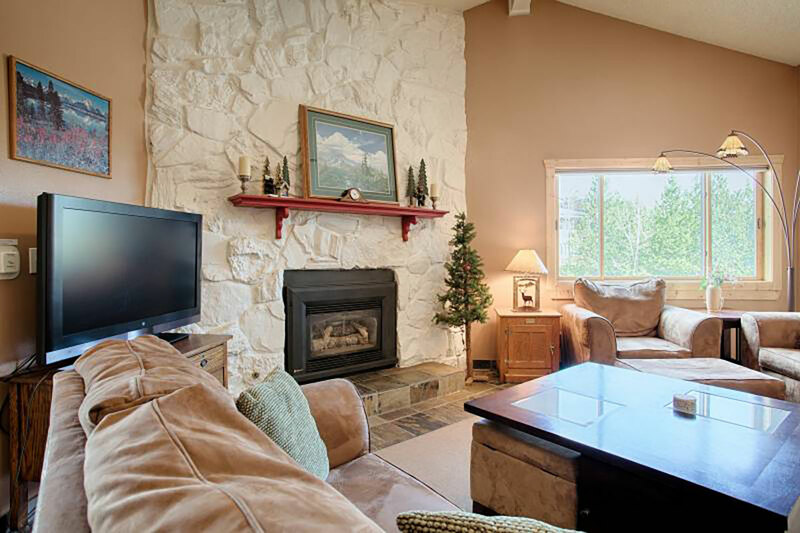 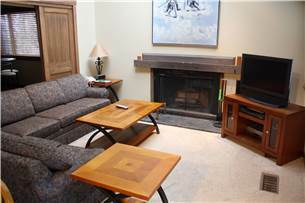 This condo sleeps 10, has a King bed in the master bedroom, and also features many fine amenities such as a gas river rock fireplace, a large flatscreen TV, tiled entry, vaulted ceilings, Maytag washer and dryer, granite countertops, jetted bathtub and free wireless internet service. 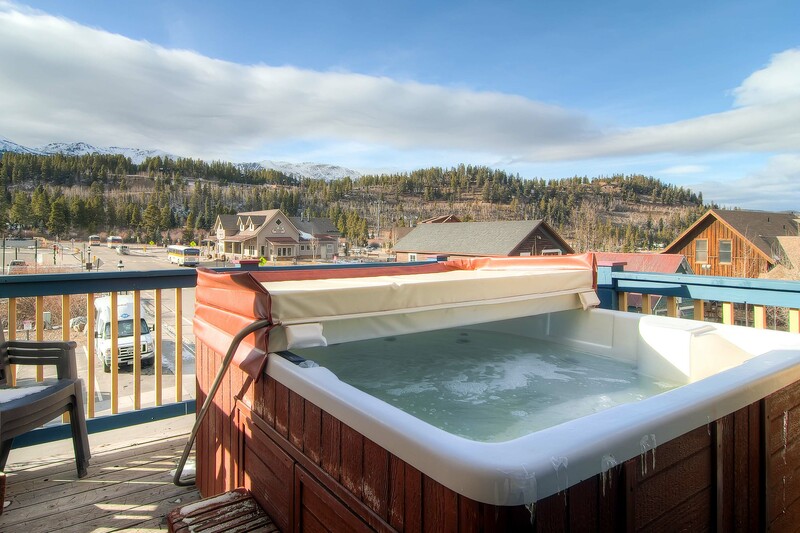 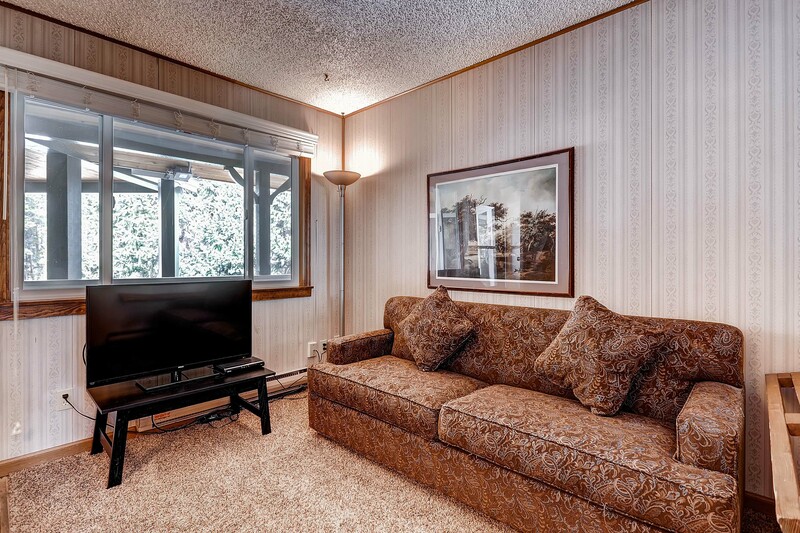 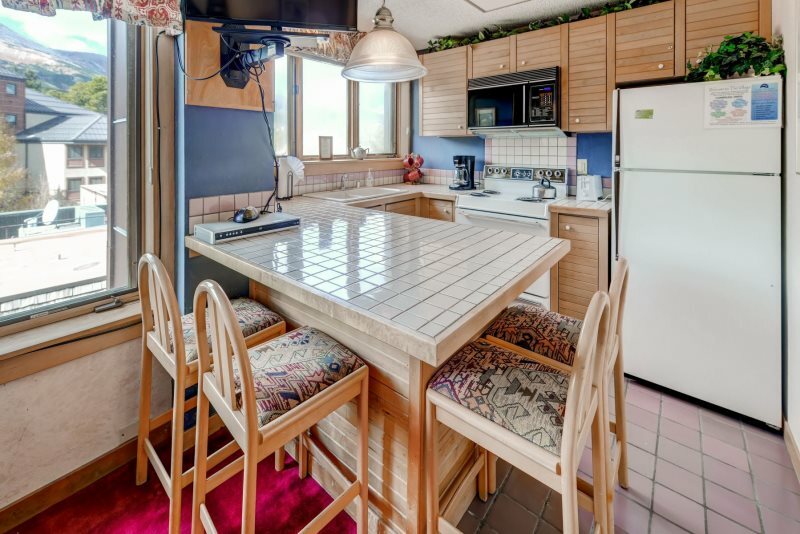 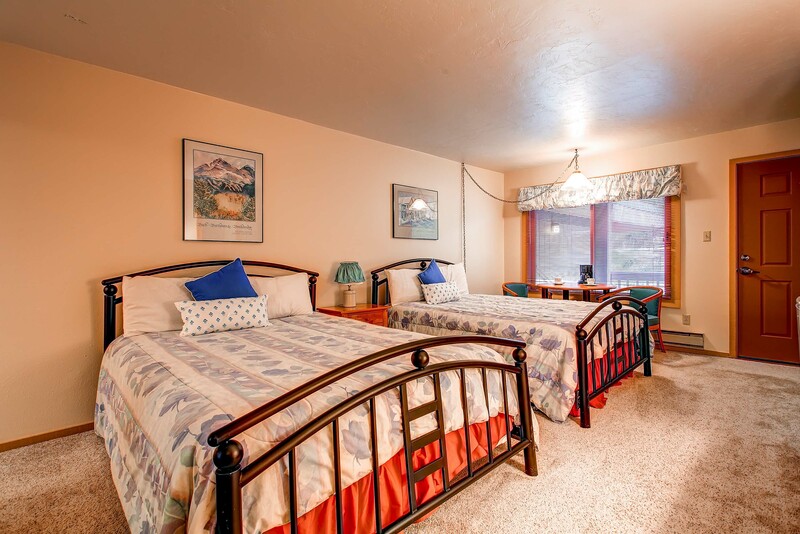 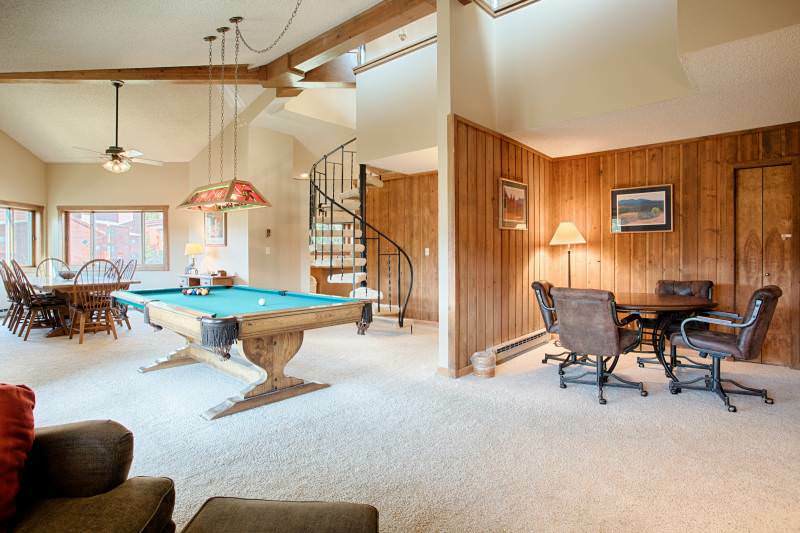 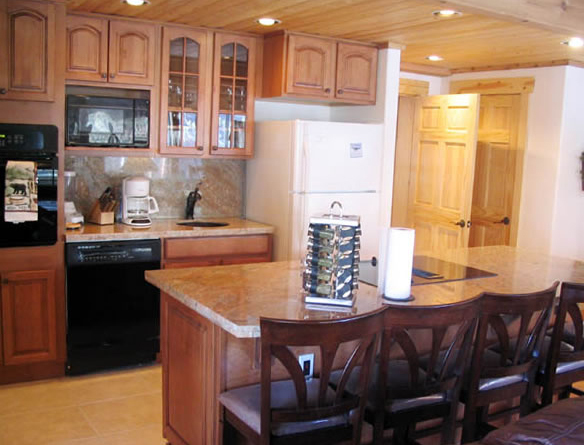 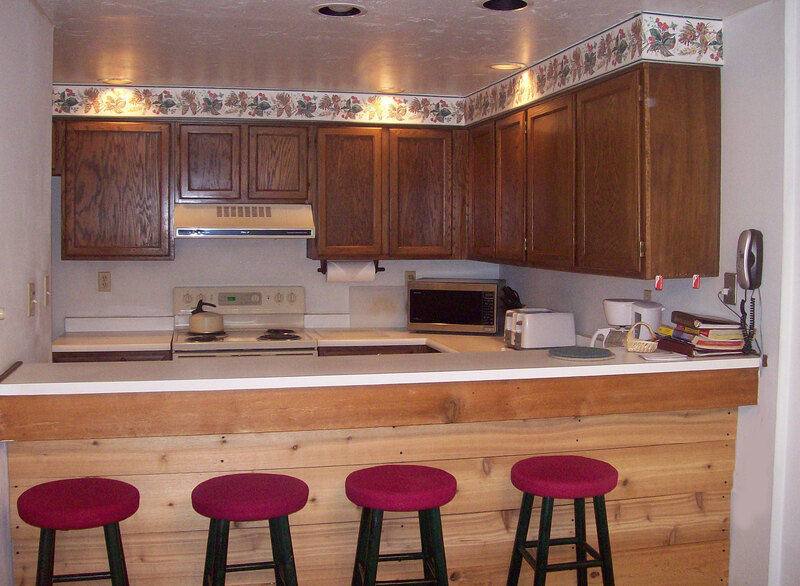 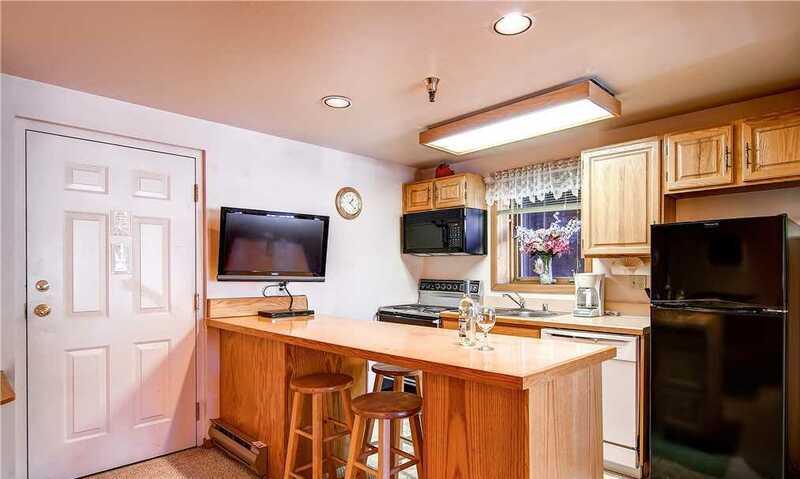 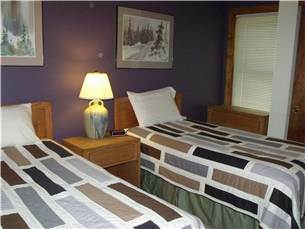 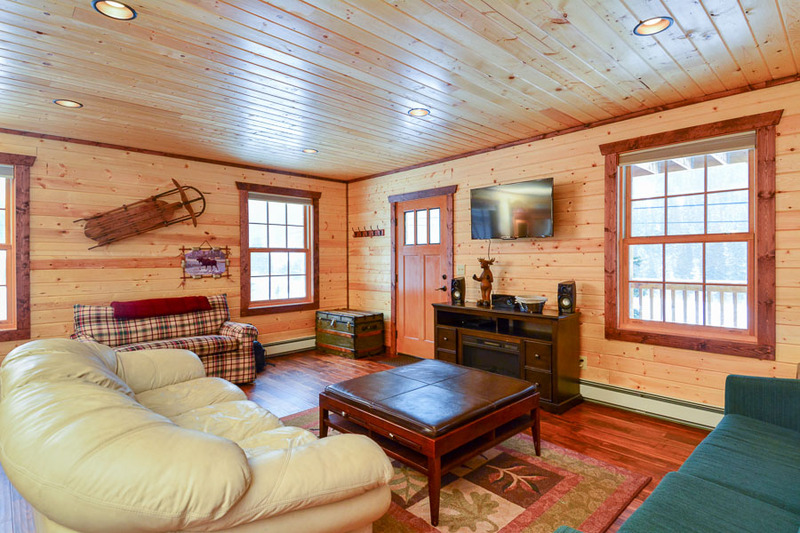 All guests can enjoy the very large outdoor hot tub on site, fitness room, steam sauna, game room with pool table, foosball, air hockey, 55 inch TV, computer and printer, and lounge area. 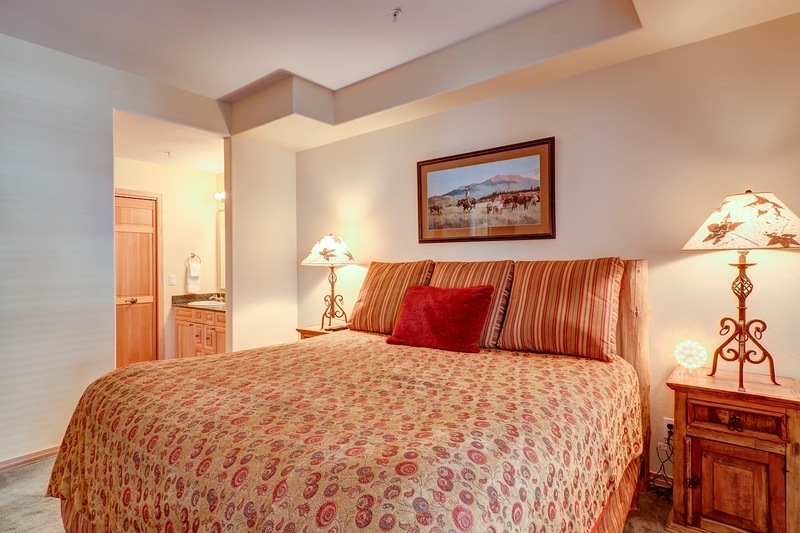 Plus, stay here and enjoy the convenience of on-site service for anything needed during your stay via our on-site office.